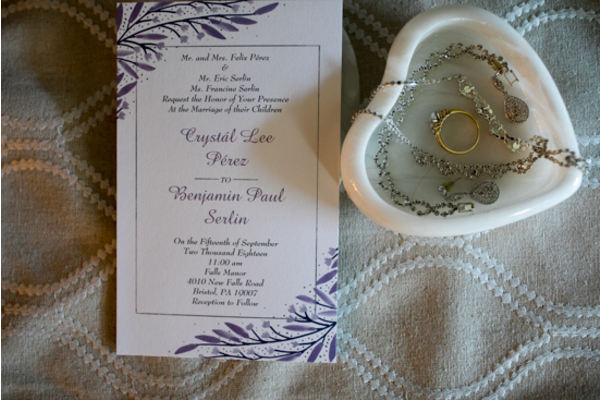 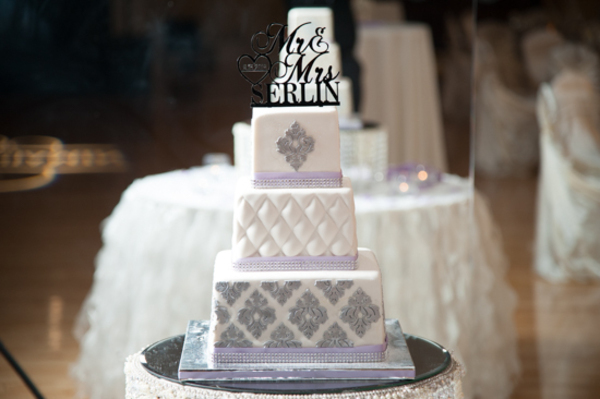 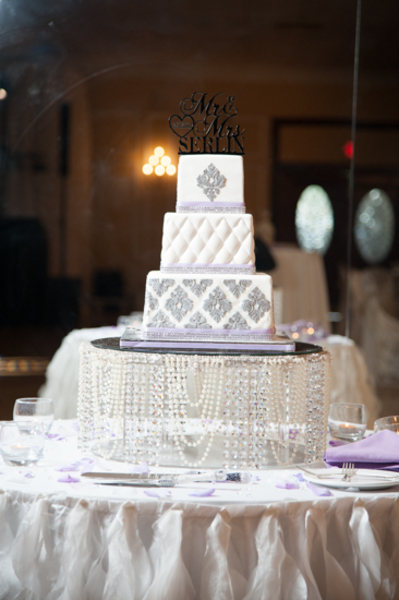 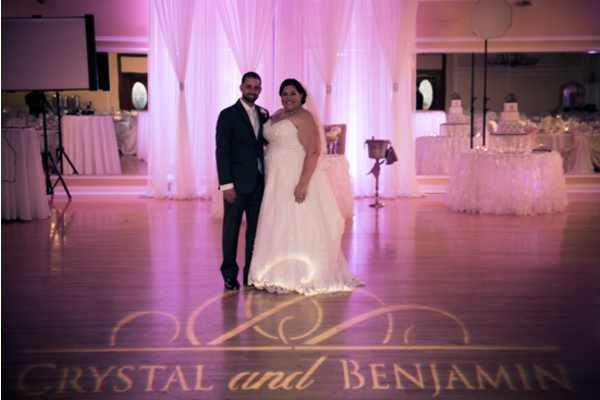 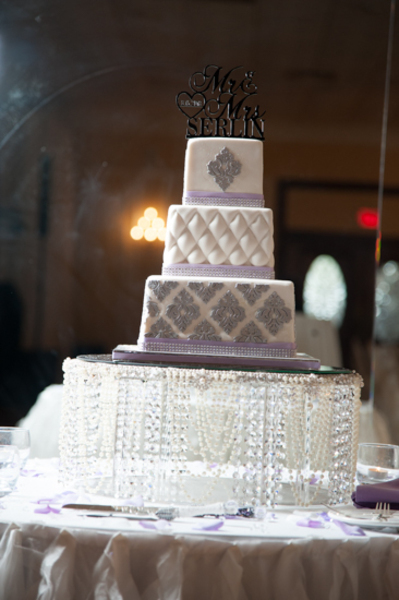 Congratulations to Crystal and Ben on their wedding day! 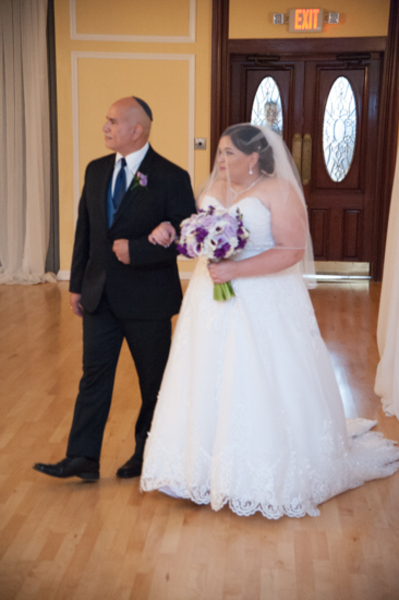 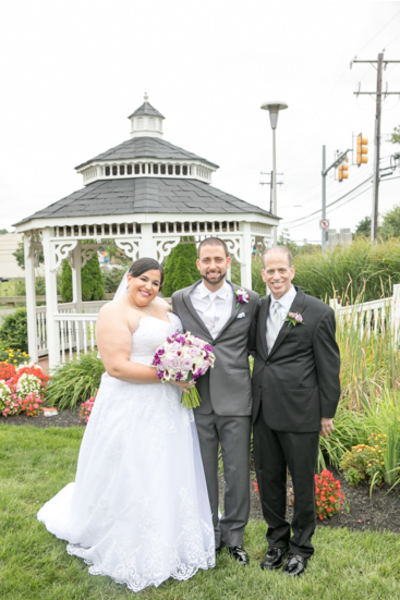 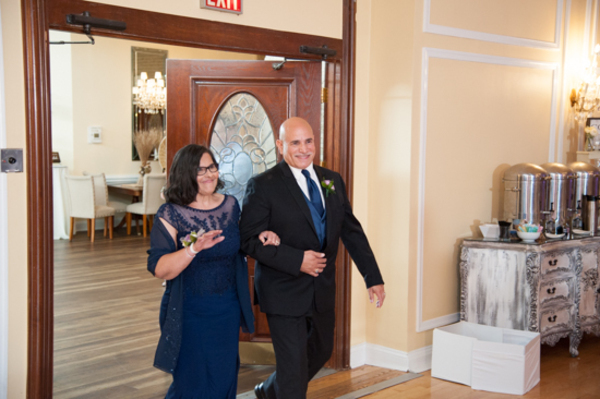 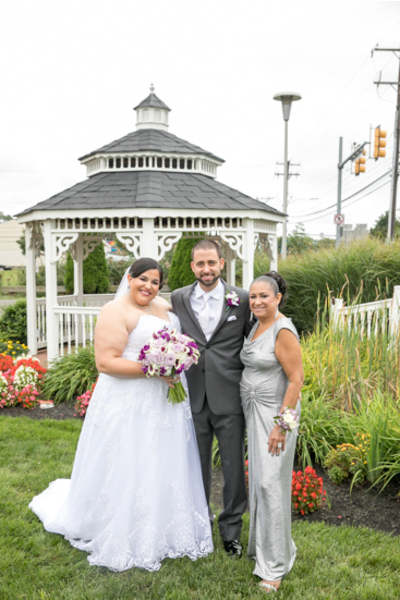 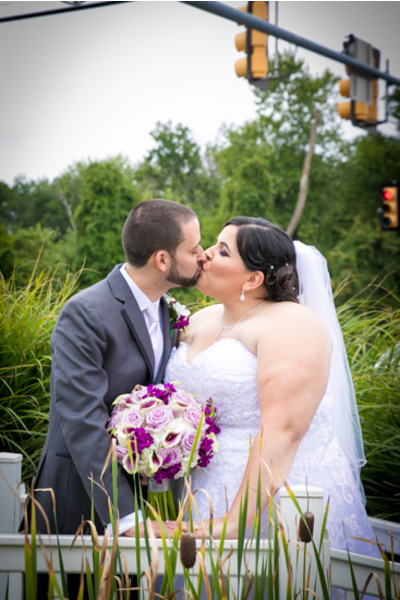 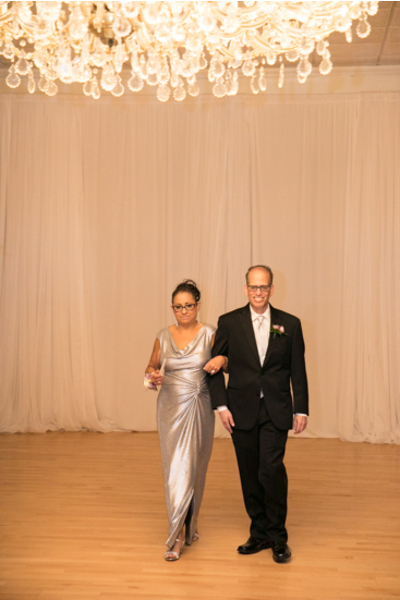 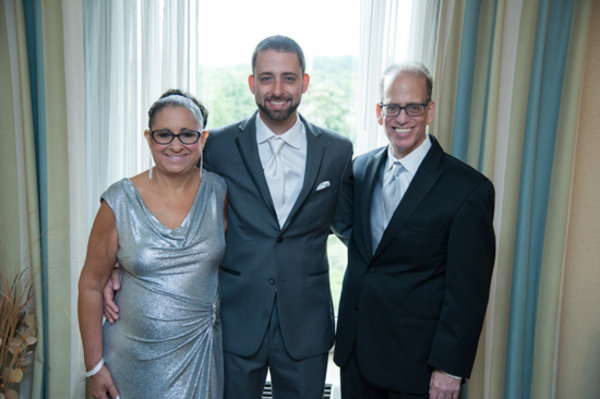 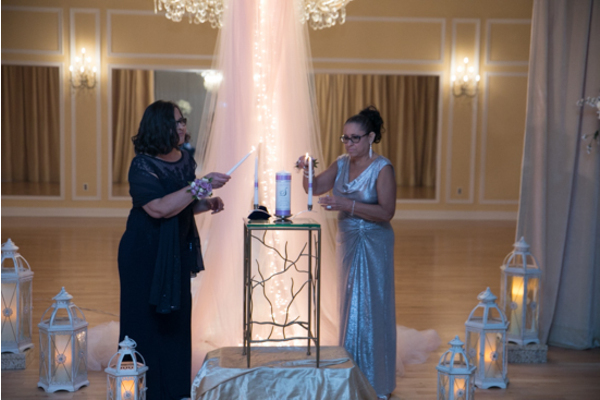 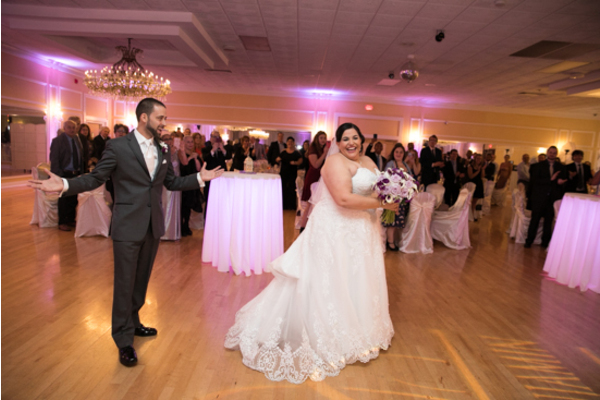 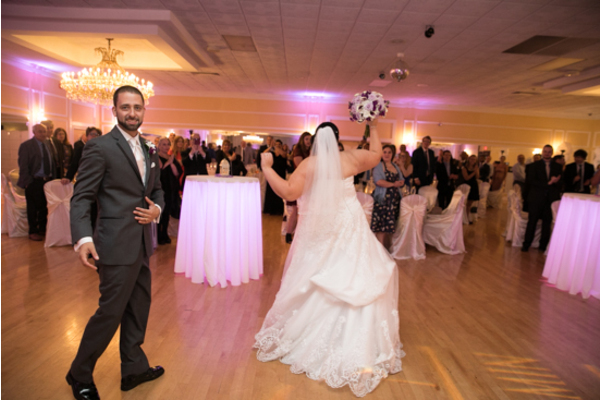 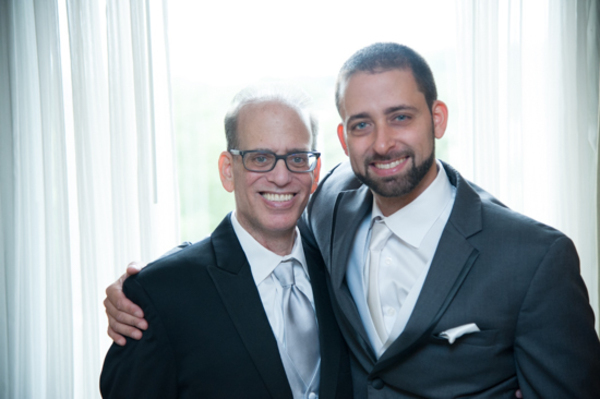 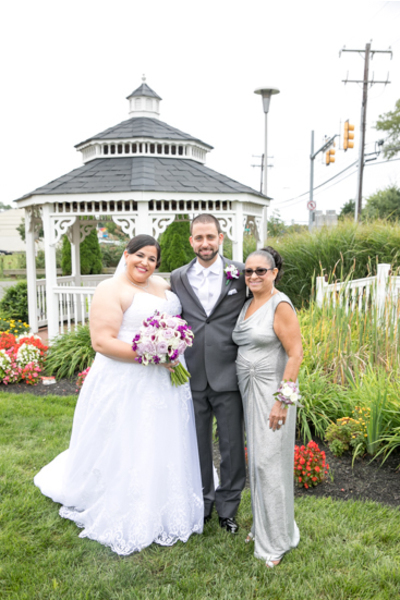 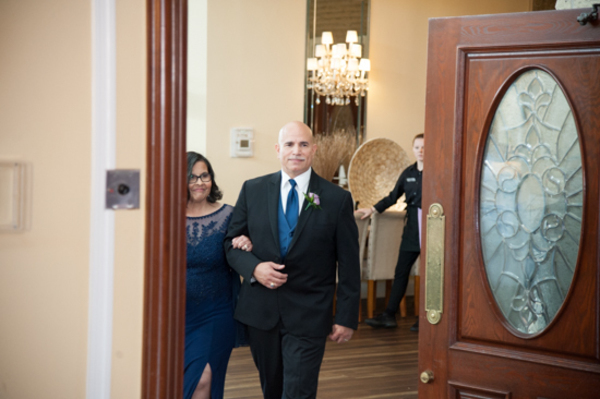 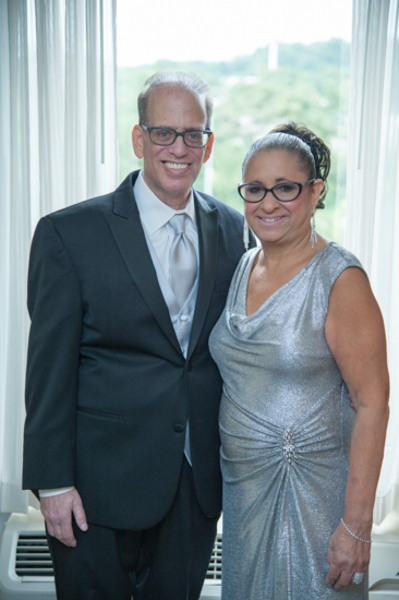 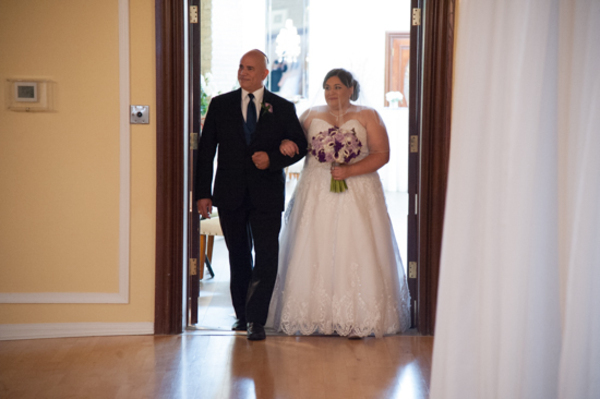 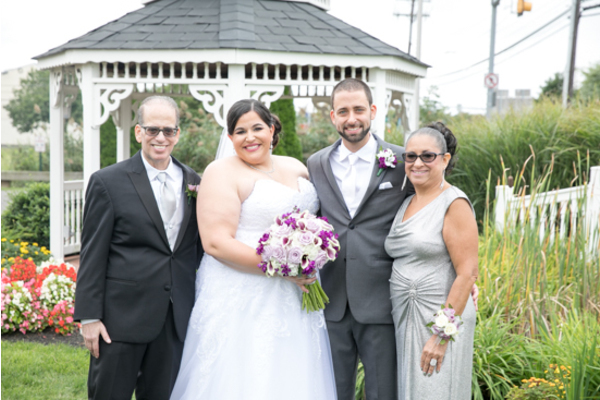 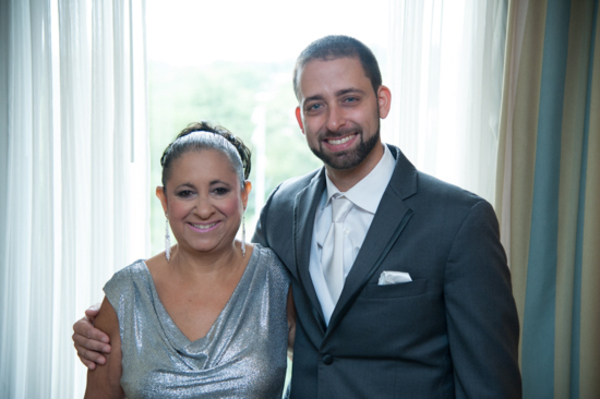 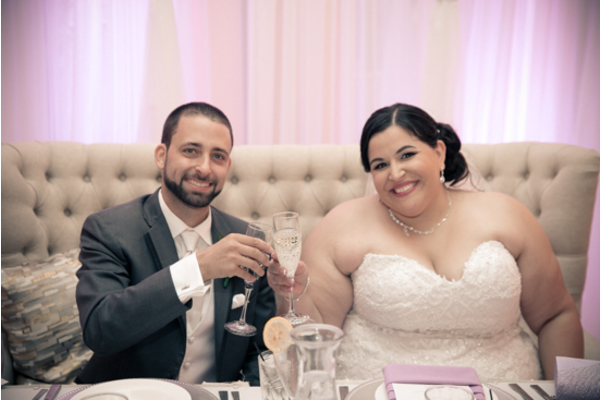 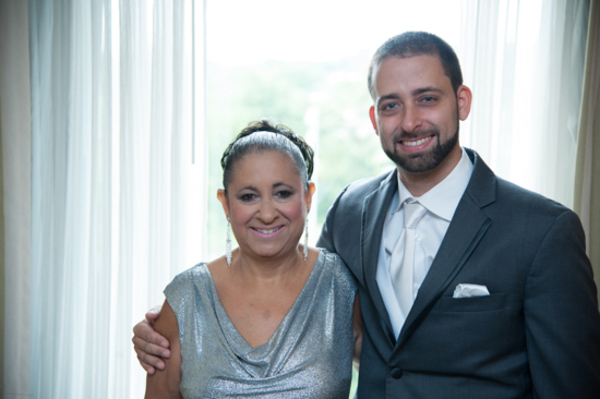 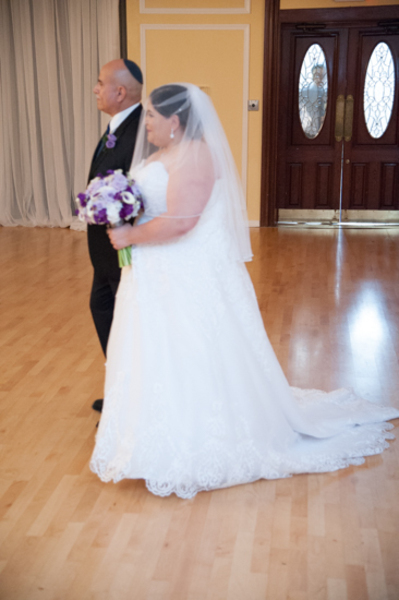 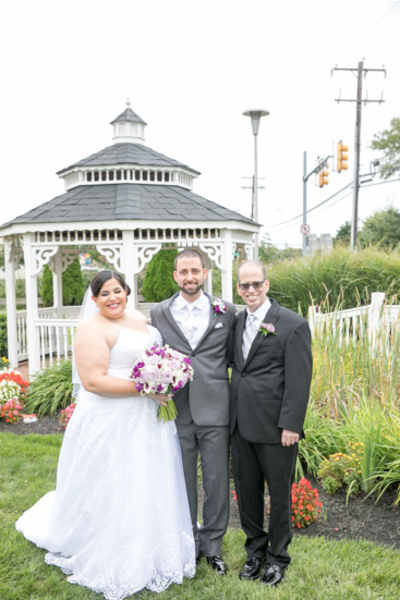 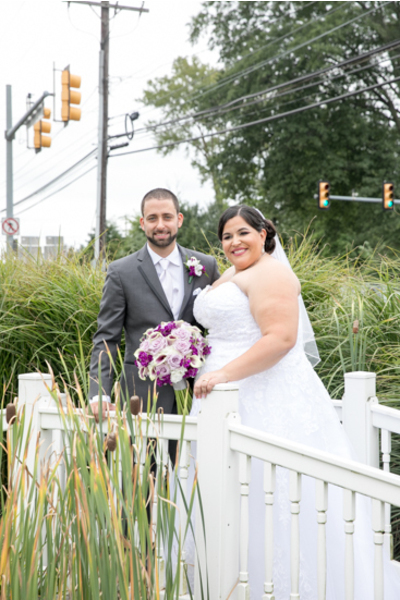 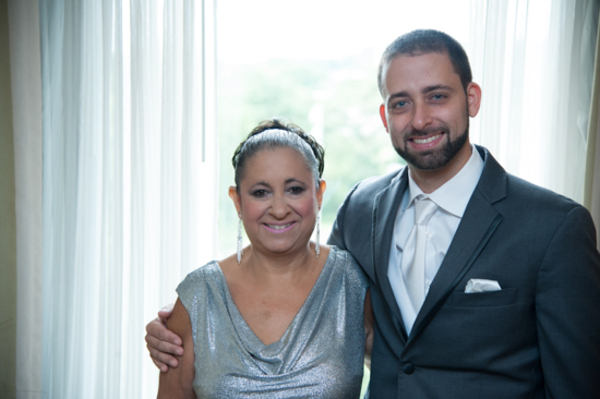 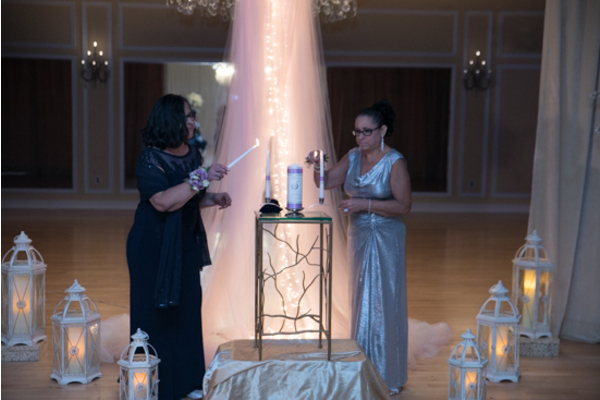 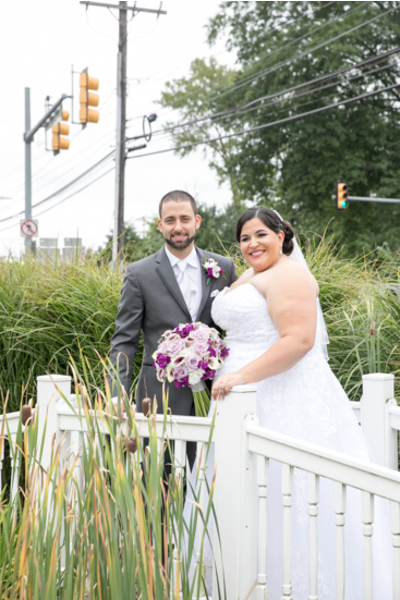 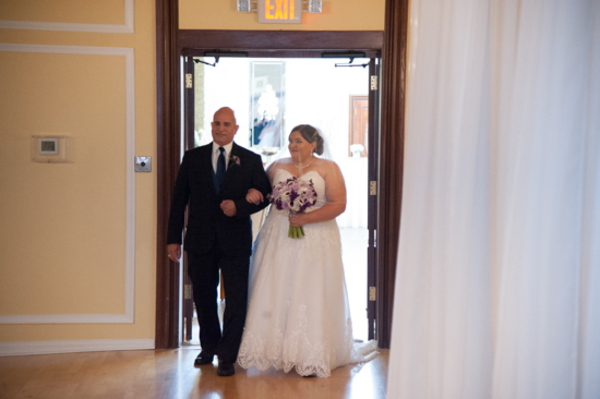 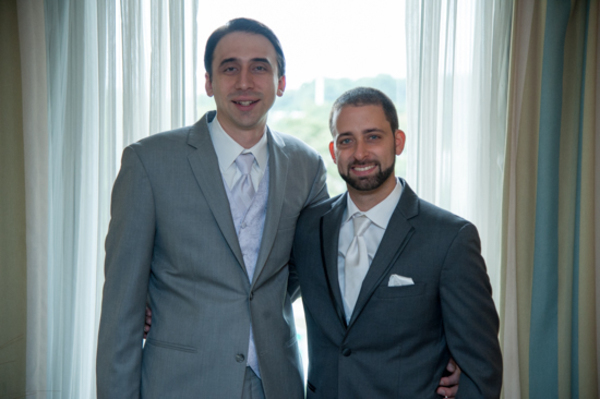 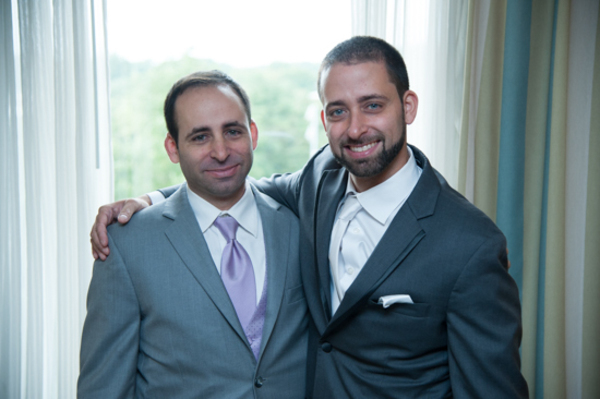 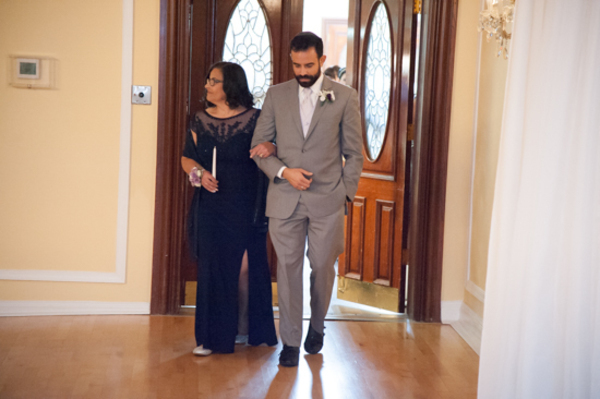 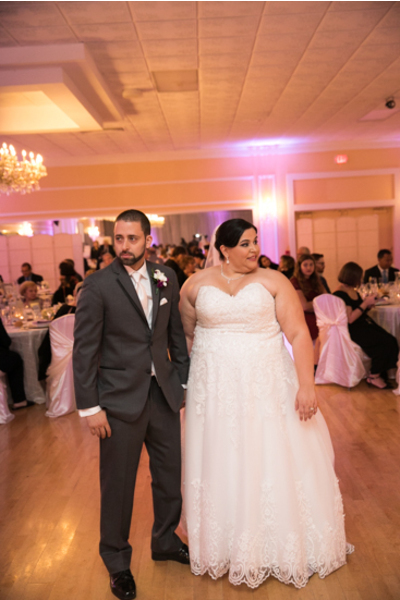 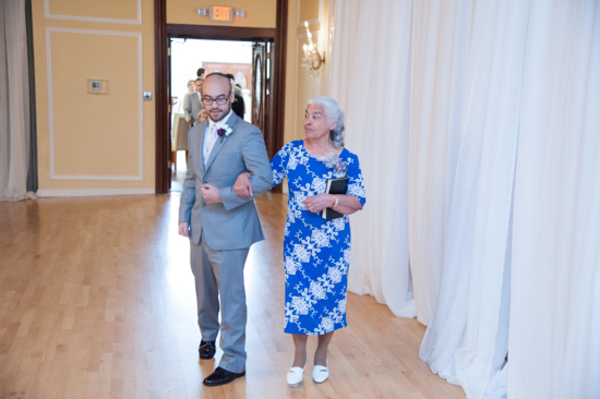 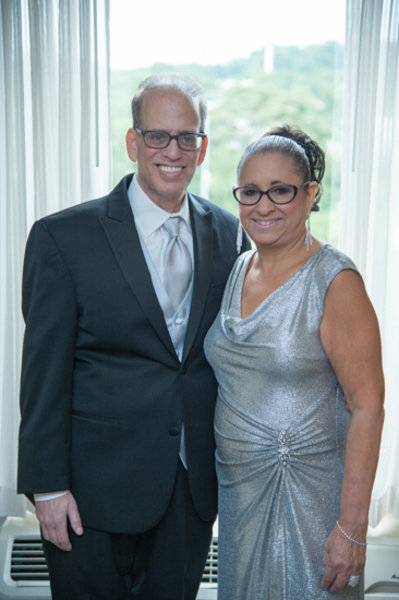 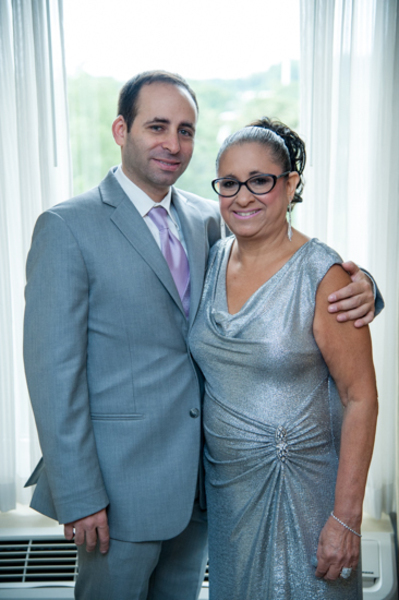 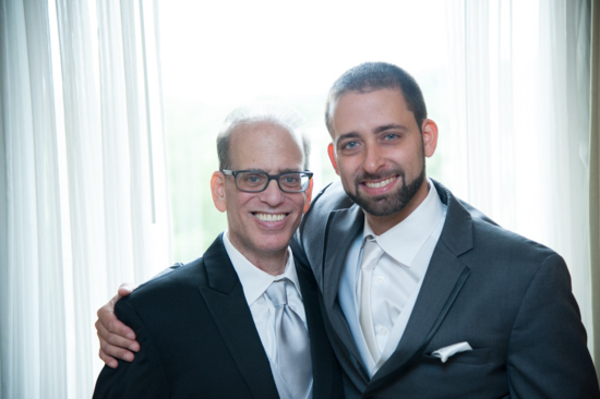 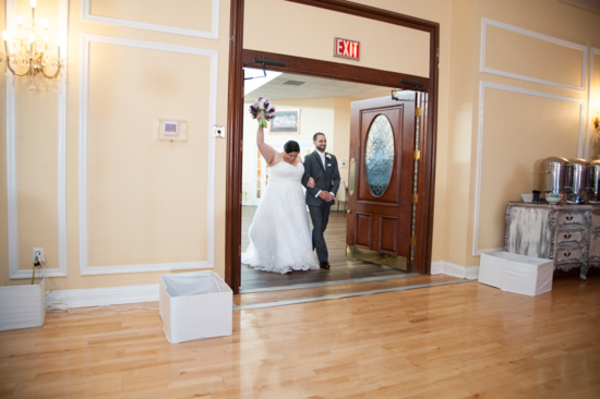 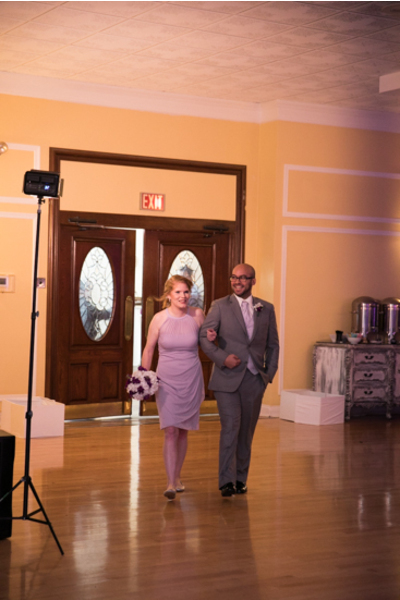 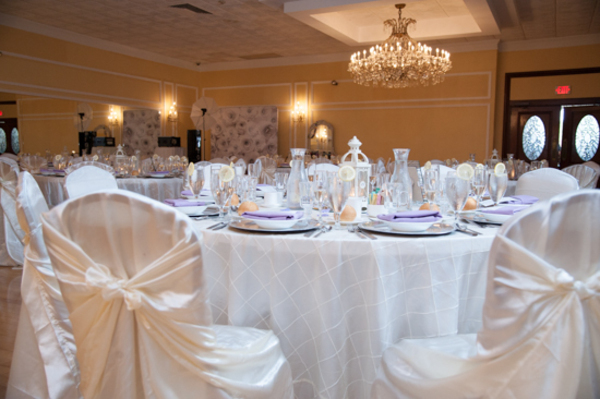 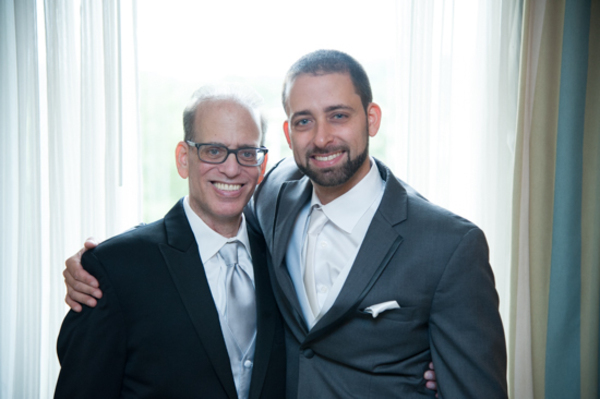 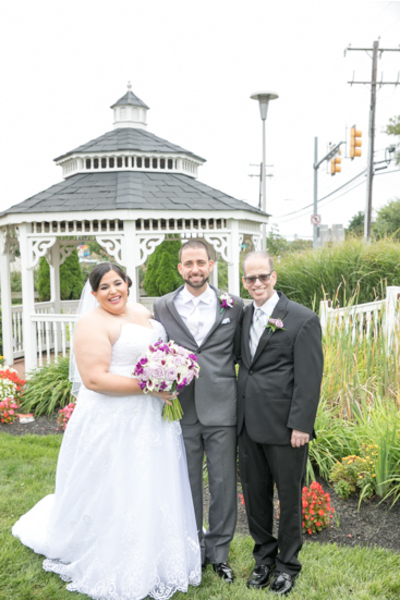 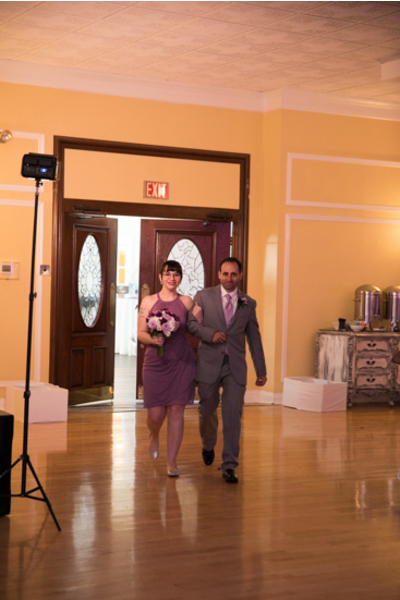 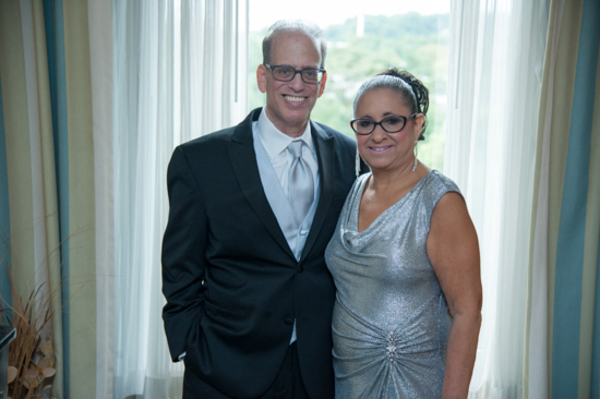 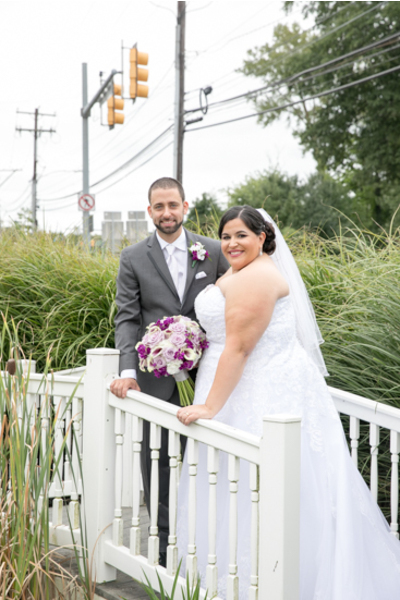 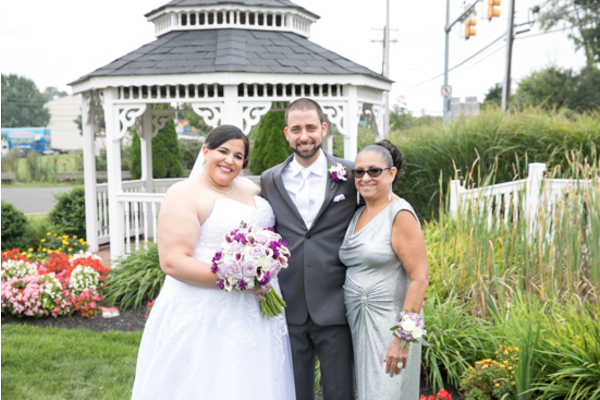 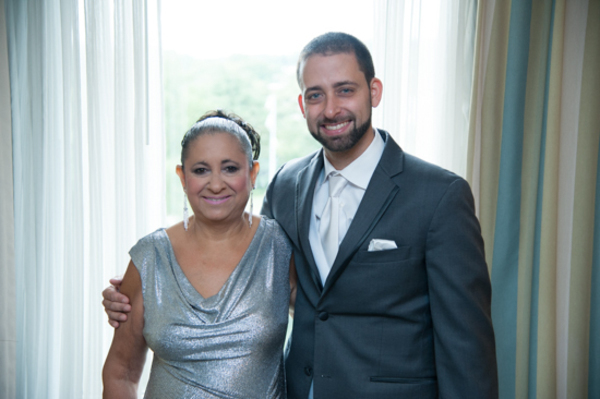 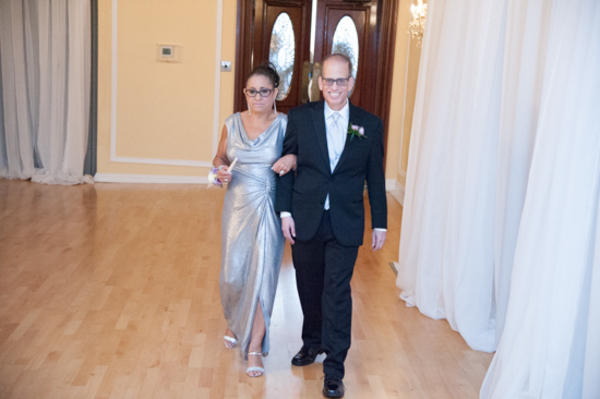 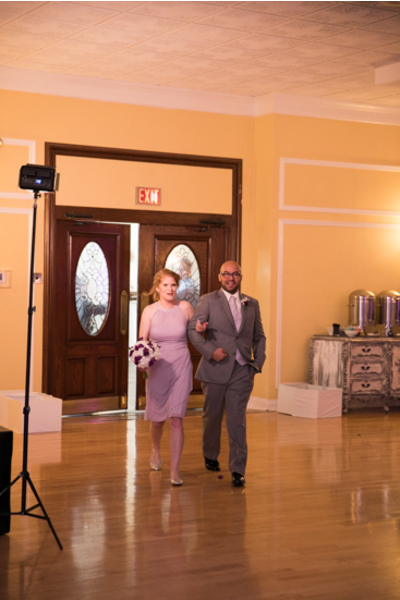 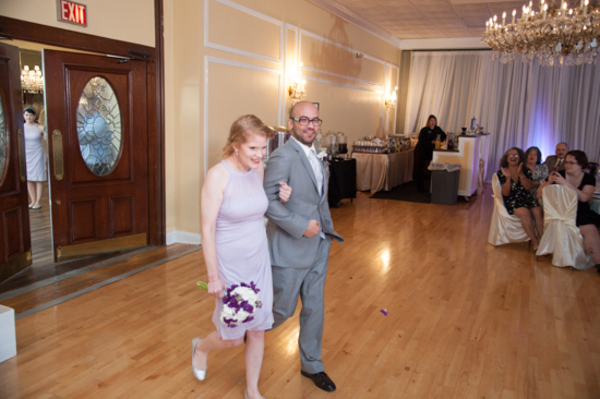 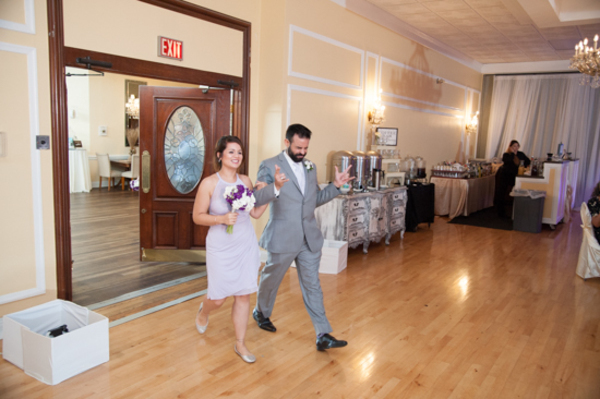 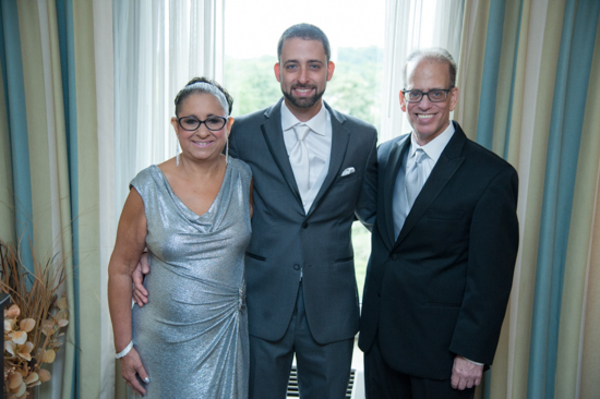 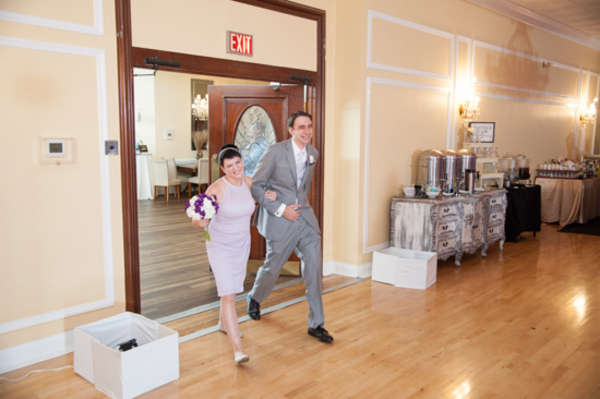 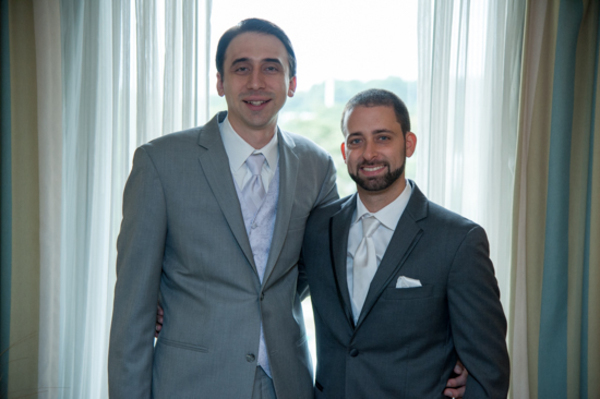 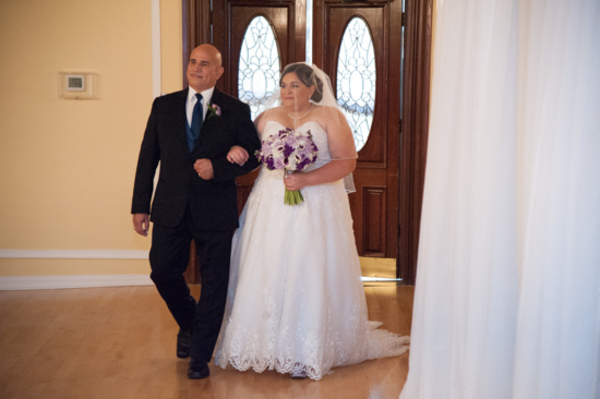 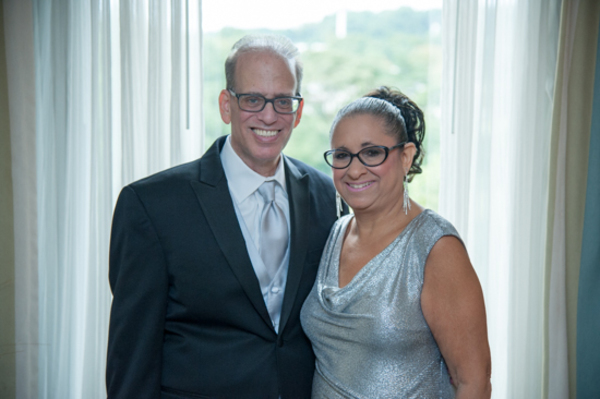 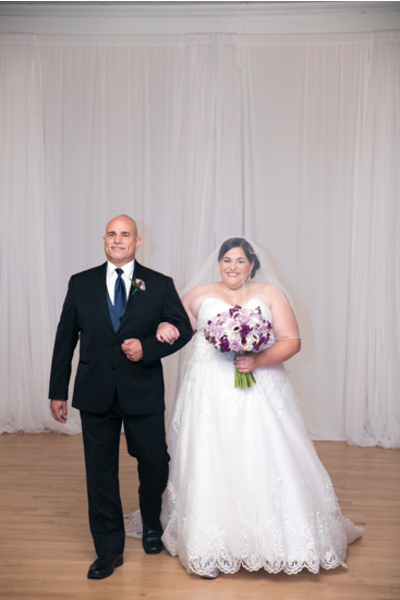 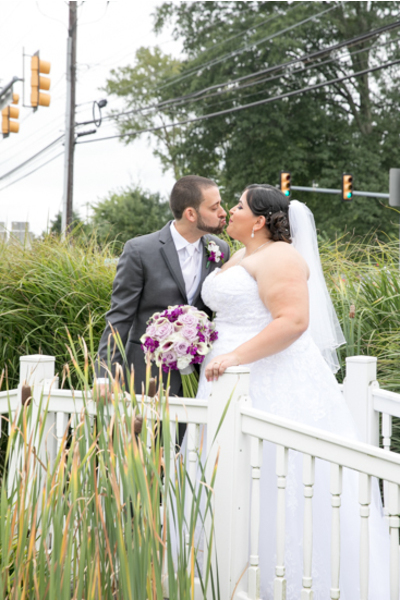 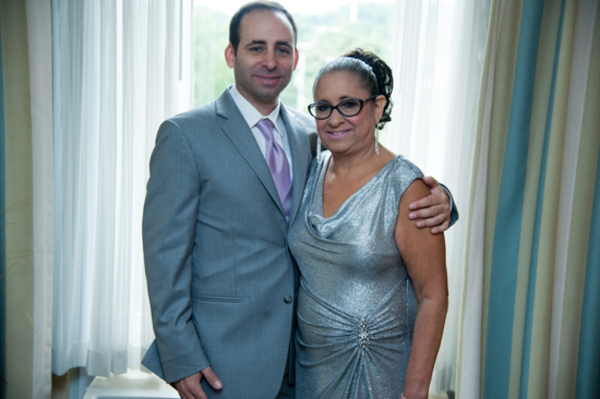 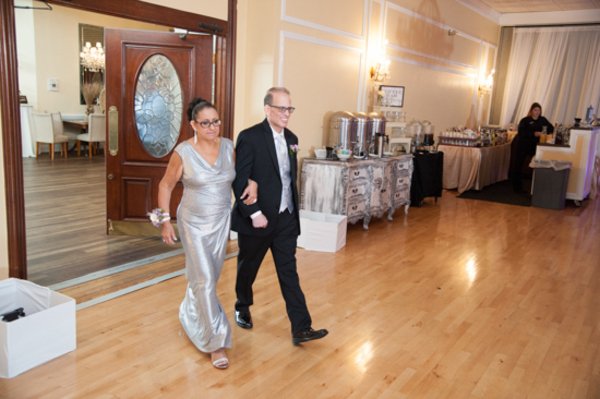 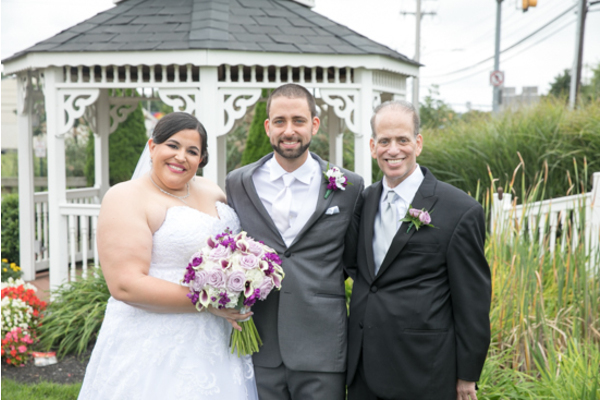 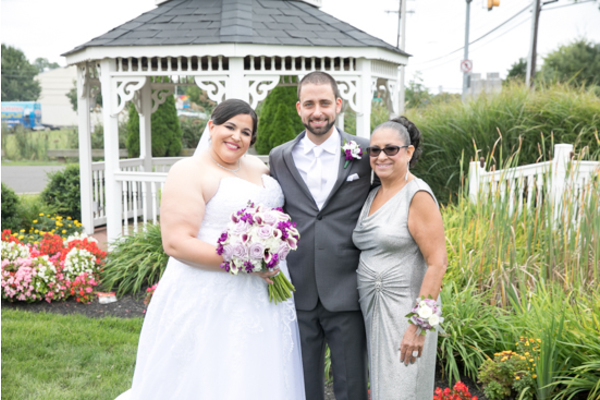 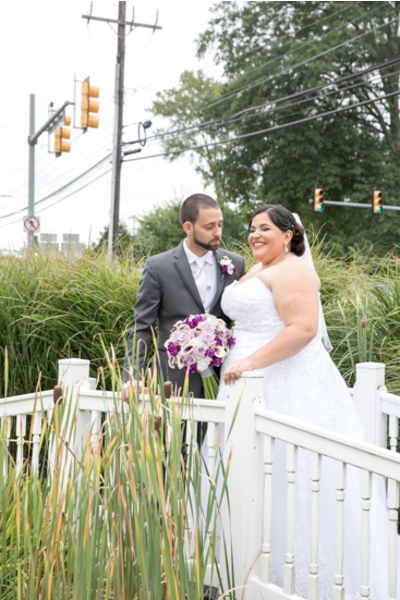 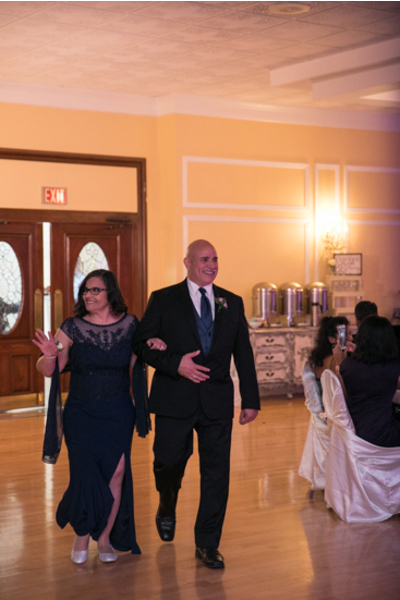 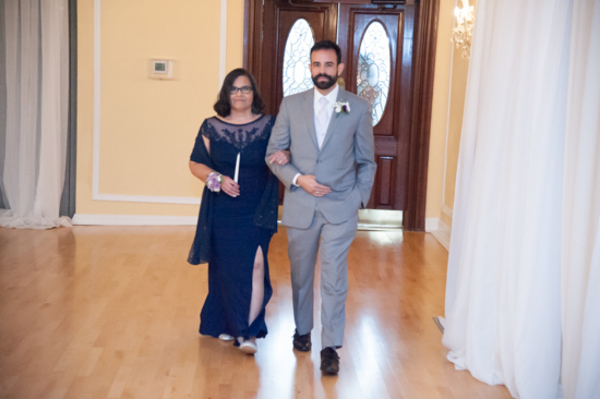 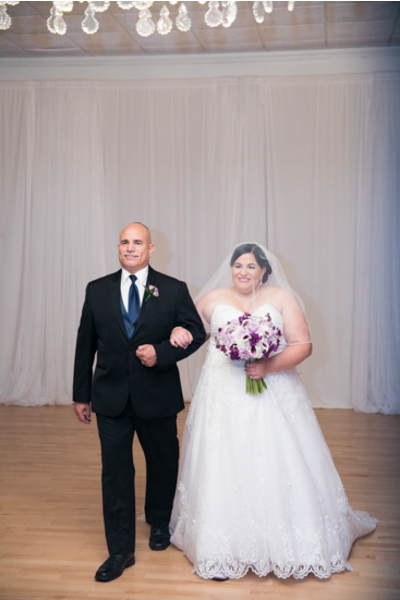 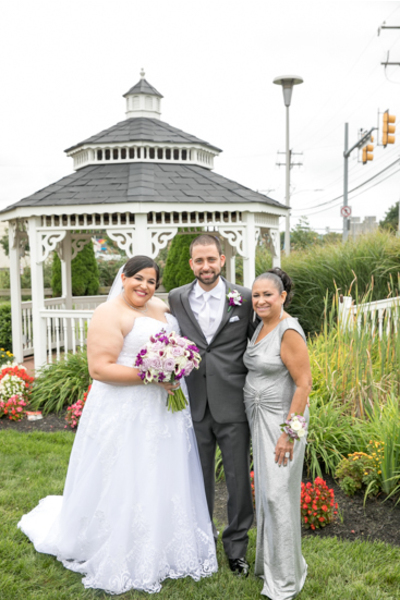 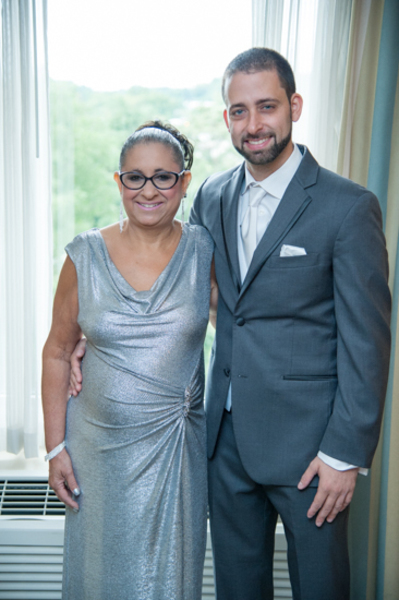 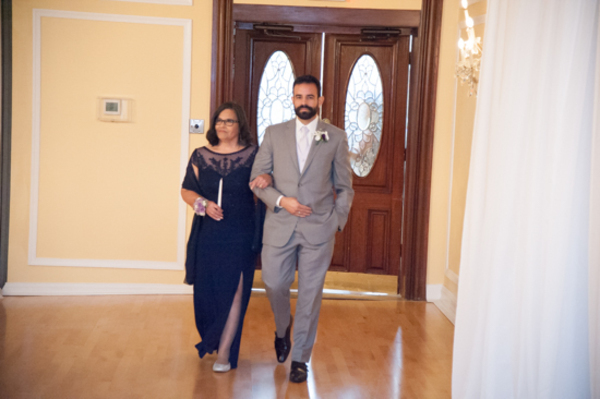 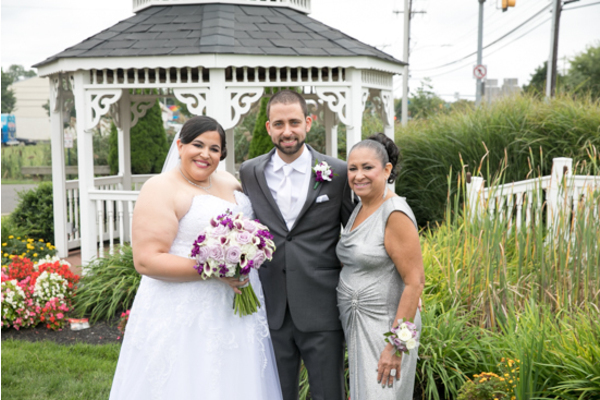 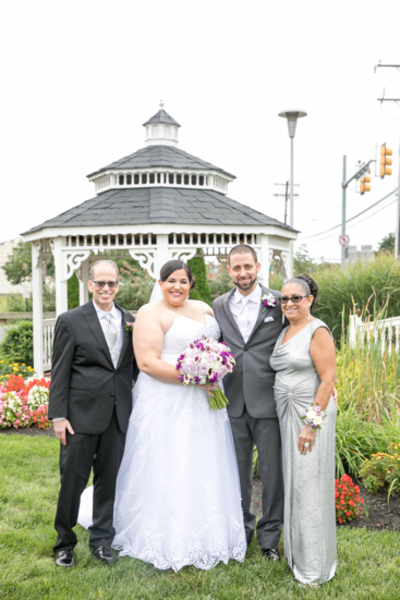 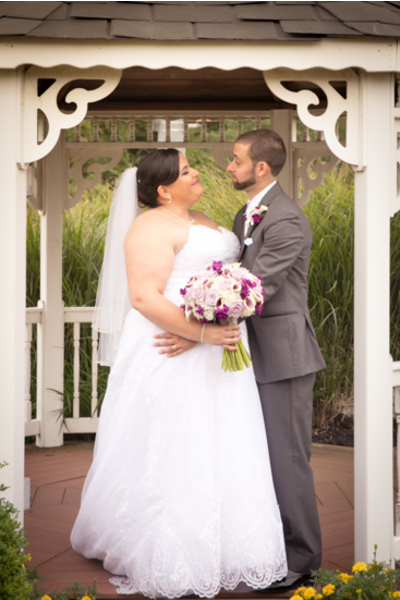 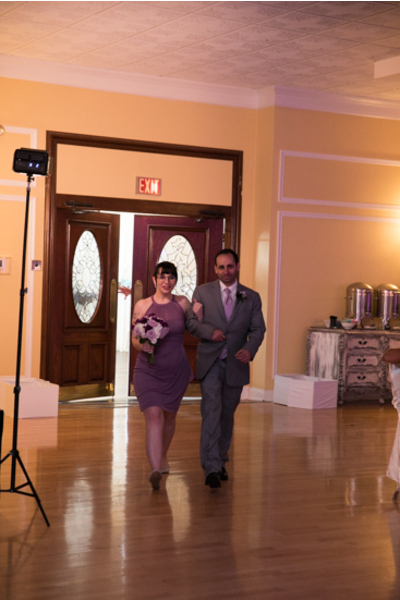 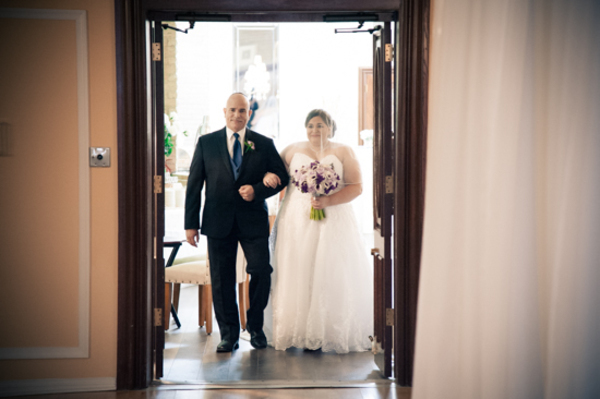 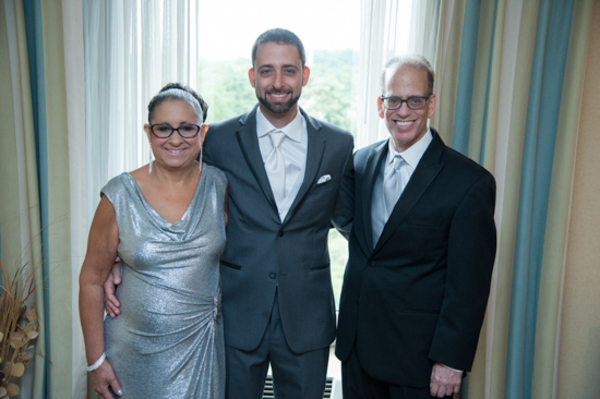 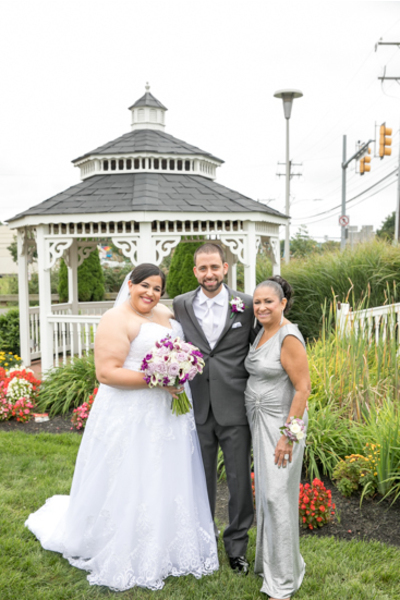 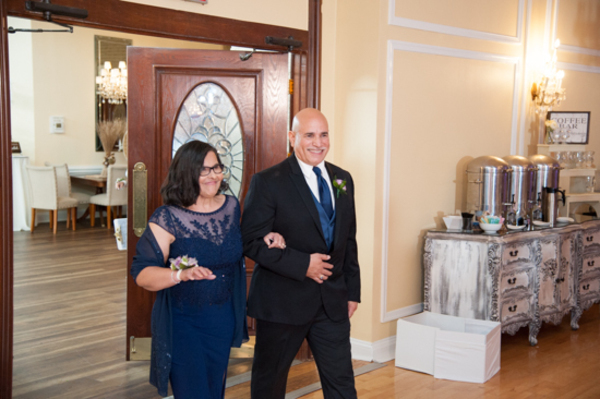 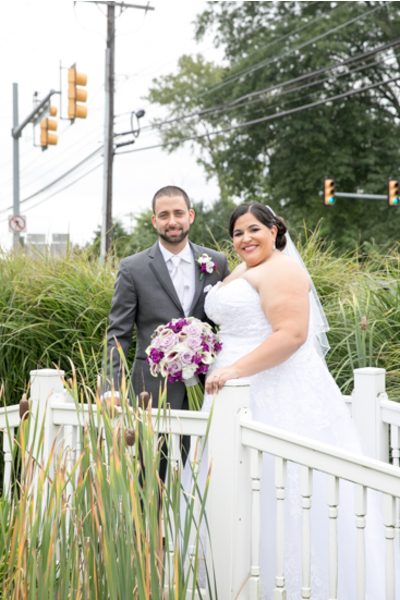 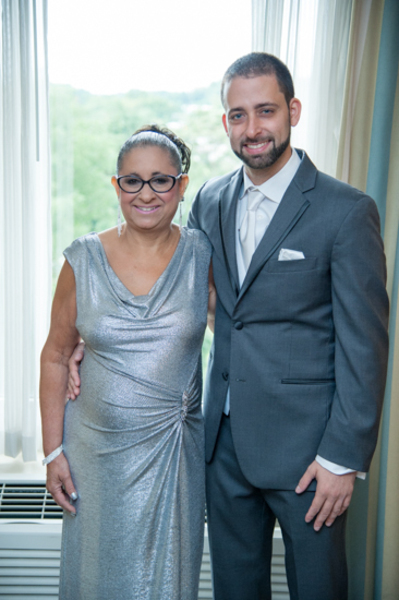 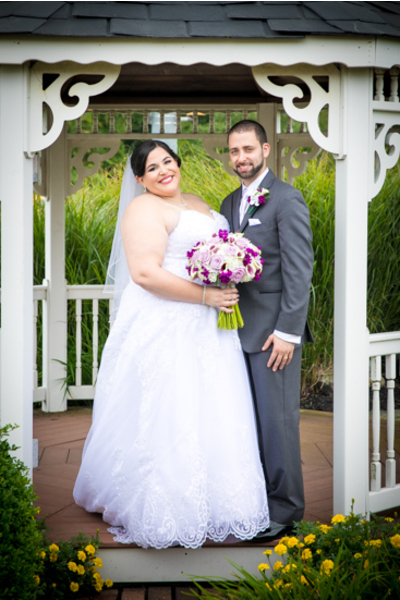 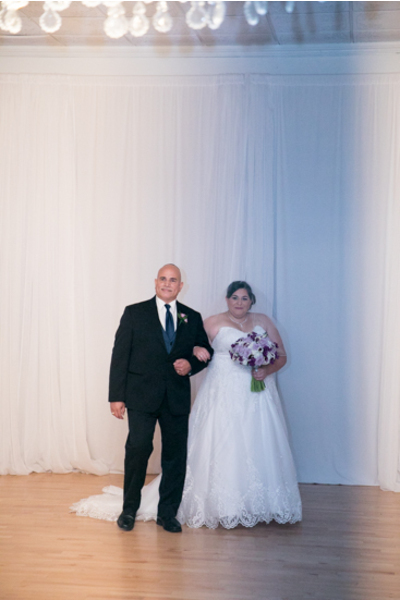 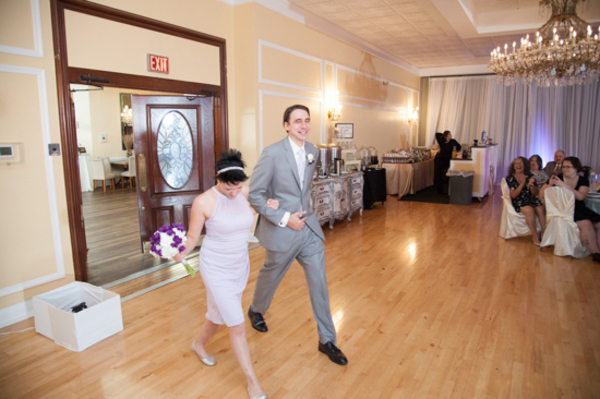 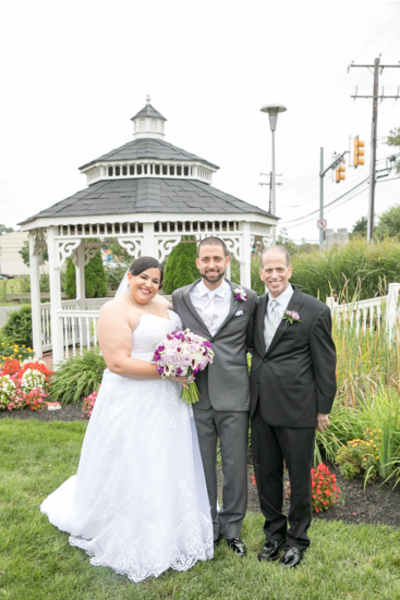 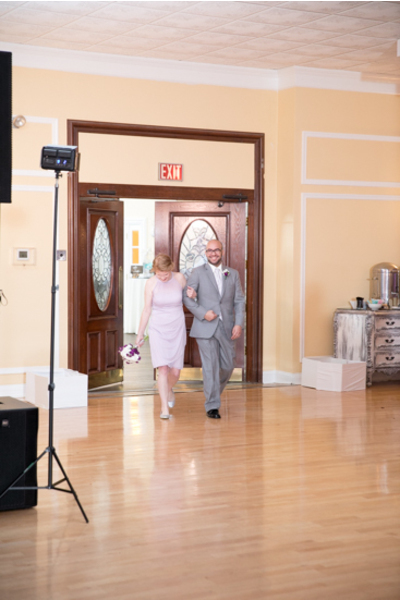 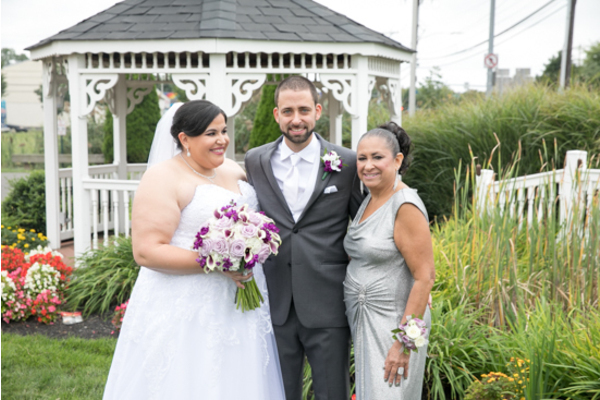 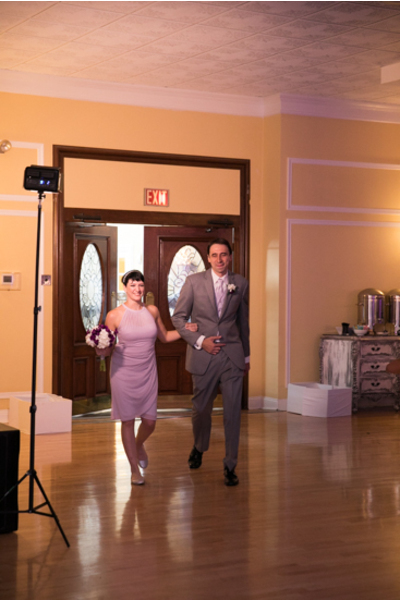 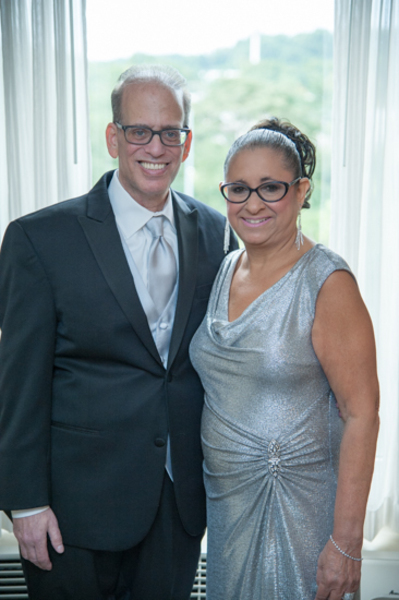 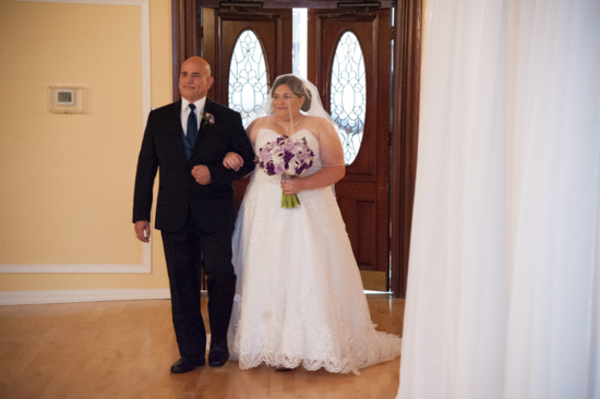 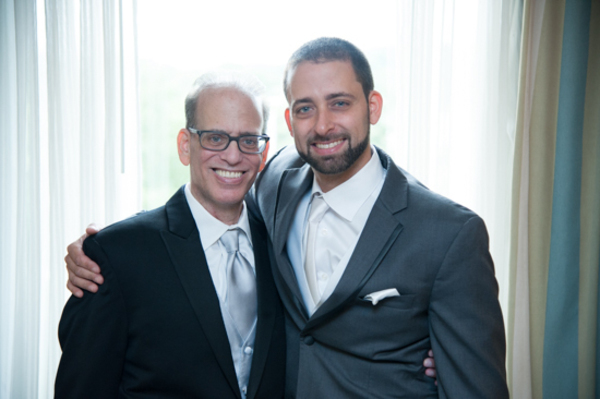 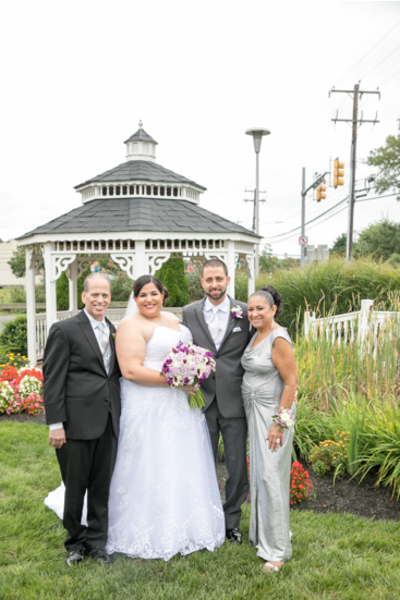 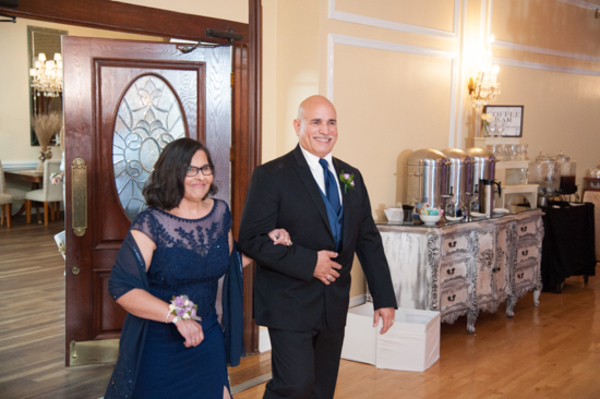 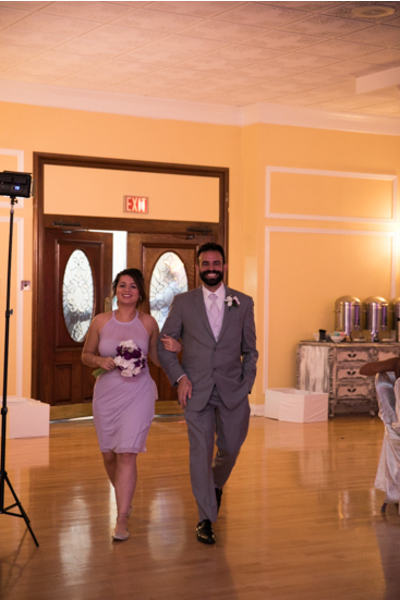 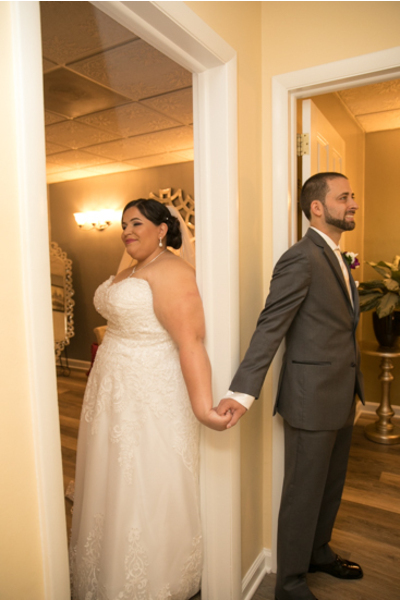 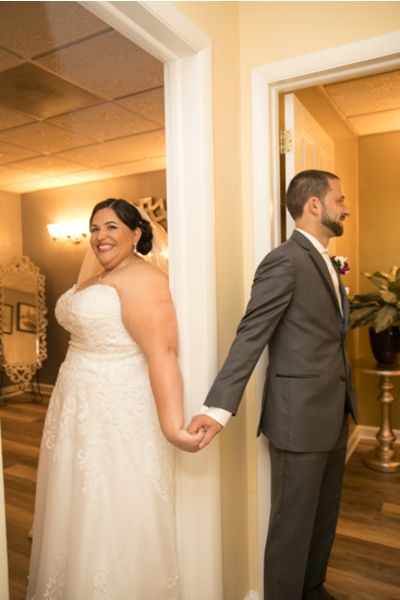 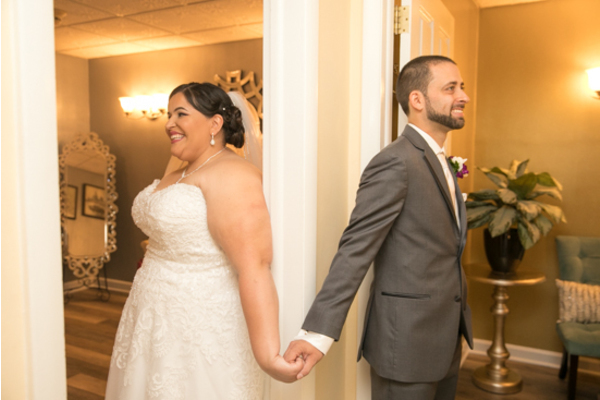 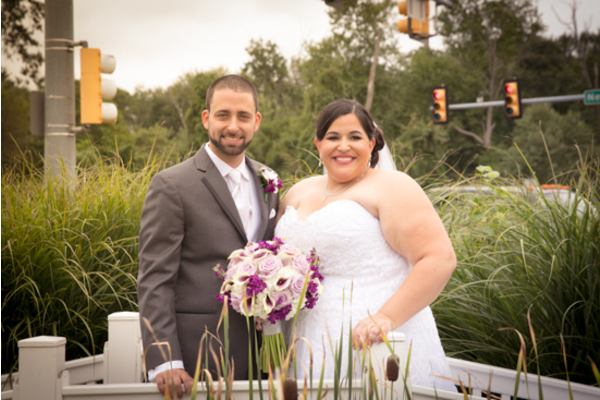 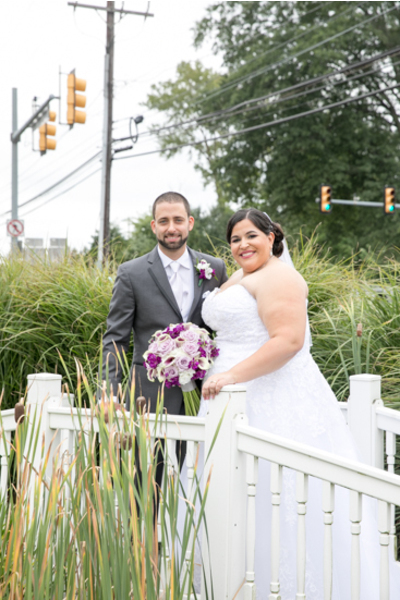 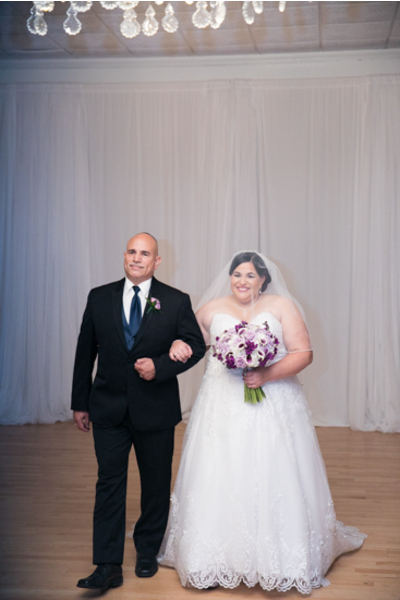 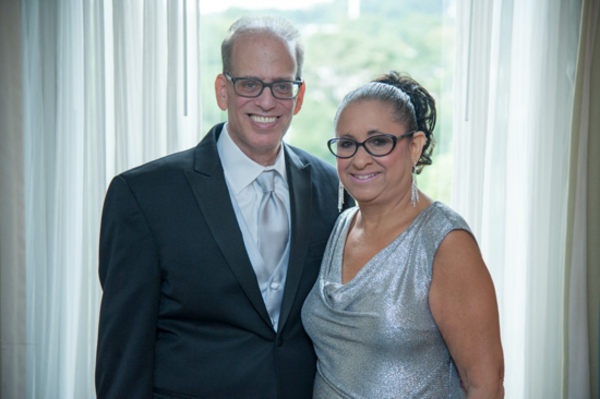 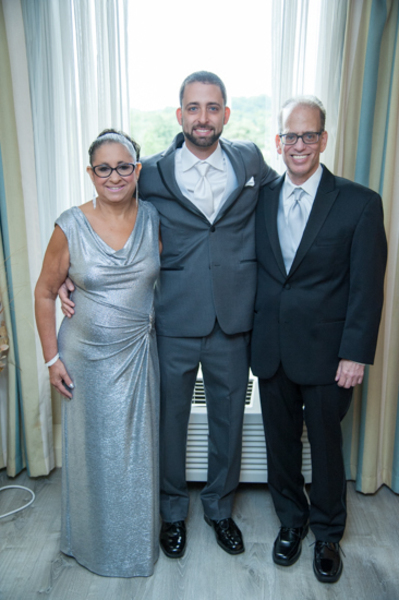 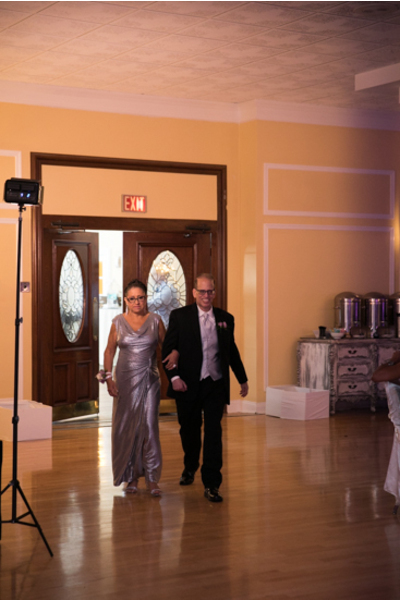 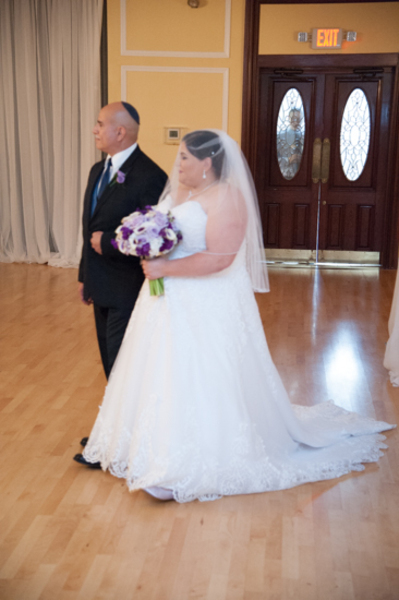 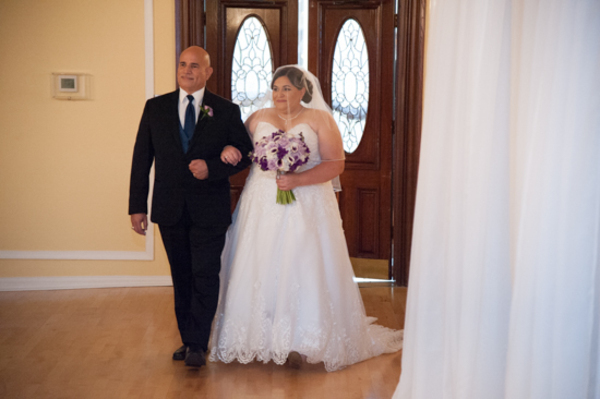 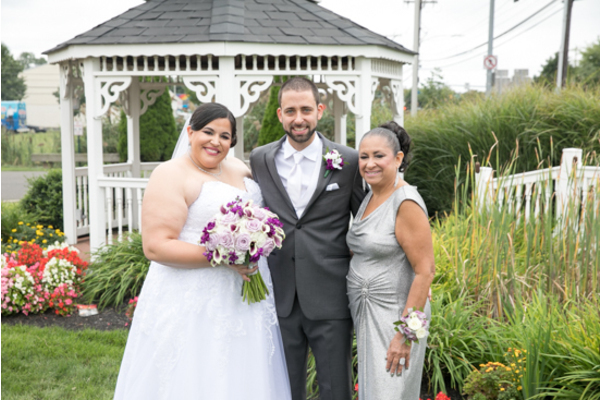 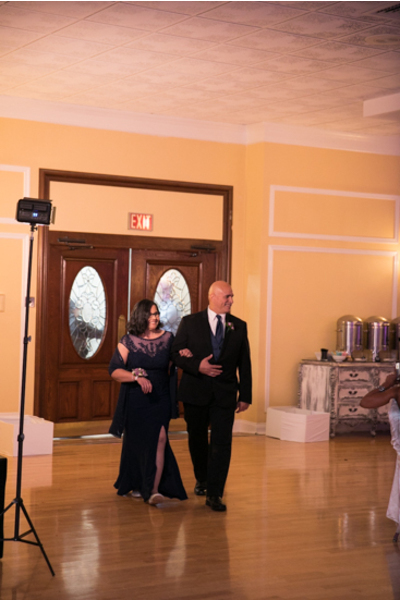 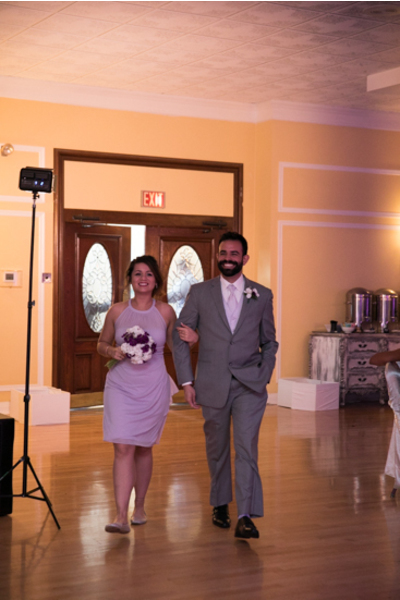 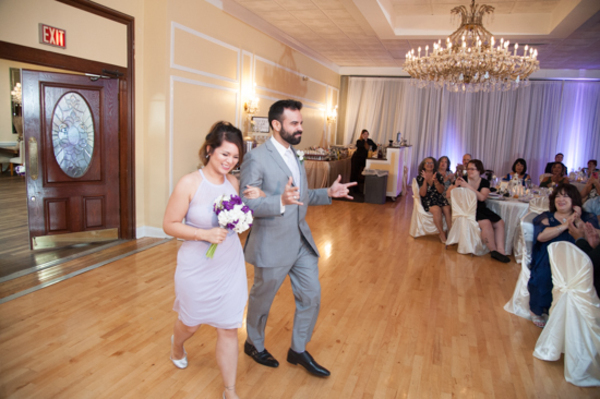 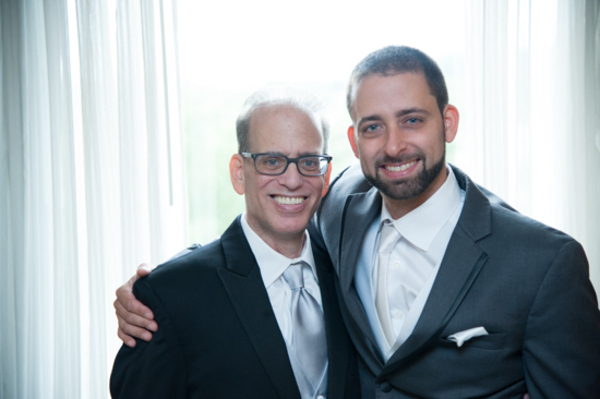 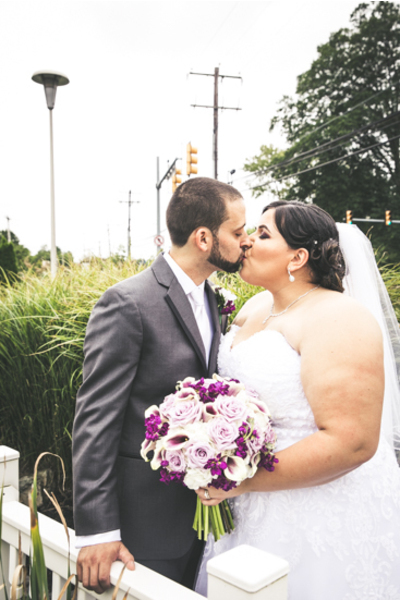 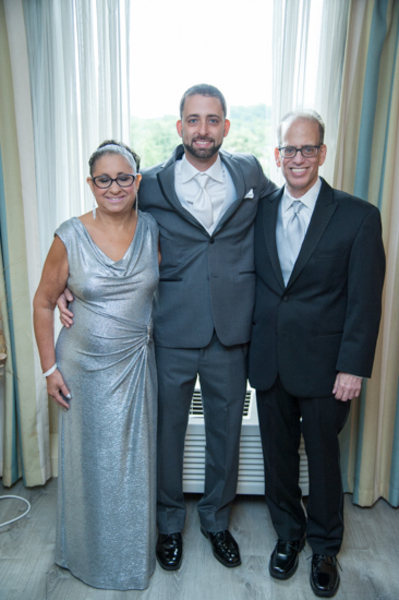 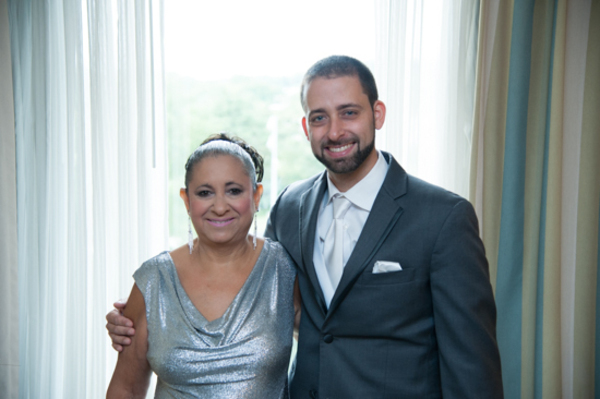 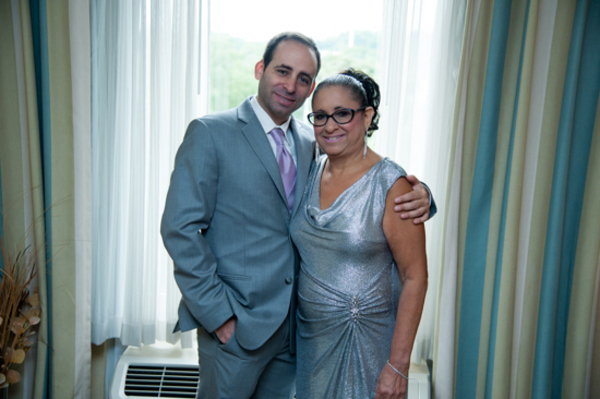 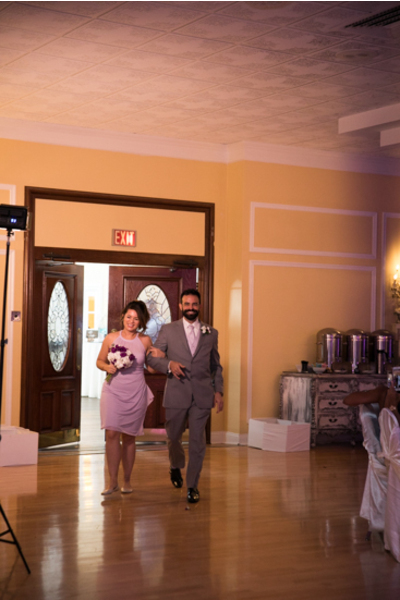 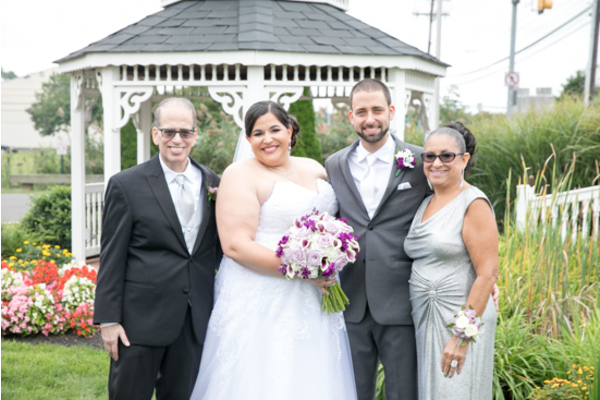 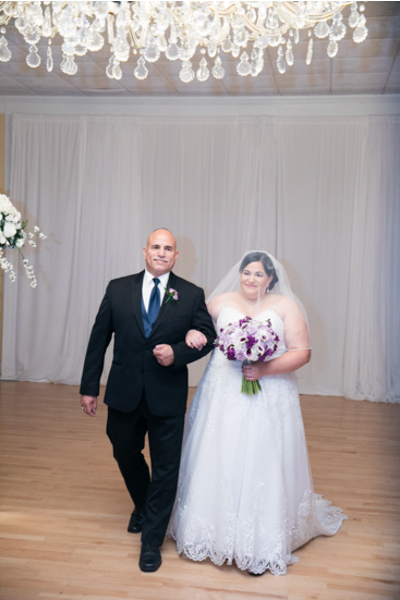 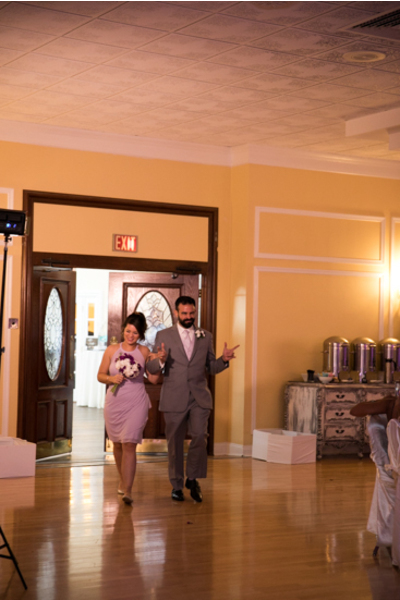 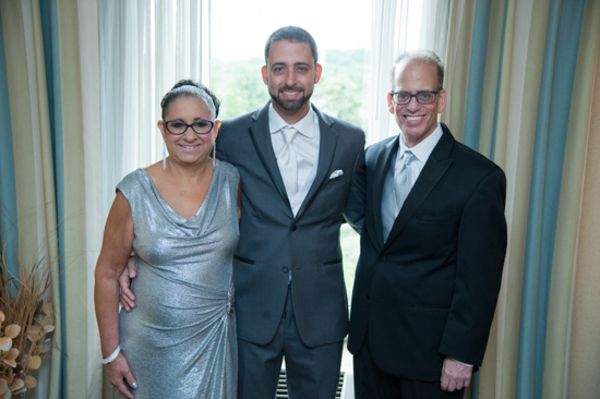 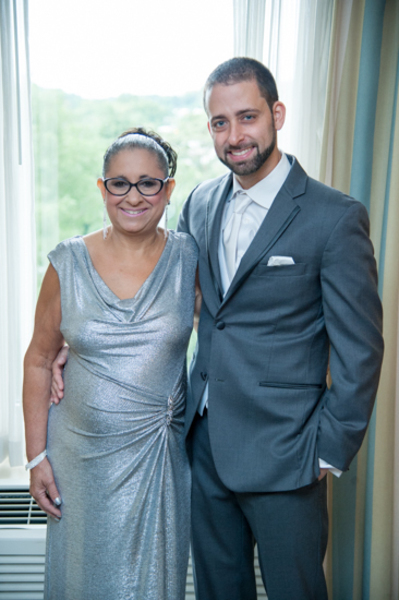 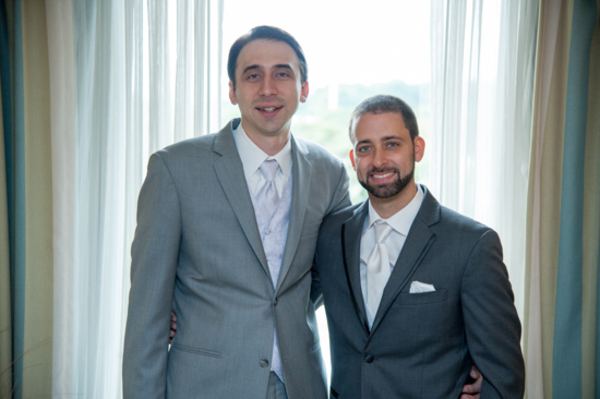 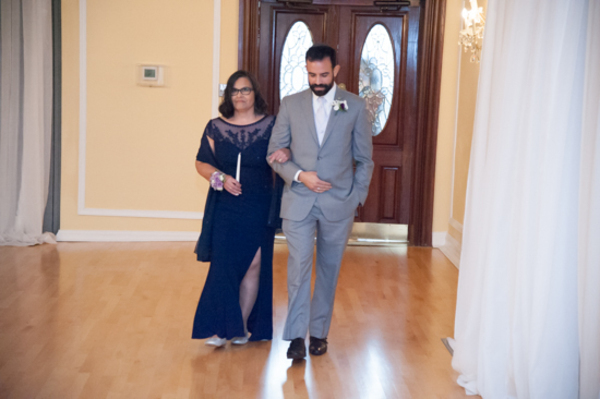 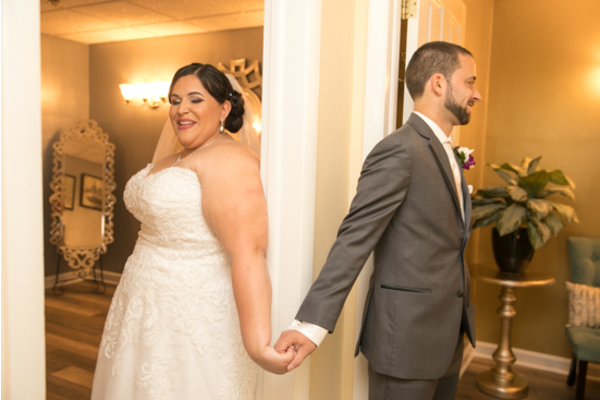 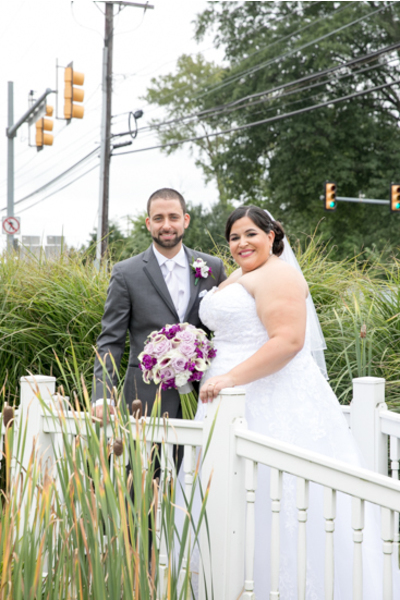 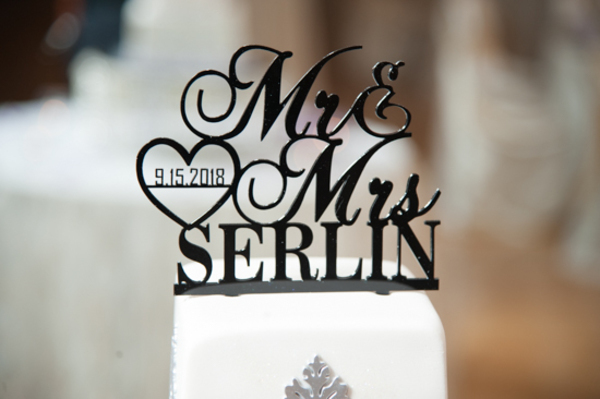 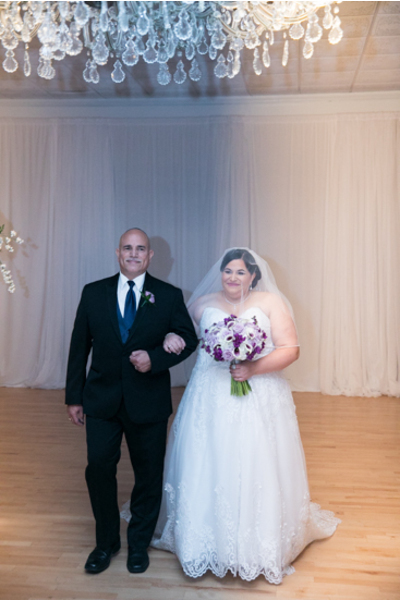 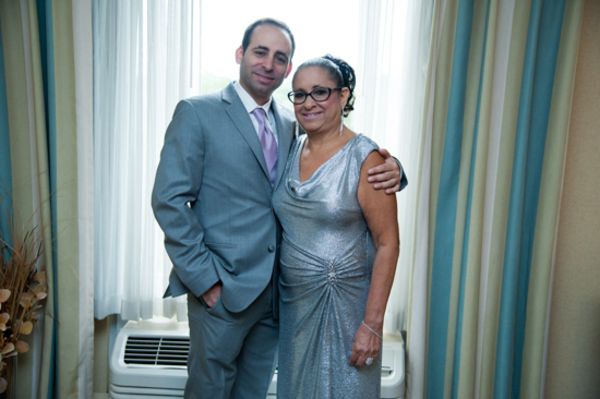 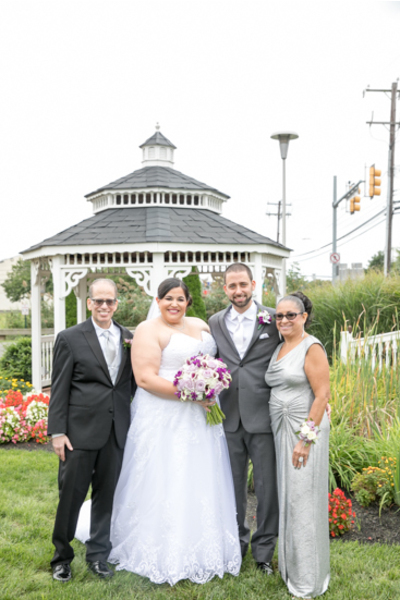 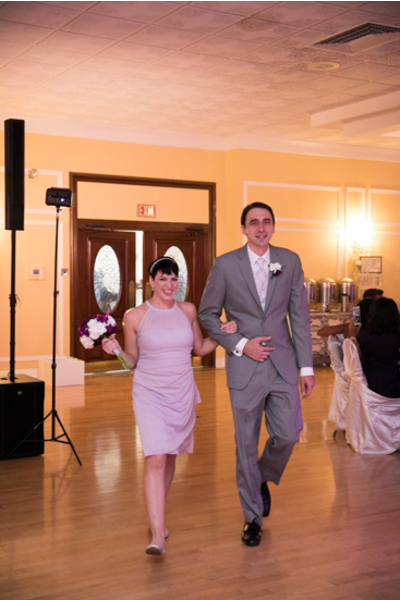 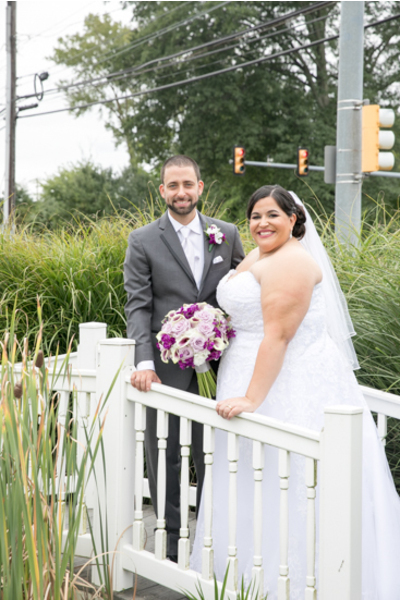 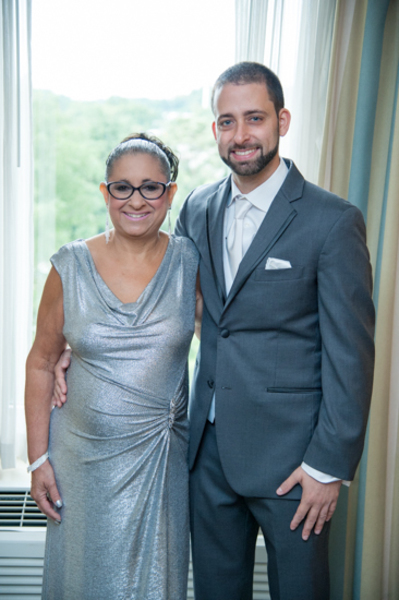 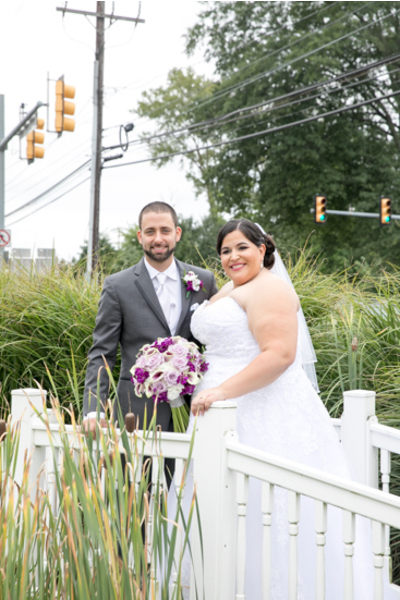 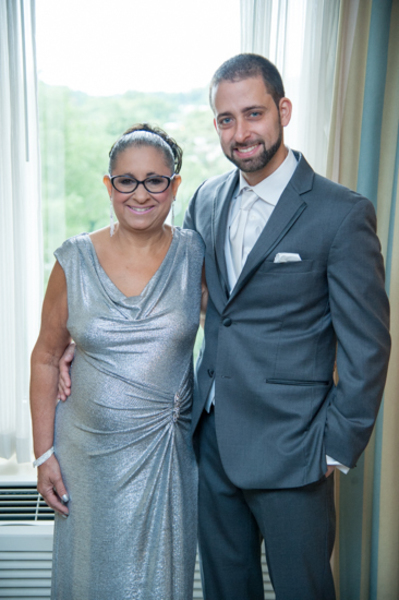 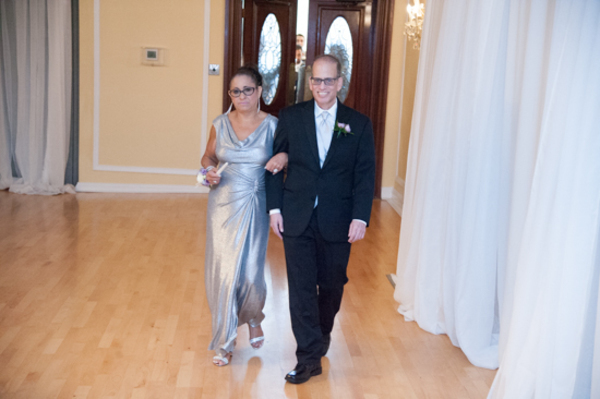 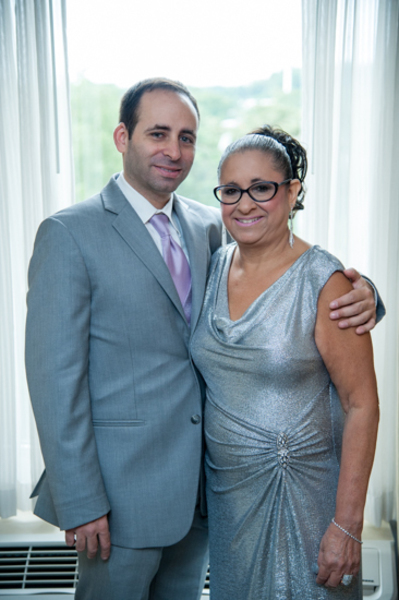 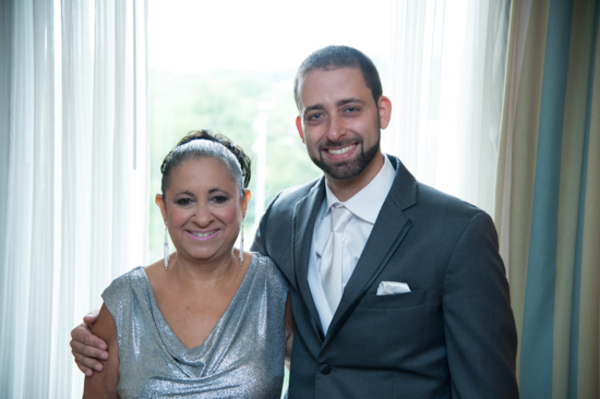 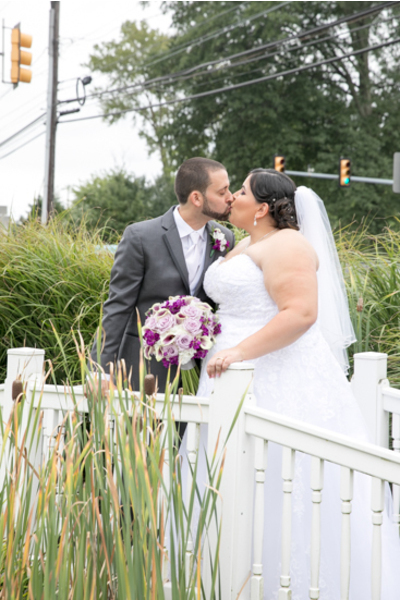 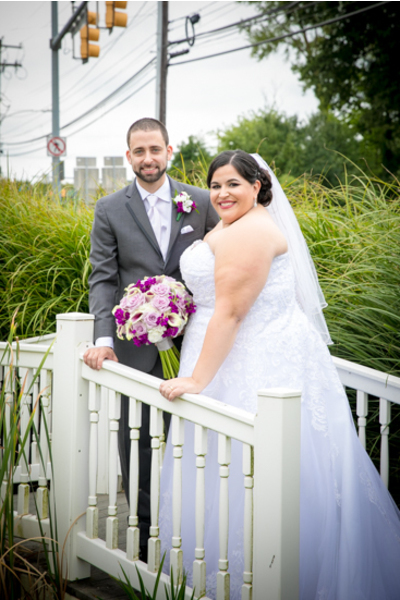 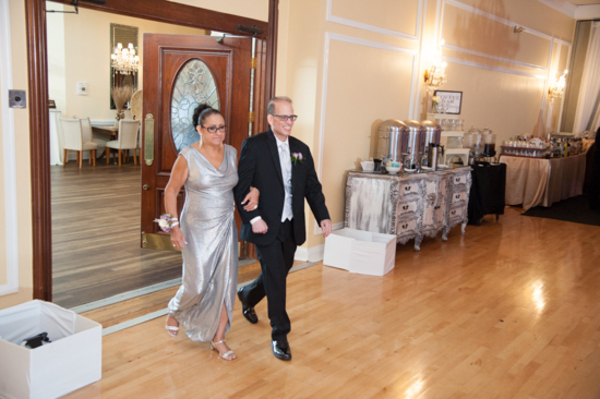 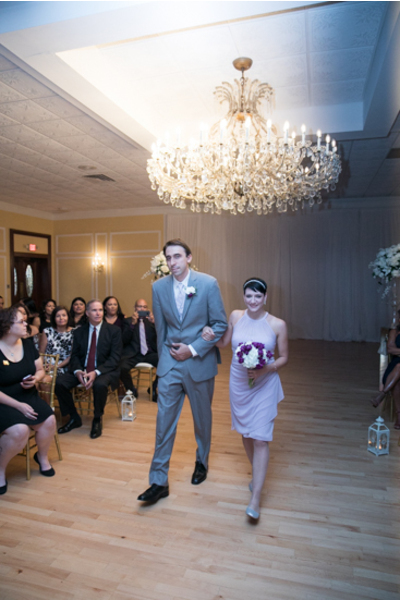 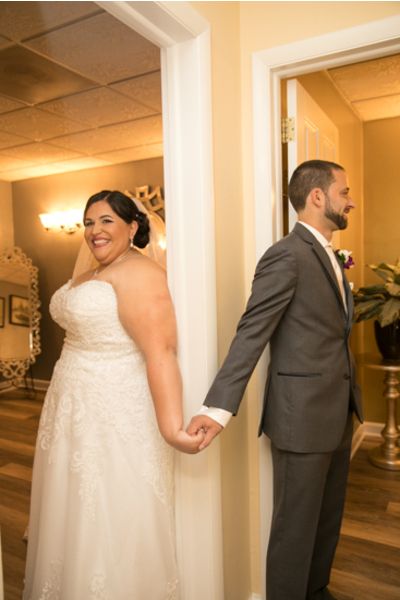 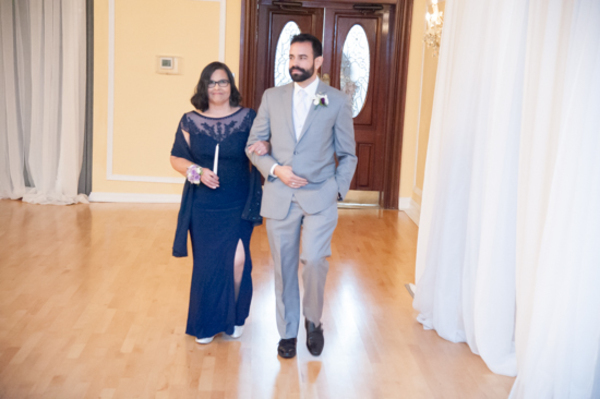 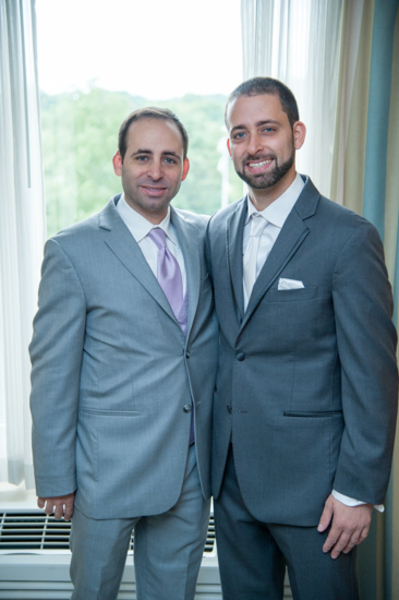 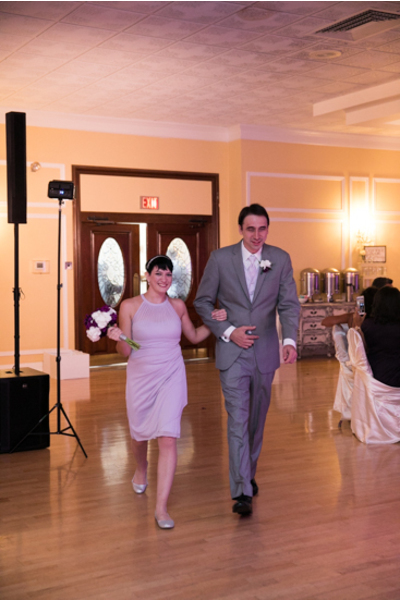 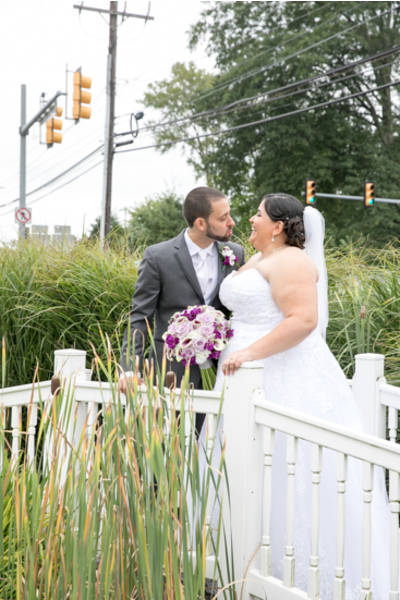 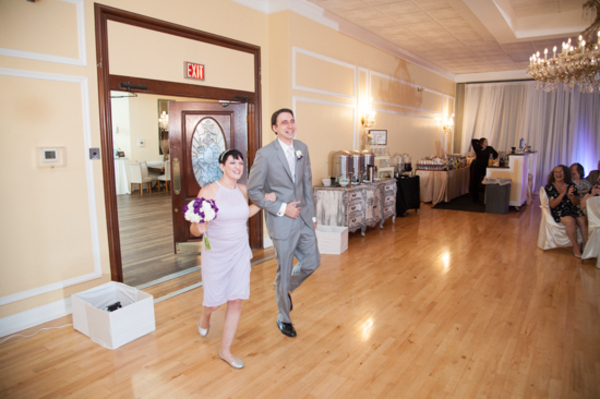 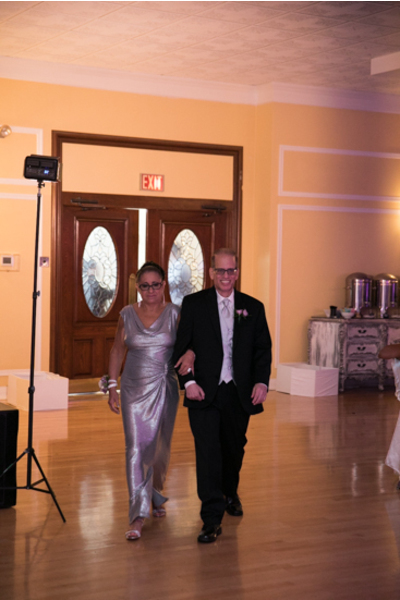 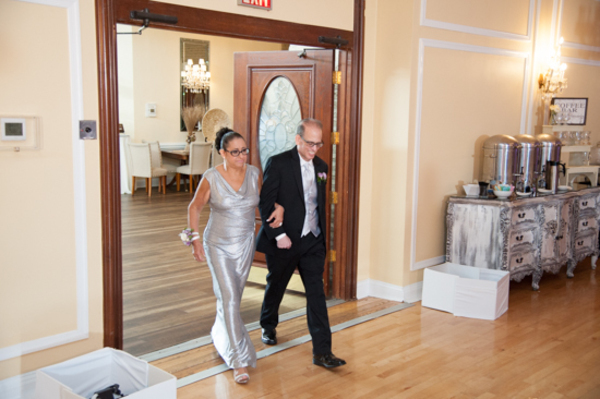 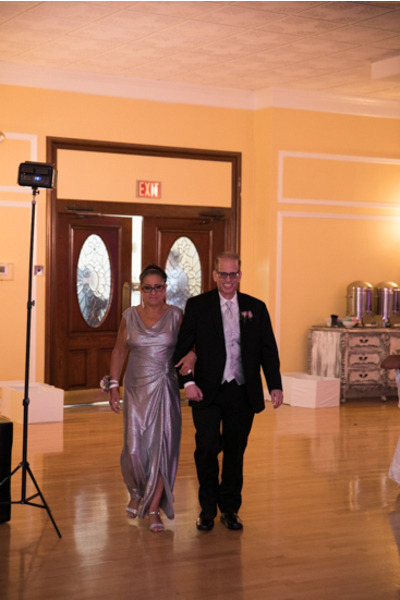 These two tied the knot on September 15th 2018 at Falls Manor Catering, in Bristol PA. 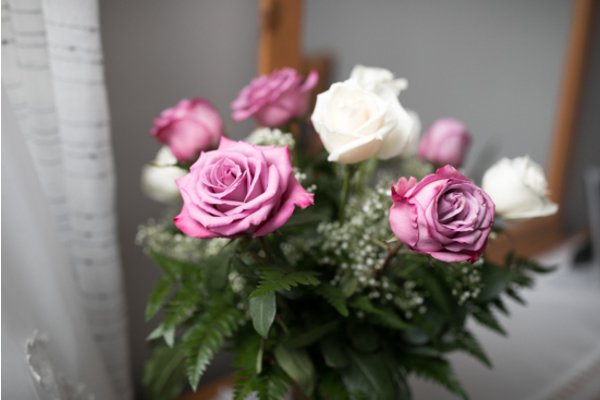 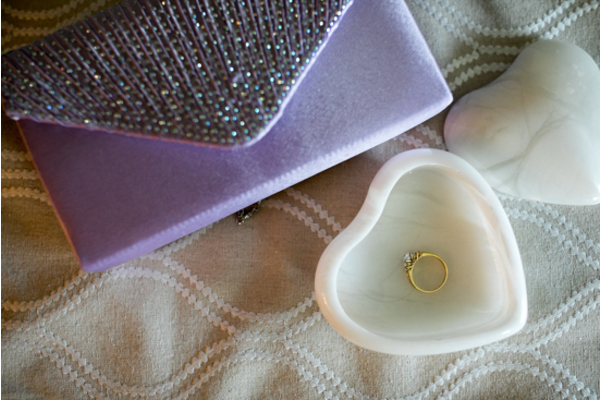 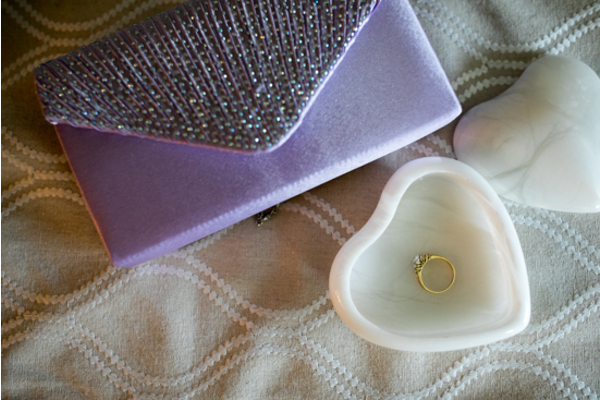 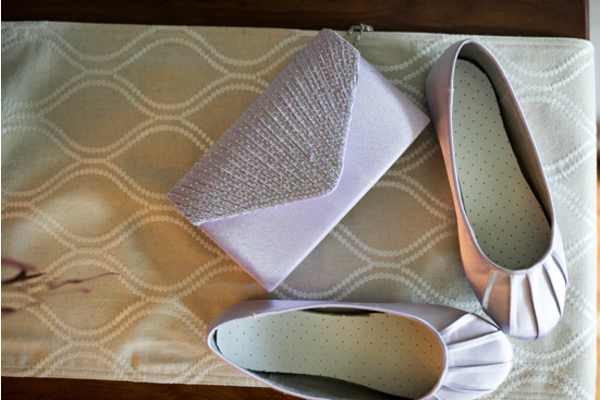 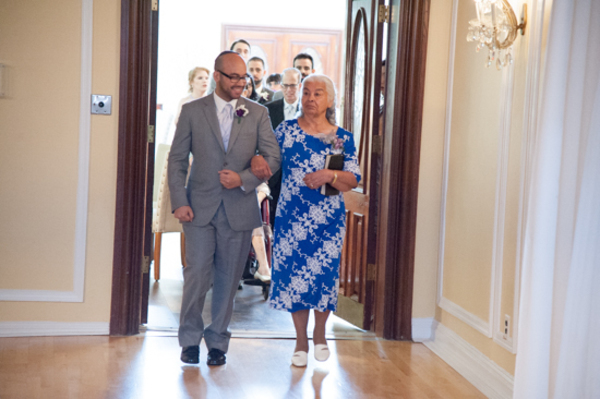 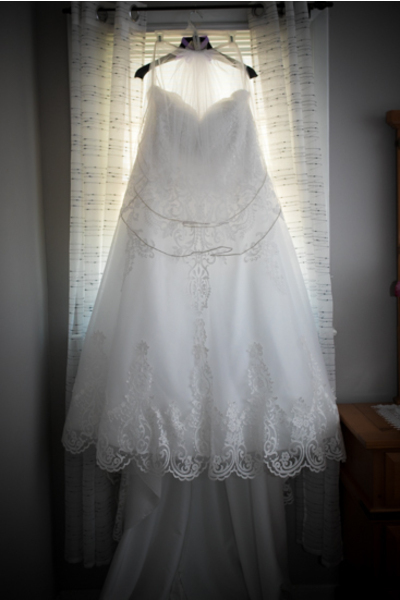 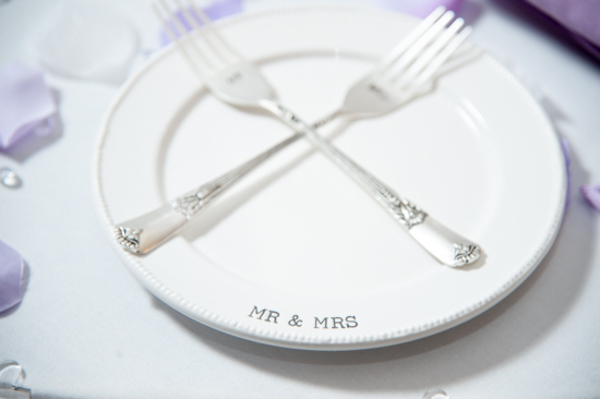 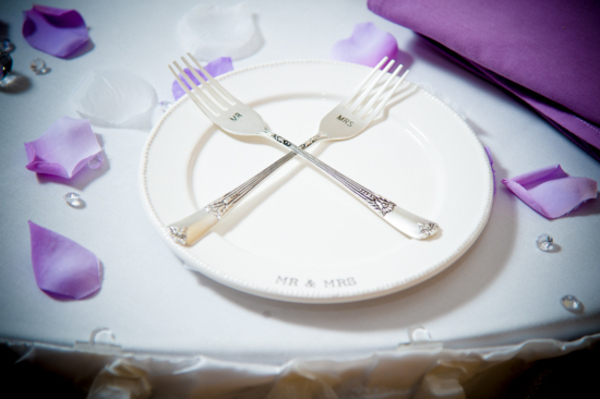 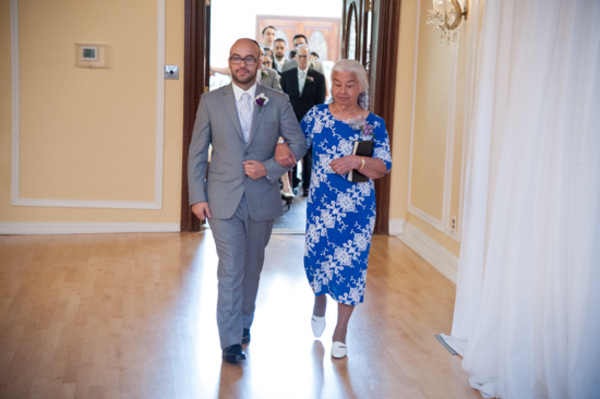 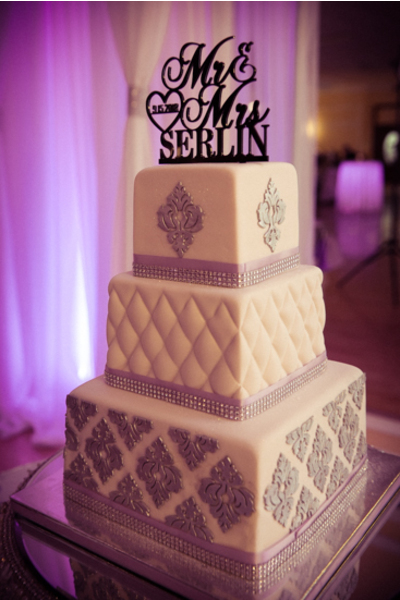 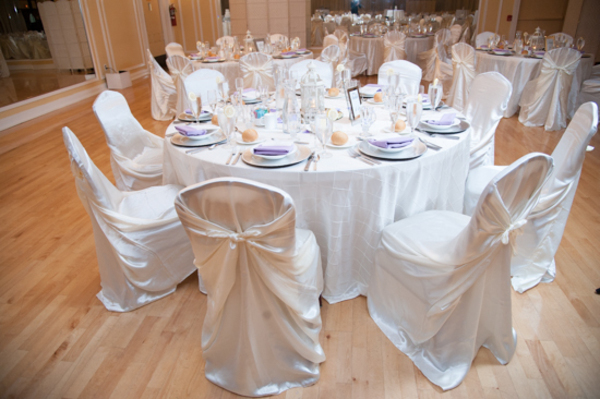 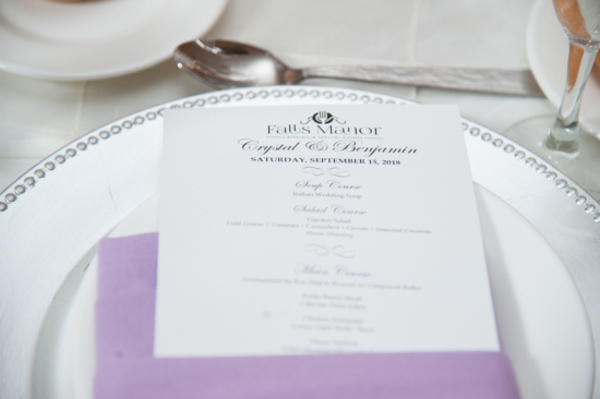 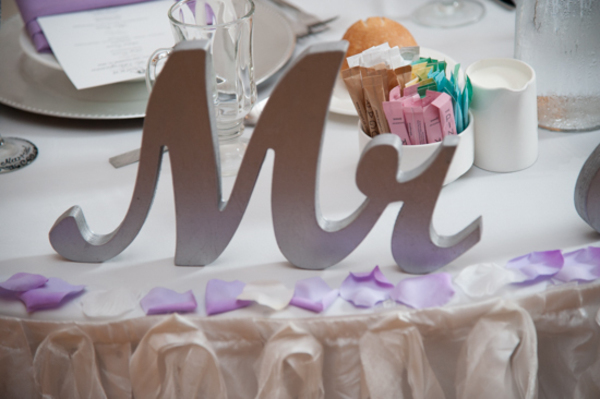 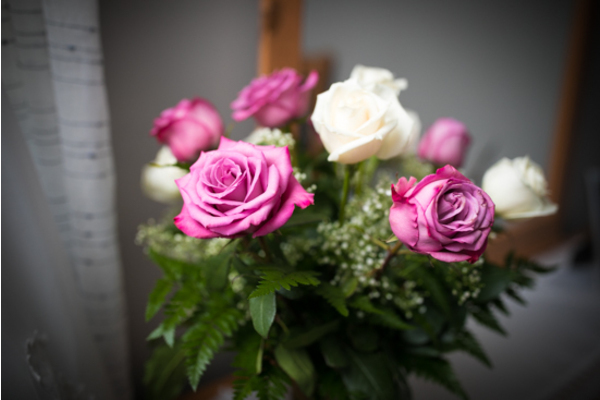 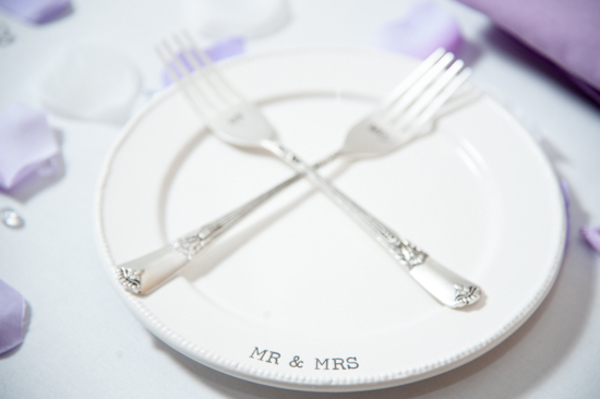 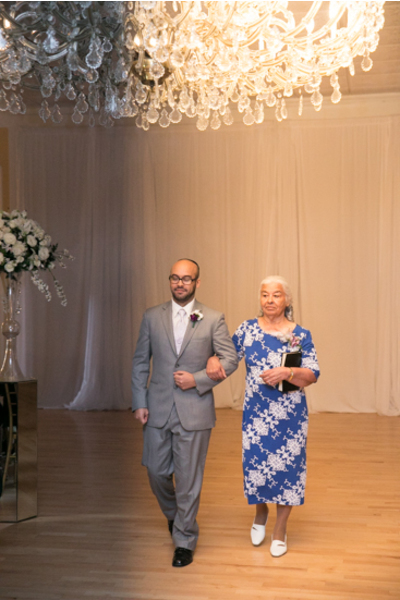 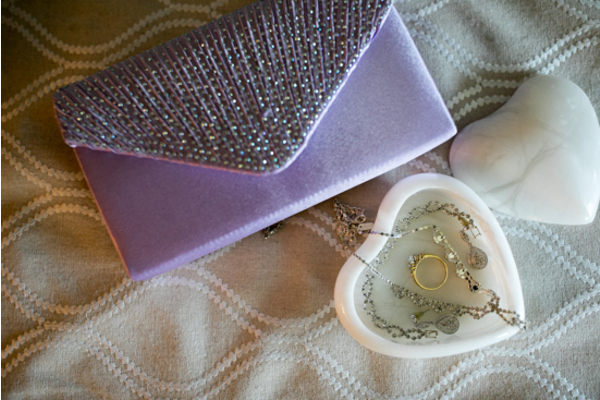 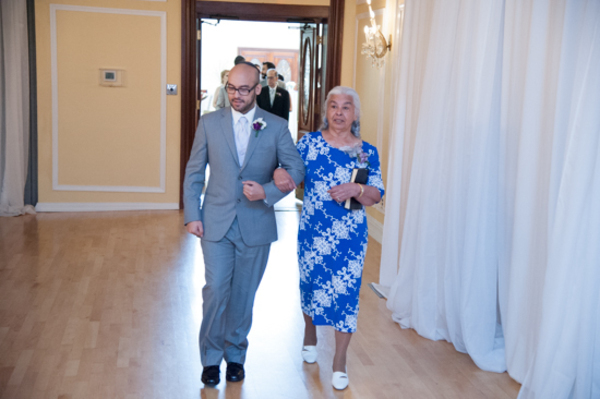 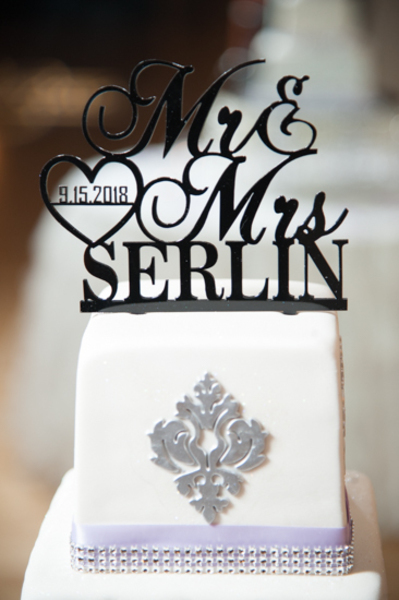 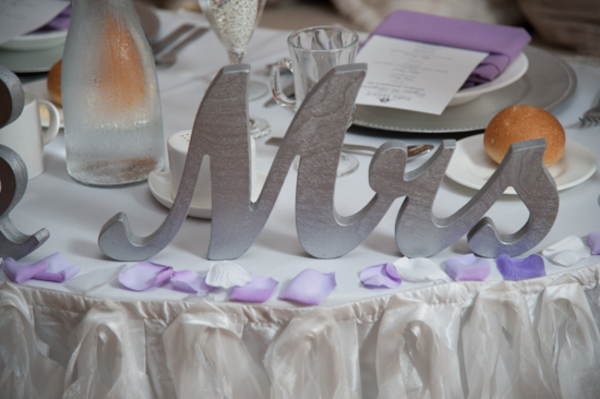 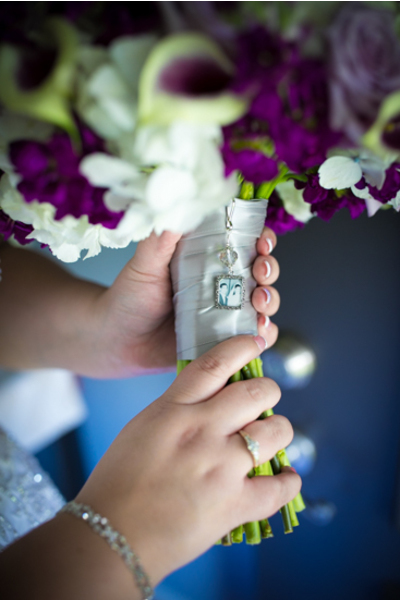 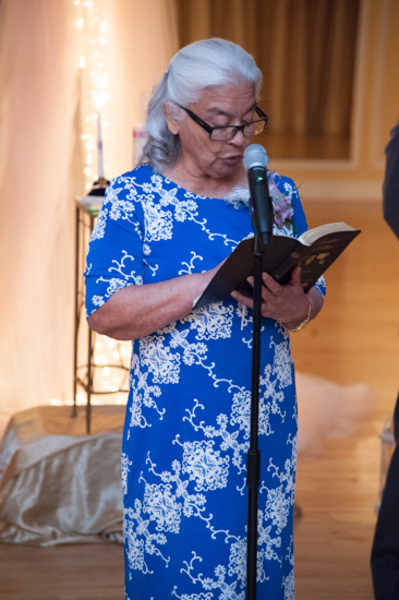 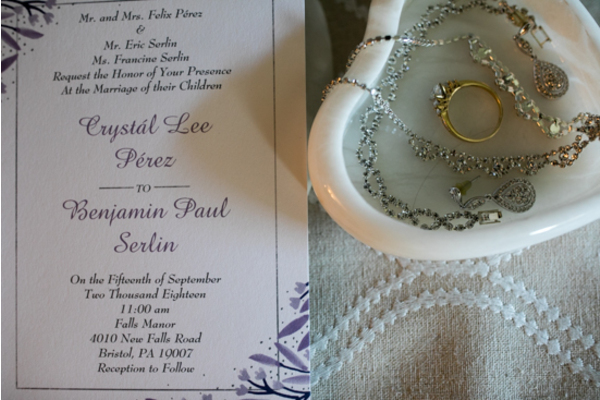 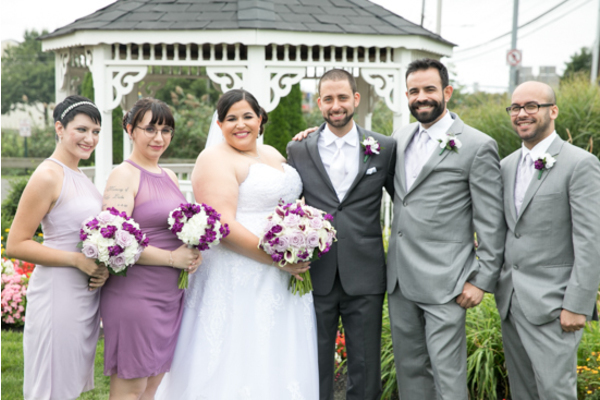 It was such a lovely September wedding! 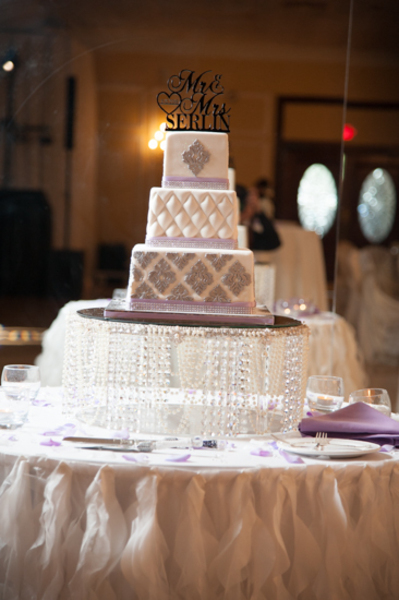 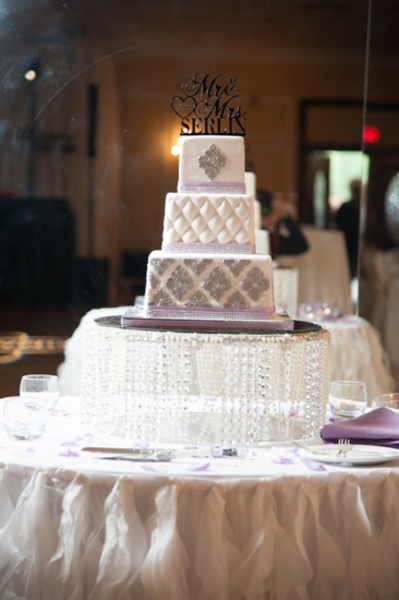 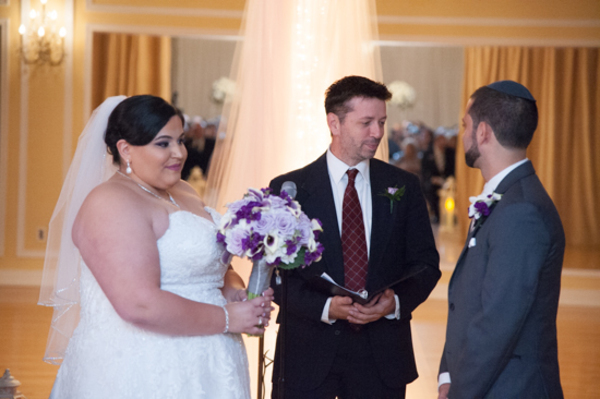 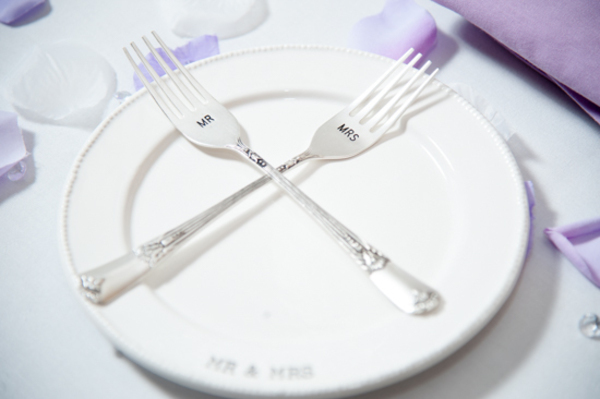 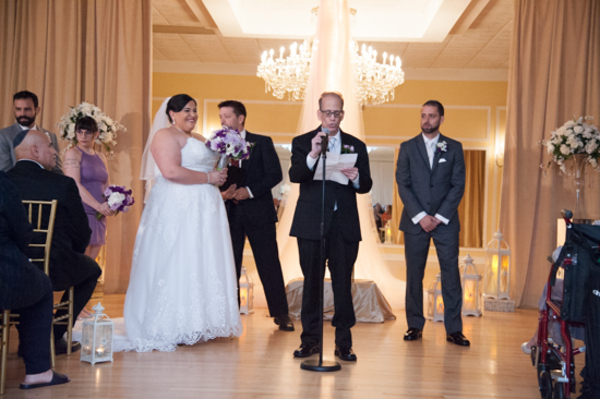 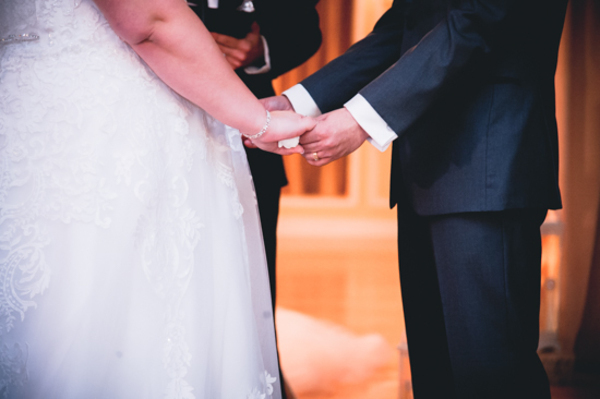 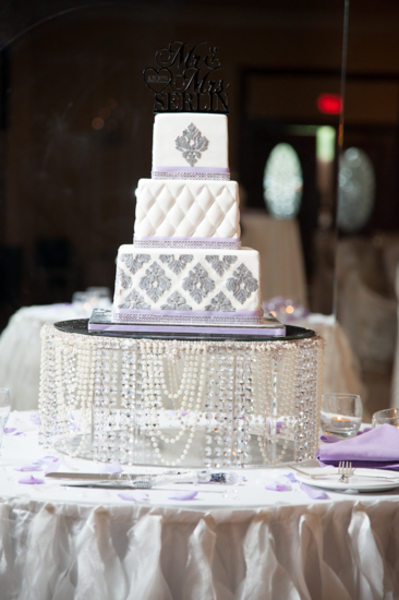 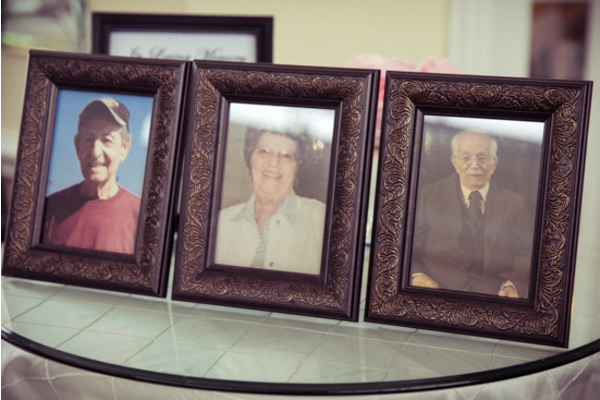 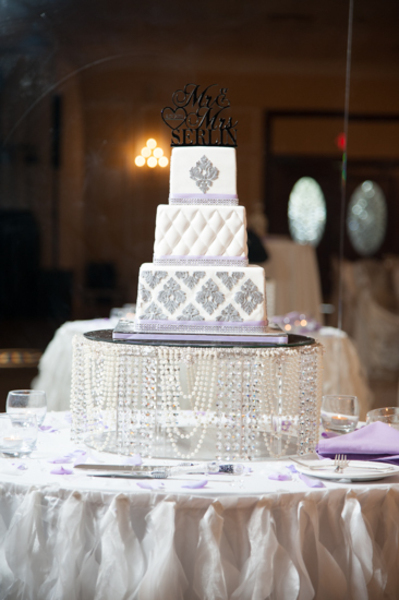 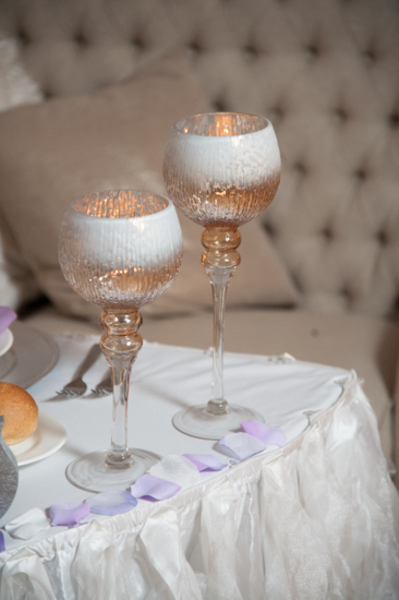 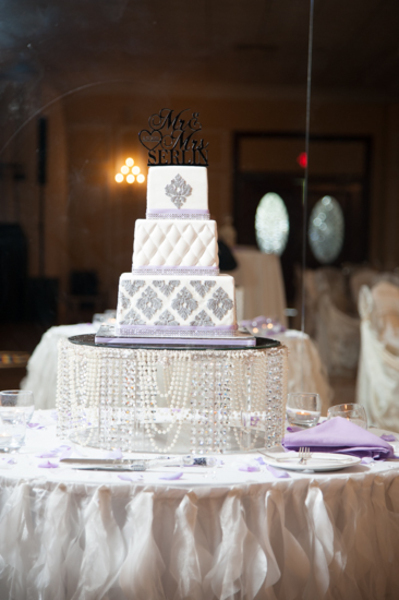 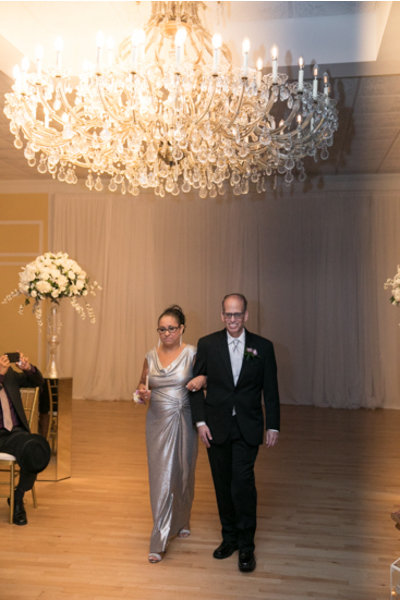 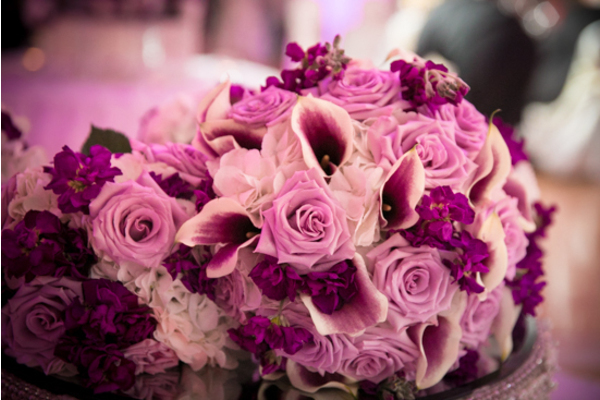 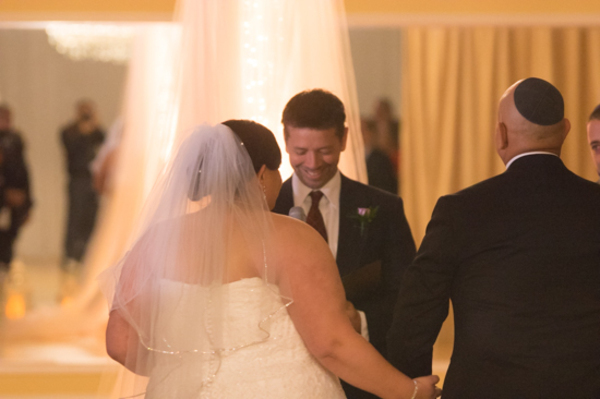 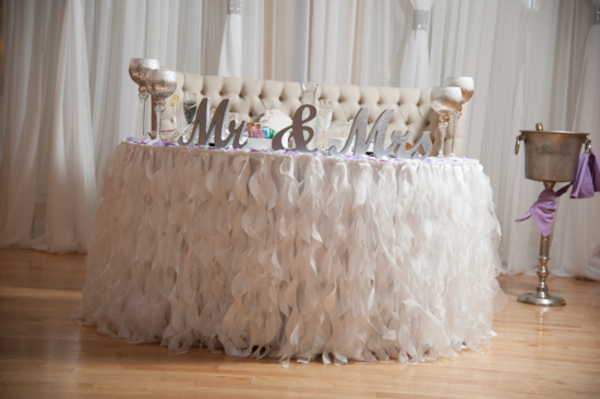 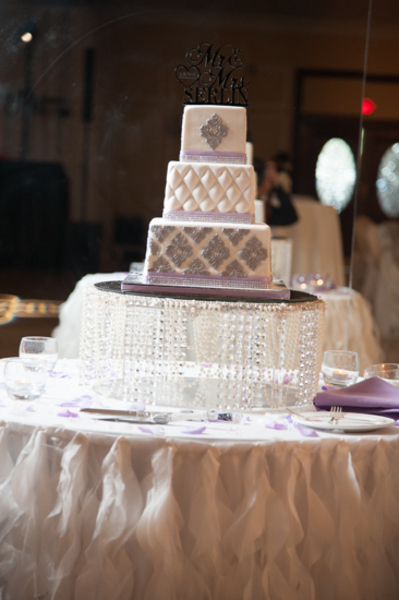 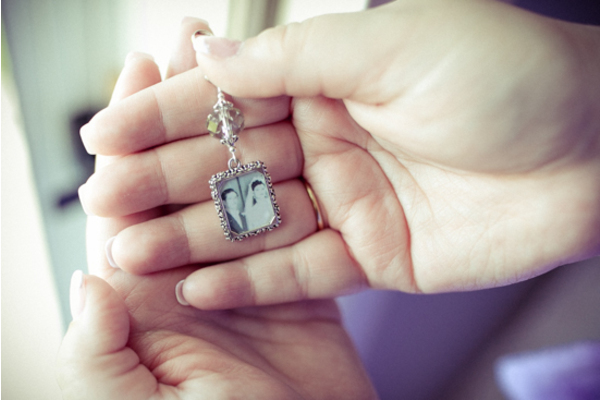 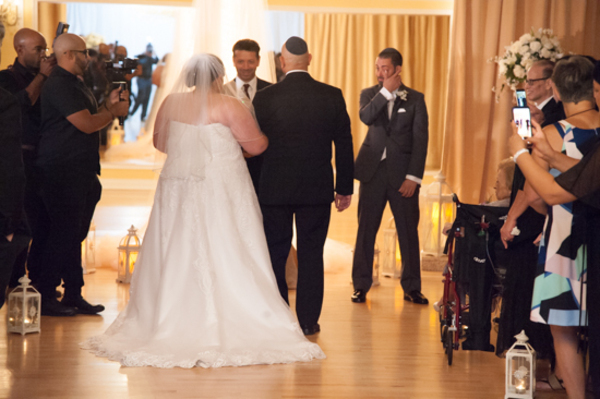 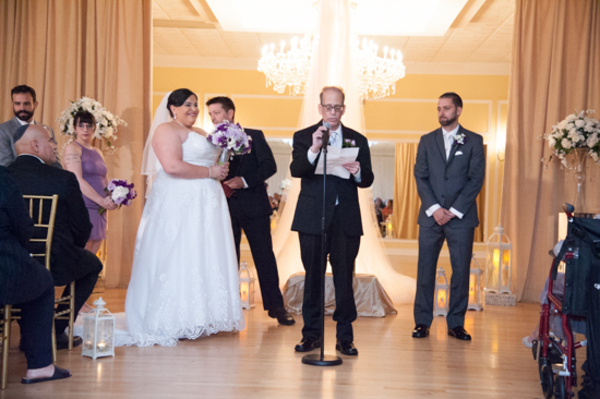 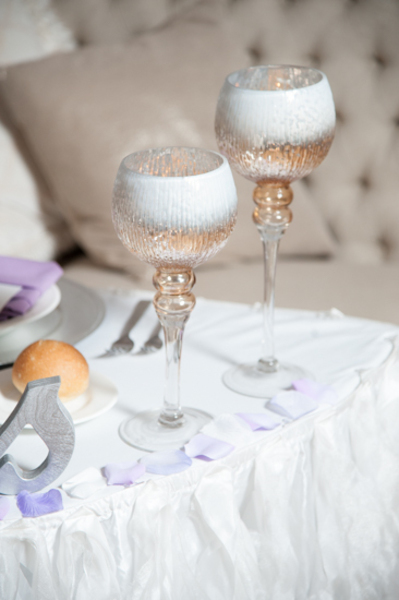 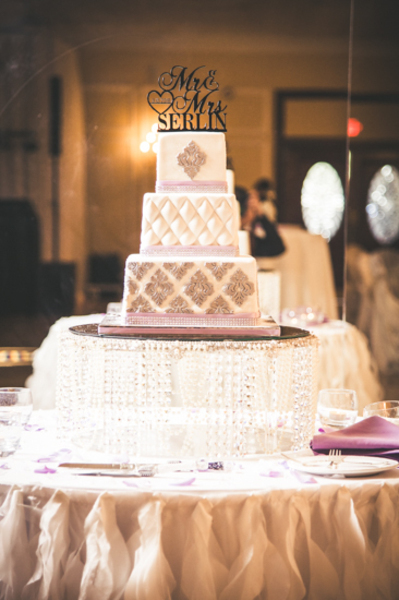 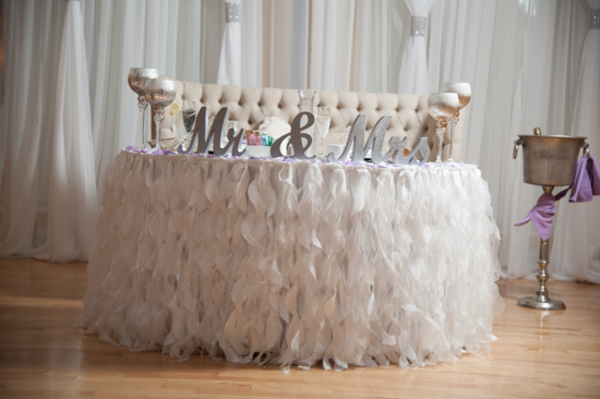 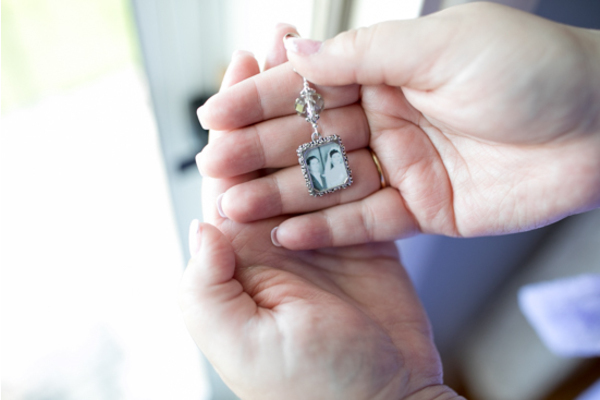 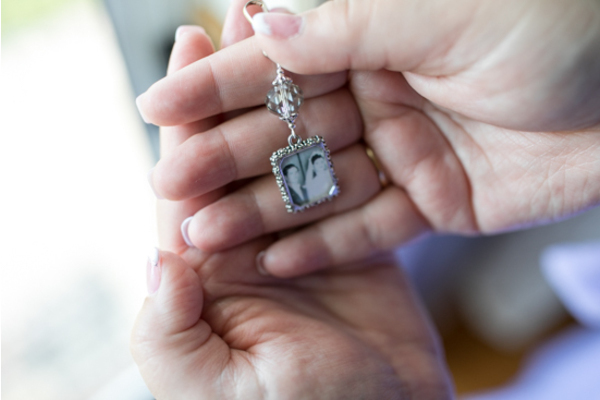 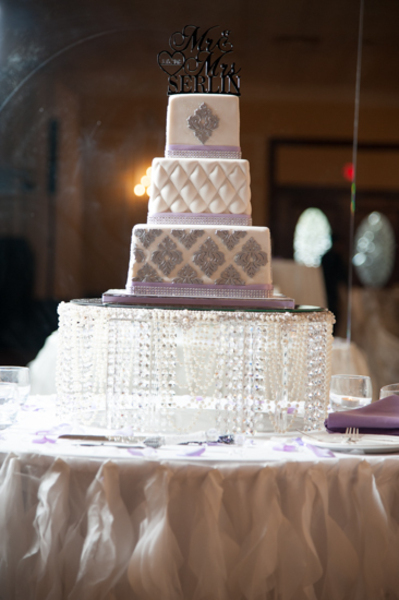 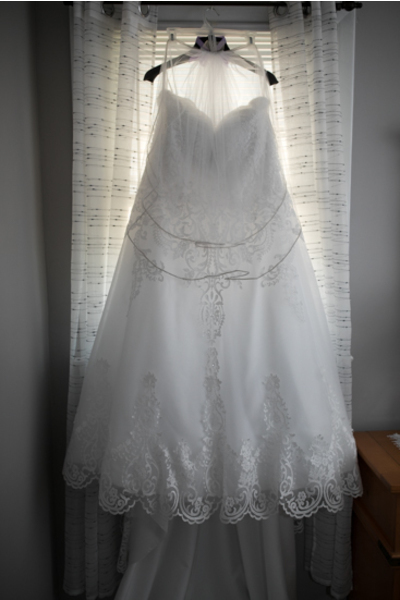 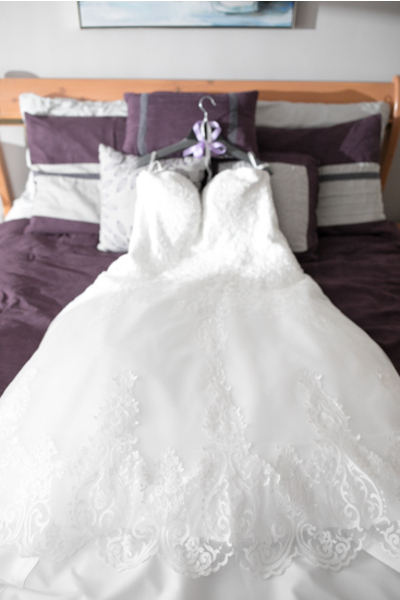 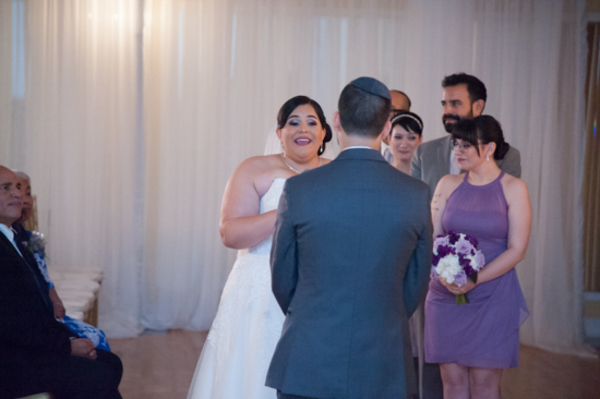 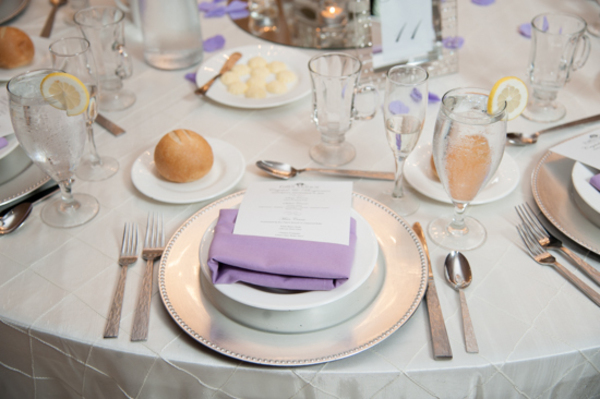 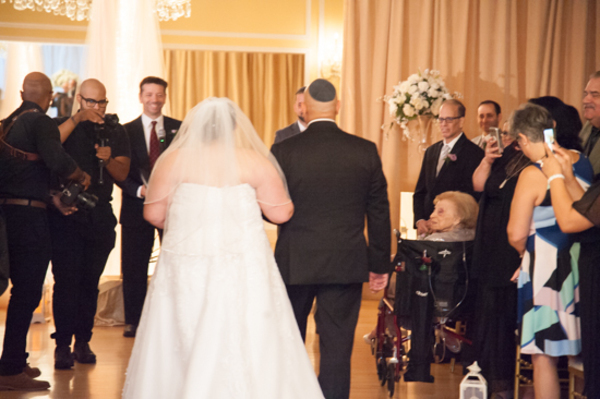 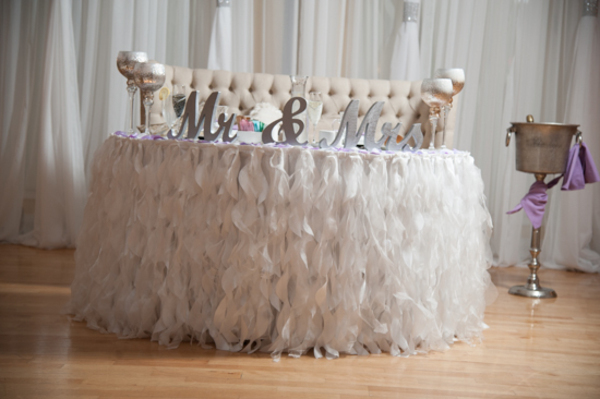 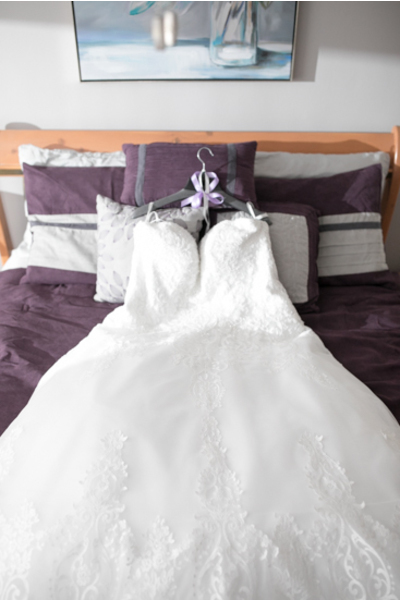 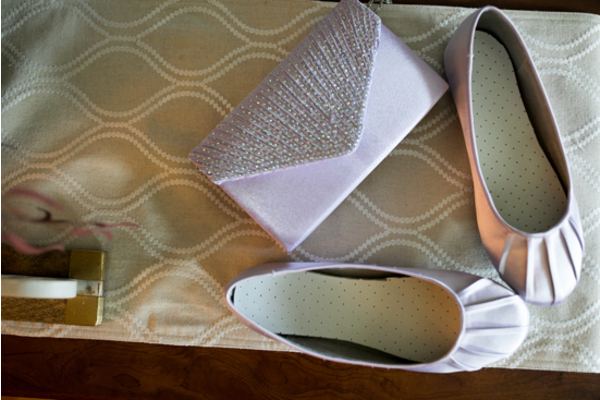 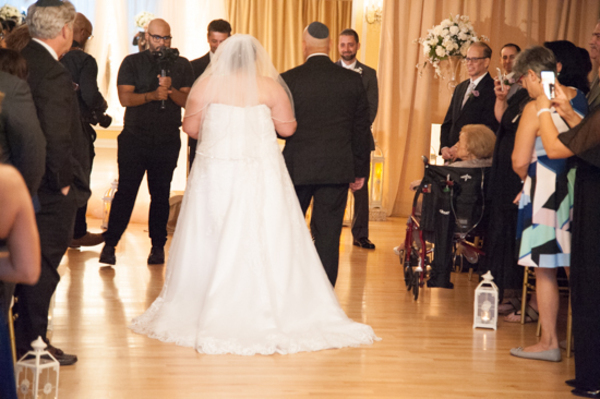 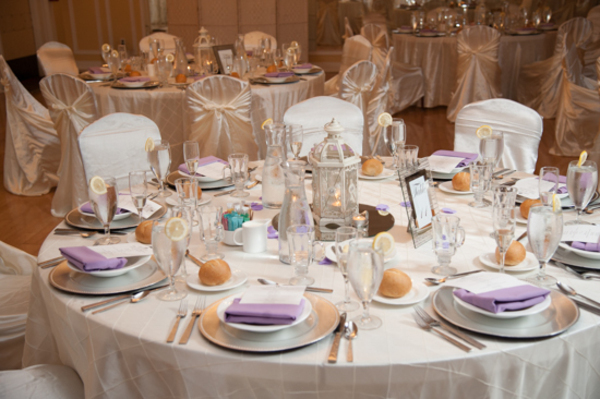 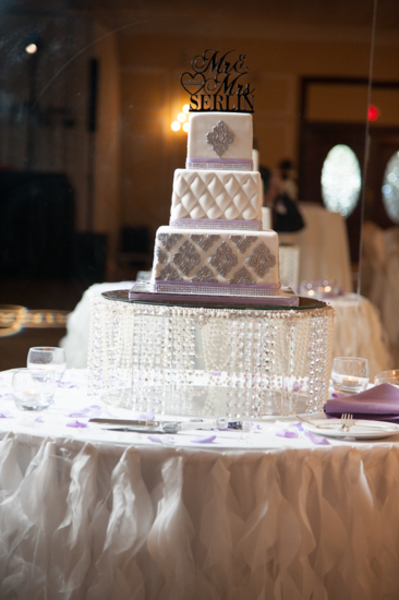 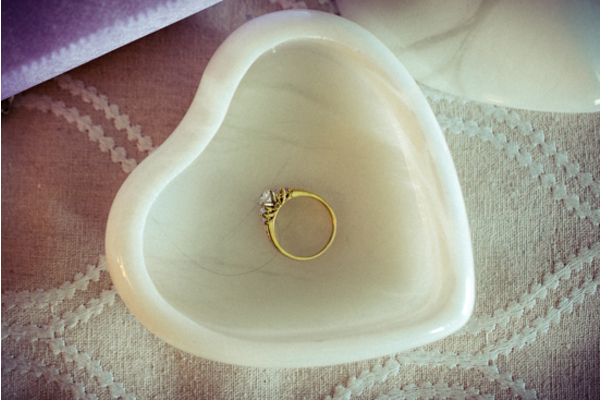 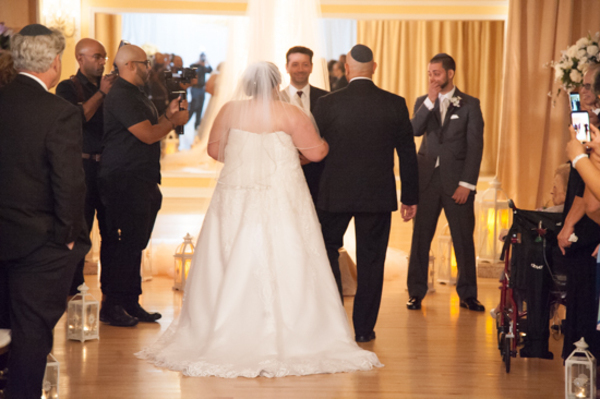 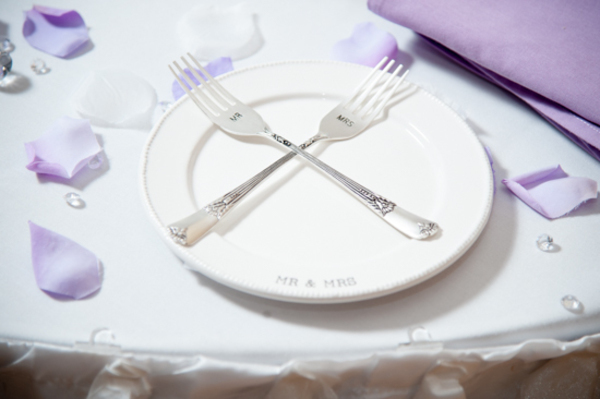 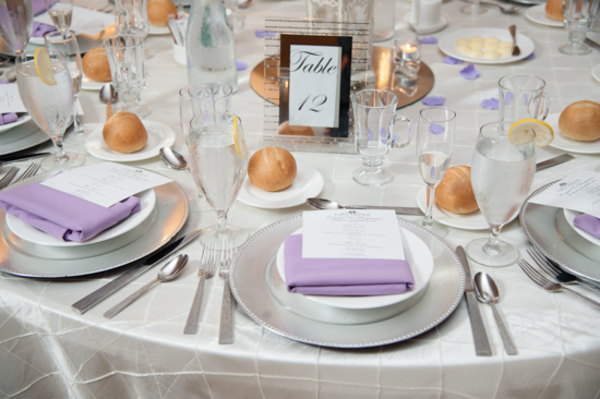 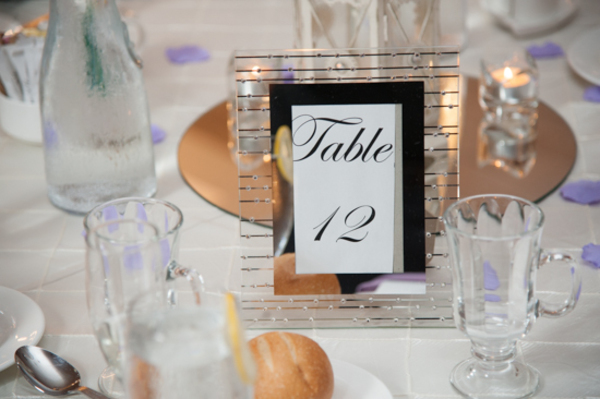 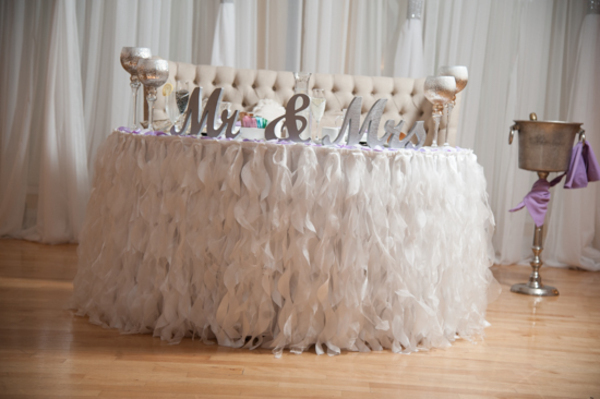 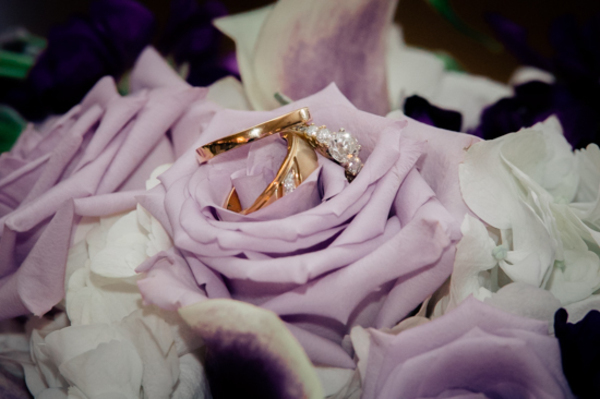 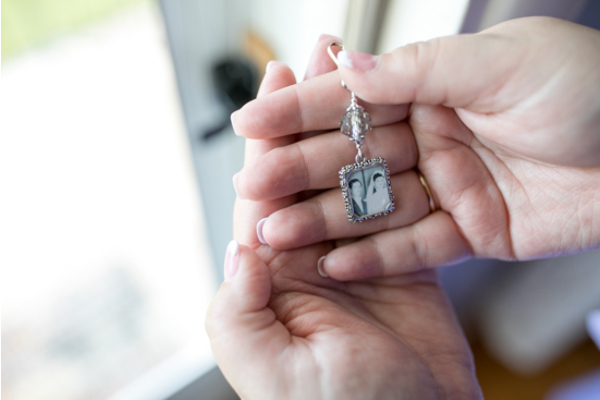 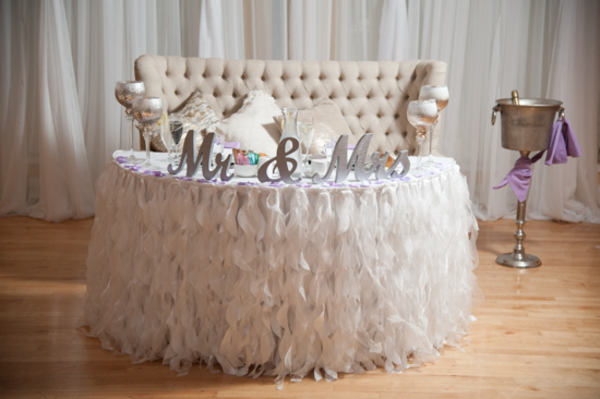 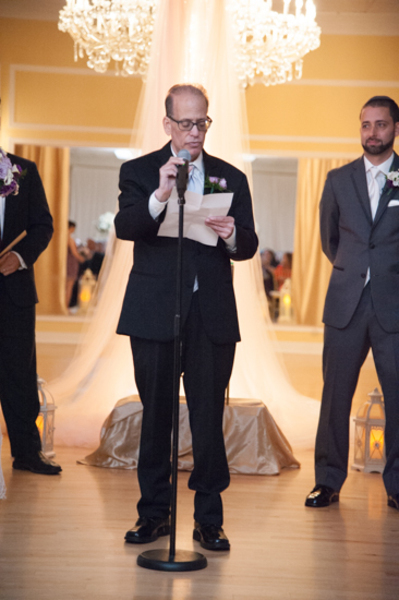 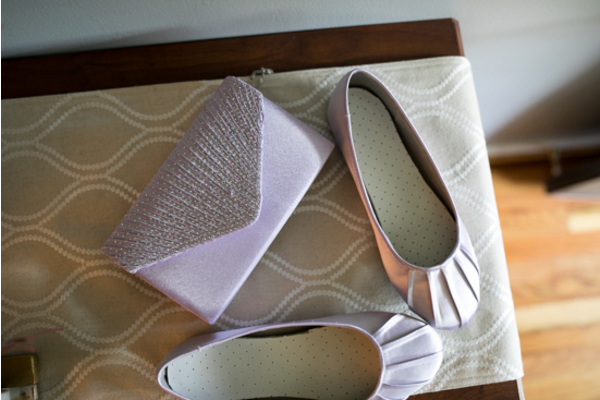 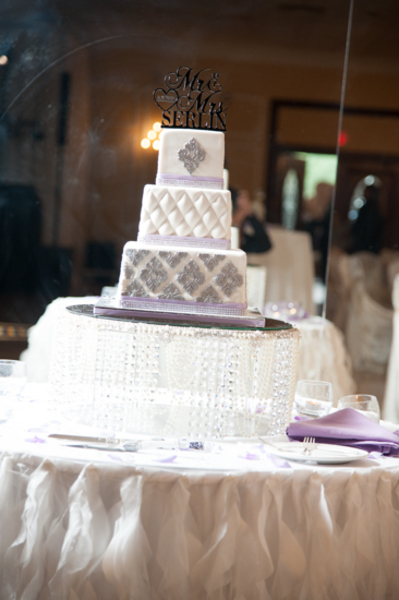 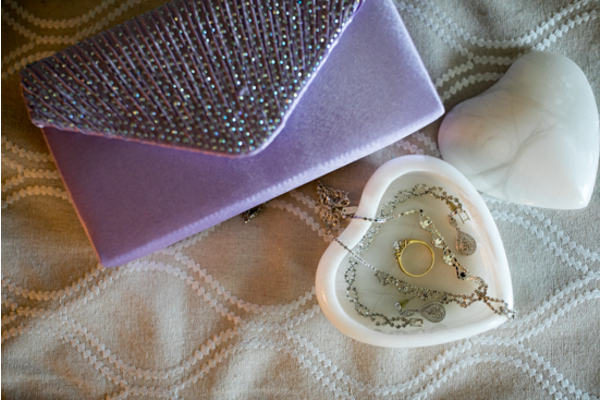 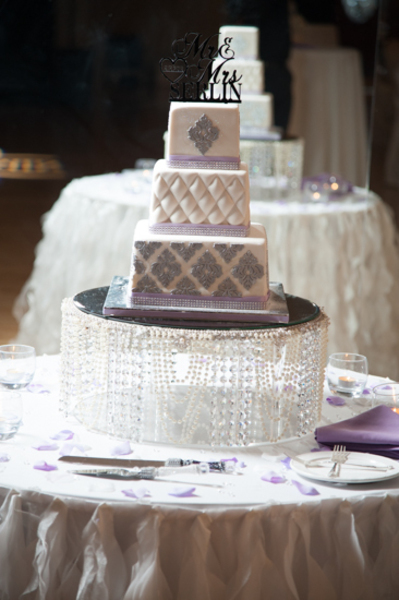 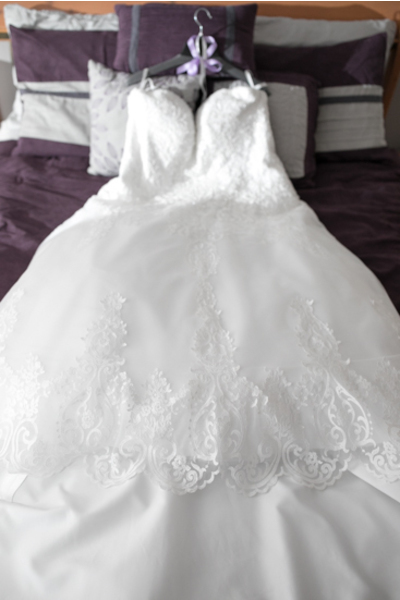 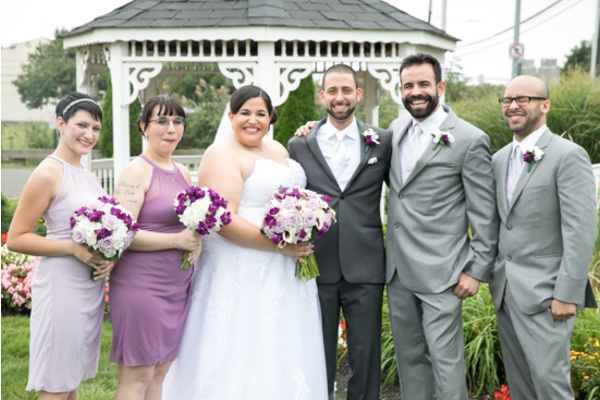 Surrounded by their friends and family, they celebrated their perfect day. 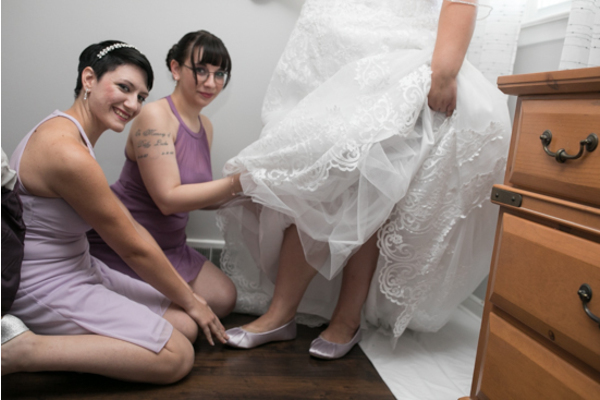 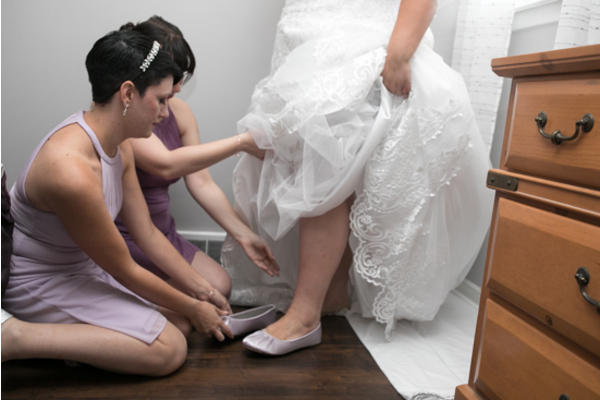 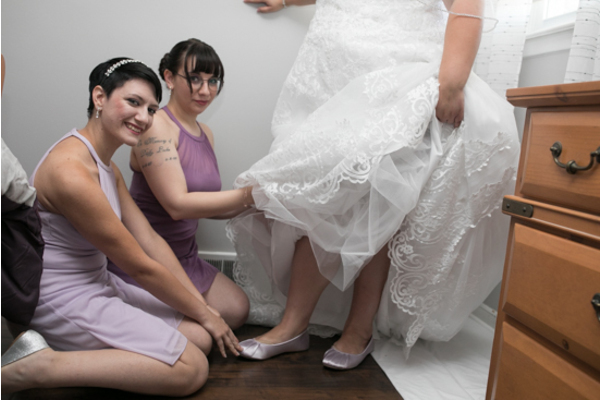 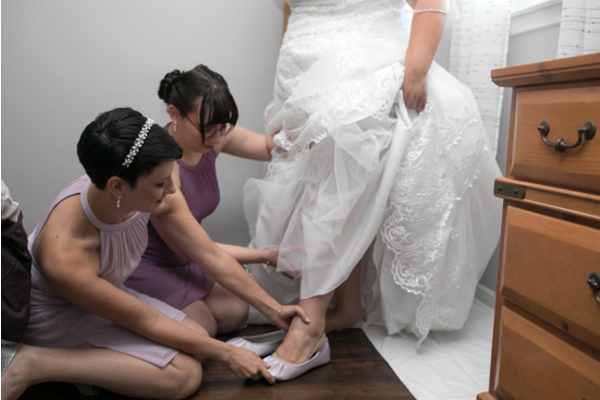 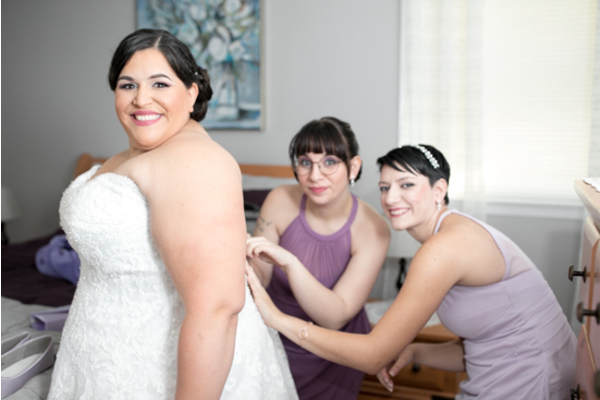 It all started with the bride in her suite with her bridesmaids. 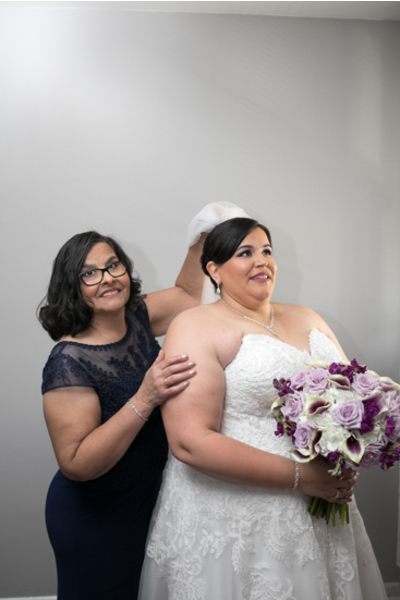 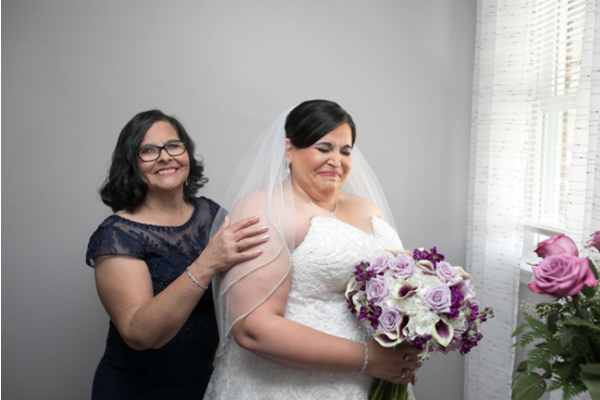 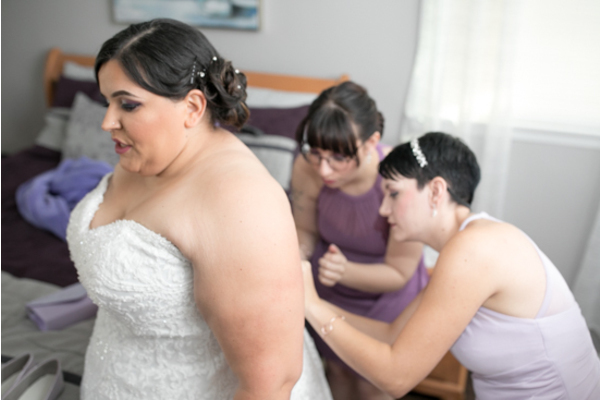 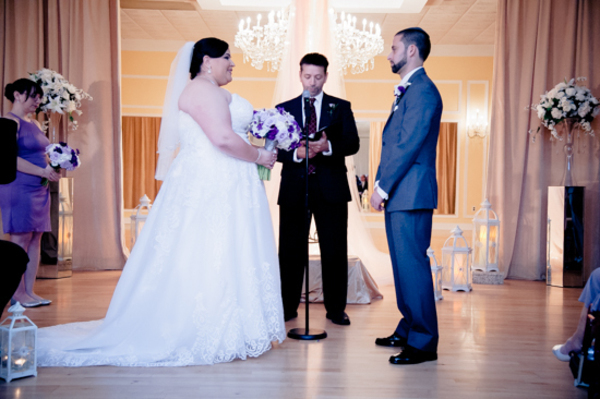 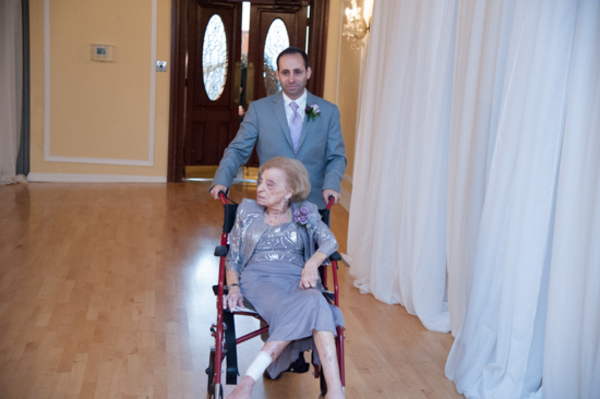 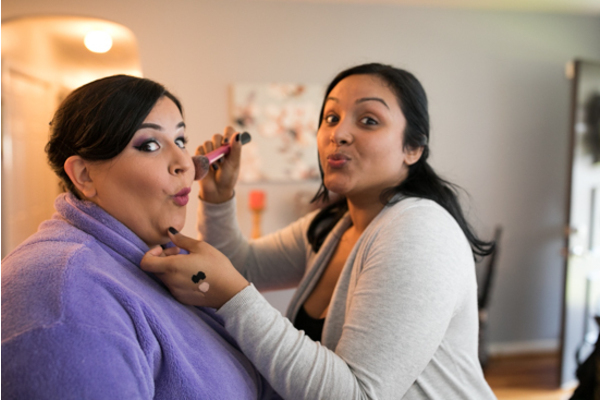 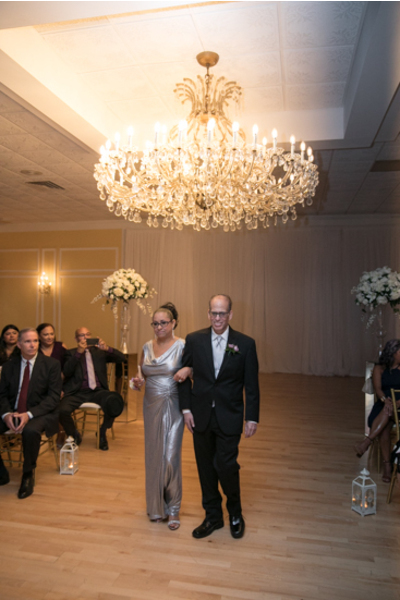 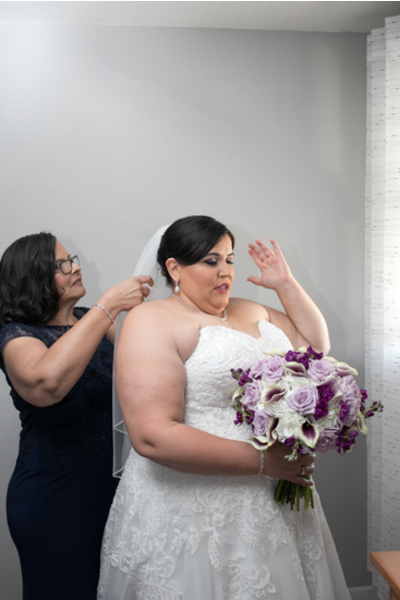 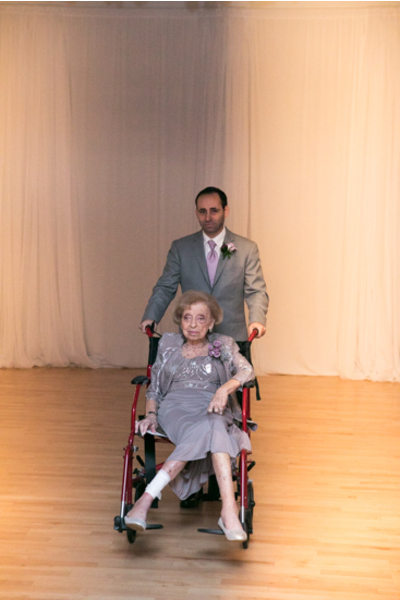 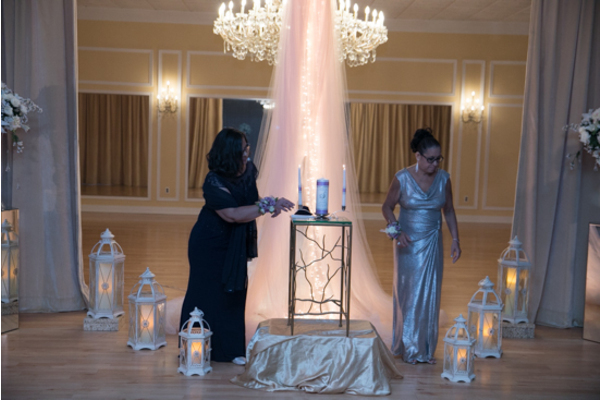 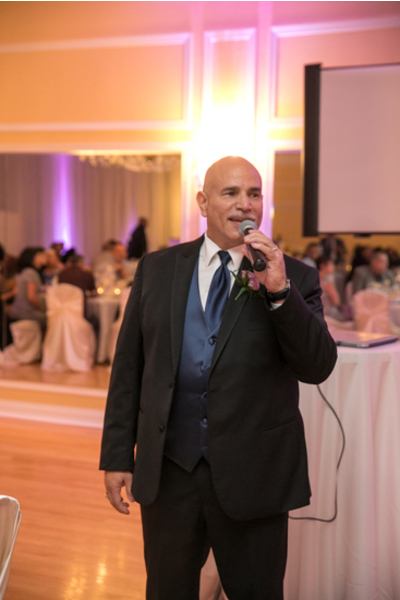 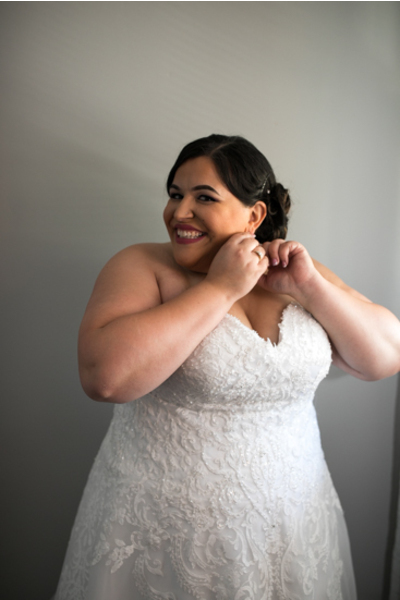 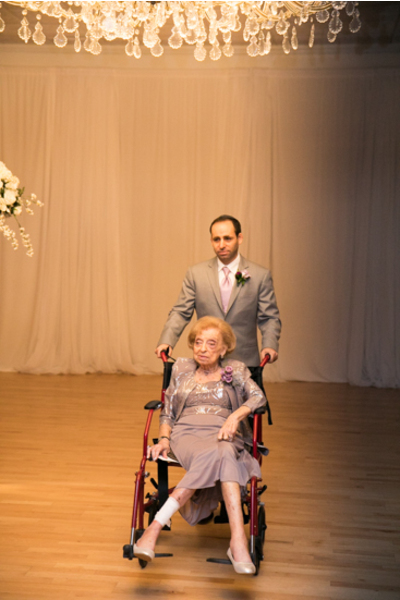 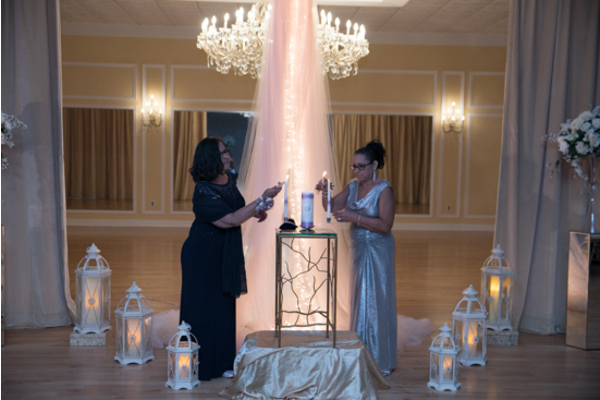 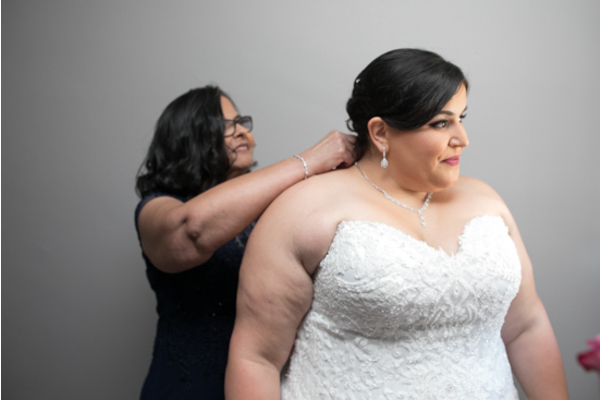 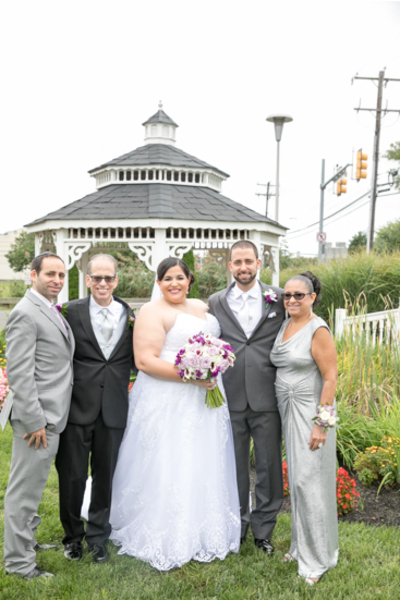 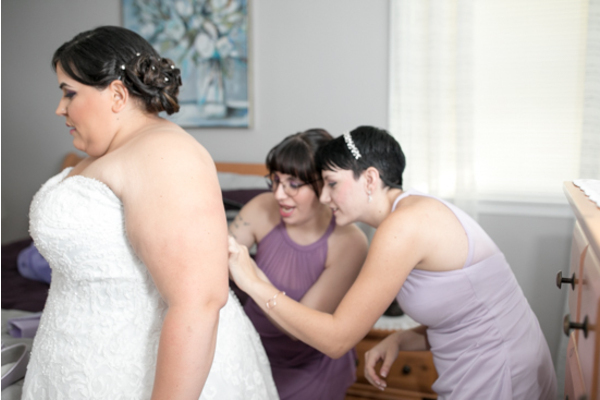 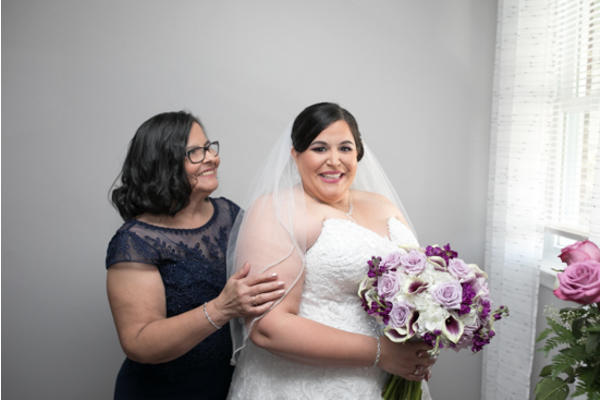 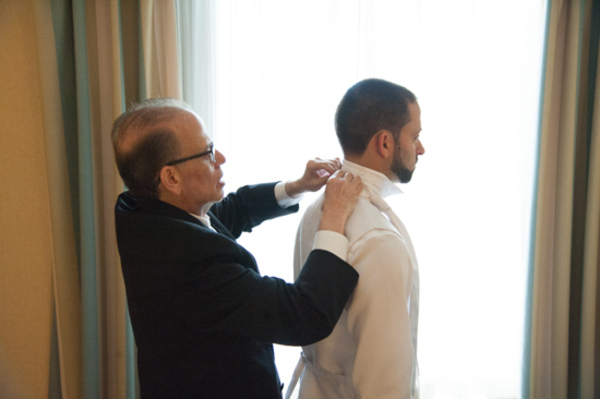 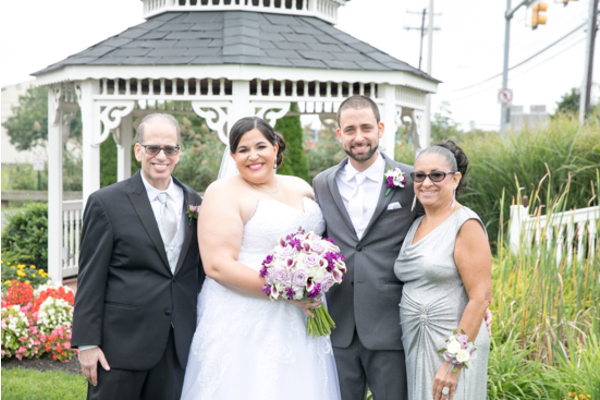 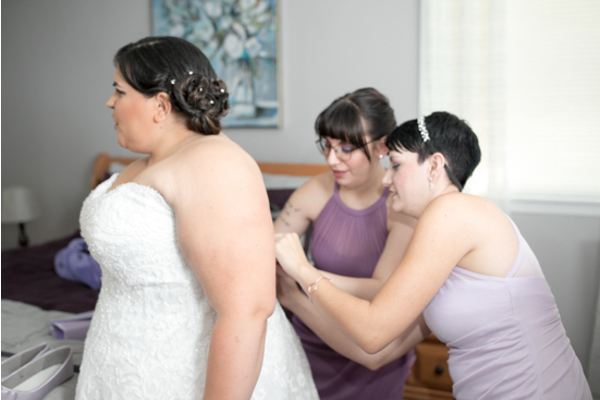 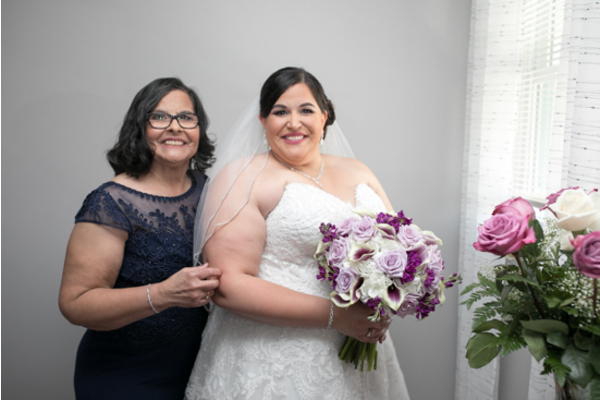 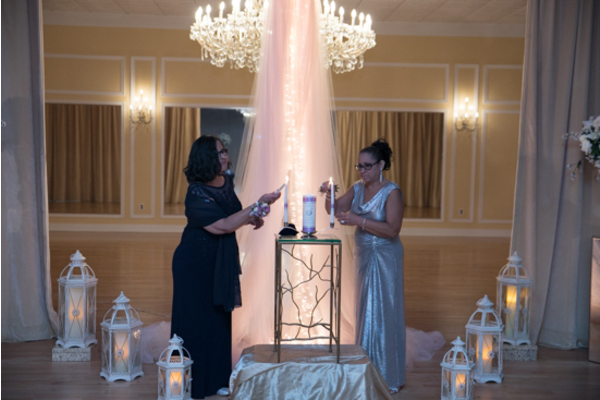 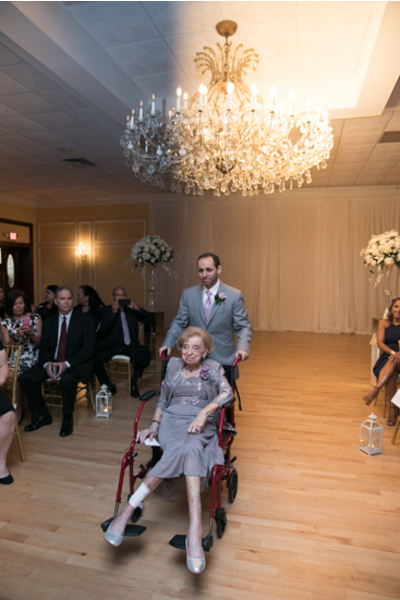 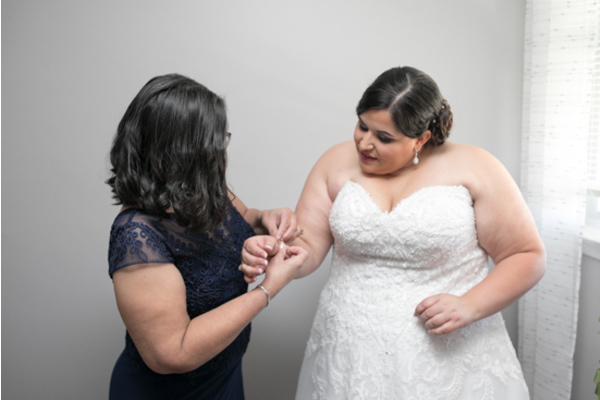 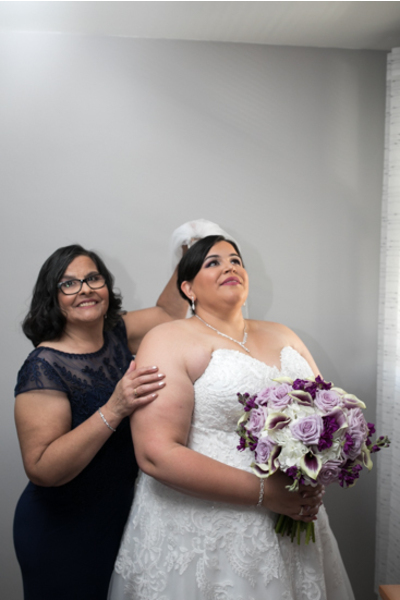 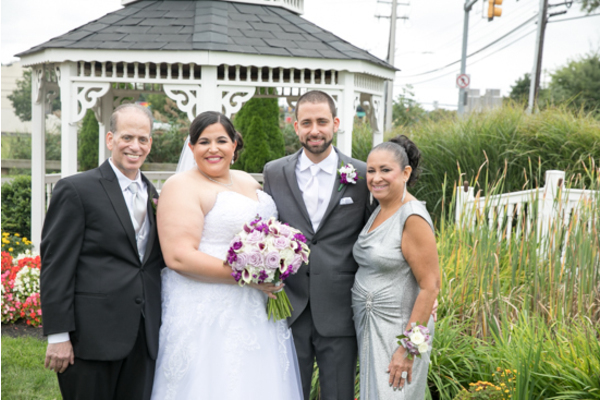 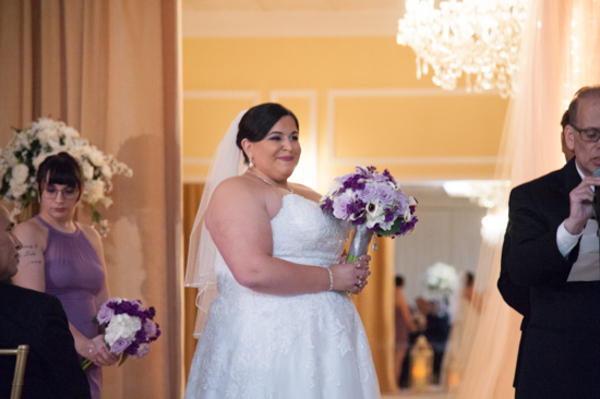 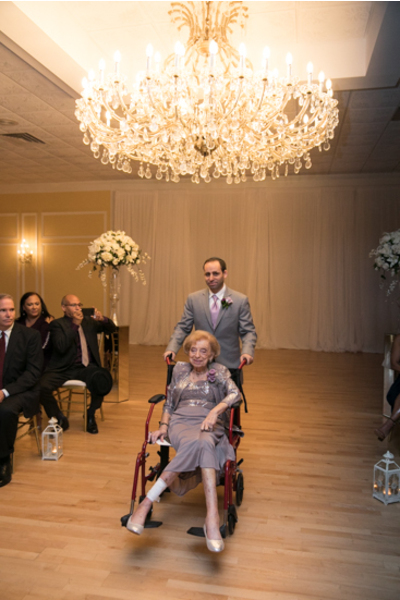 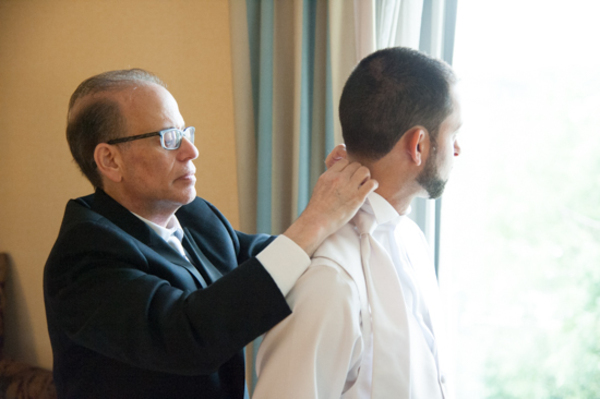 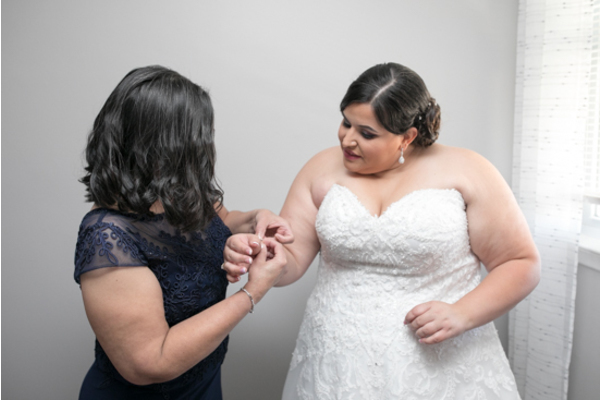 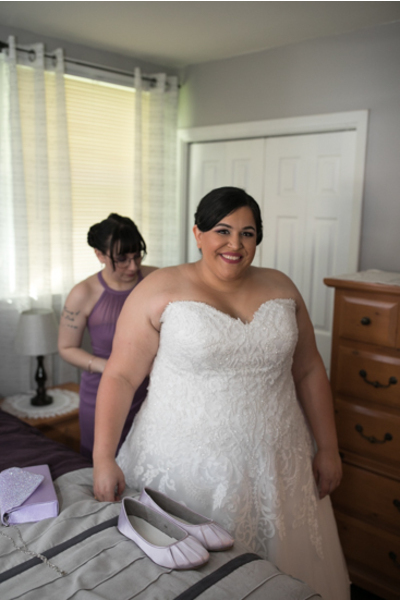 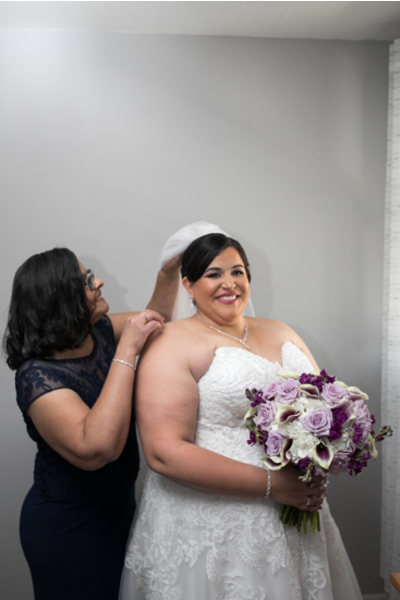 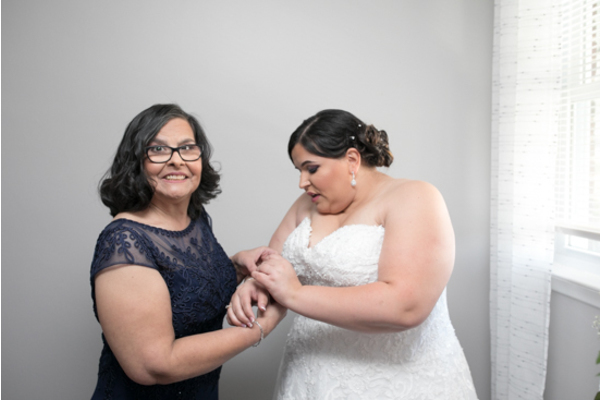 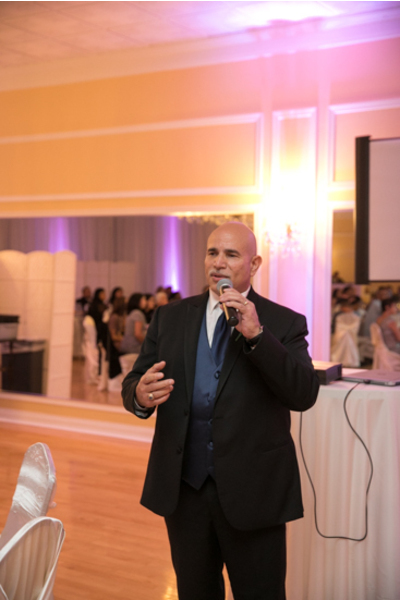 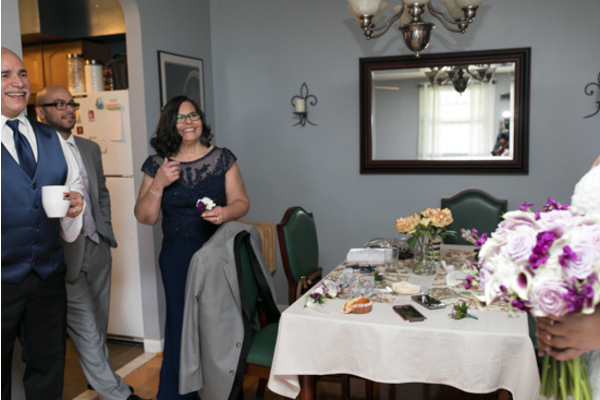 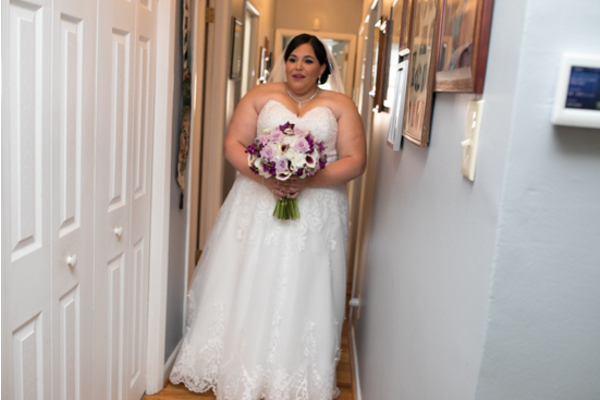 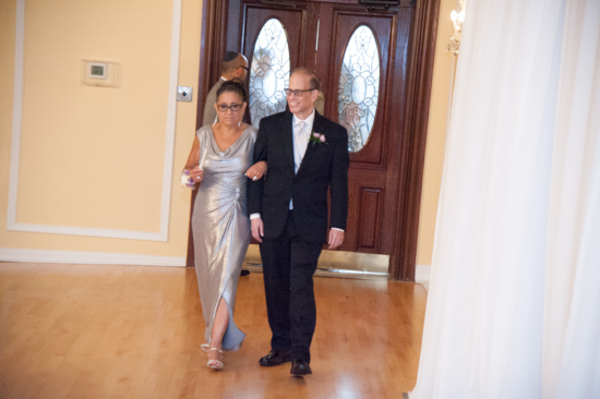 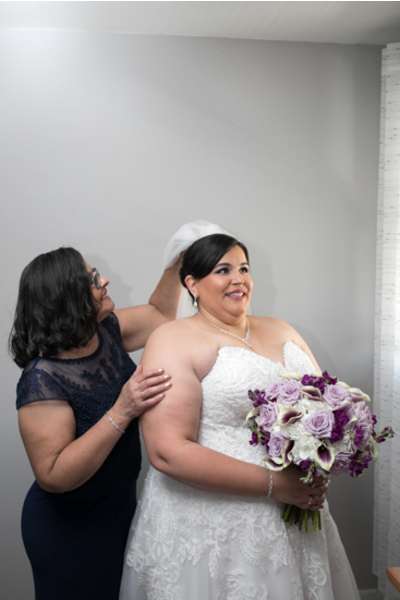 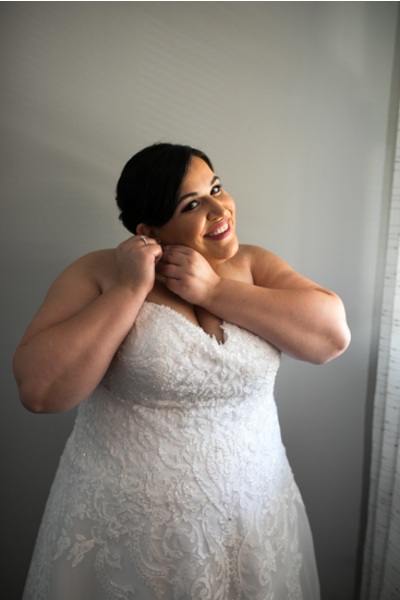 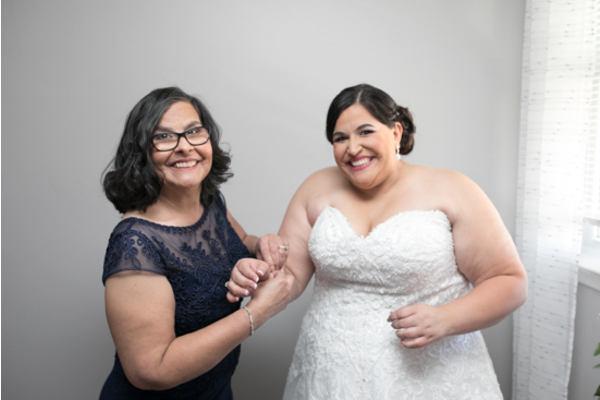 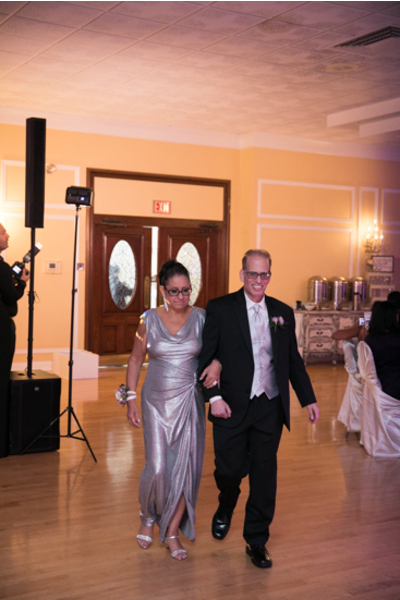 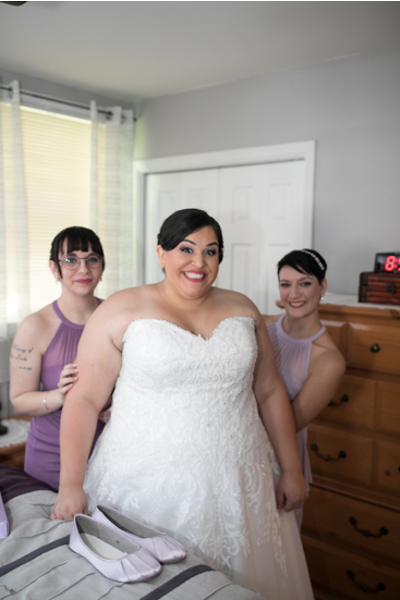 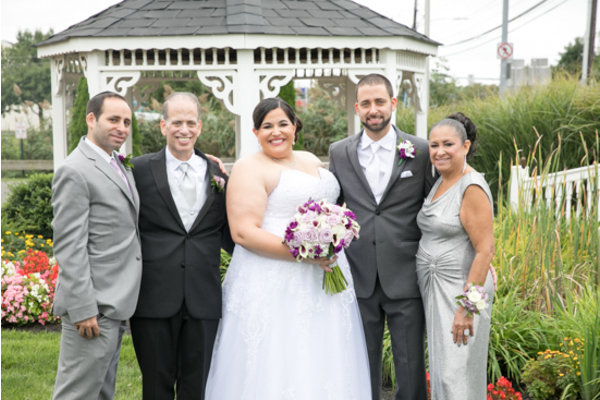 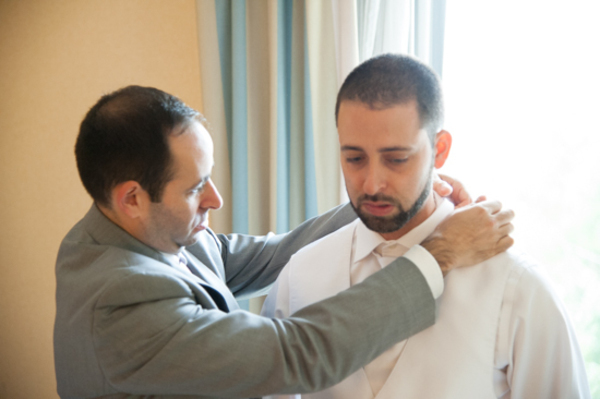 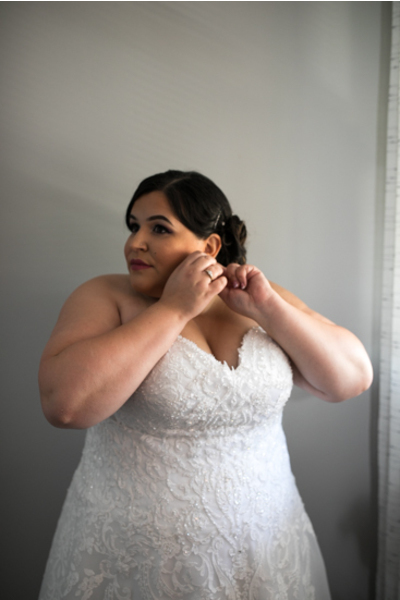 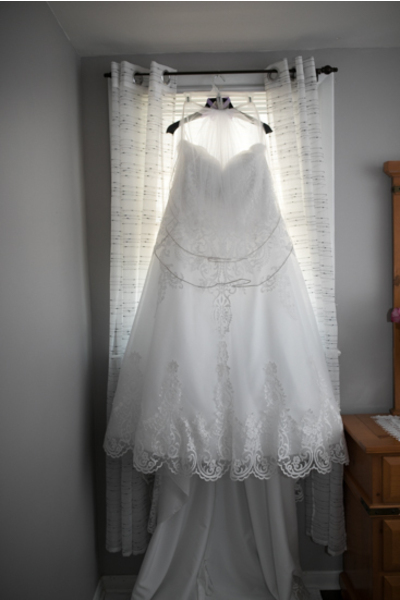 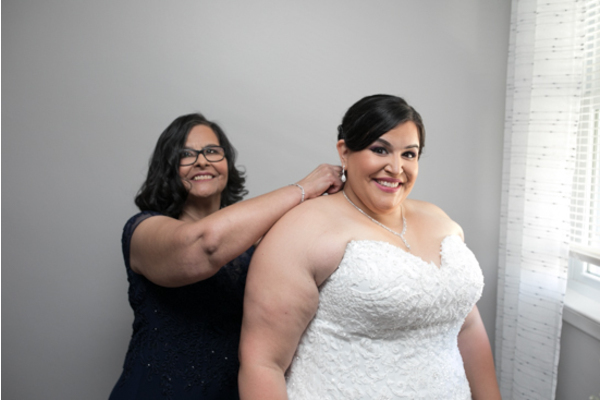 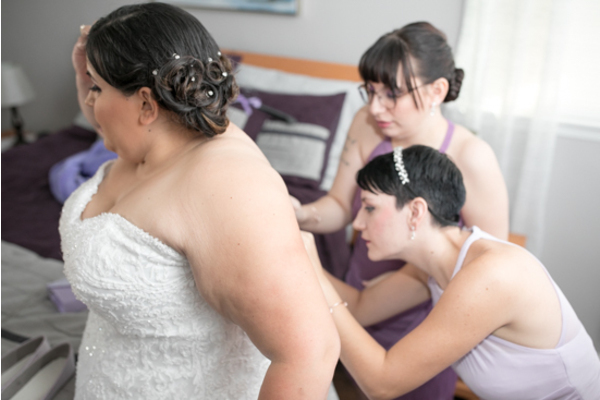 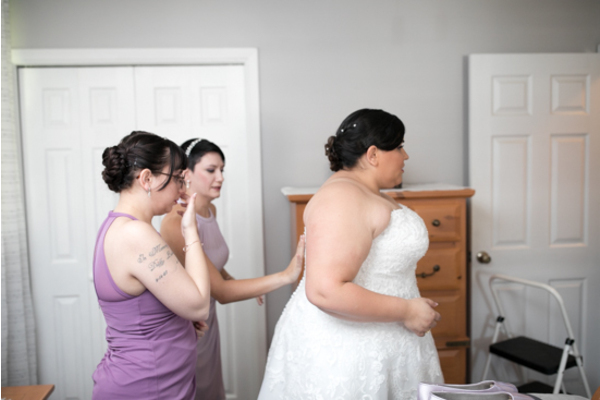 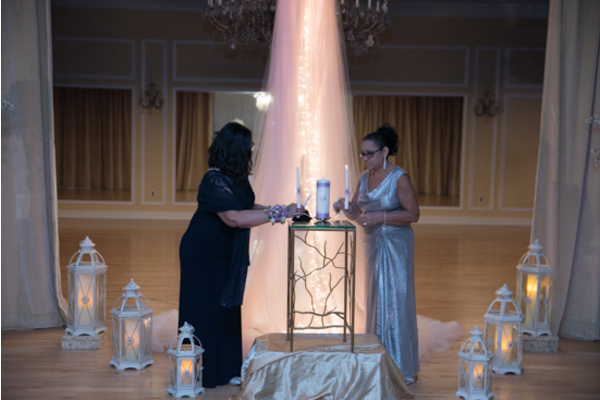 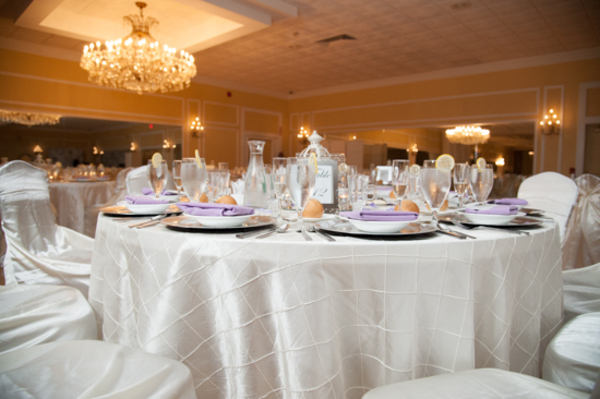 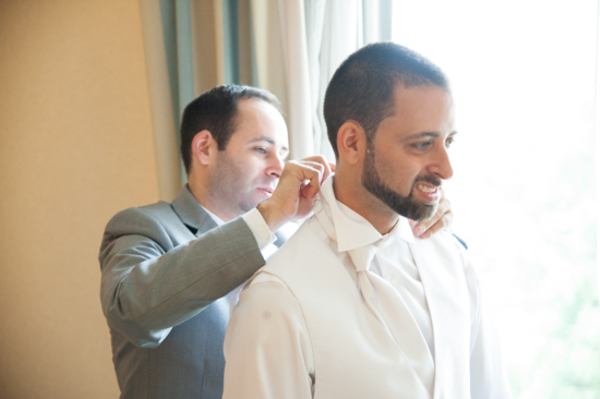 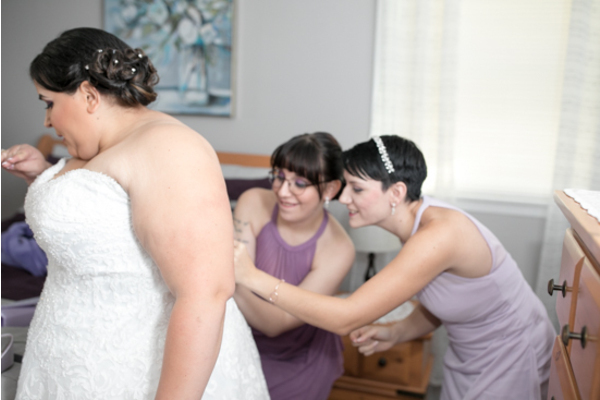 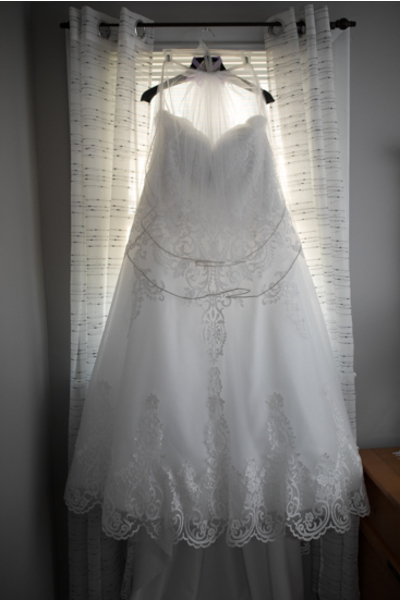 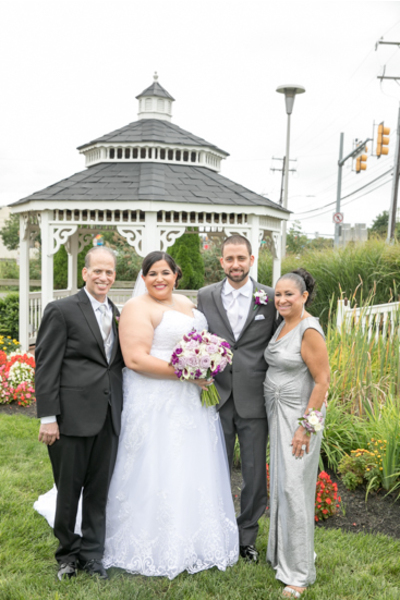 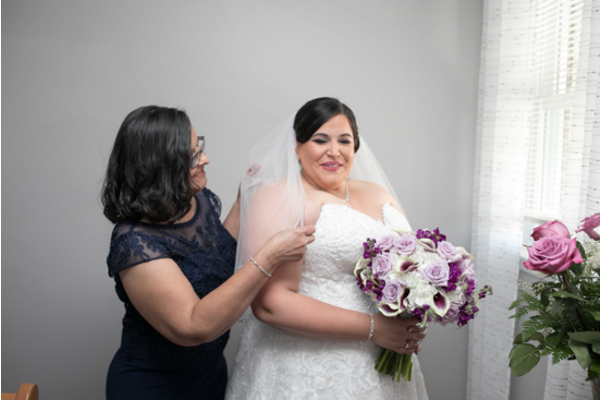 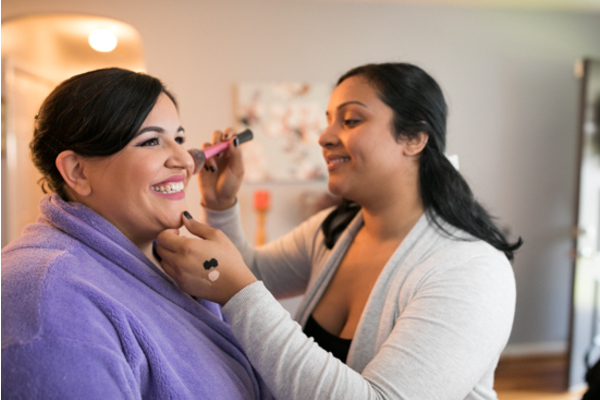 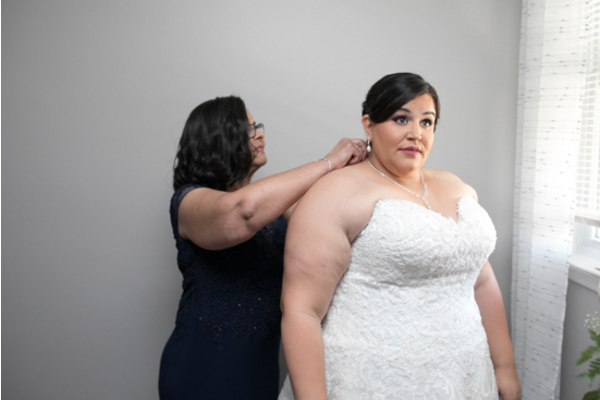 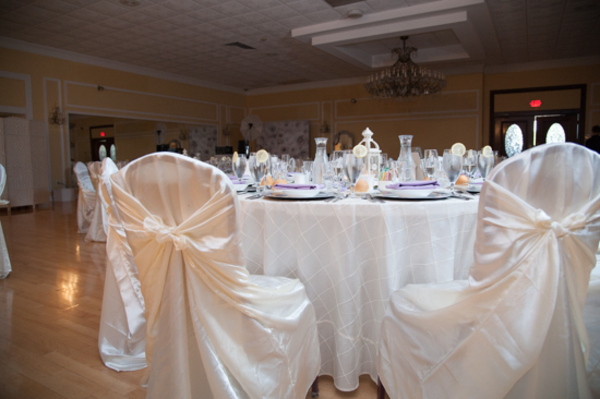 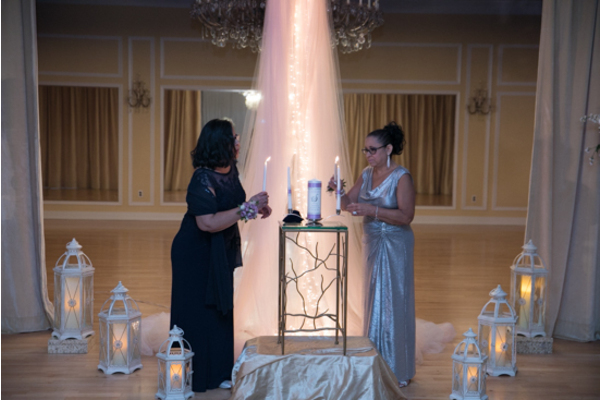 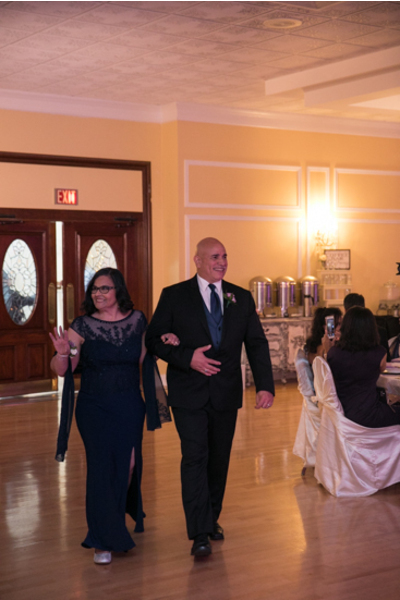 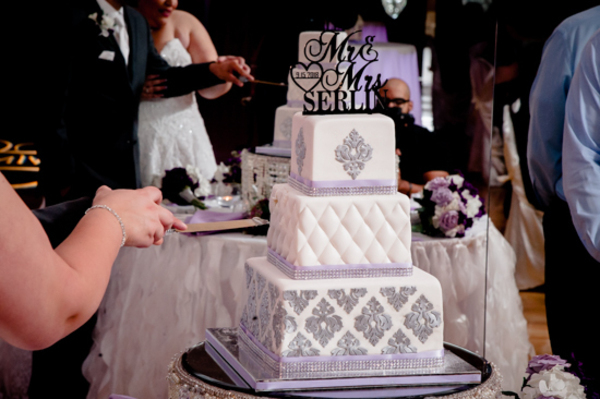 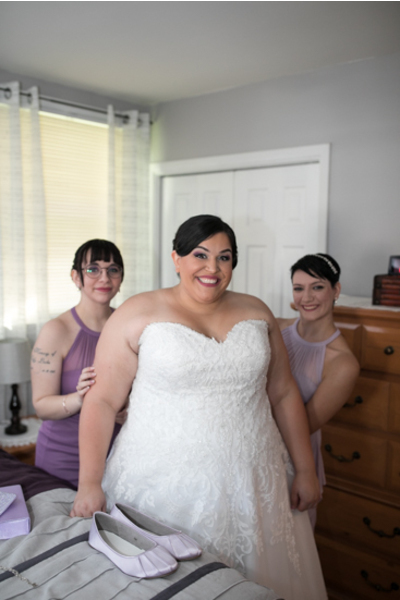 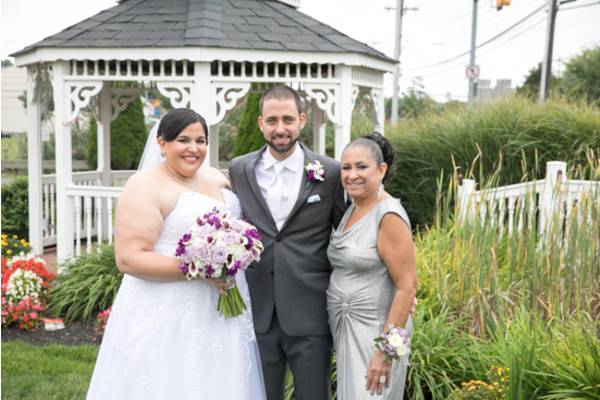 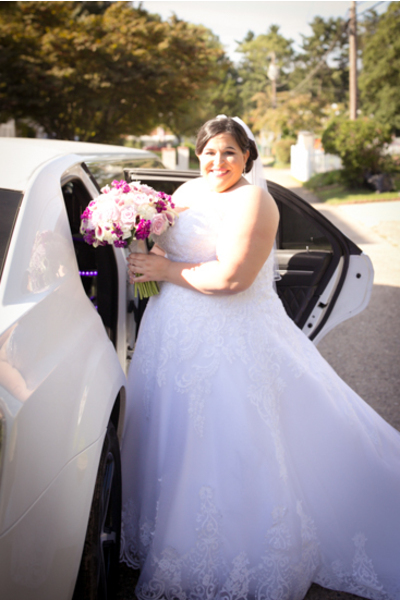 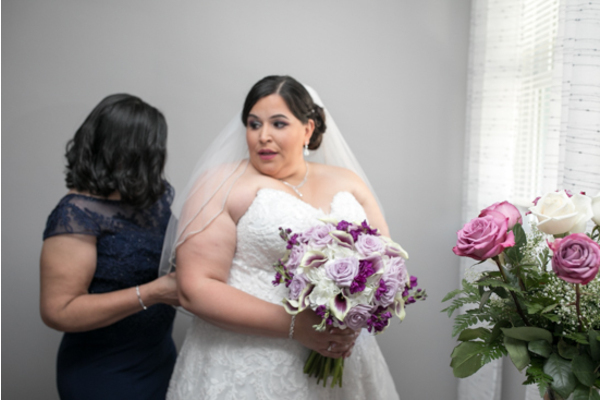 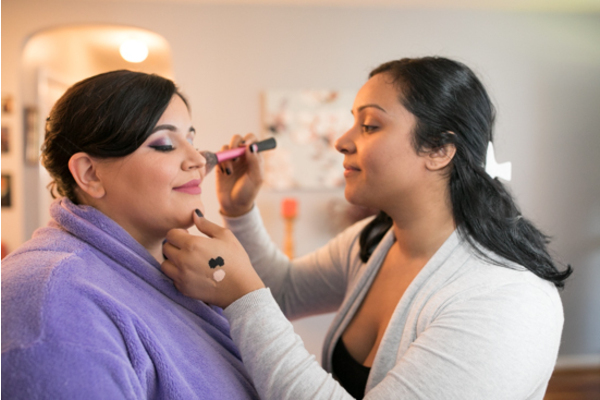 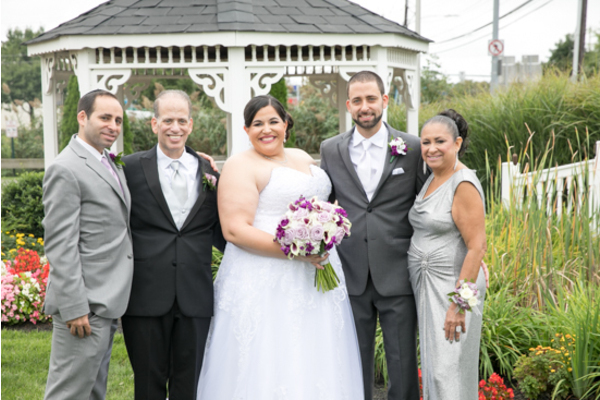 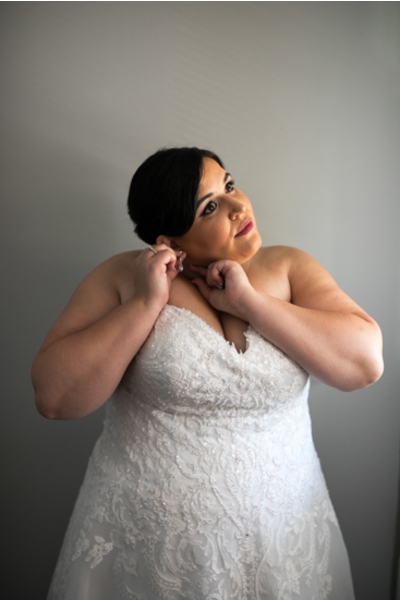 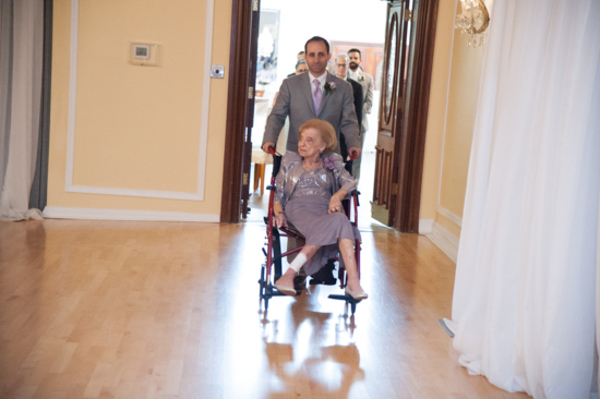 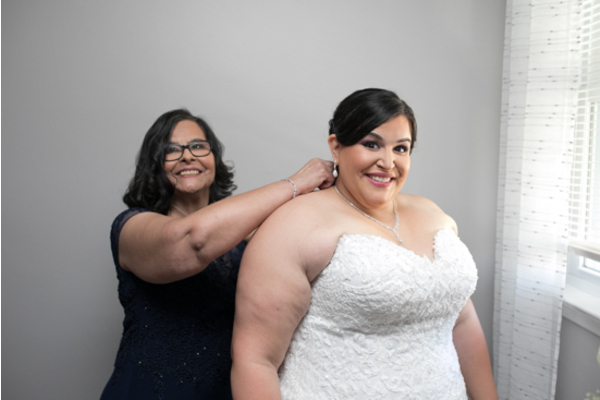 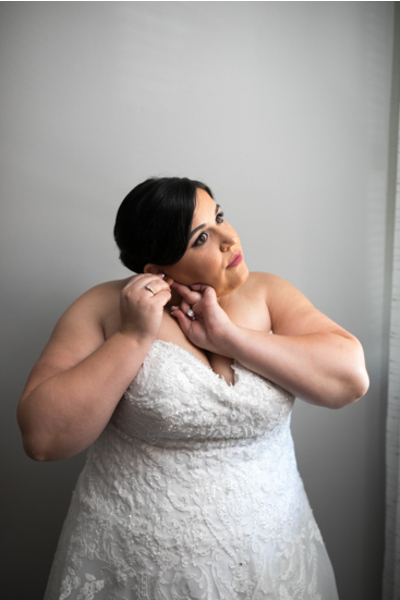 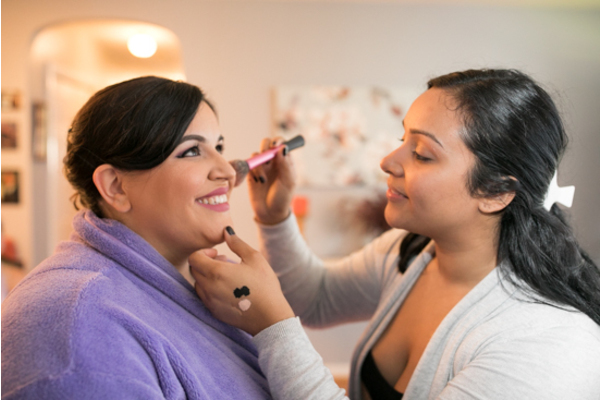 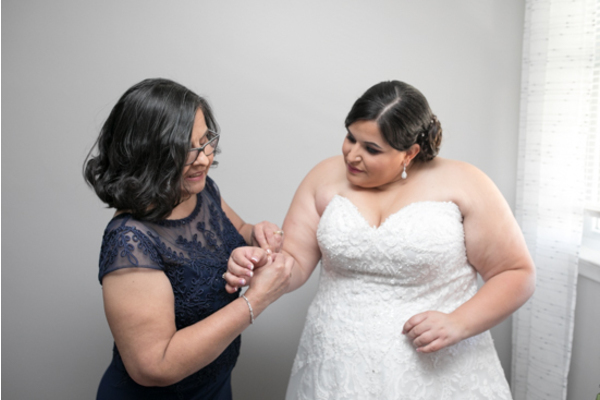 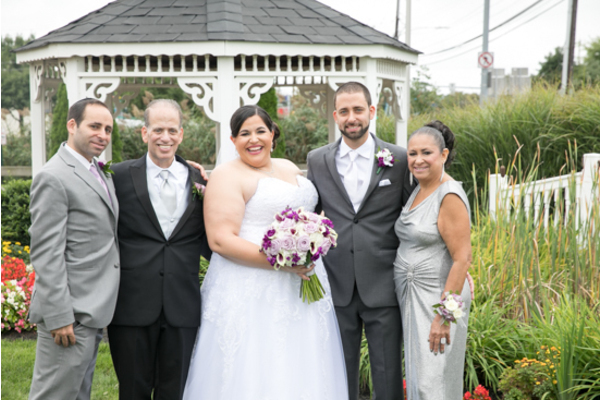 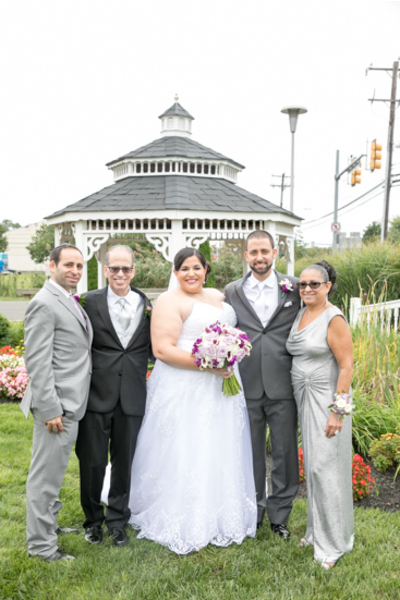 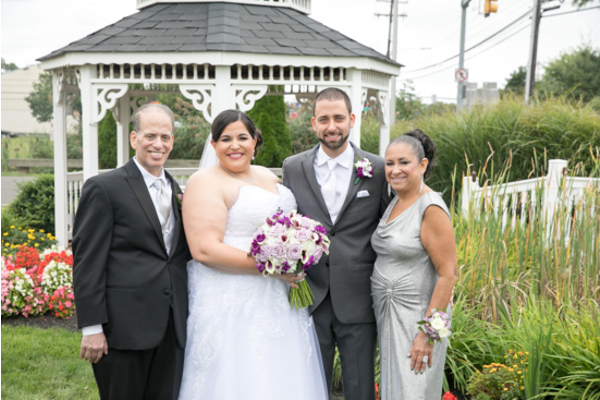 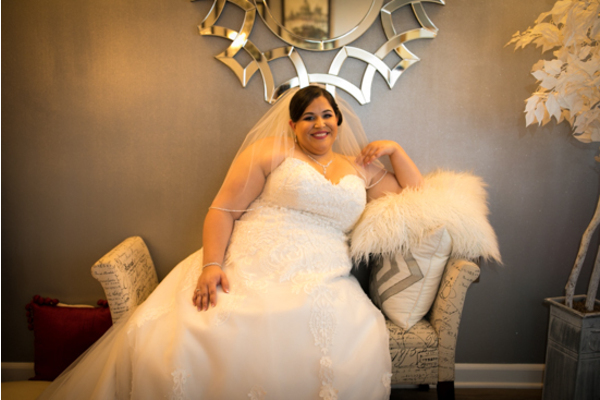 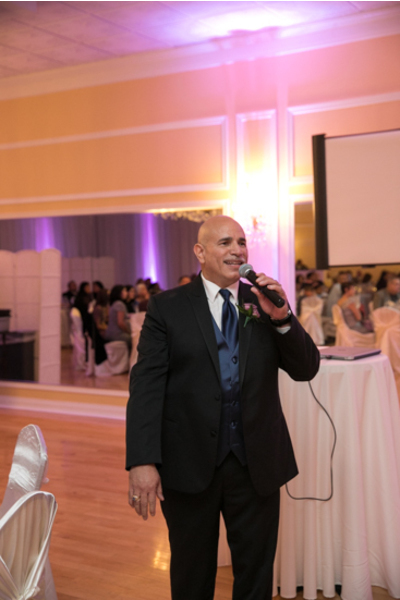 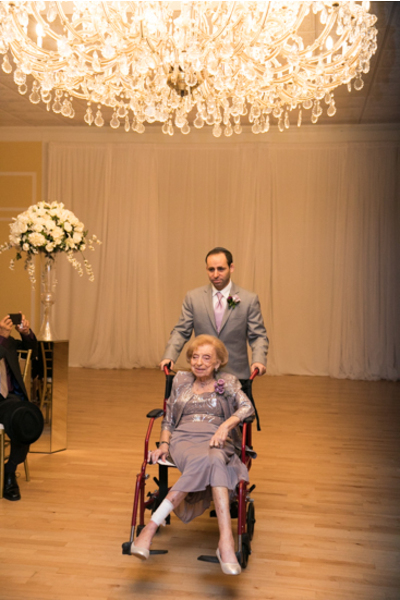 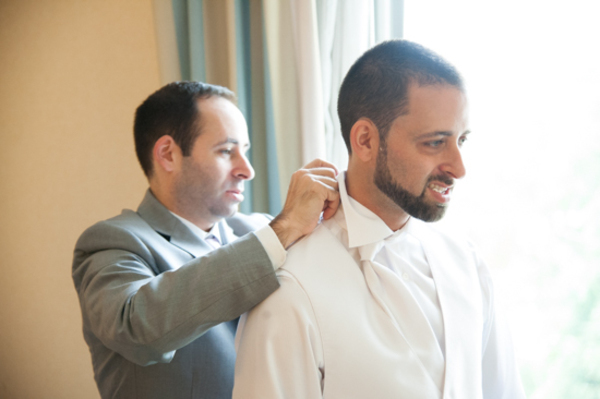 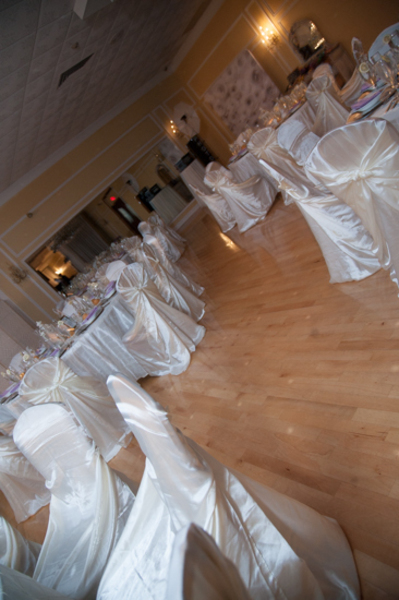 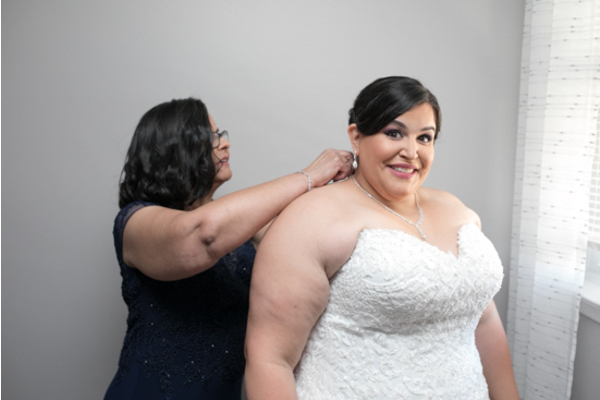 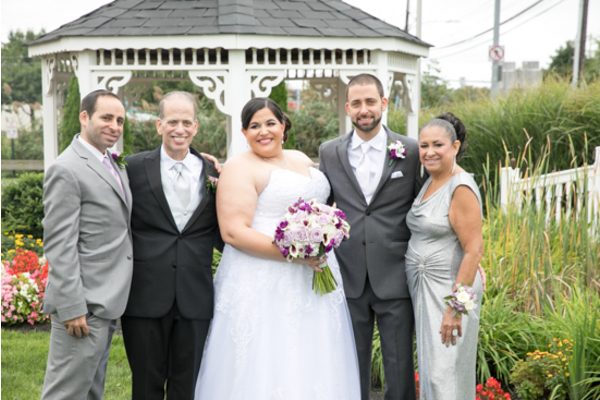 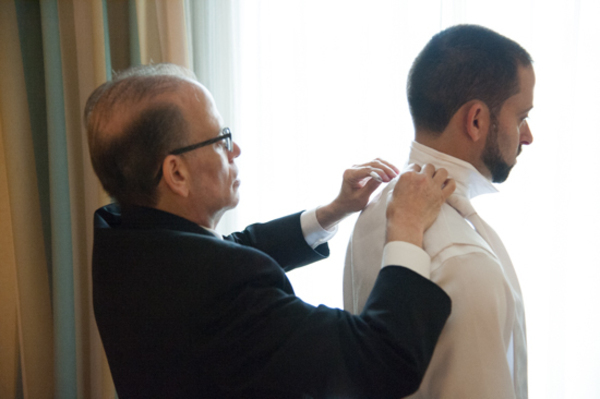 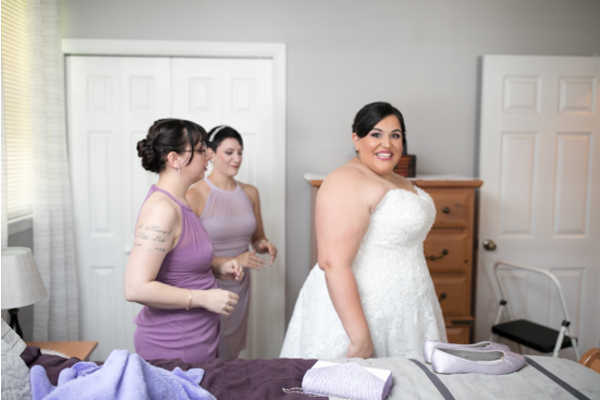 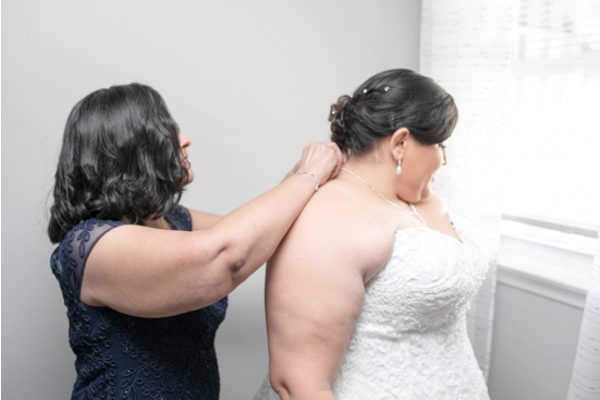 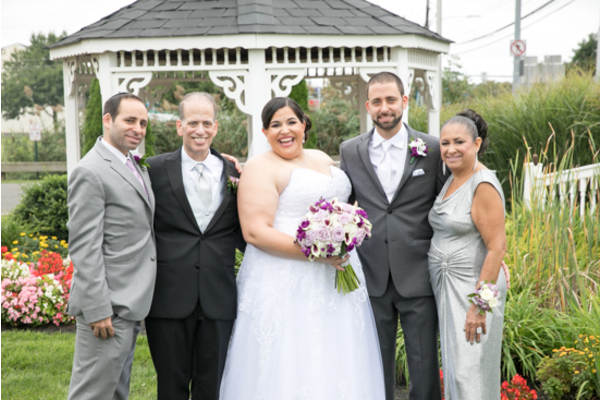 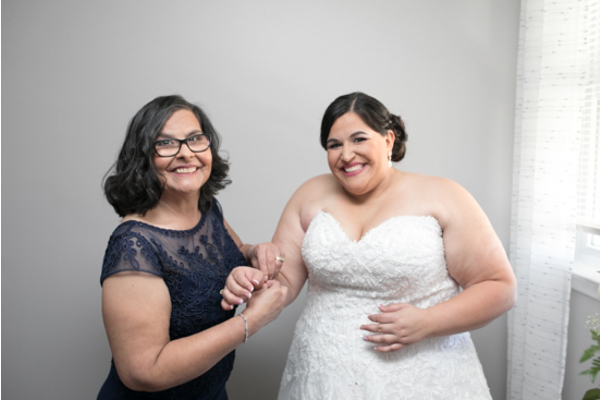 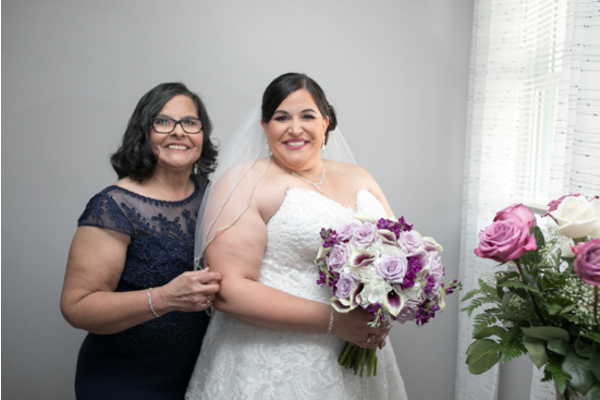 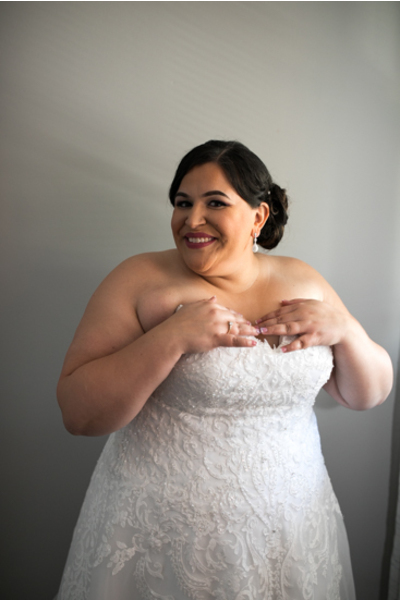 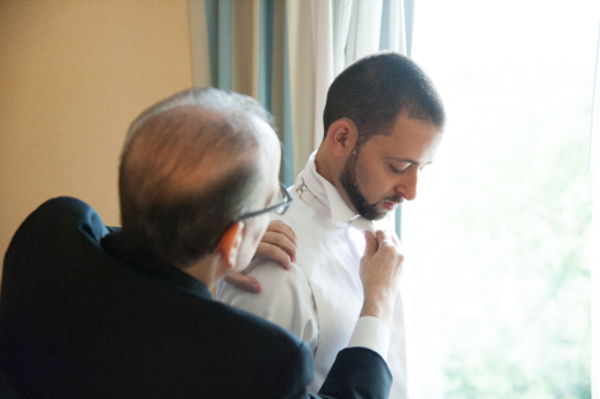 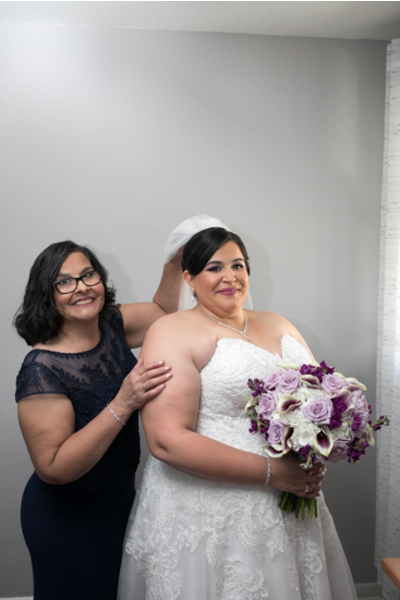 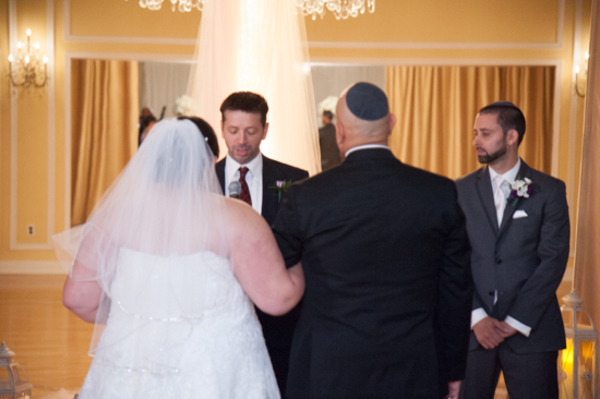 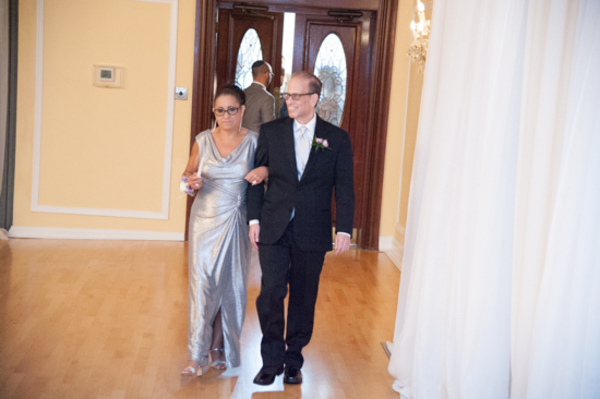 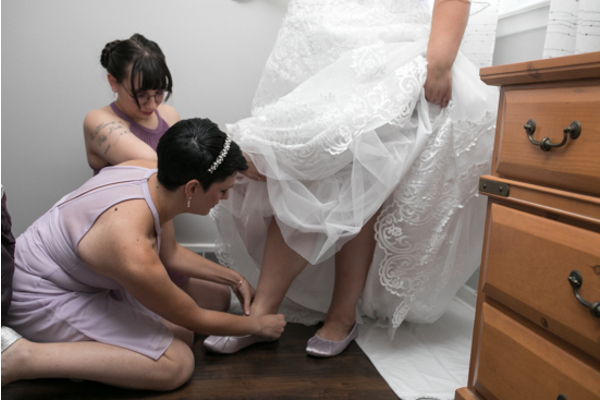 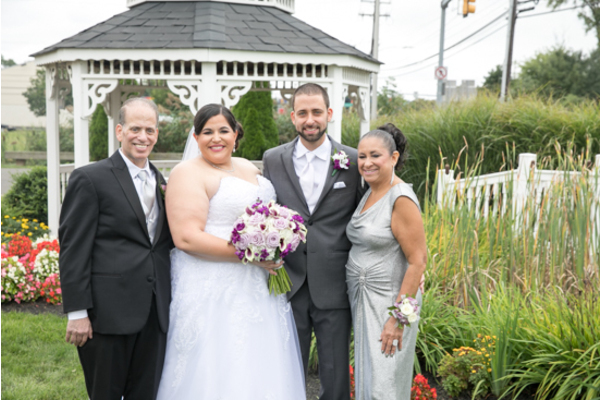 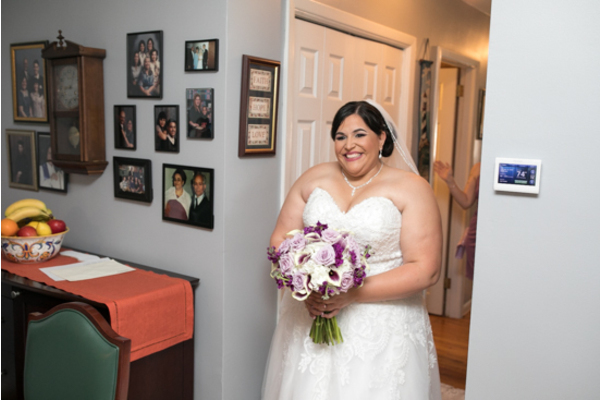 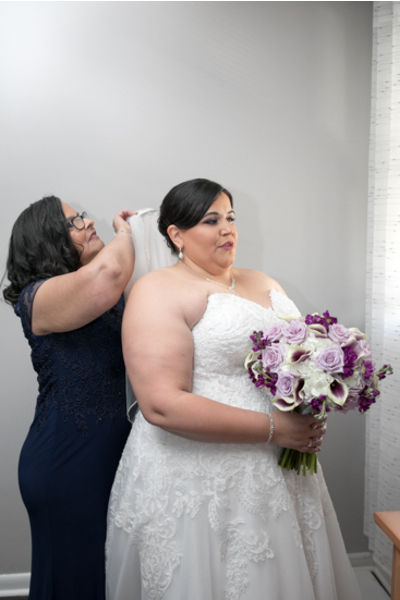 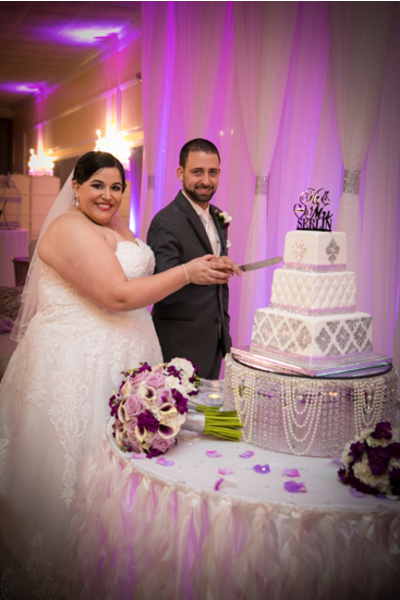 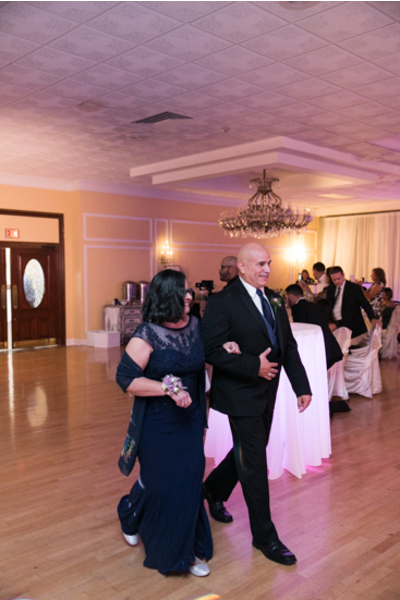 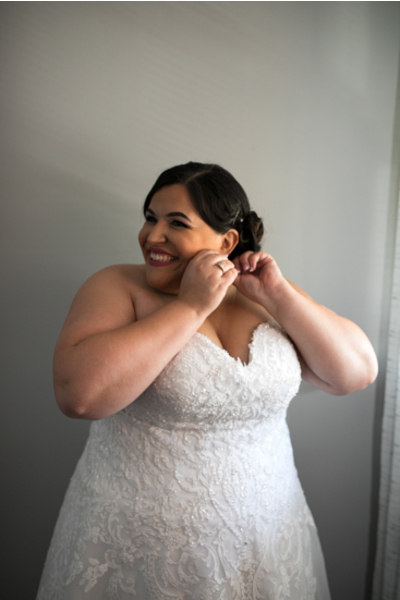 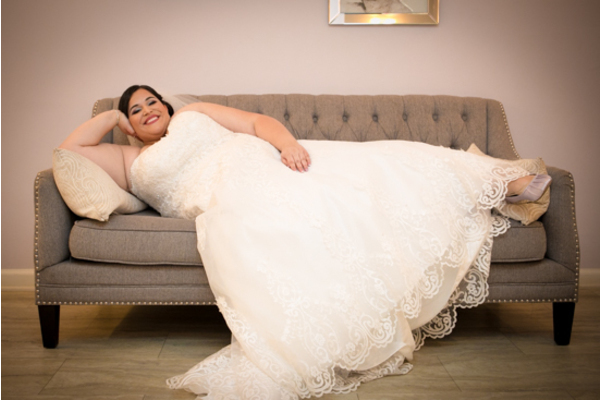 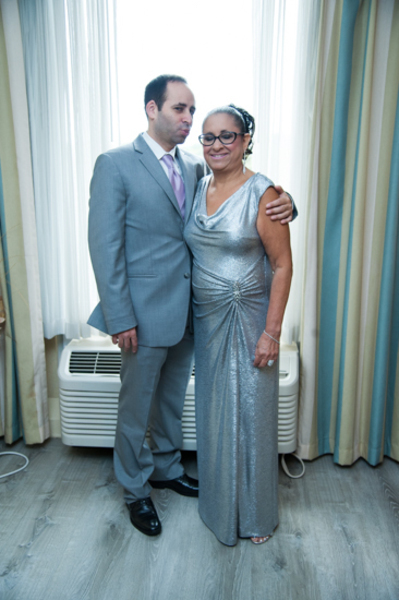 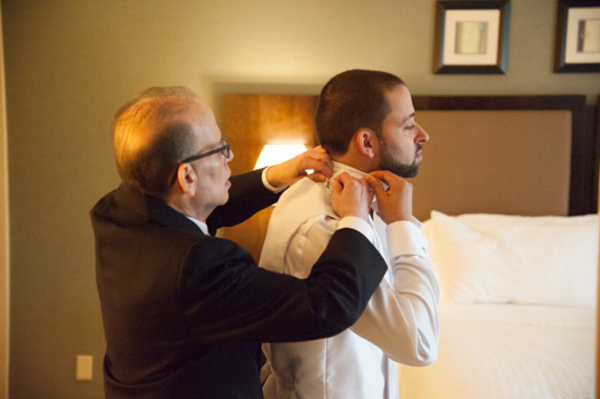 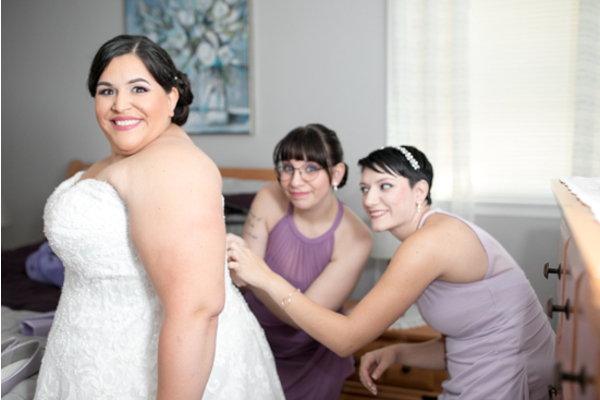 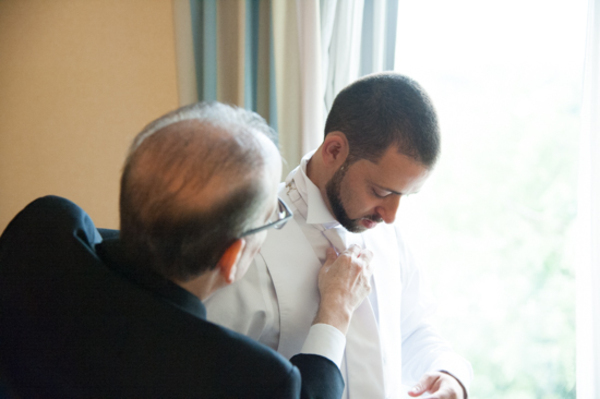 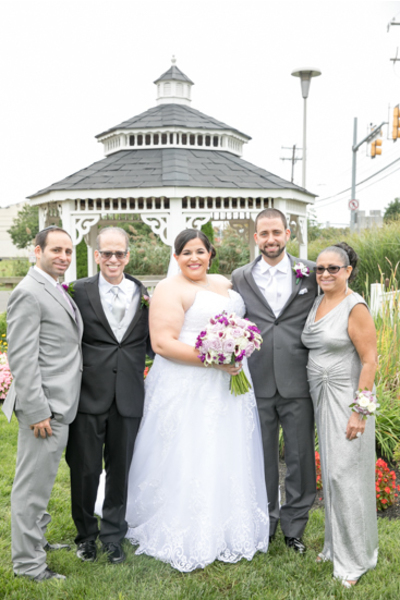 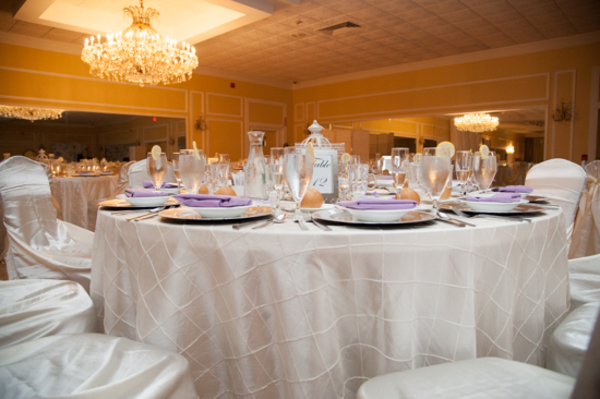 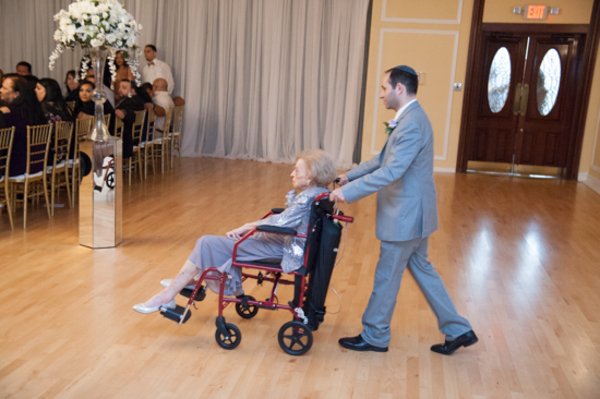 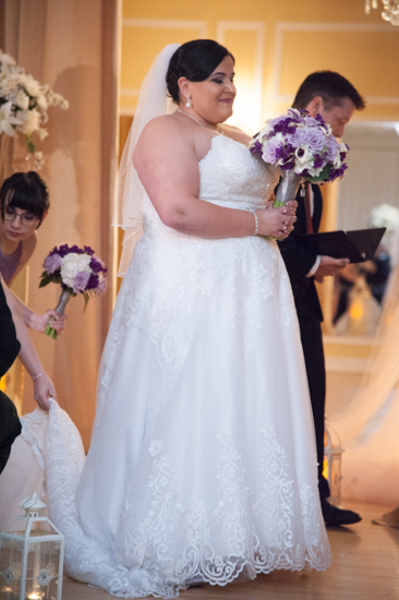 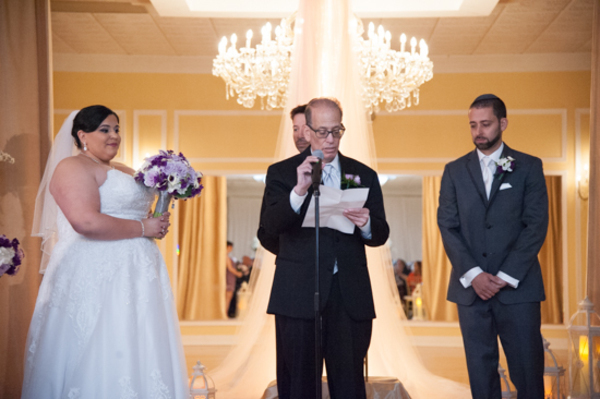 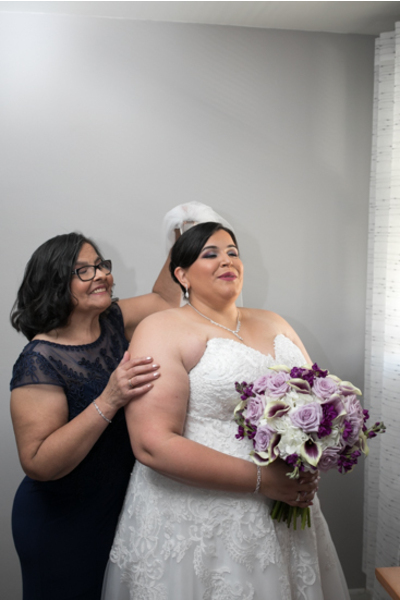 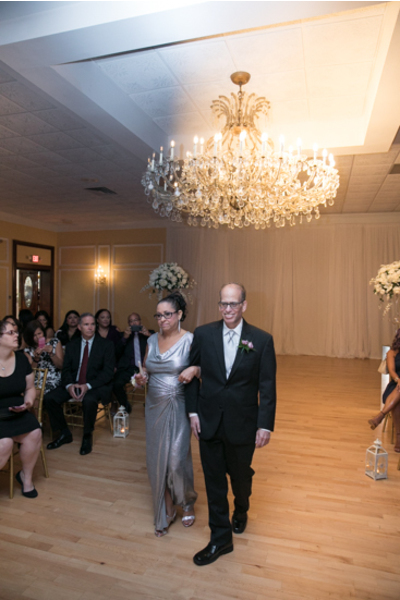 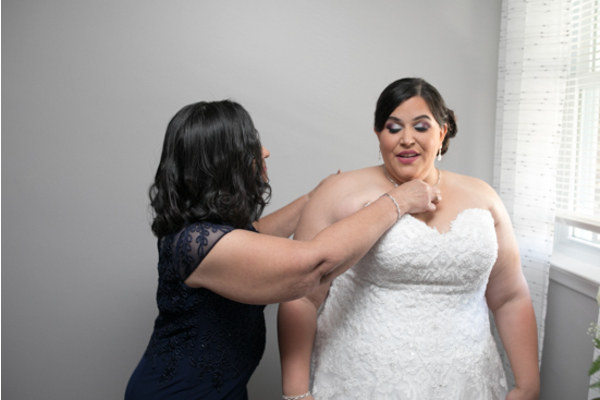 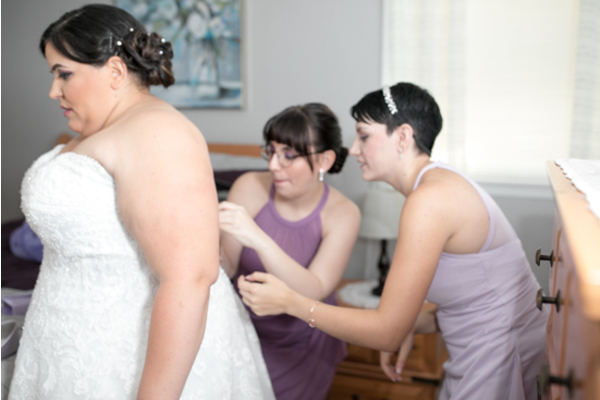 Our NJ Wedding Photographer was there as they all pitched in on helping Crystal feel like a princess on her special day! 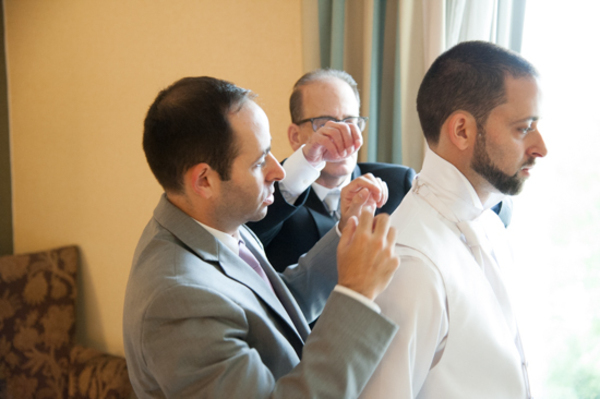 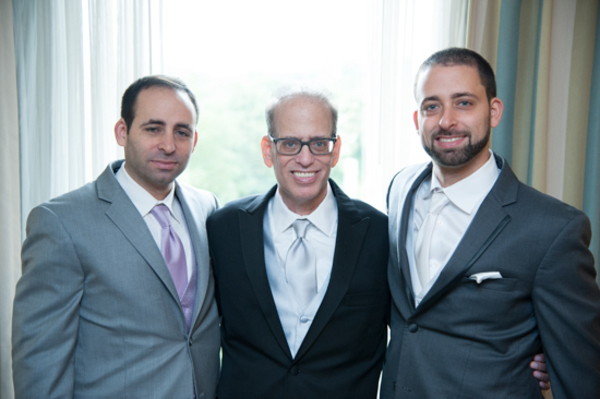 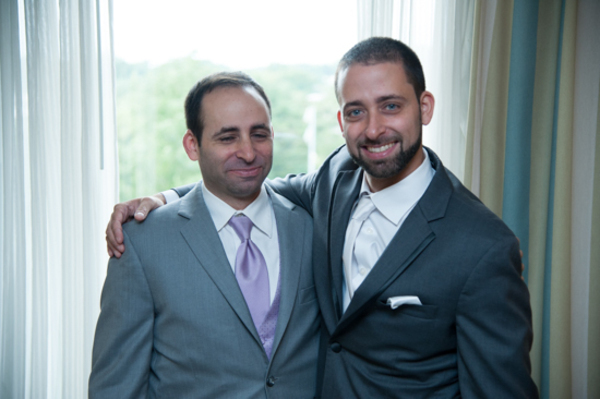 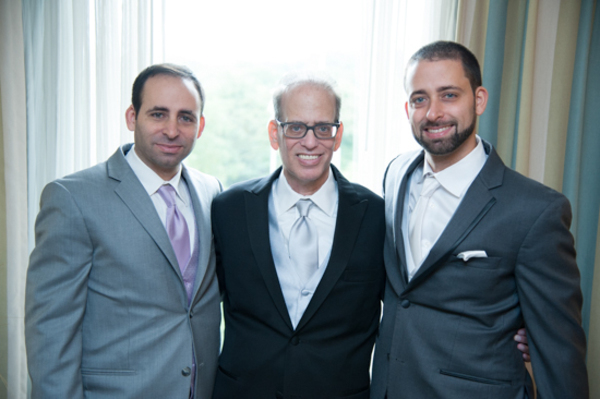 Of course, we cannot forget about Ben, who was also having a grand time with his boys getting ready. 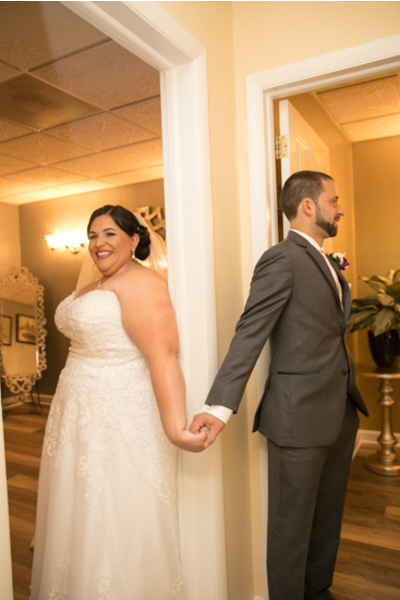 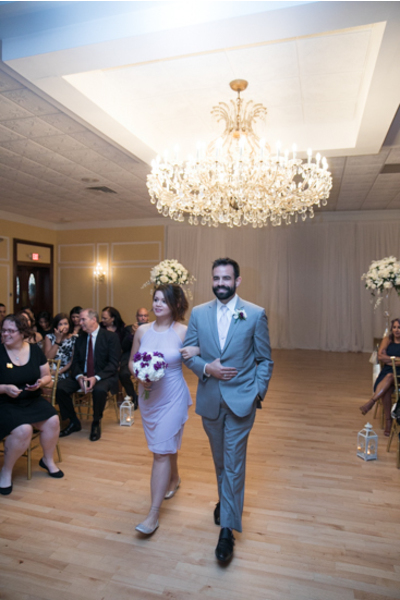 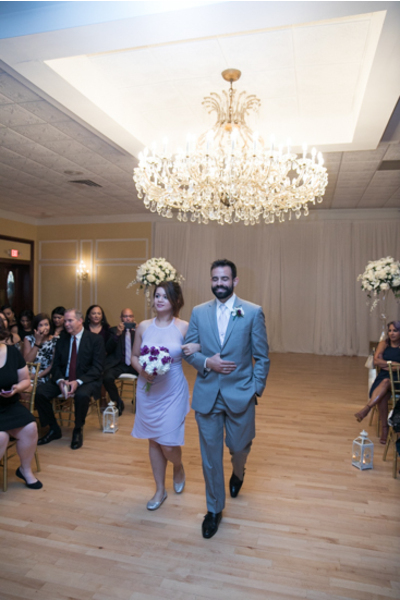 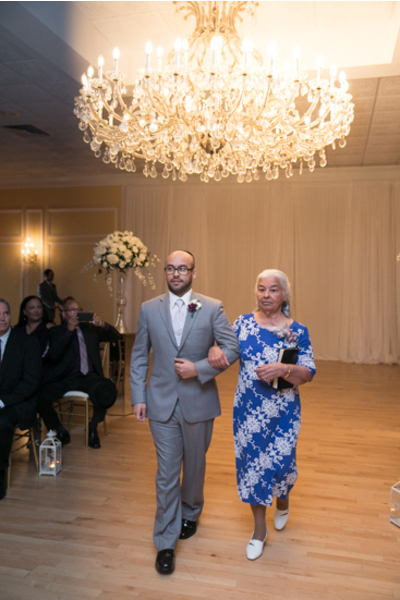 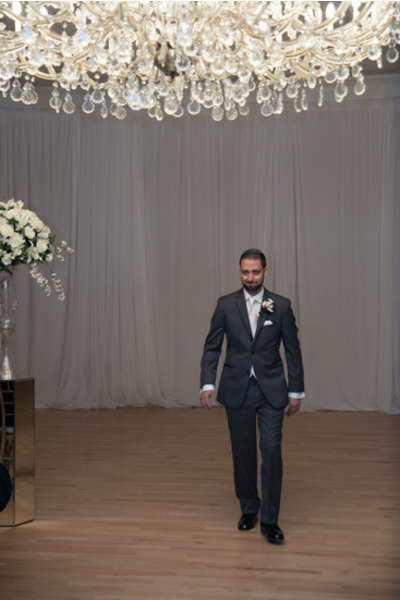 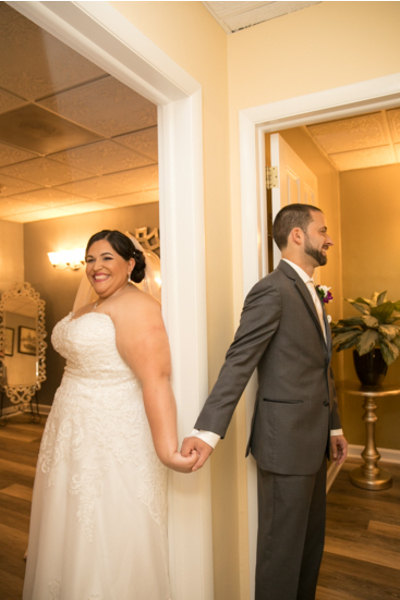 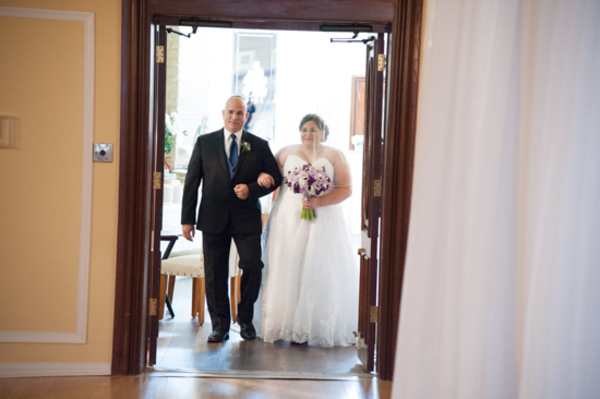 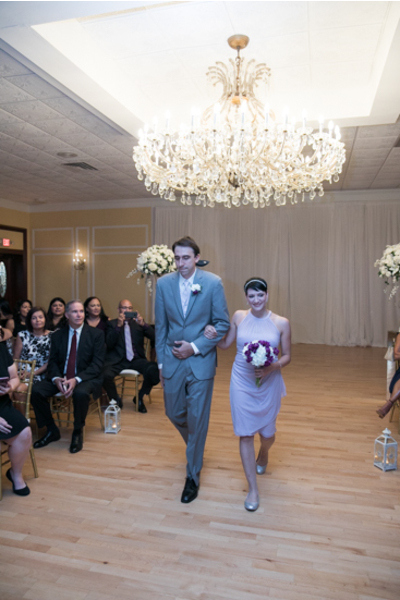 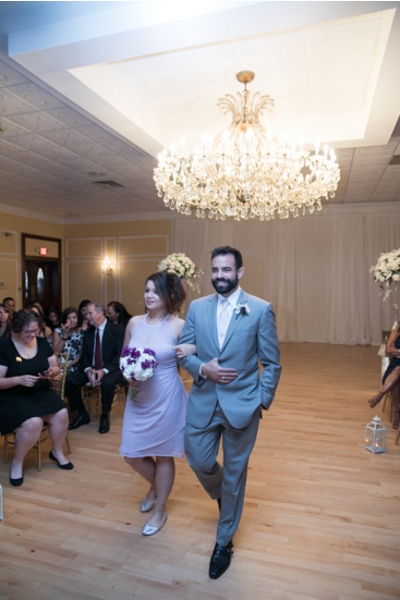 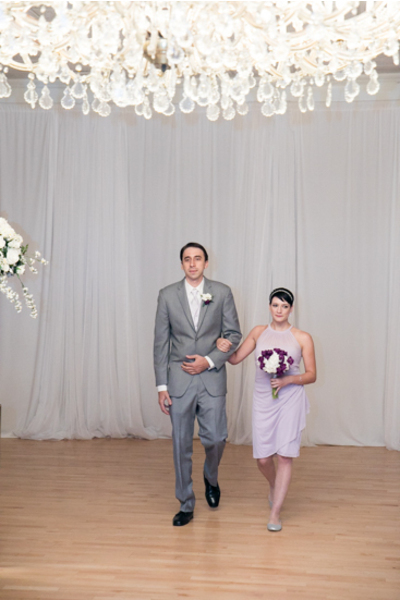 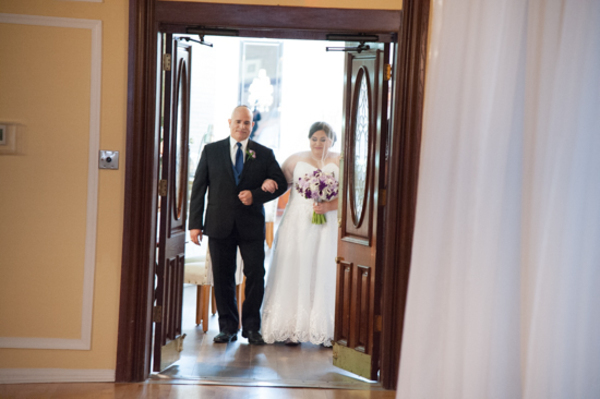 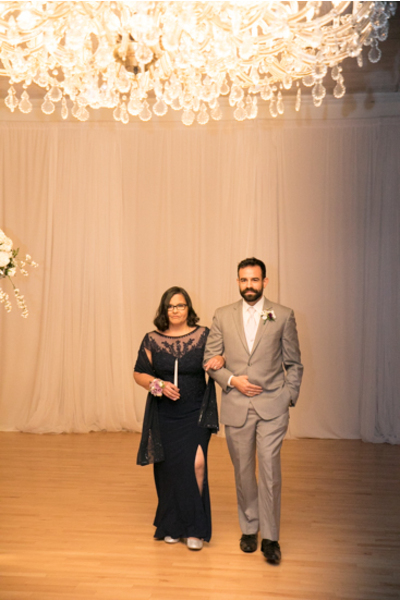 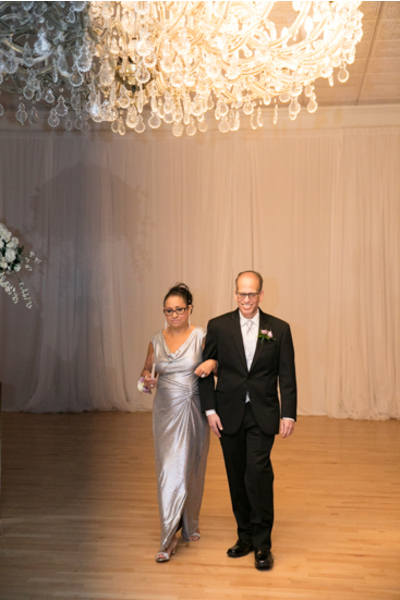 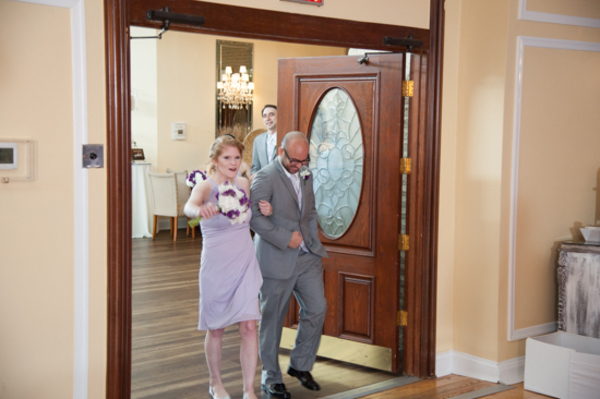 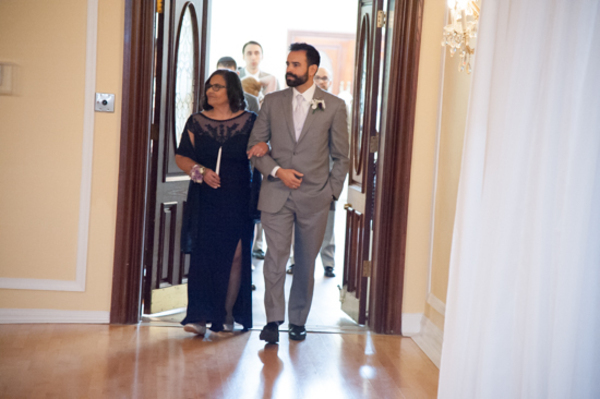 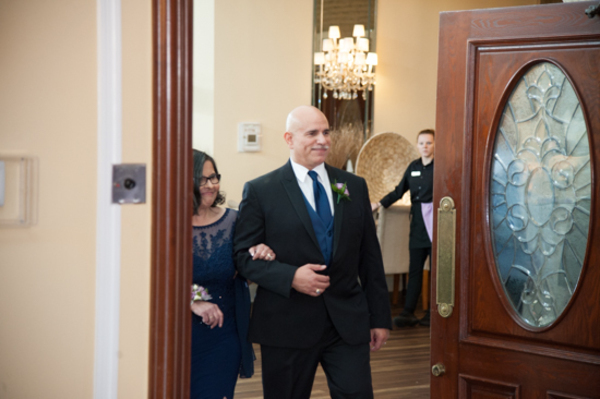 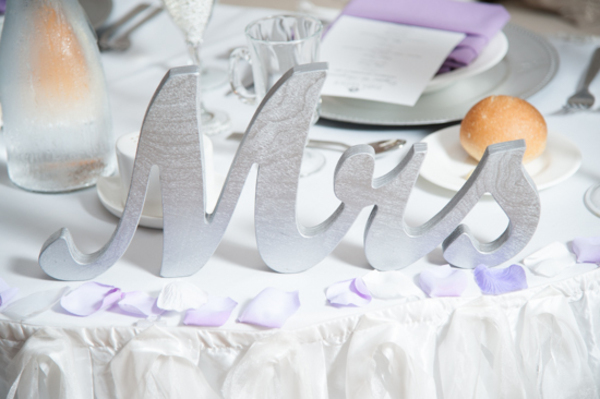 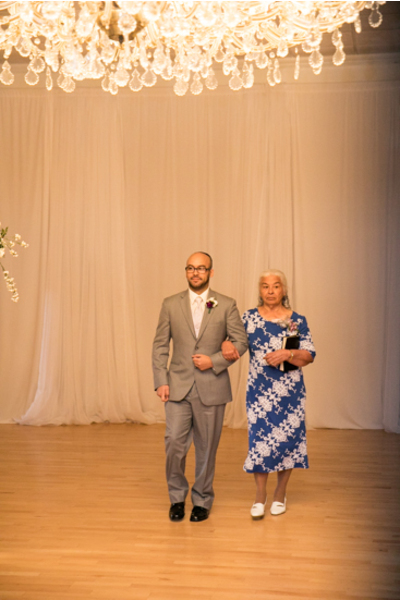 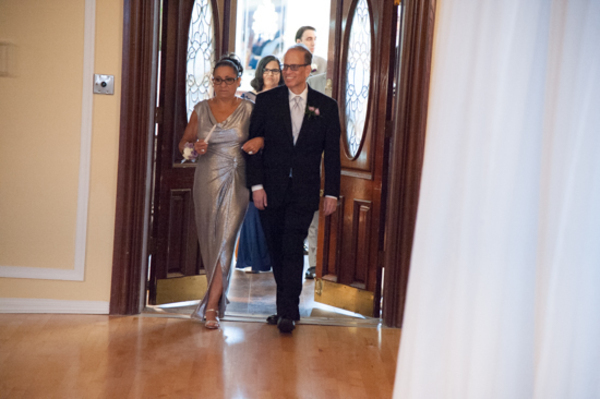 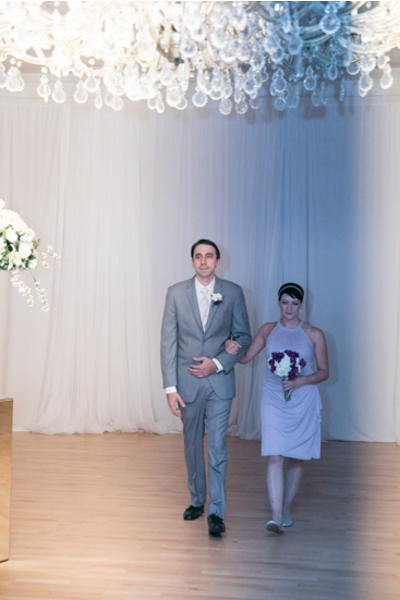 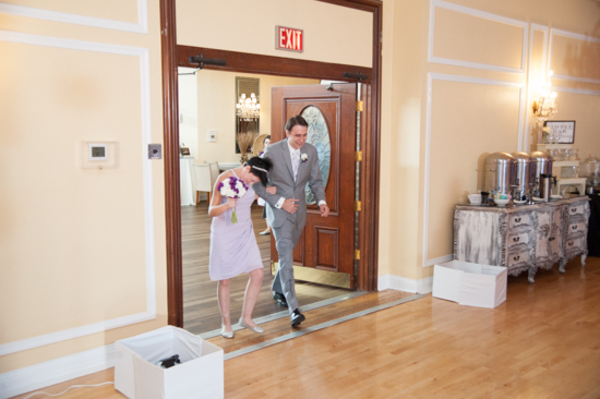 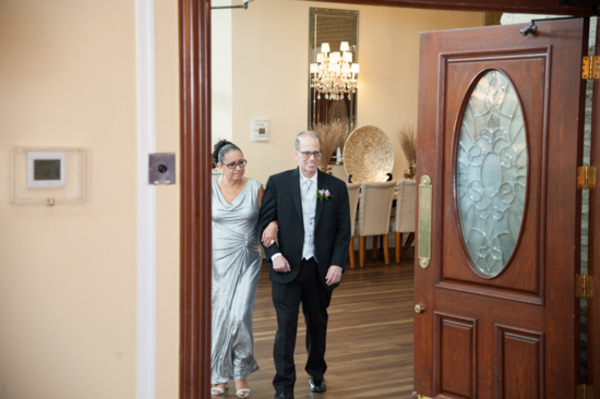 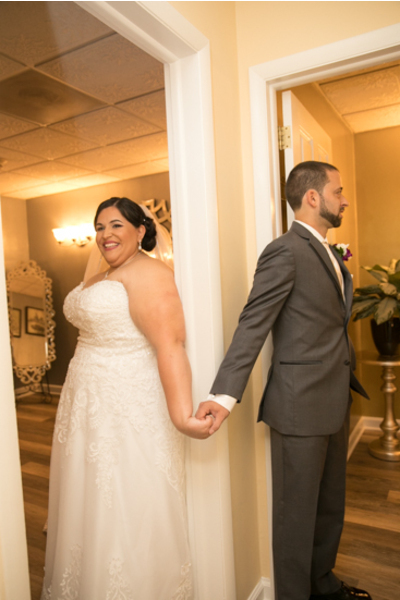 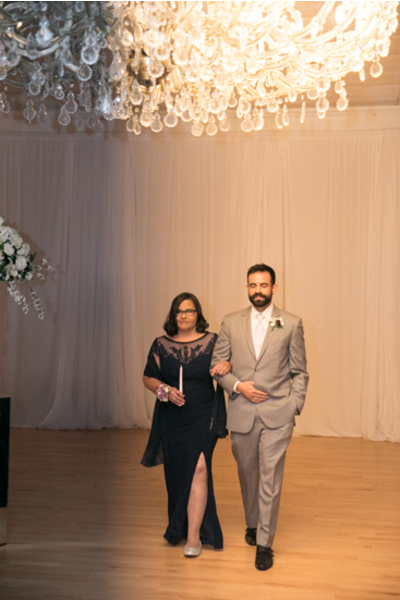 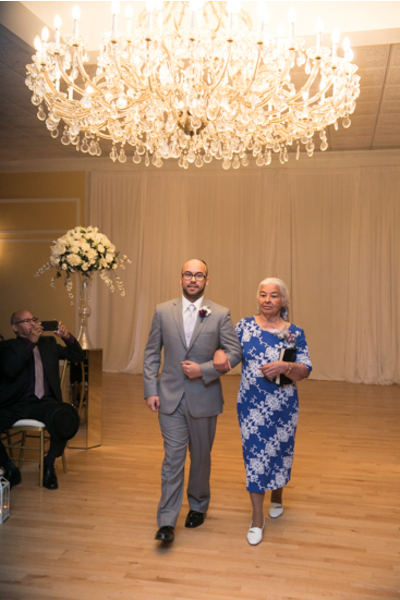 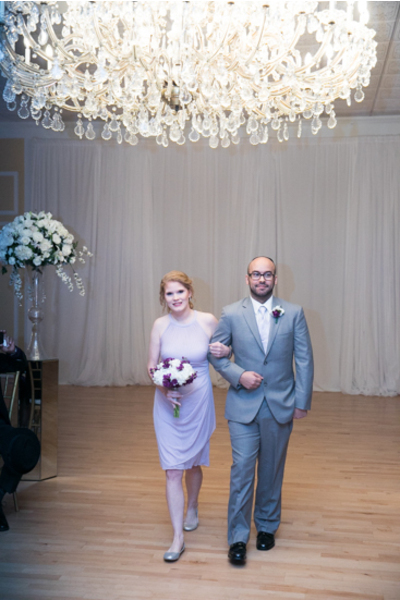 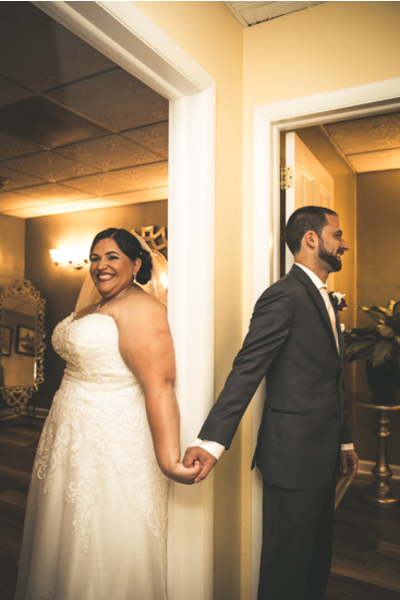 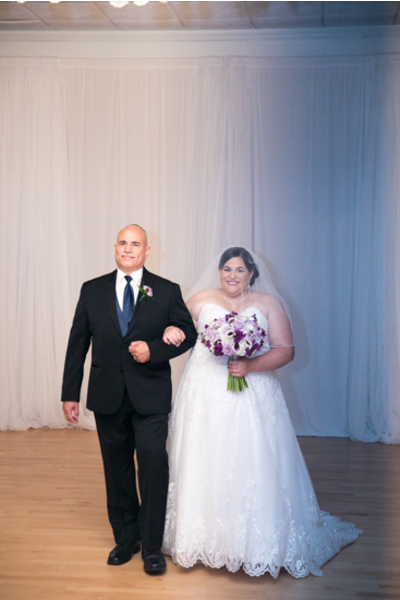 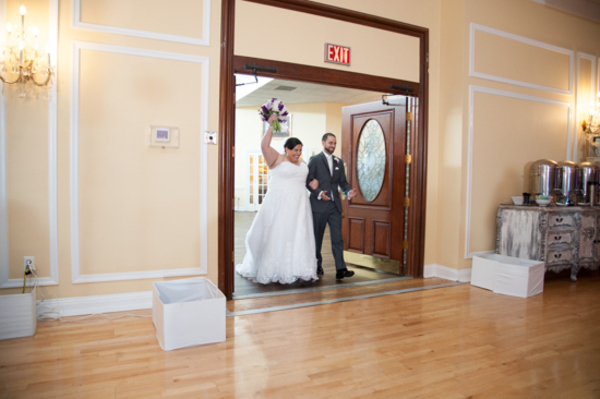 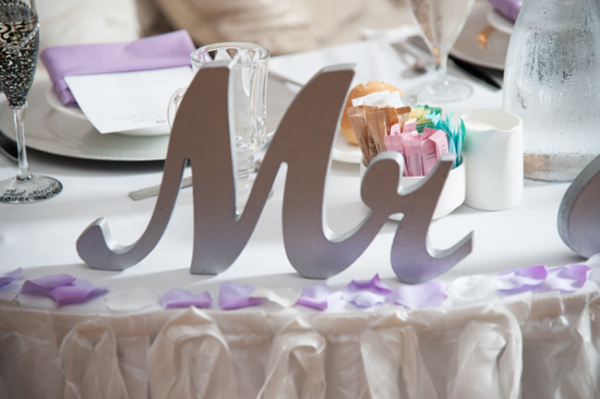 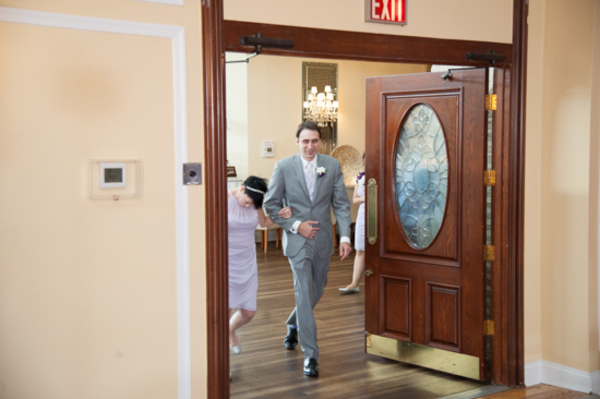 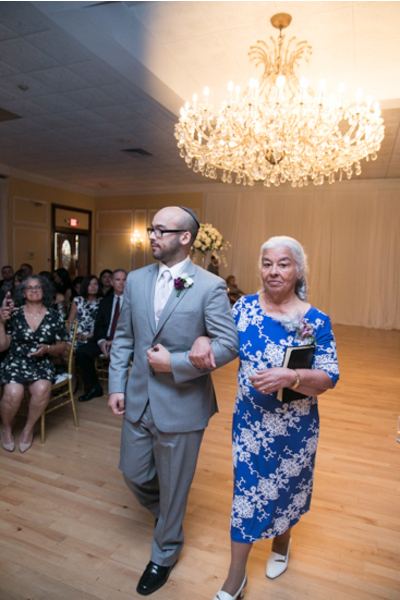 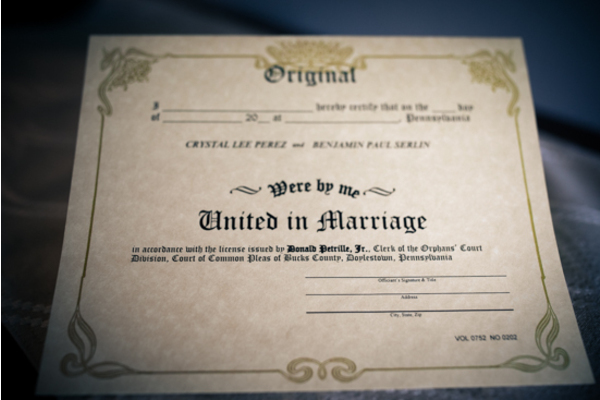 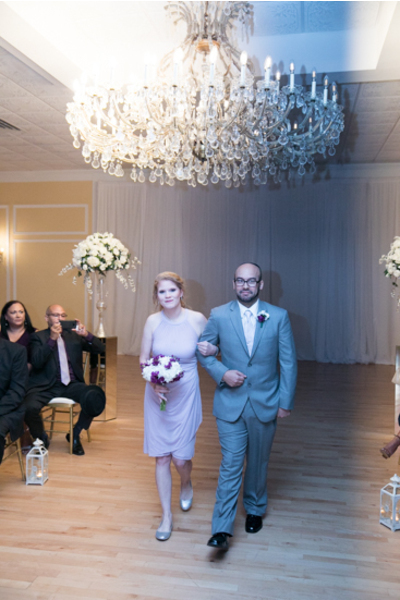 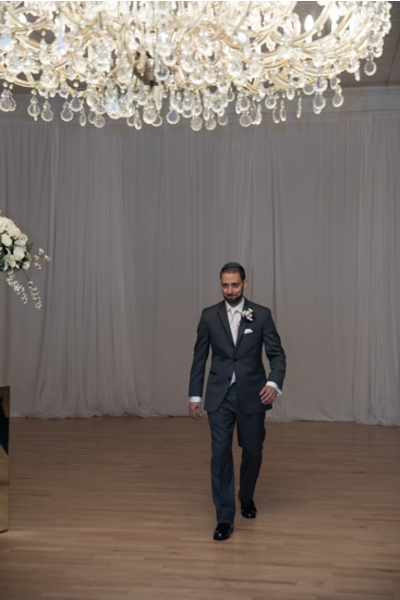 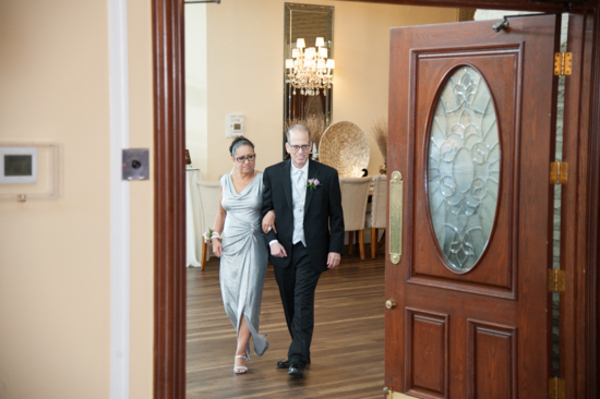 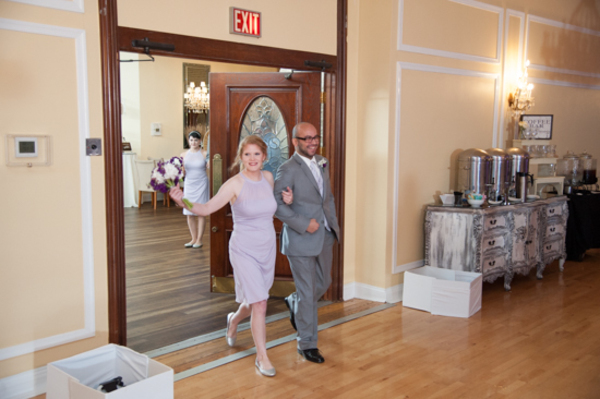 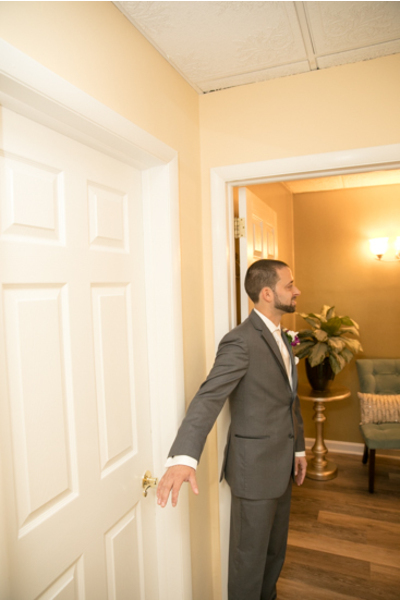 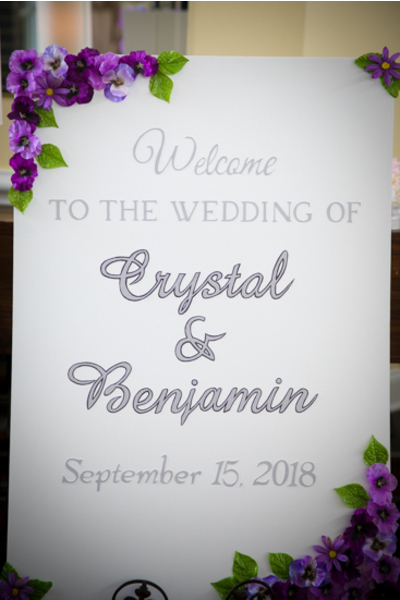 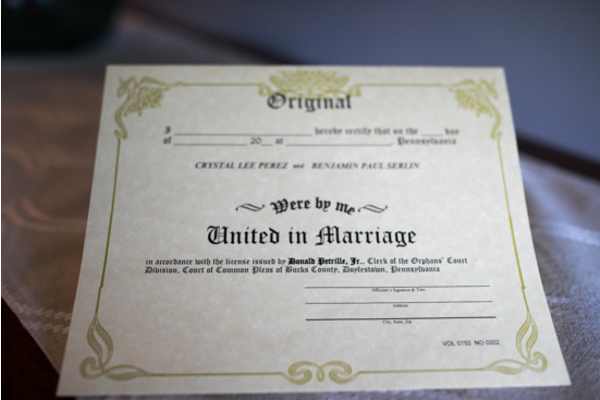 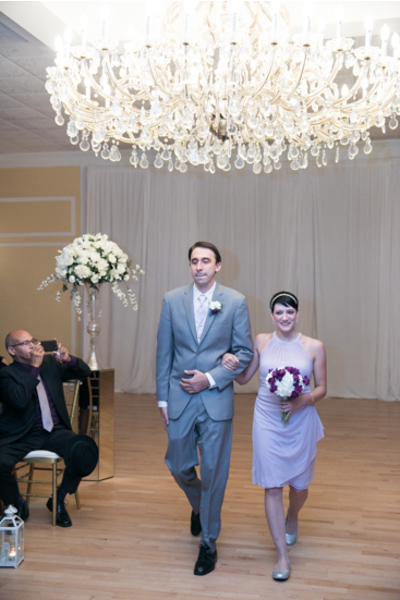 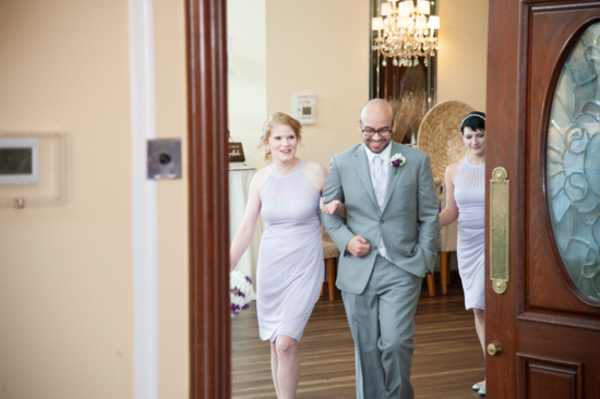 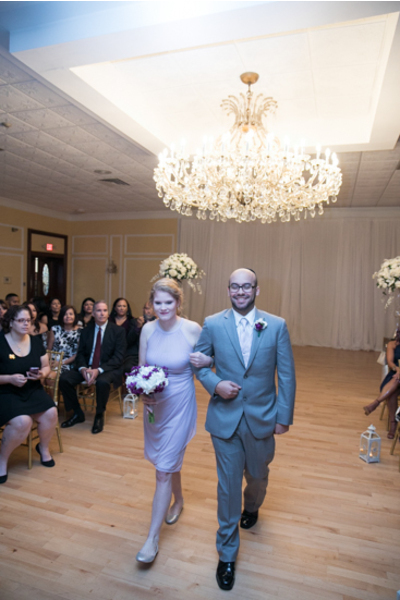 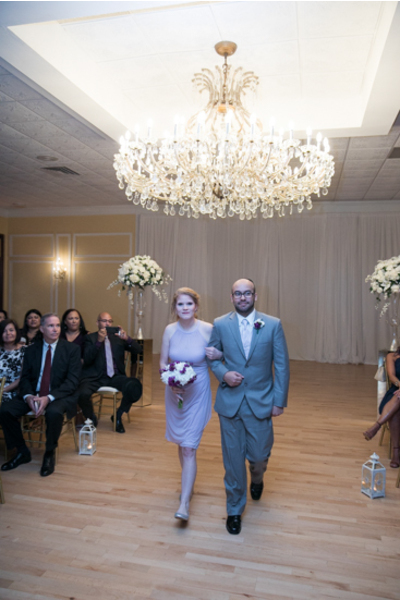 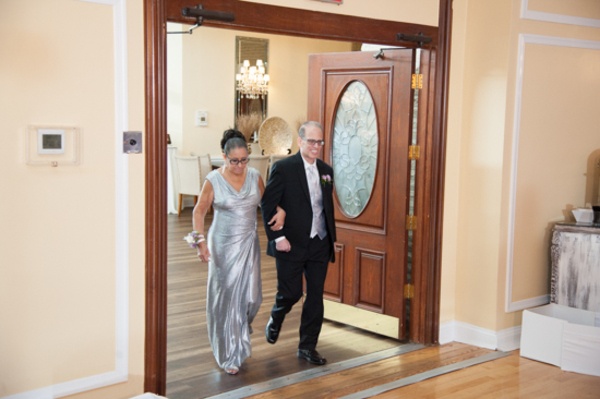 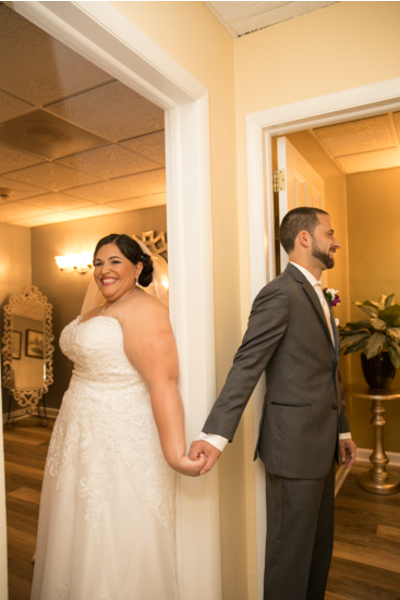 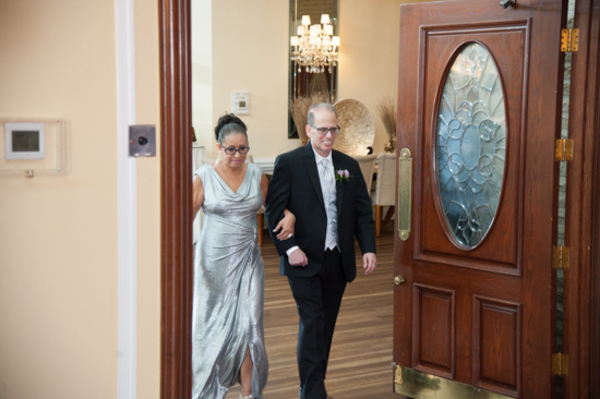 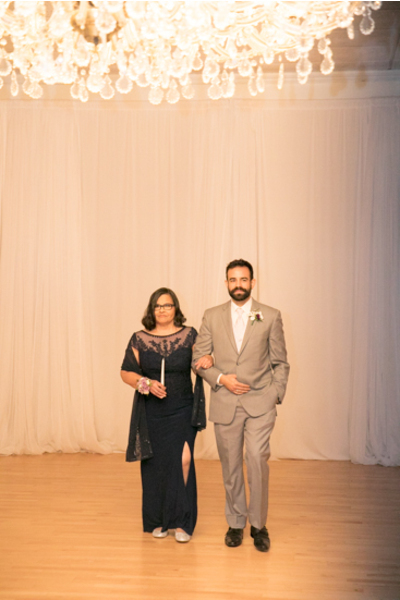 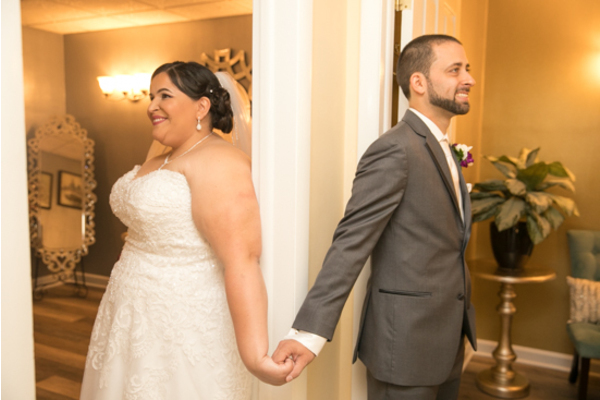 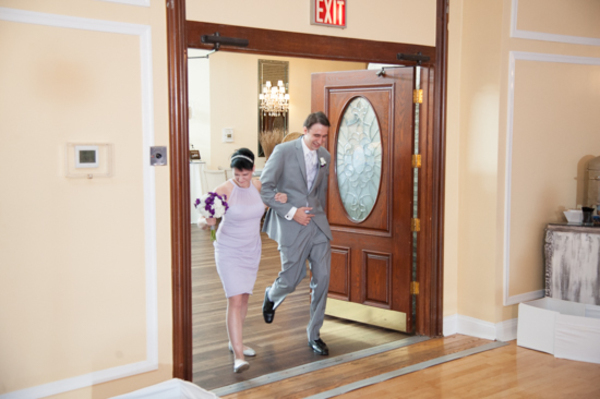 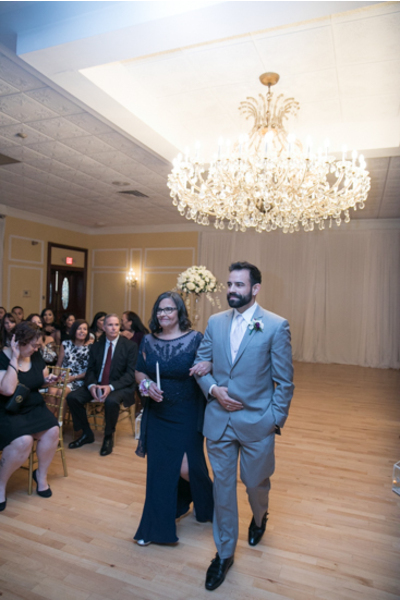 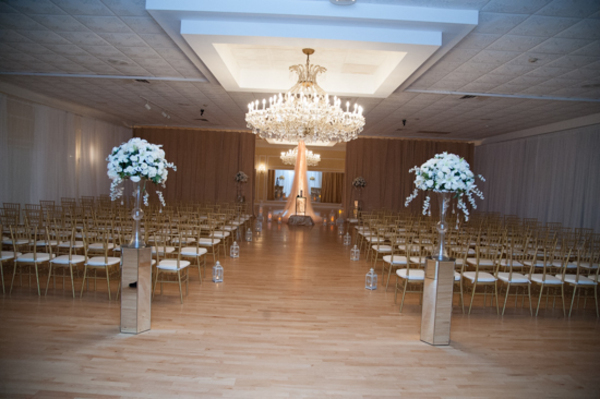 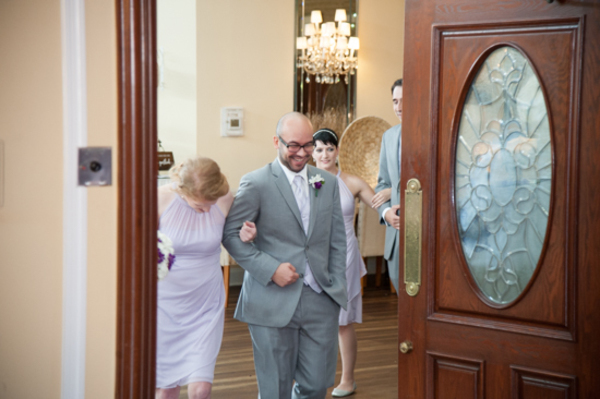 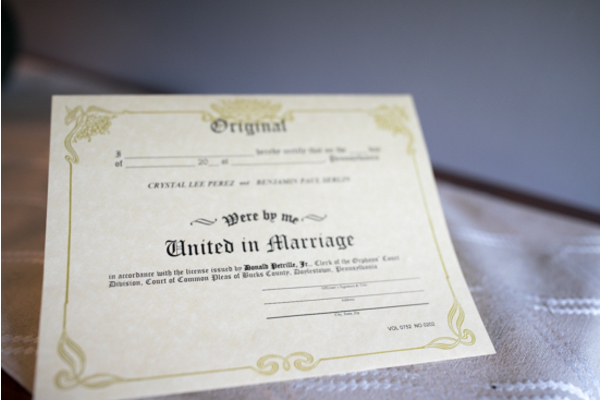 Outside the ceremony was a sign that read “Welcome to the wedding of Crystal & Benjamin!” Guests followed the sign to their seats while the couple held hands in the doorway without peeking at each other until the walk down the aisle. 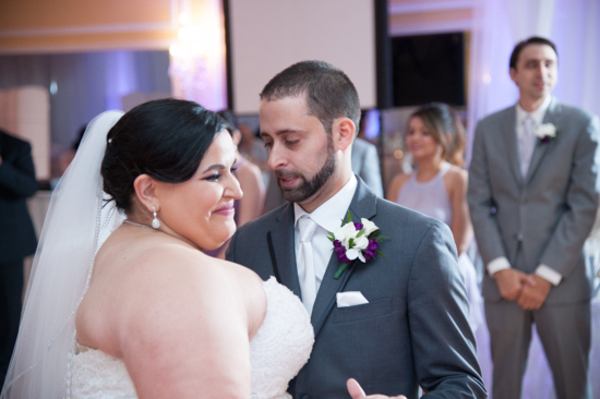 Ben was so happy to see her and could not take his eyes off of her! 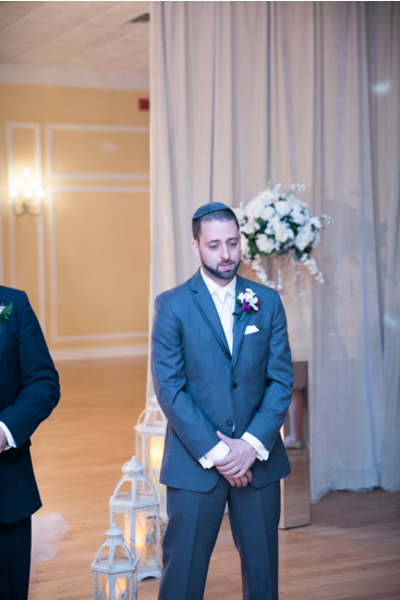 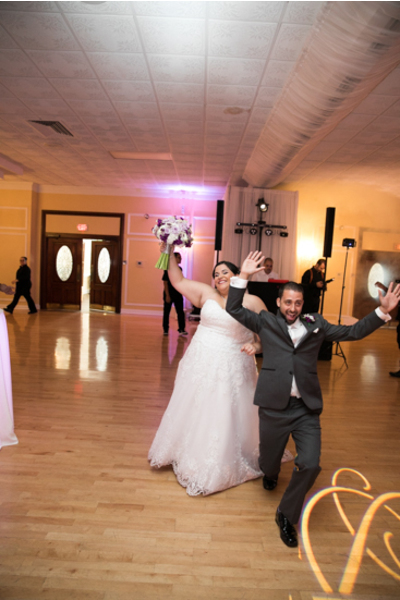 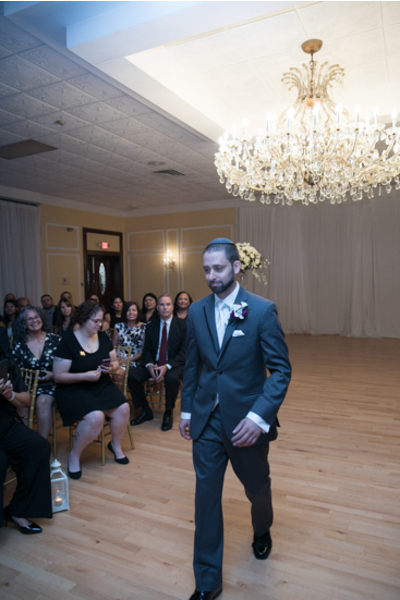 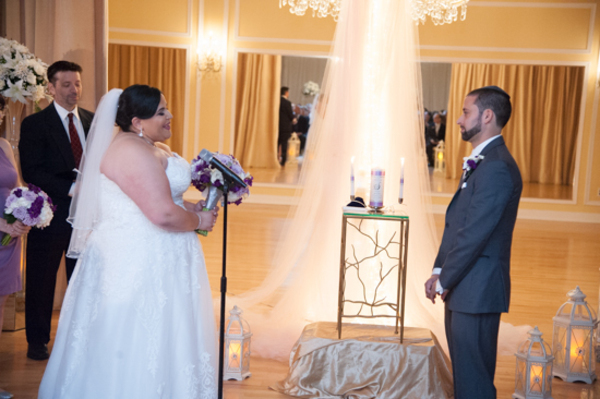 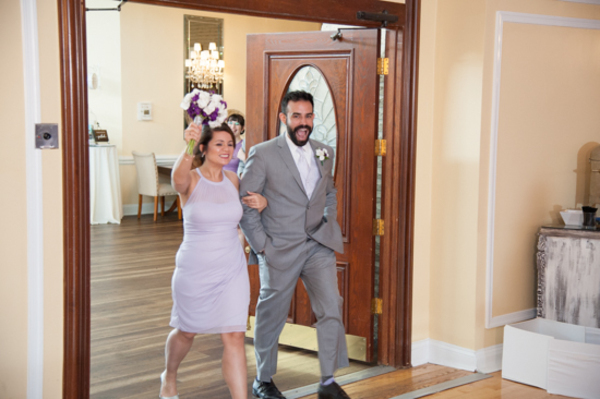 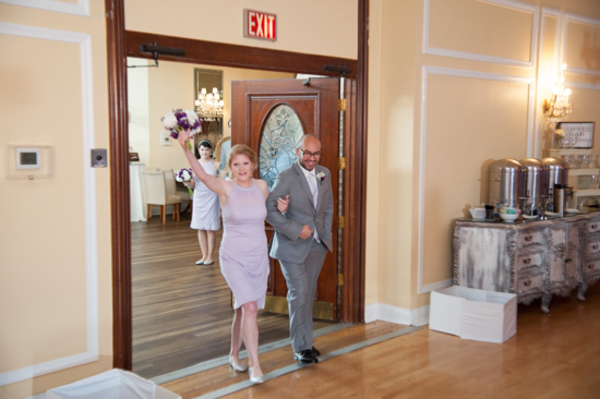 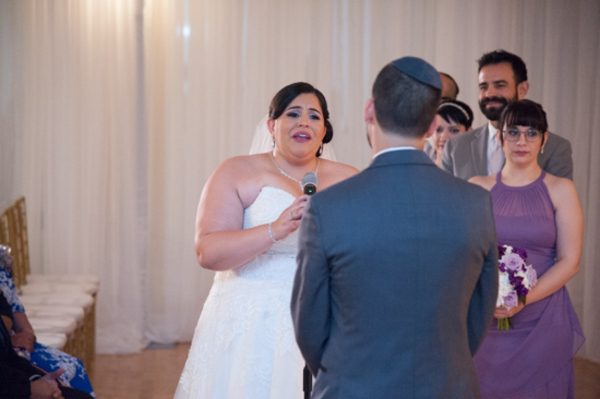 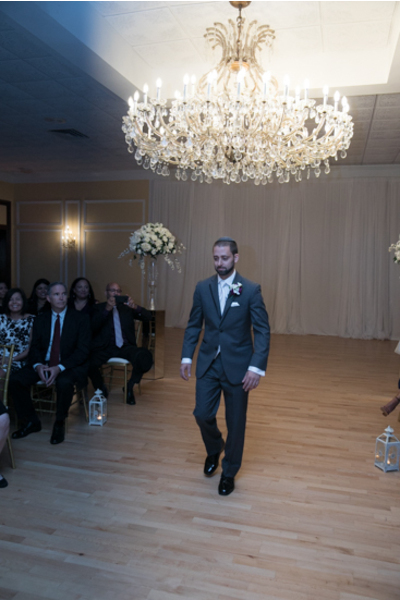 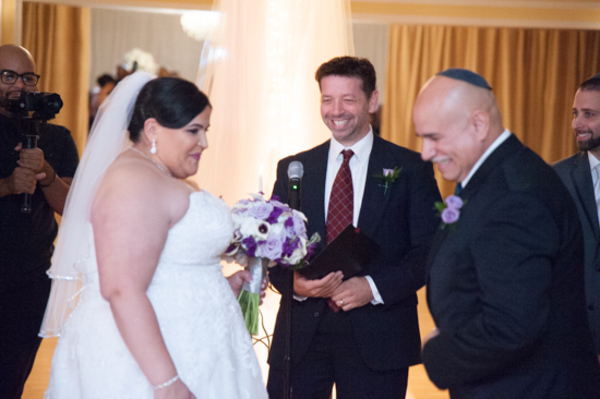 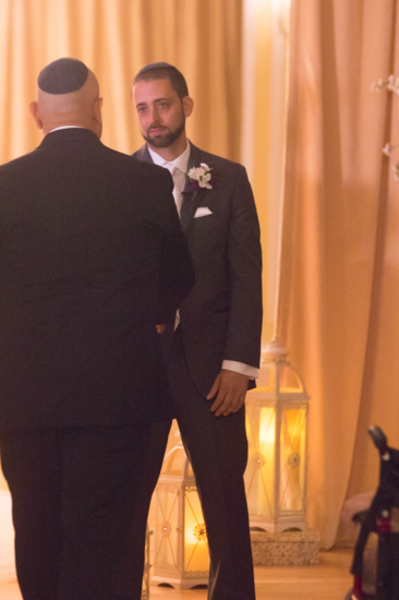 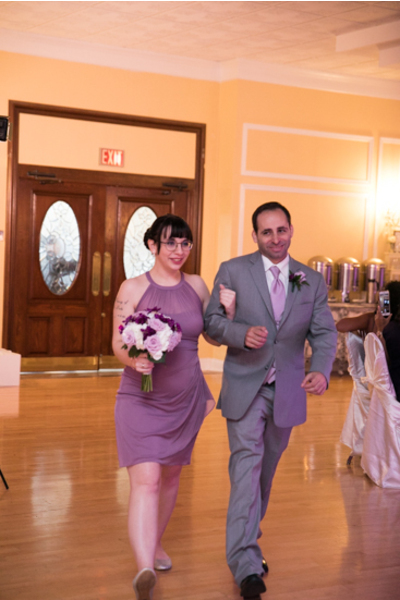 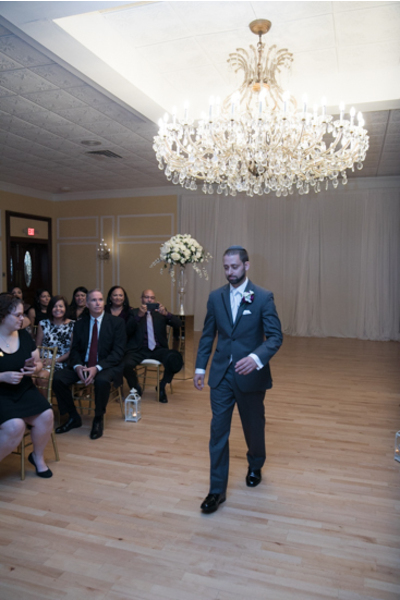 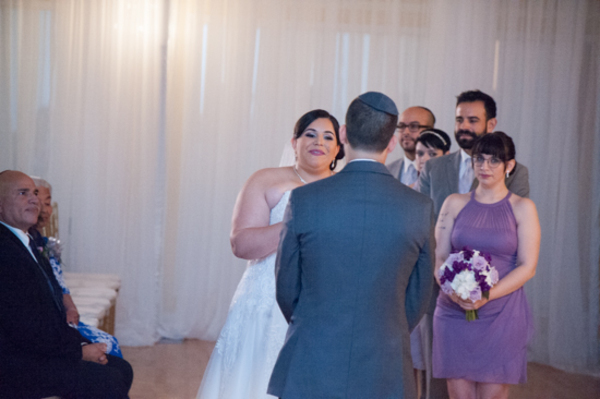 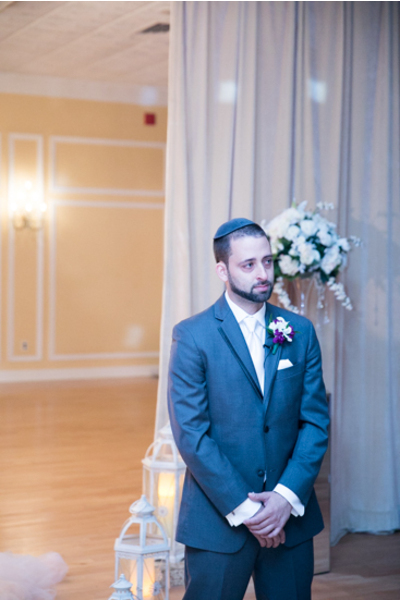 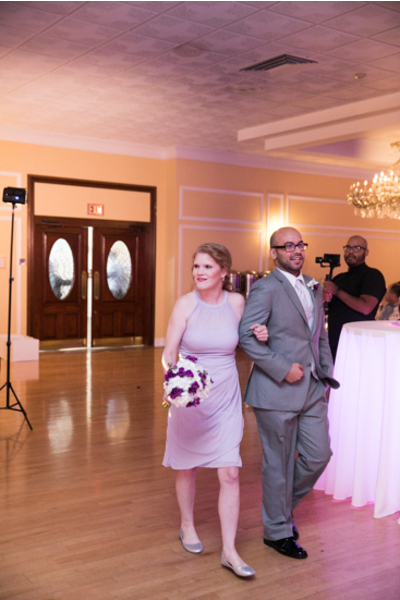 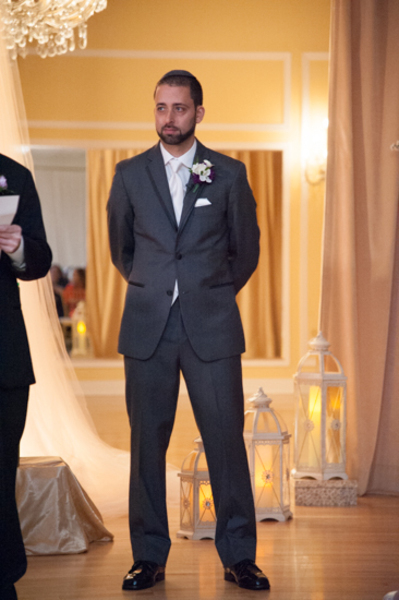 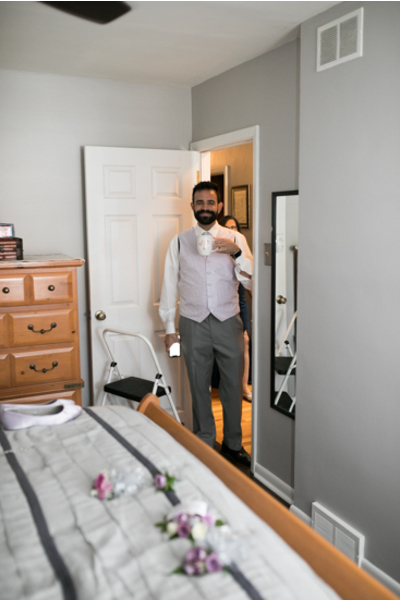 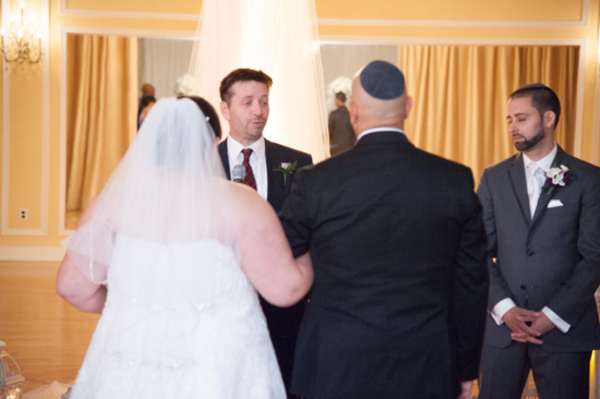 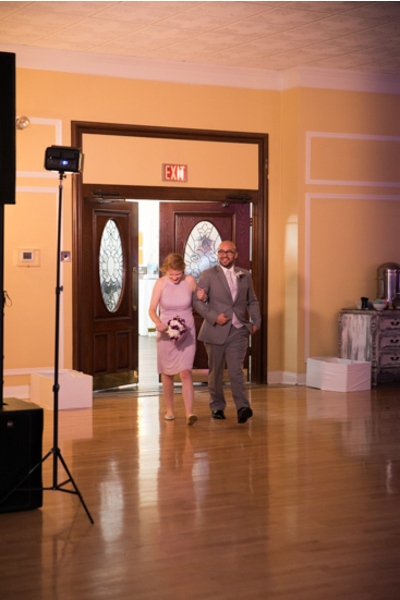 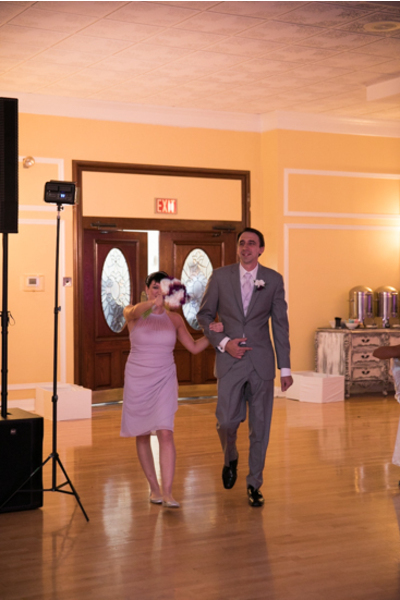 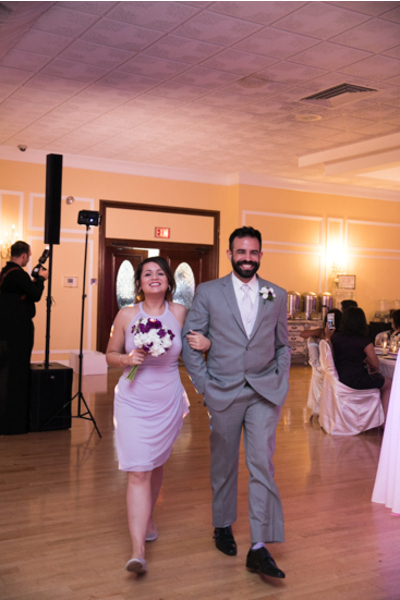 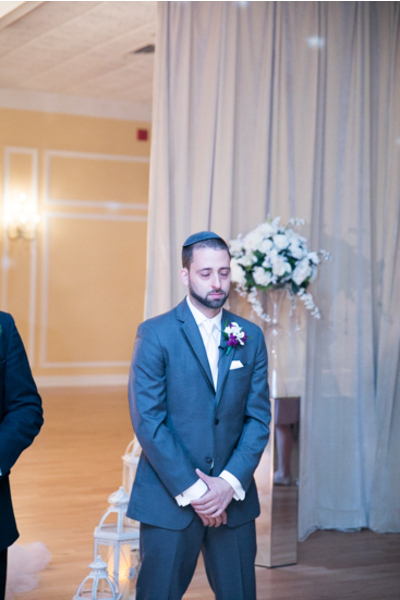 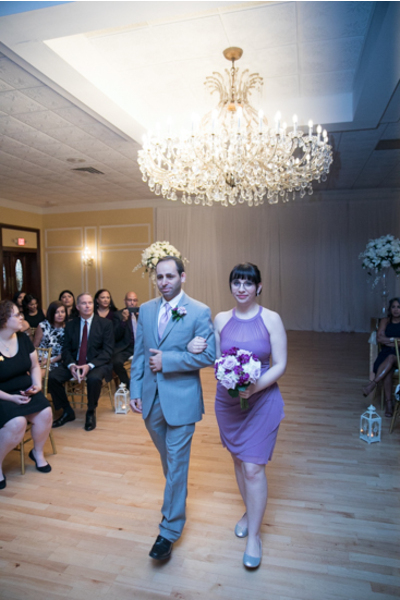 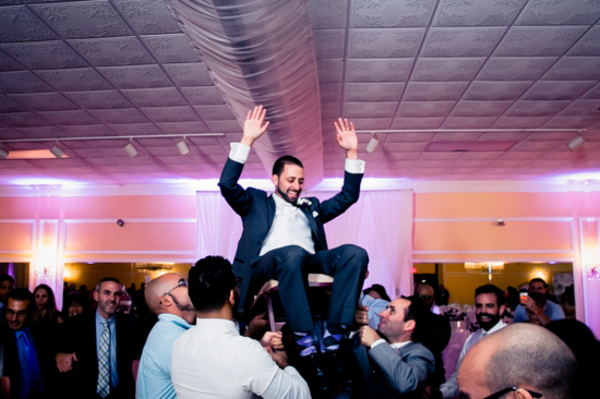 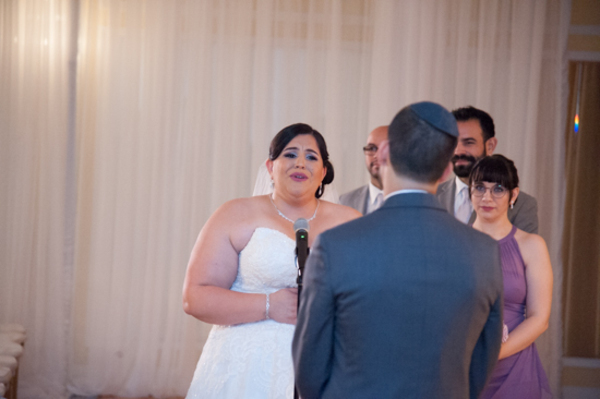 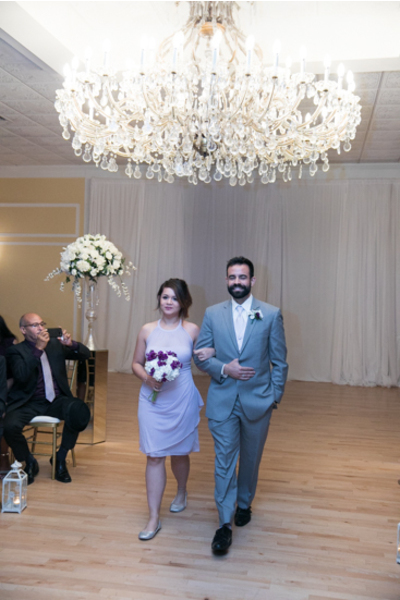 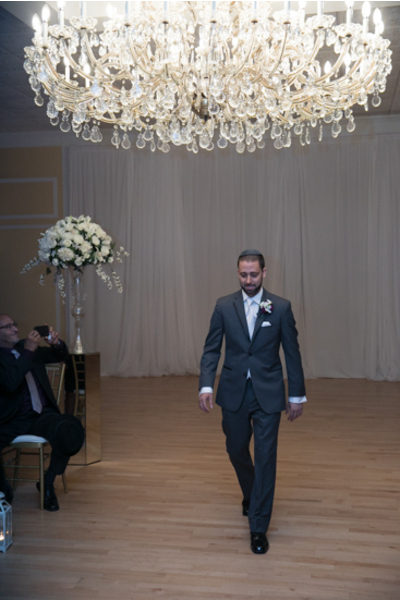 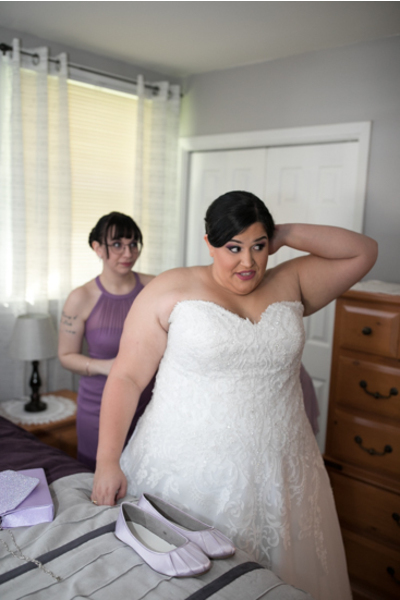 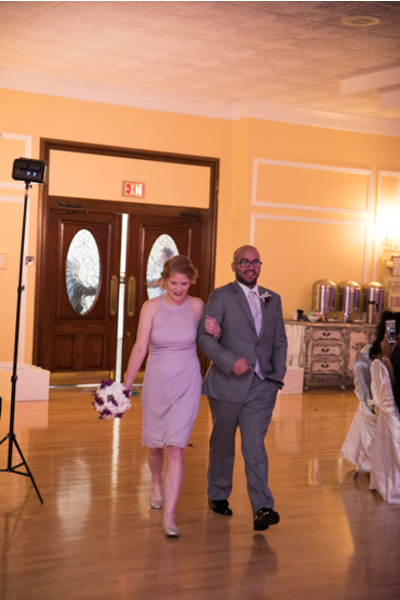 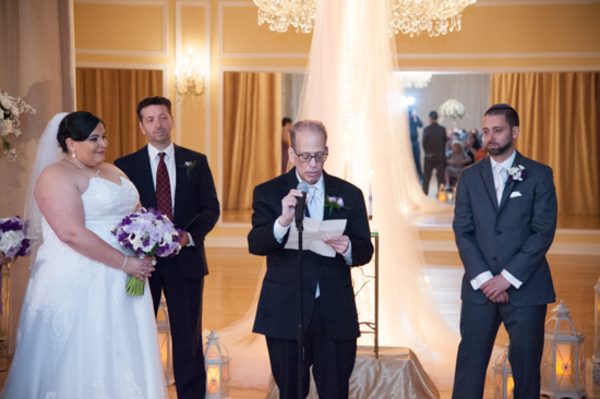 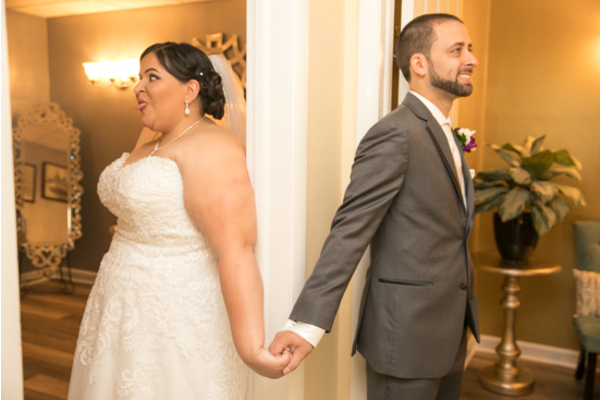 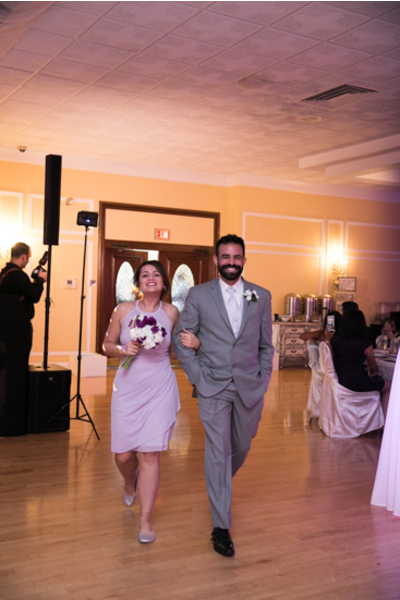 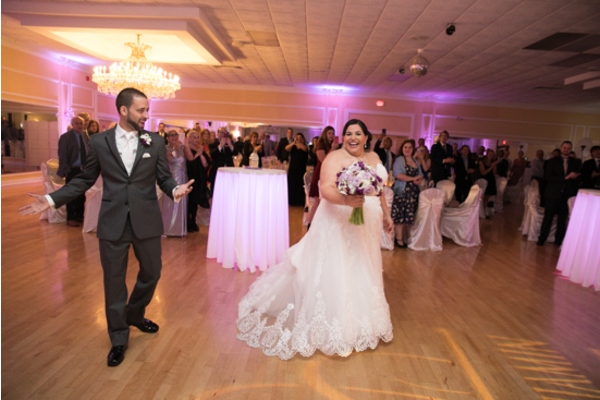 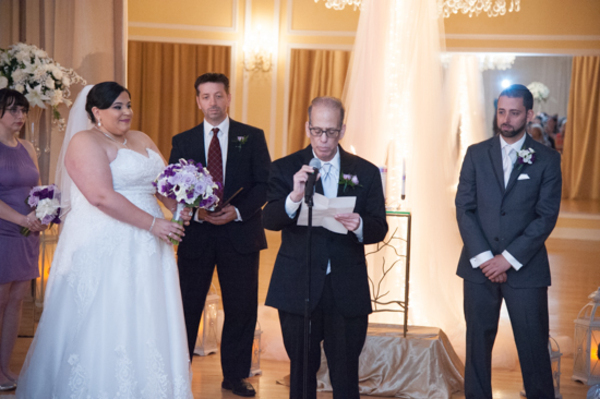 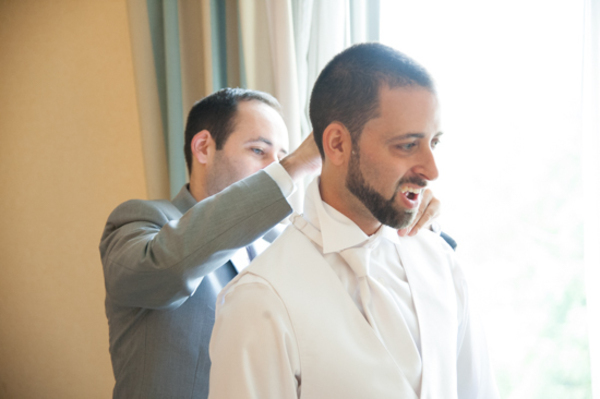 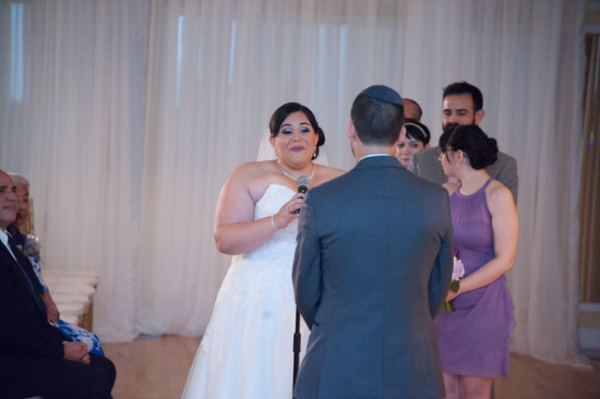 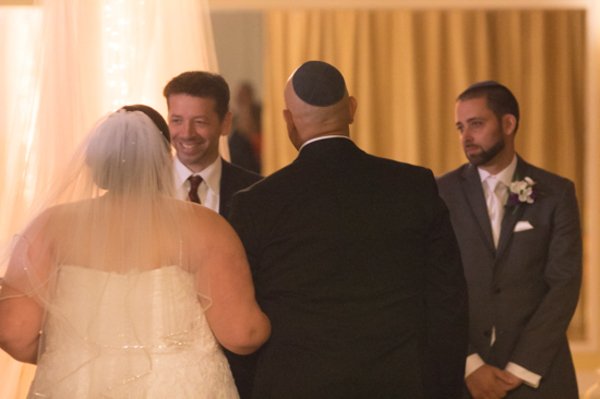 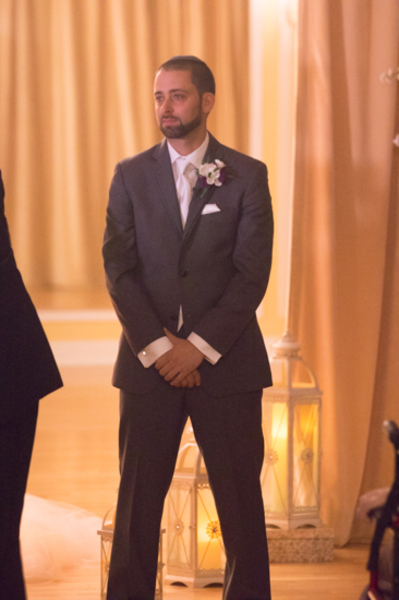 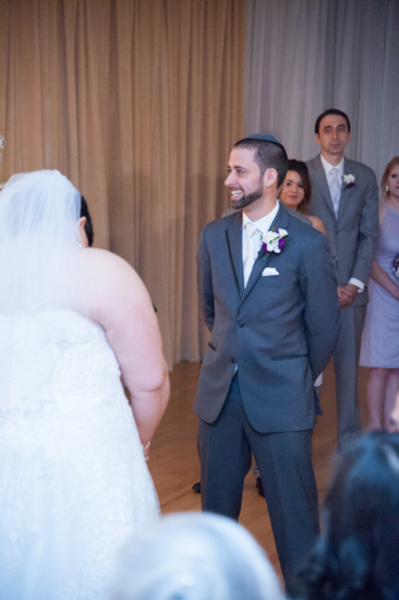 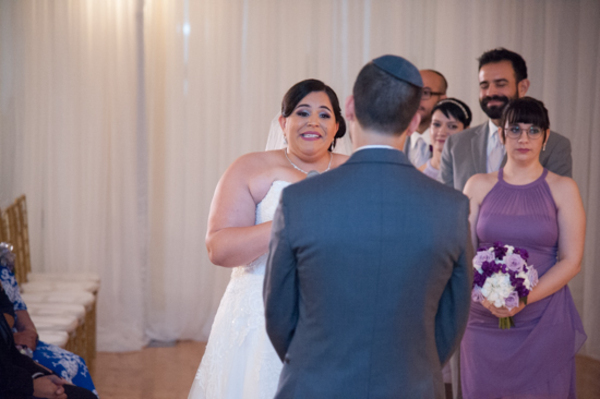 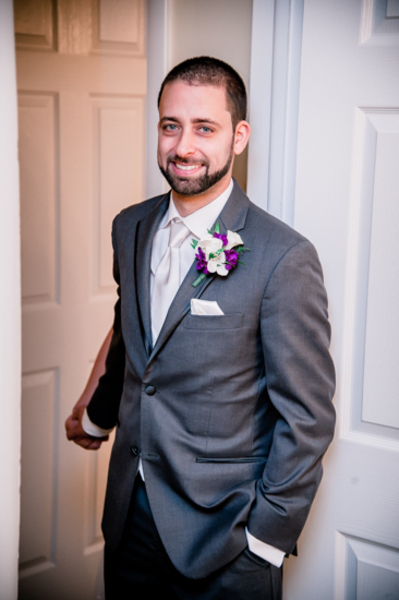 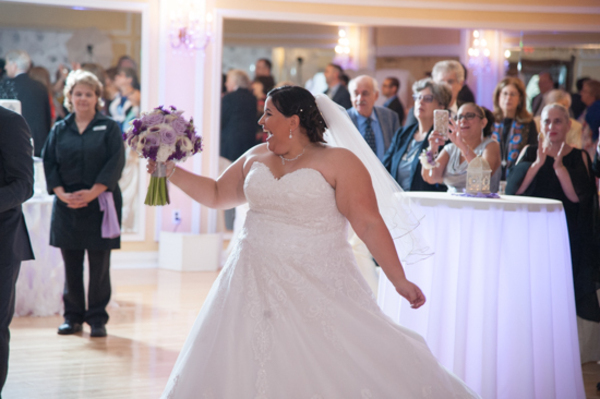 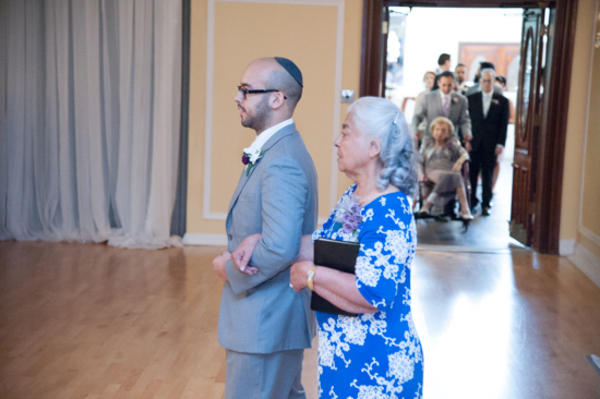 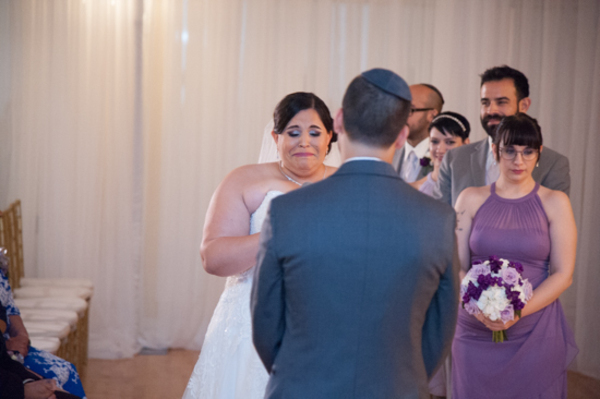 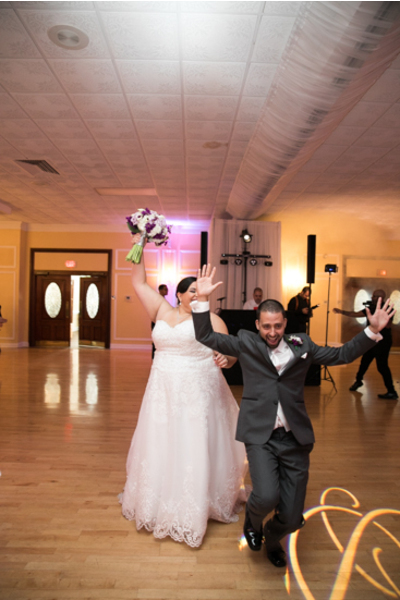 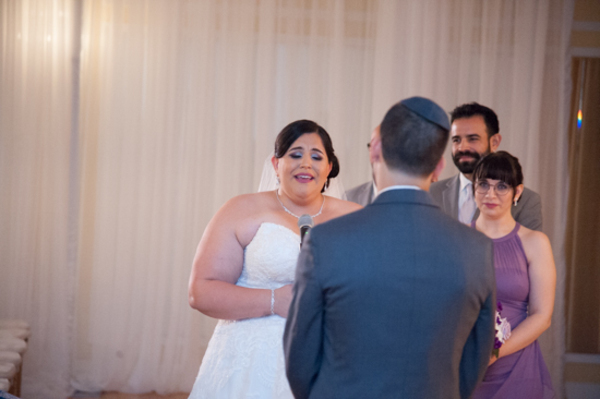 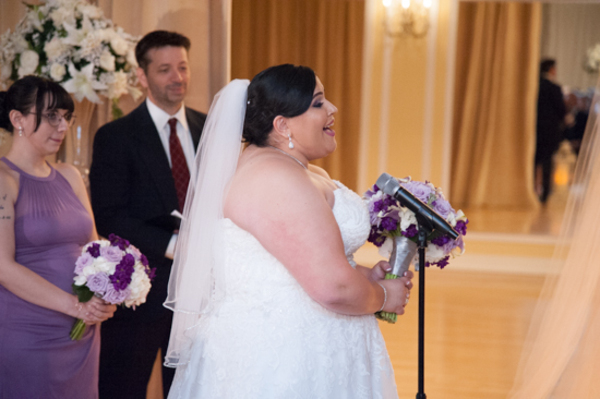 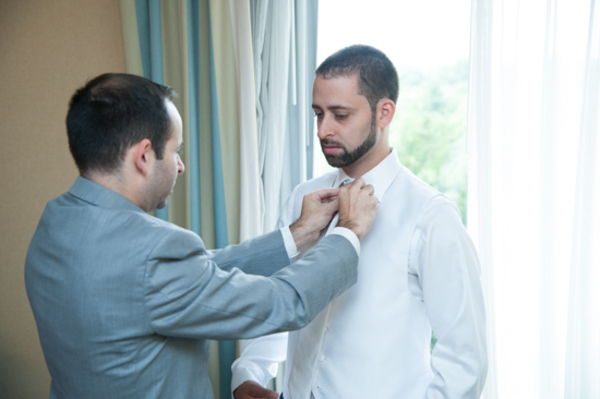 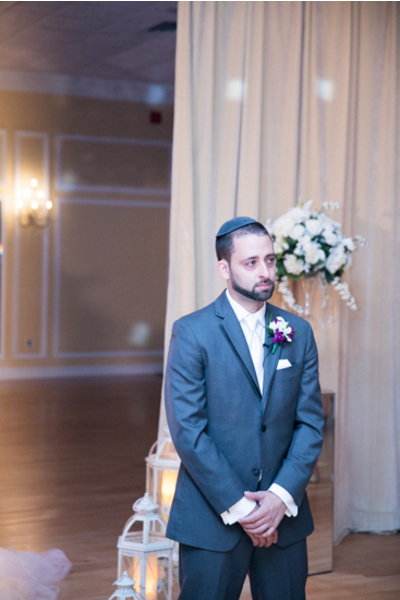 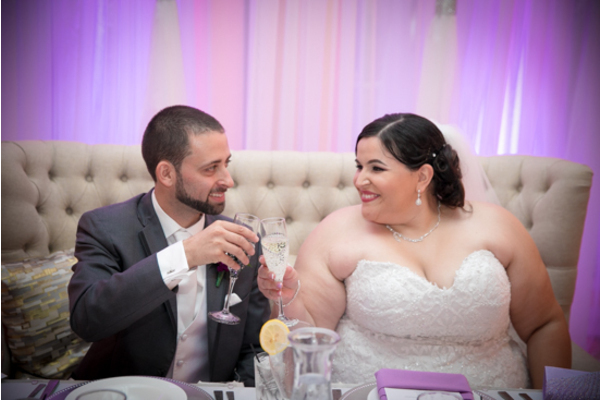 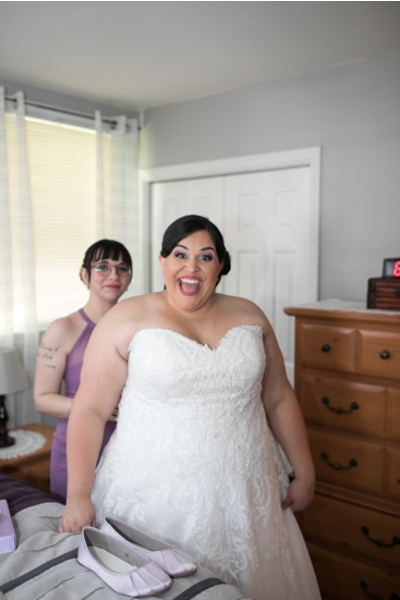 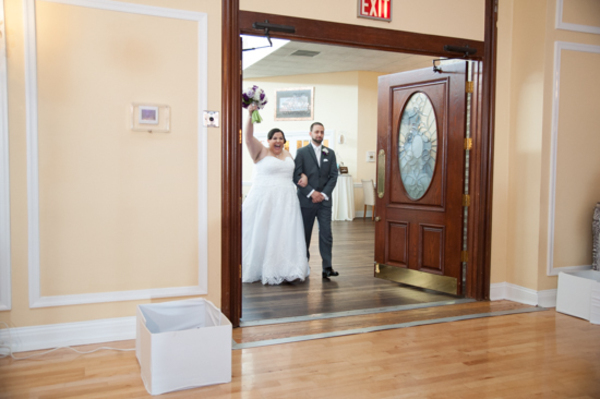 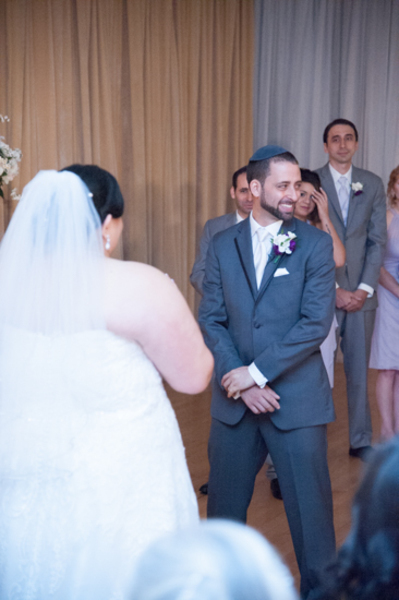 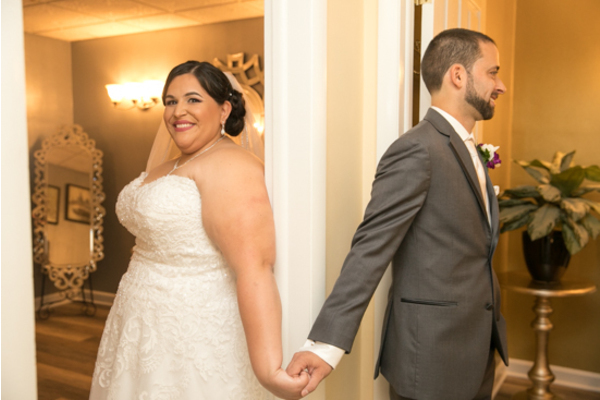 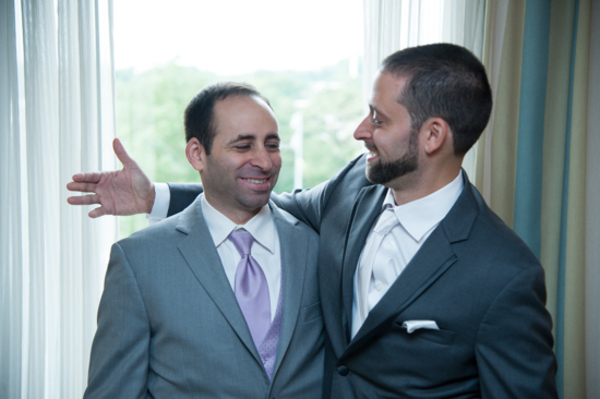 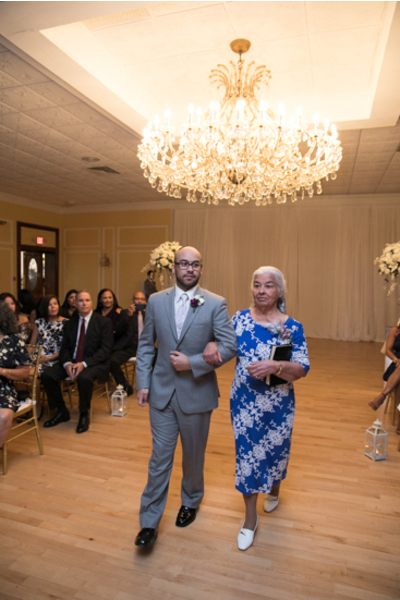 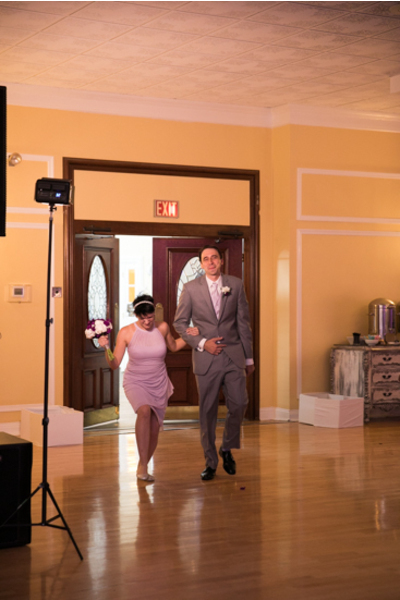 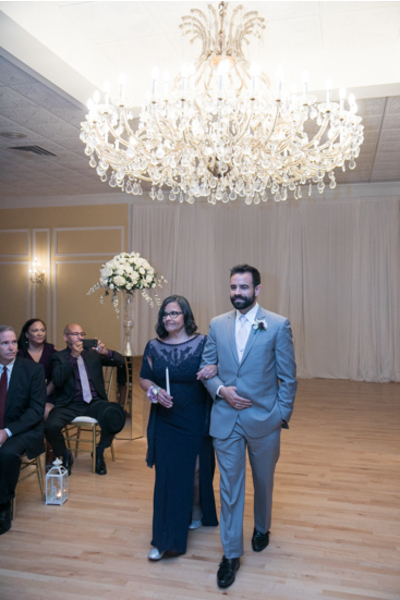 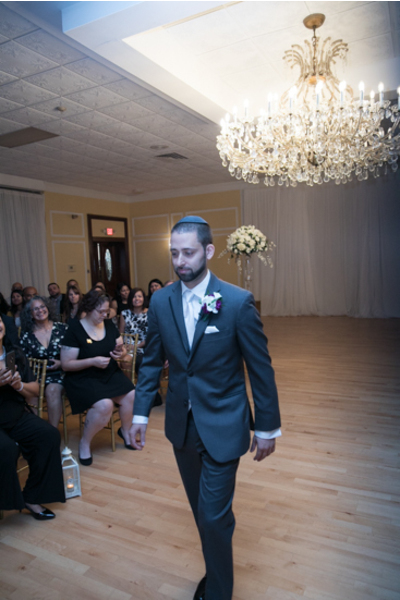 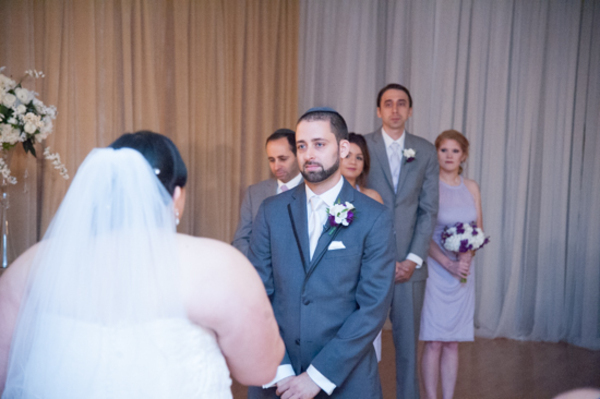 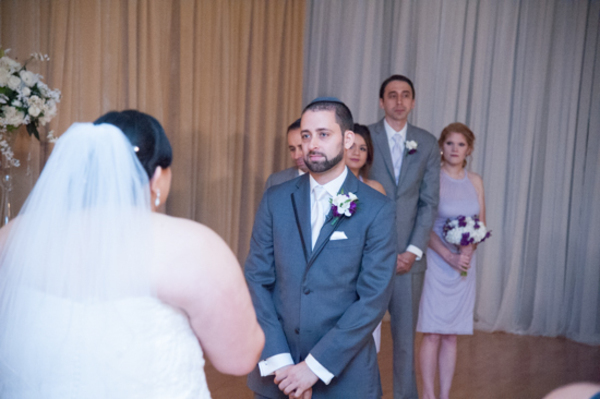 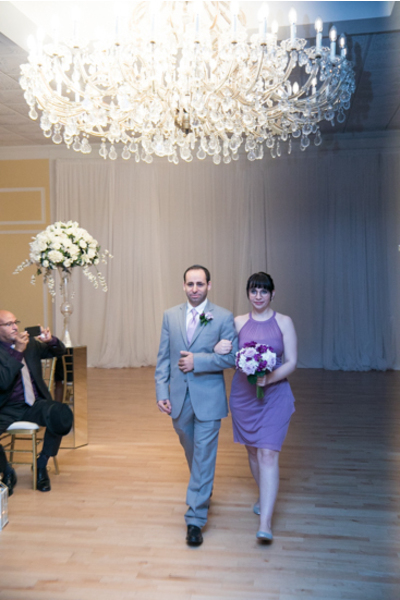 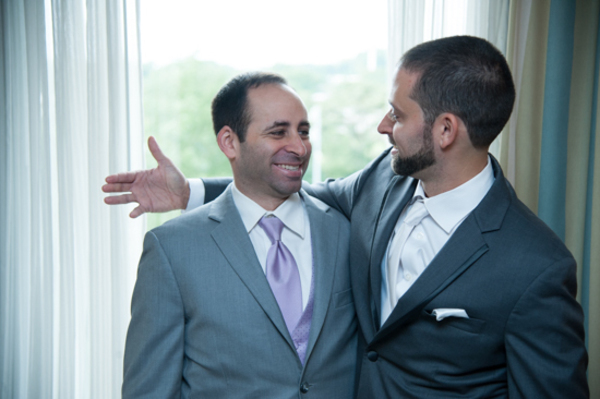 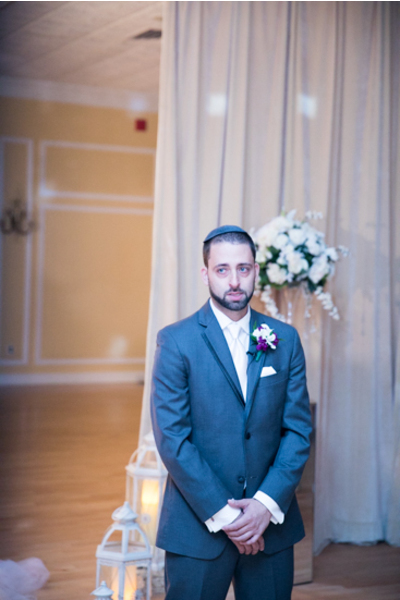 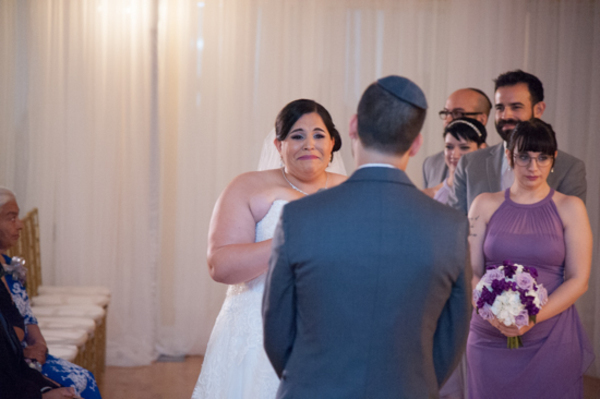 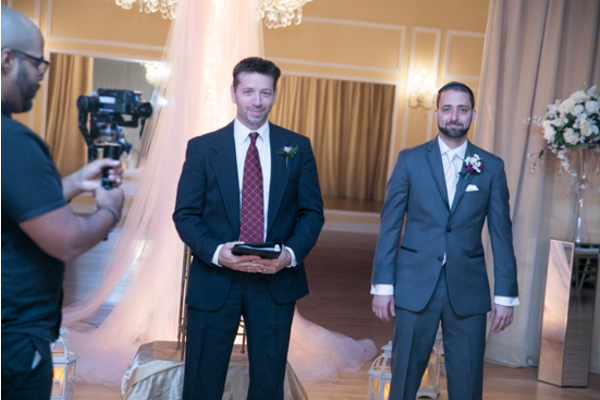 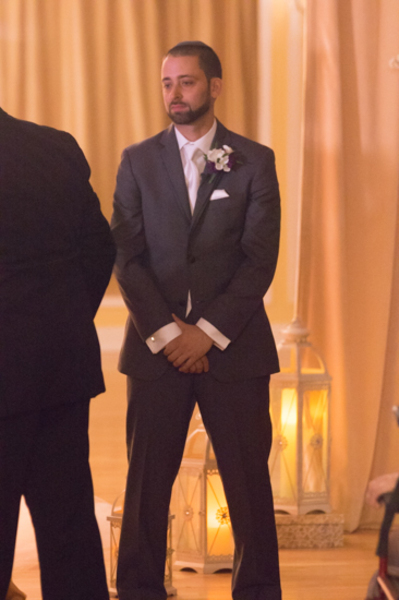 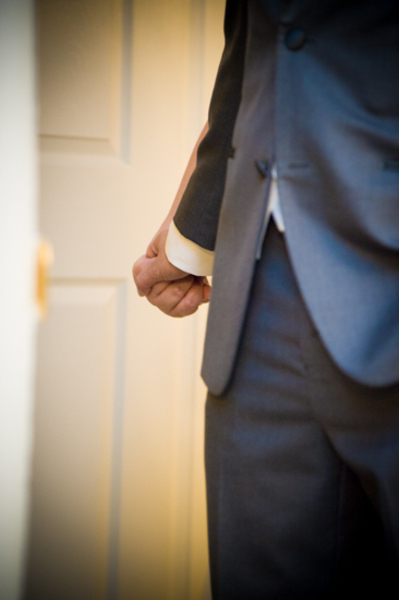 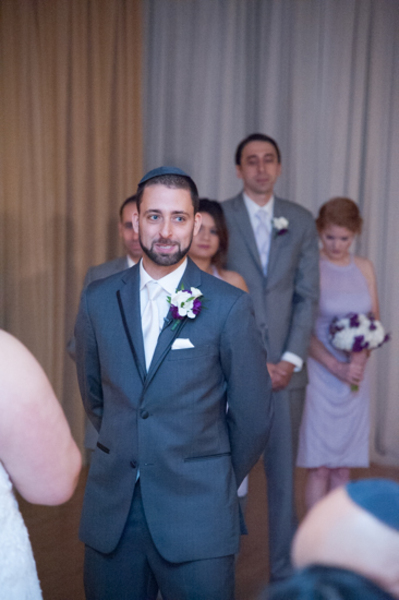 Our NJ Wedding Photographer was there for both of their reactions! 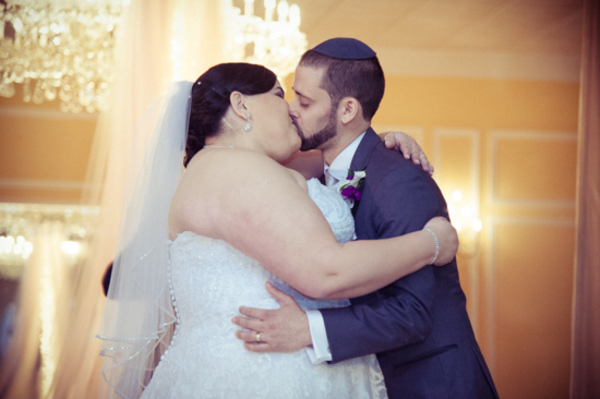 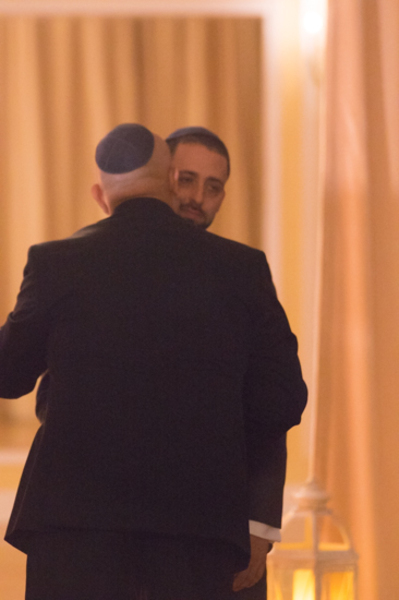 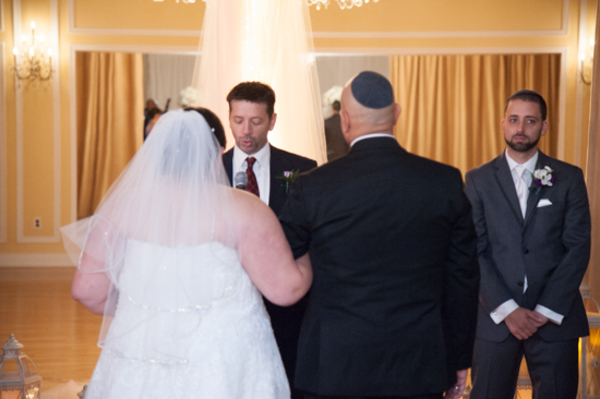 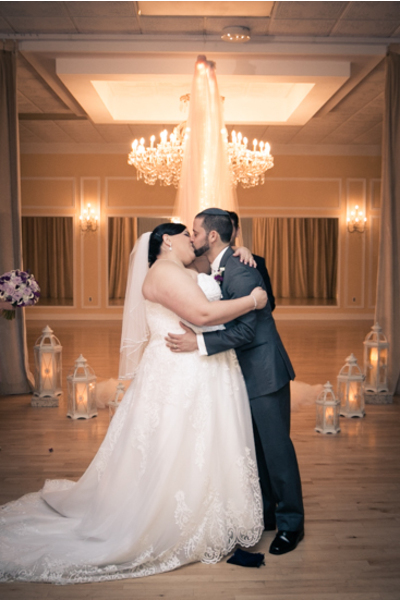 After the “I do’s” were said, their loved ones cheered and they sealed their marriage with a kiss. 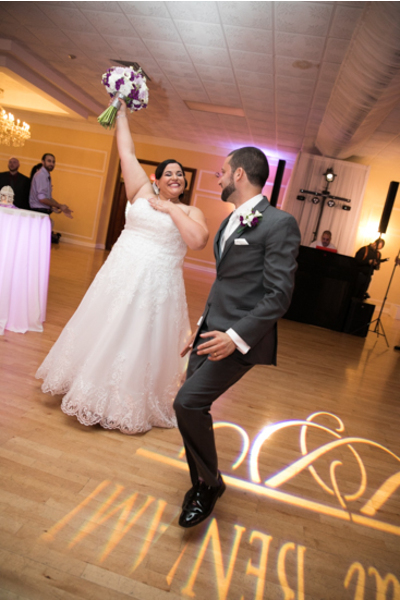 Now it was time to celebrate! 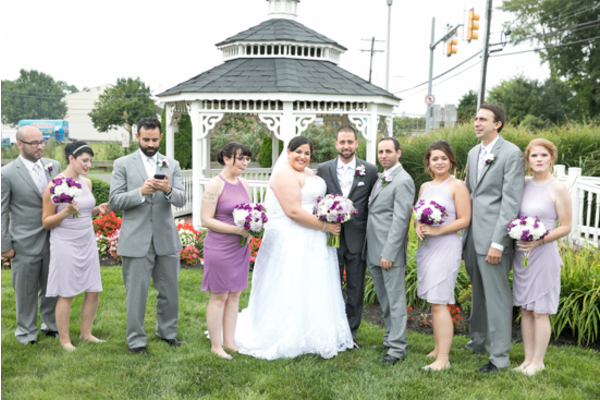 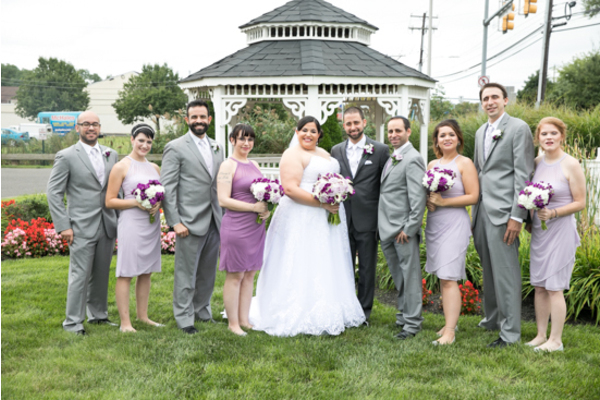 Before heading to the reception, the bridal party stepped outside for some group shots! 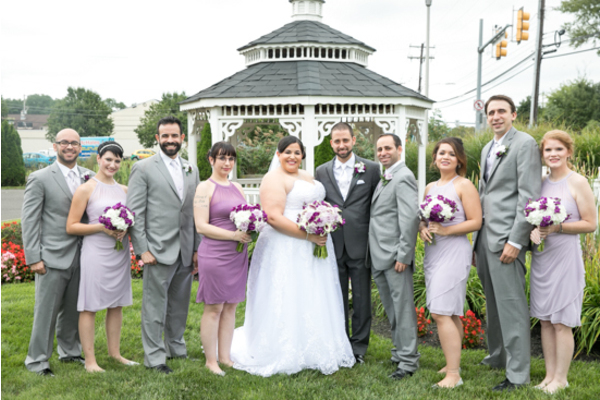 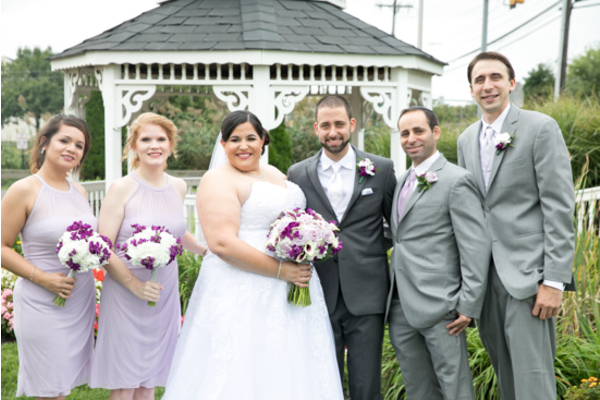 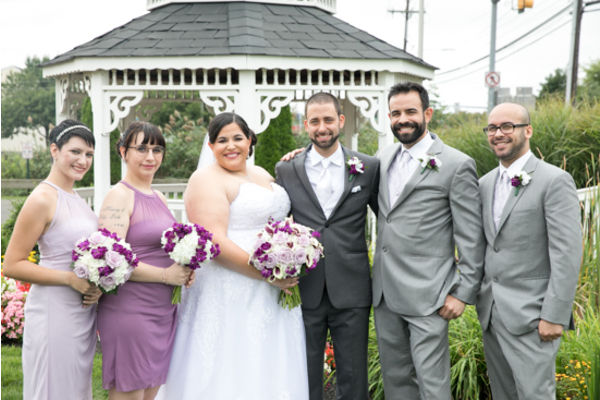 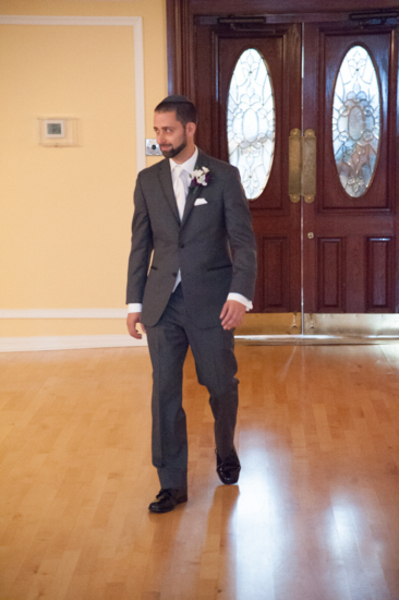 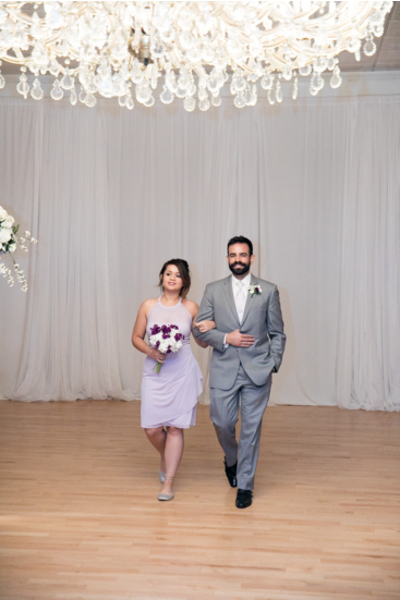 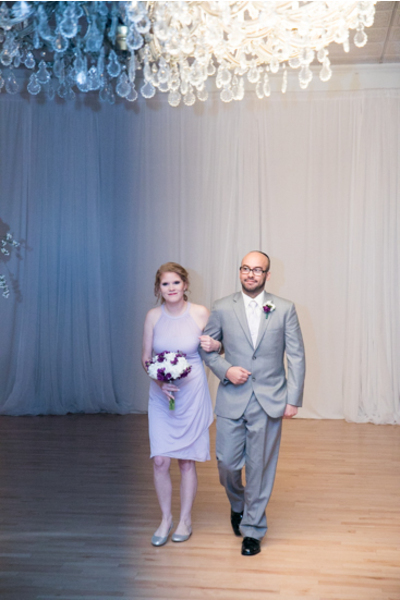 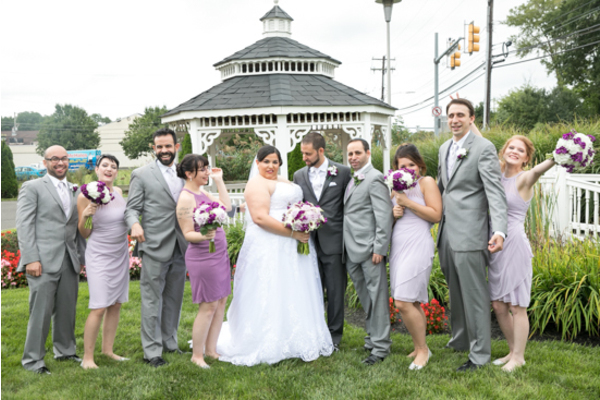 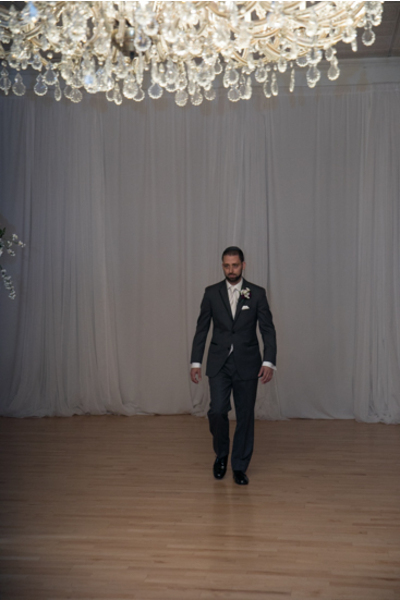 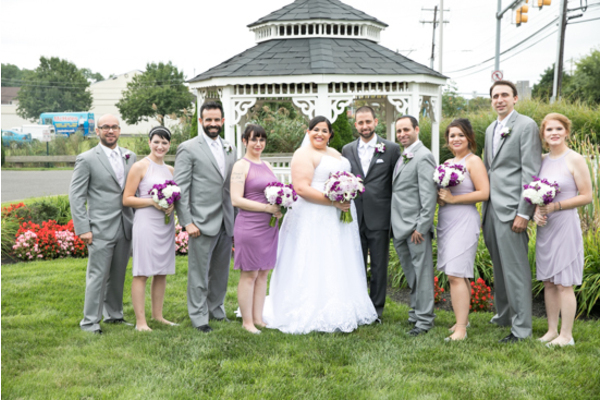 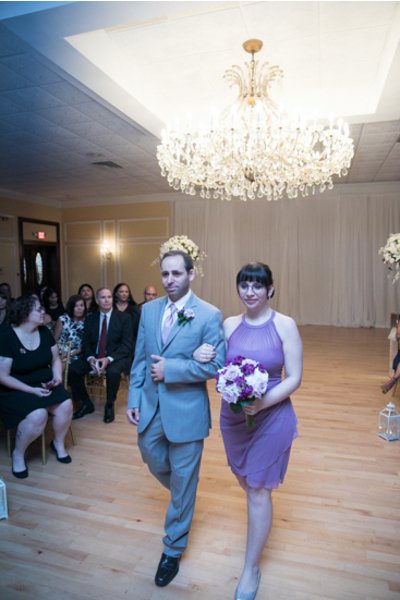 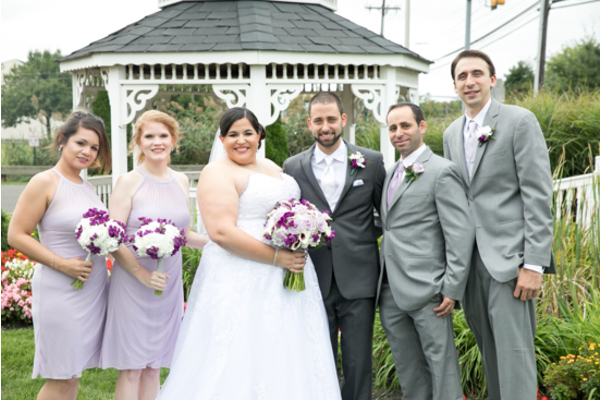 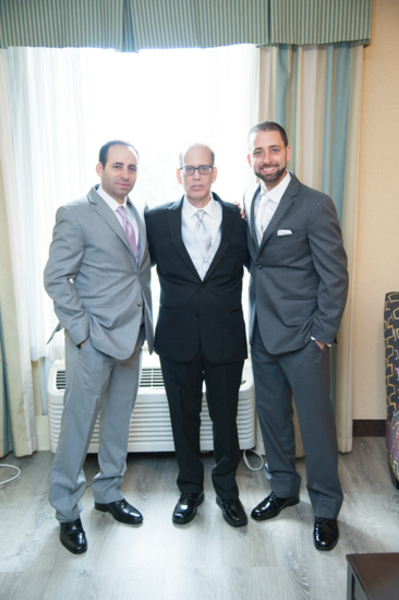 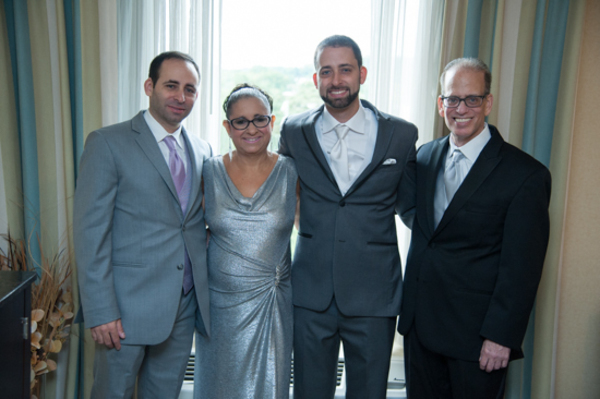 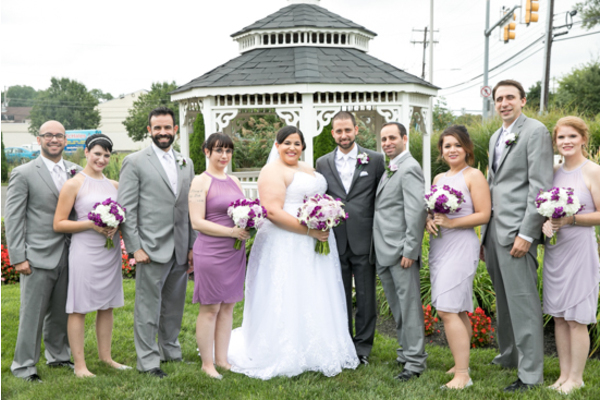 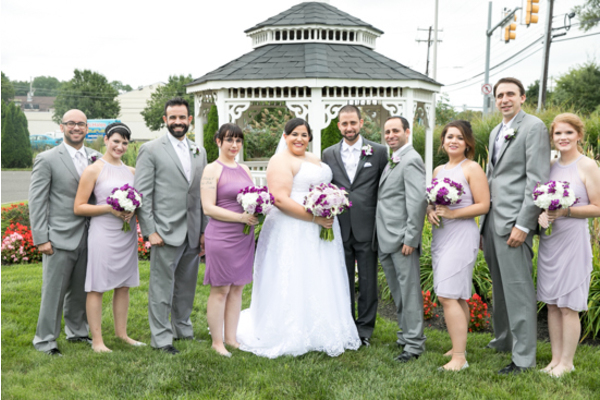 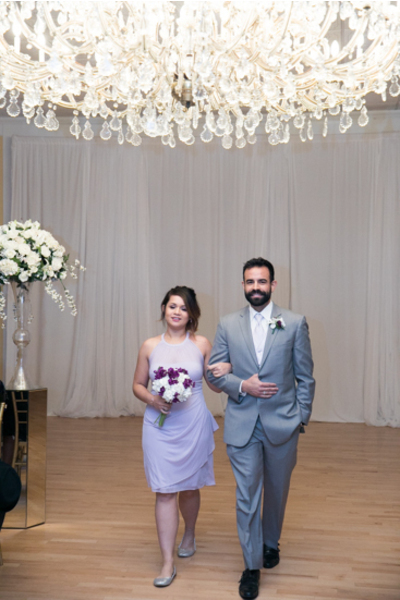 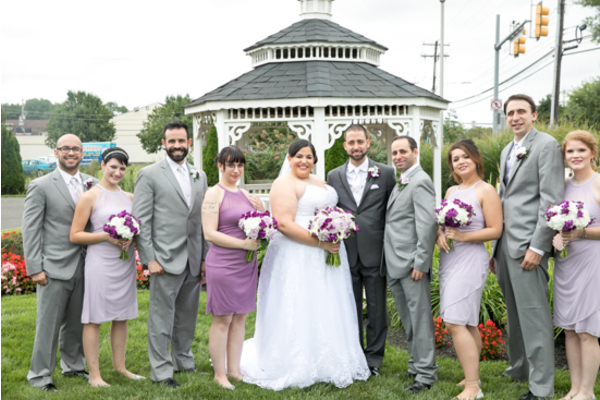 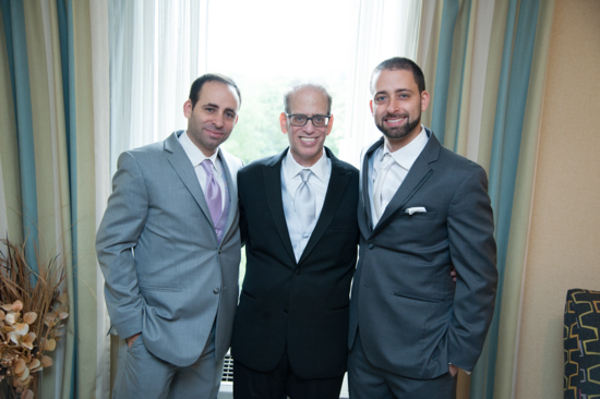 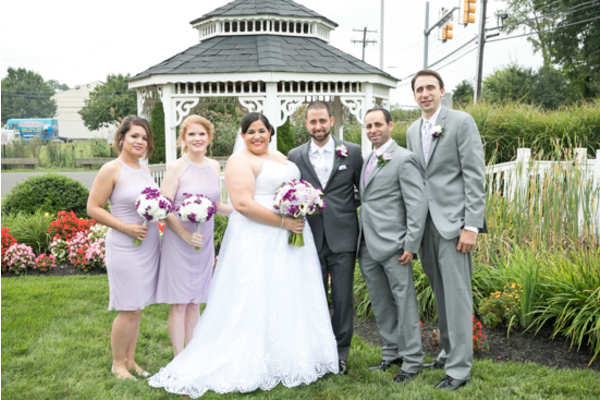 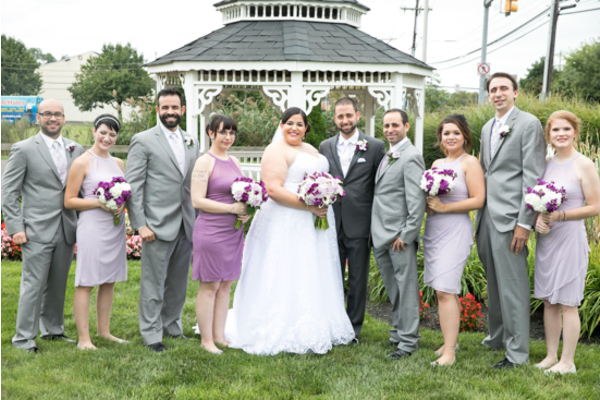 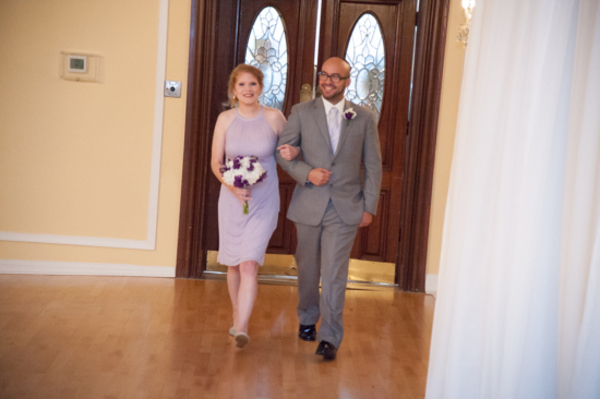 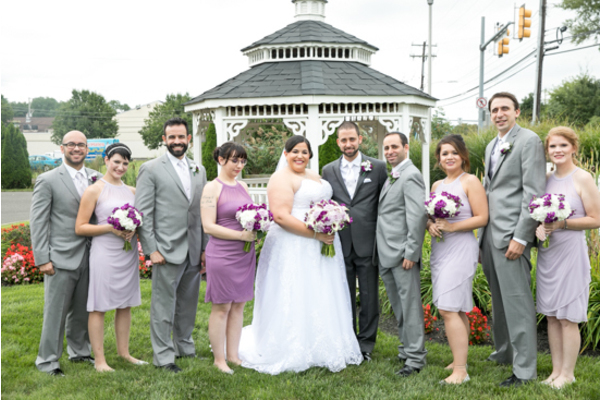 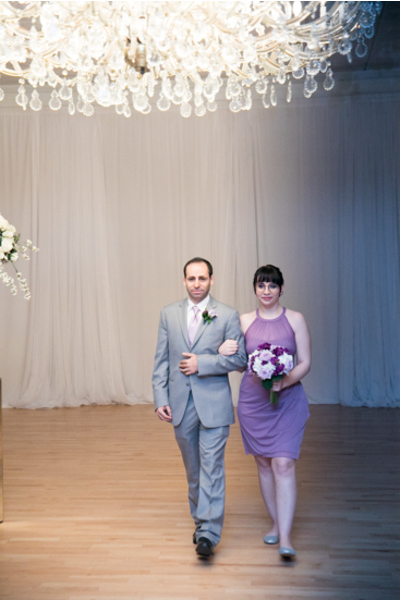 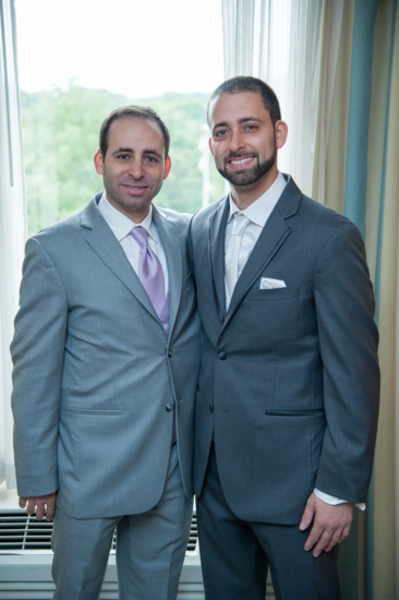 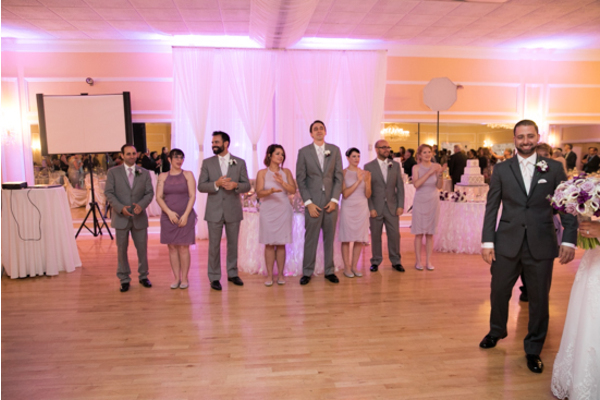 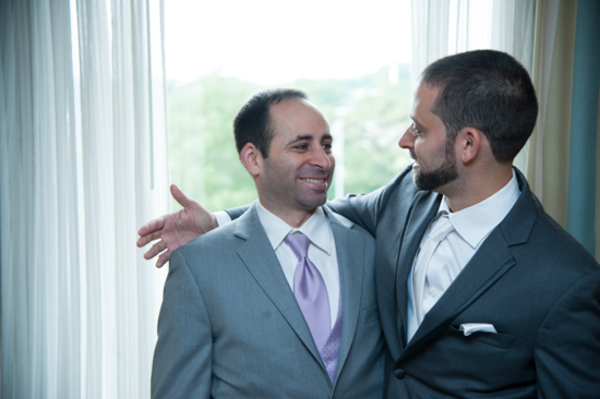 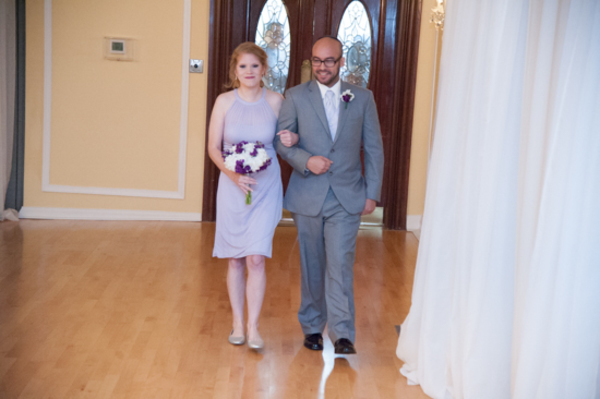 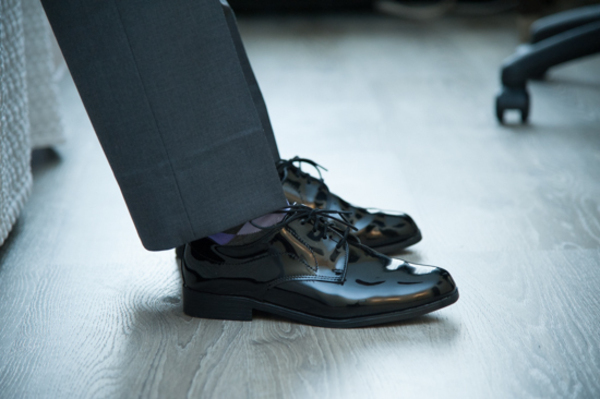 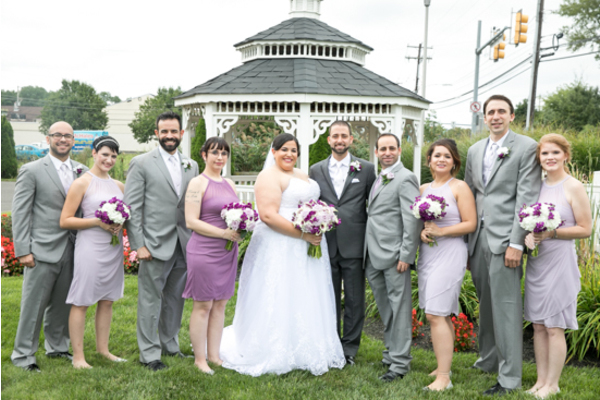 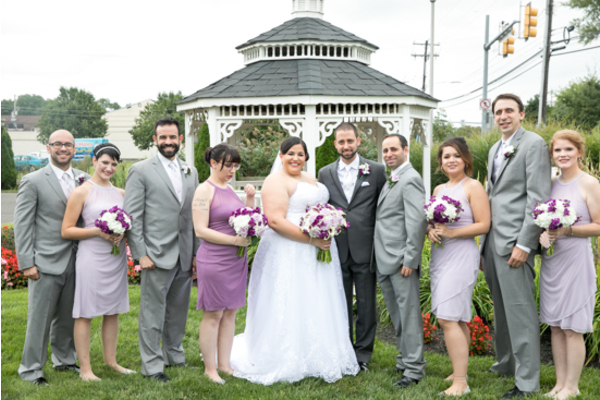 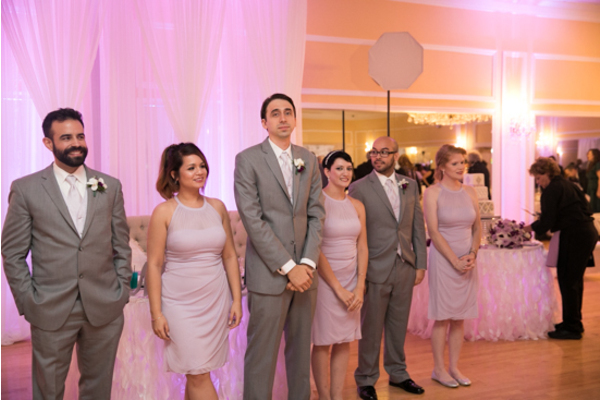 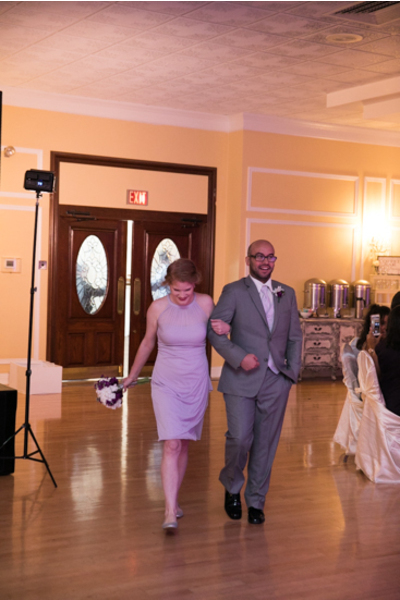 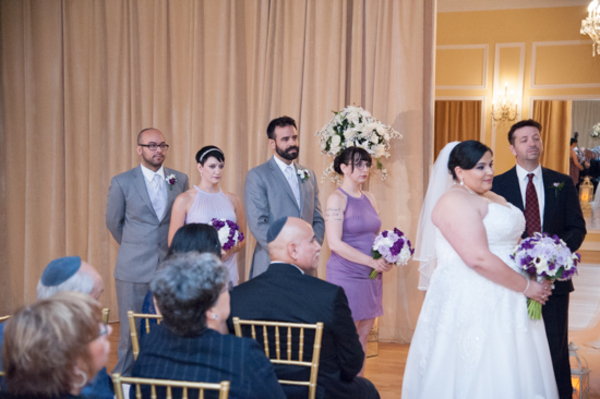 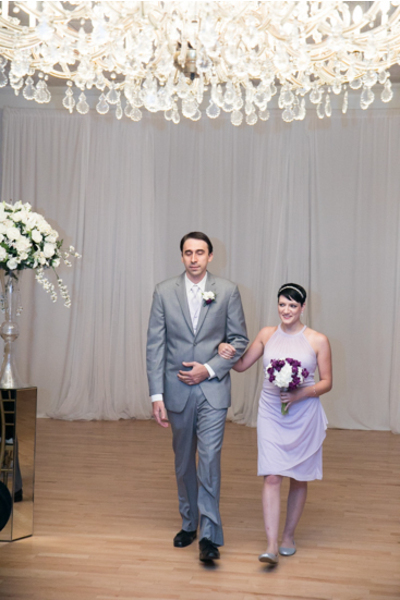 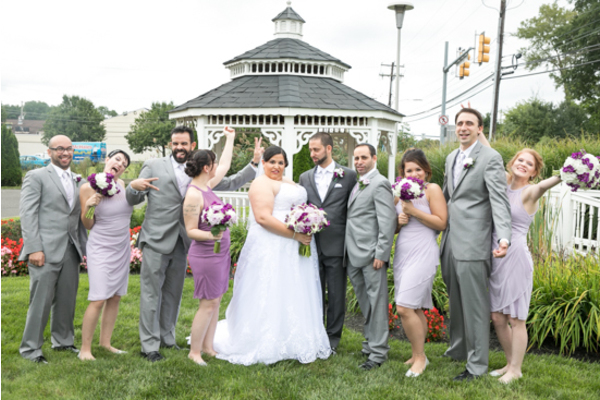 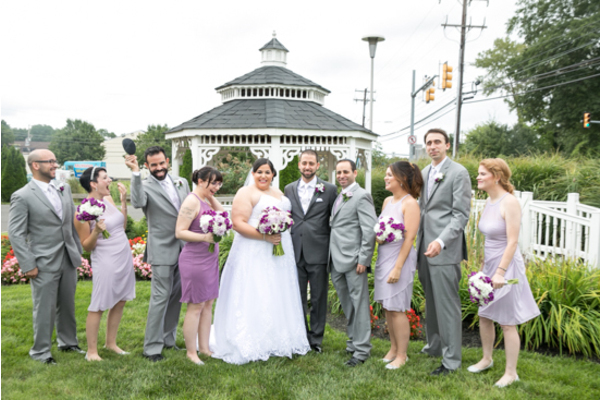 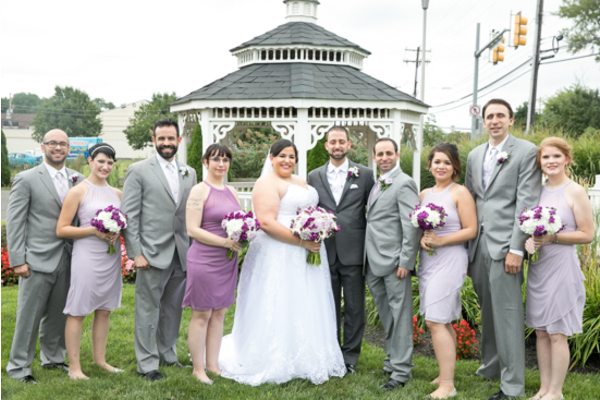 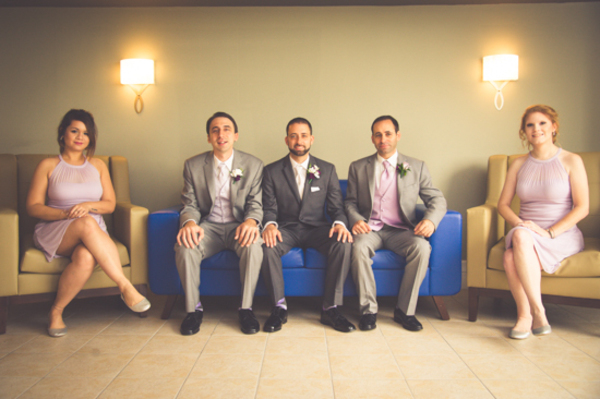 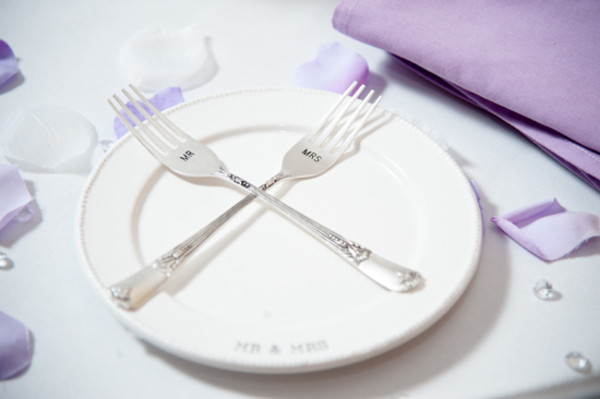 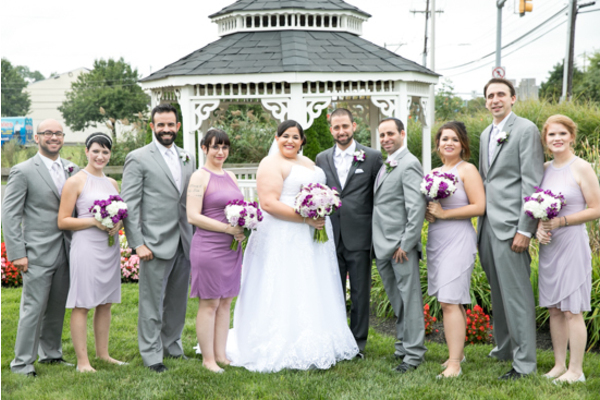 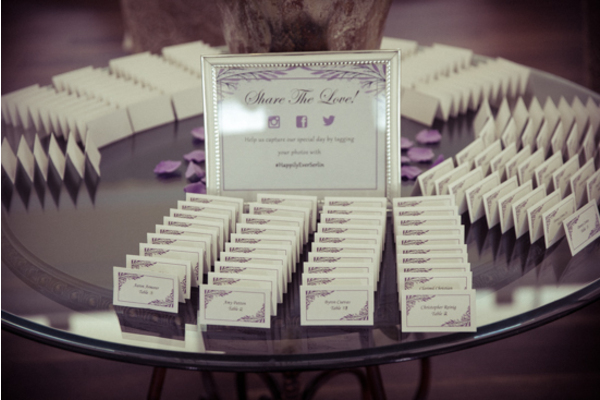 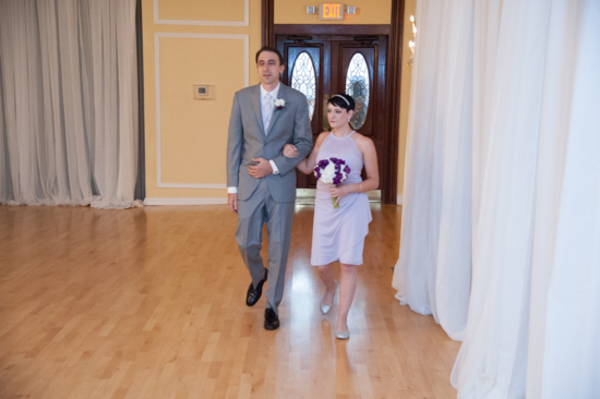 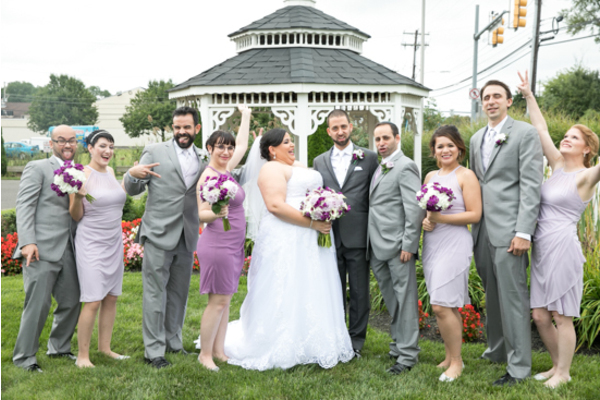 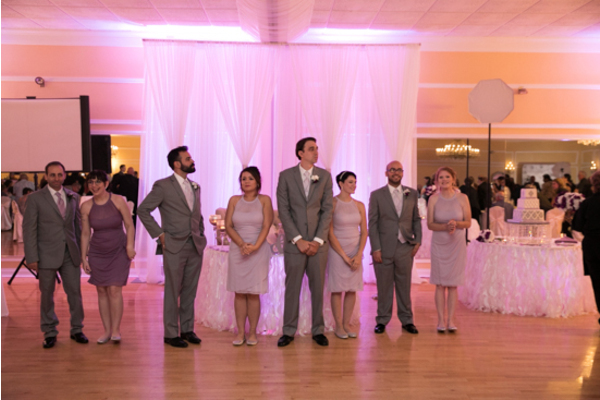 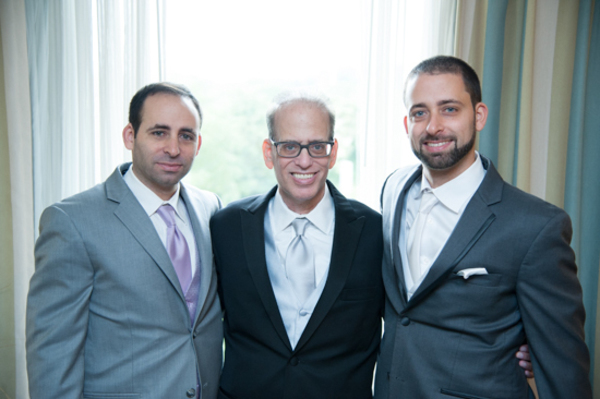 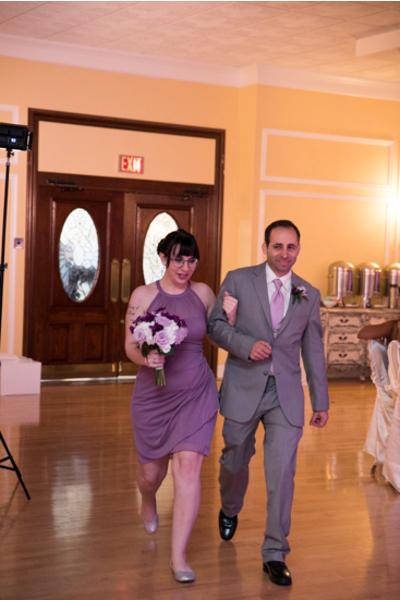 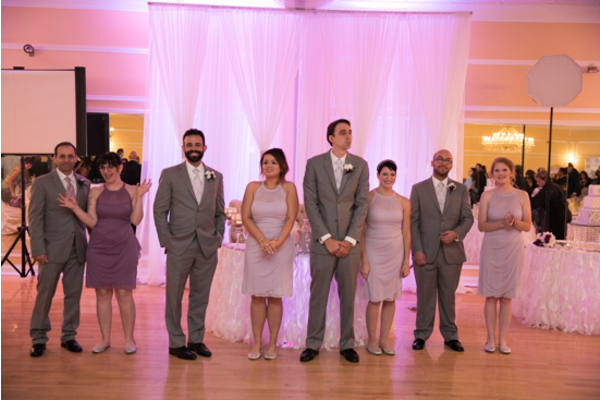 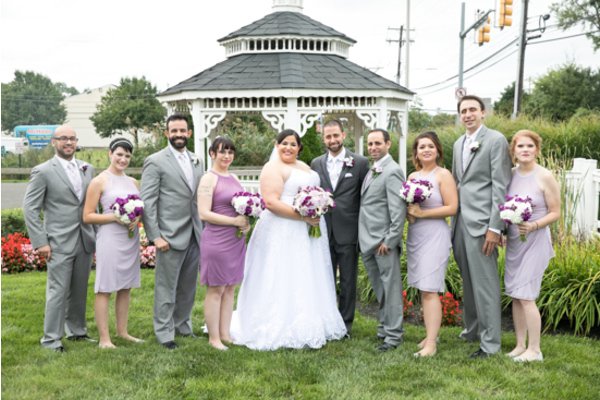 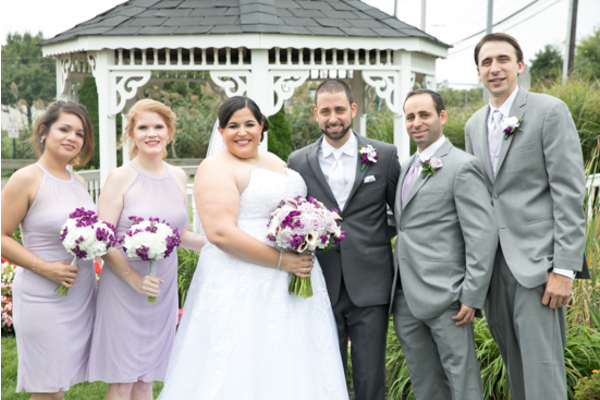 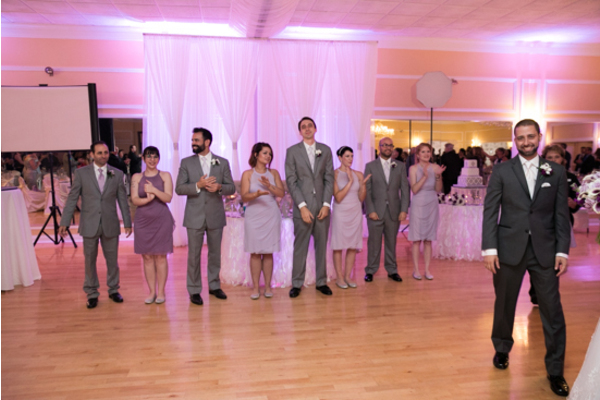 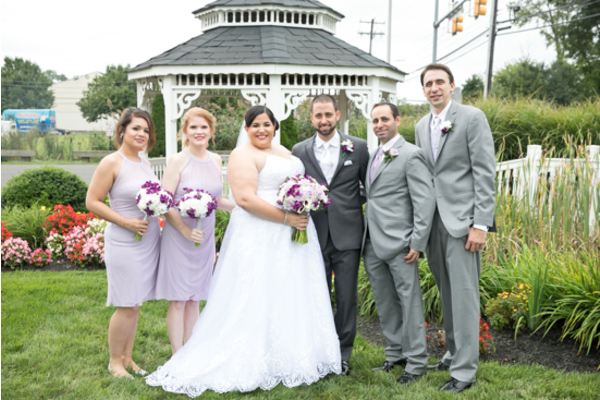 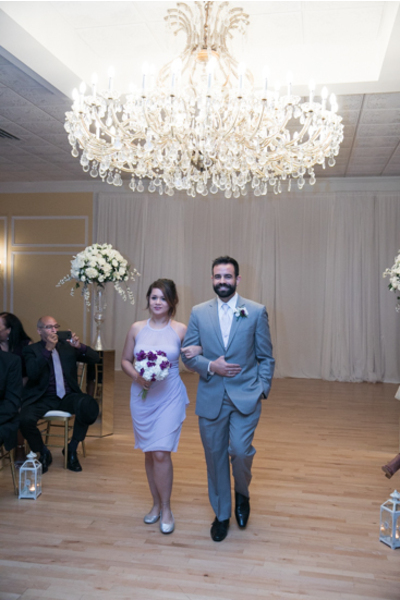 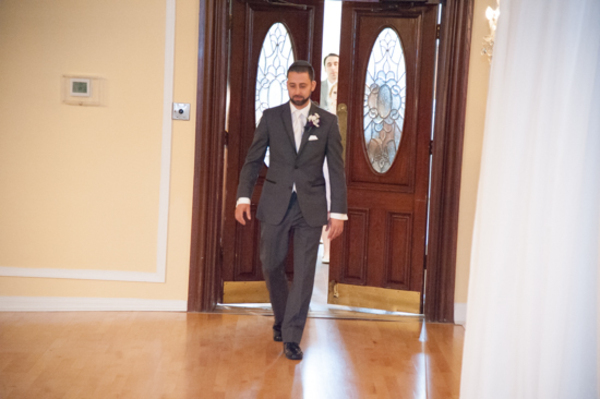 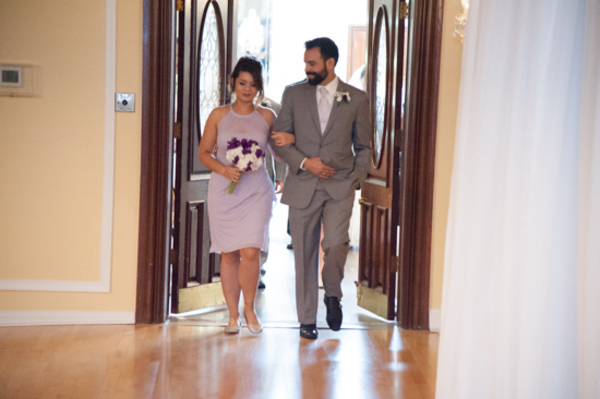 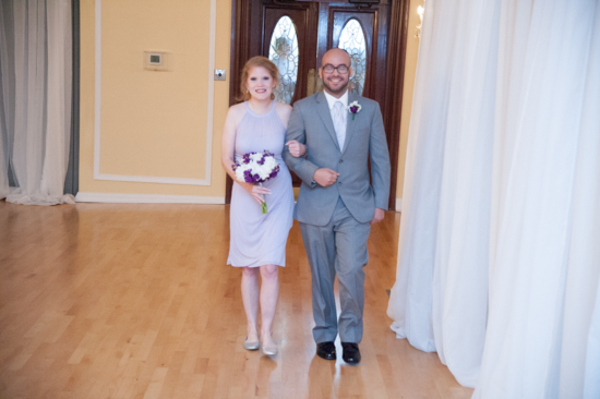 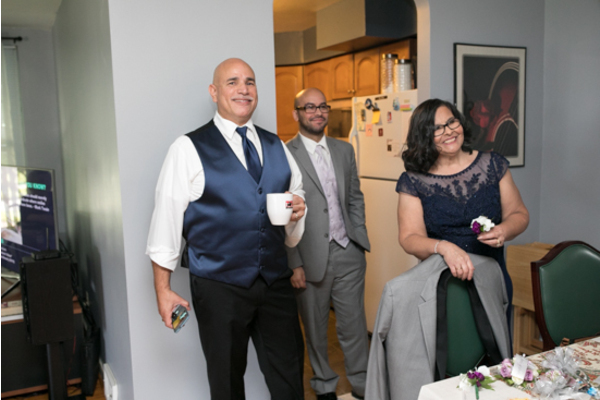 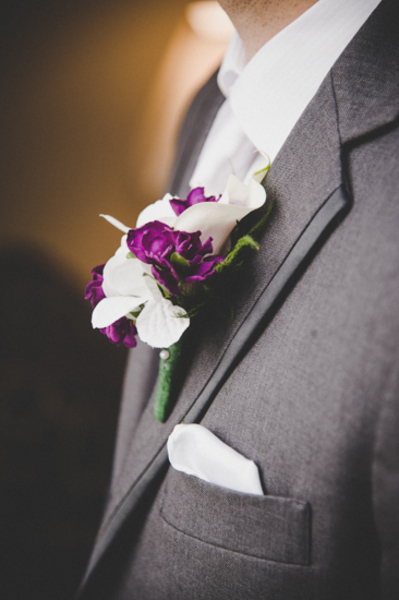 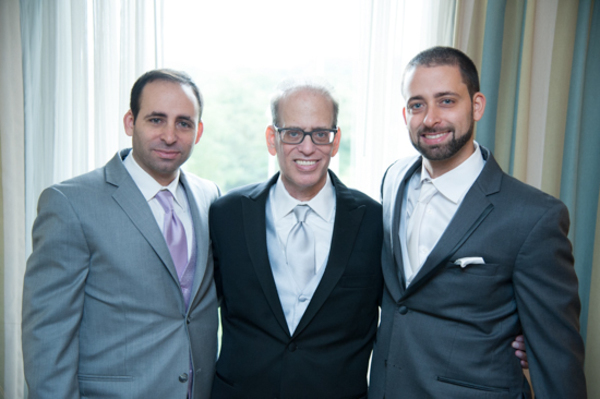 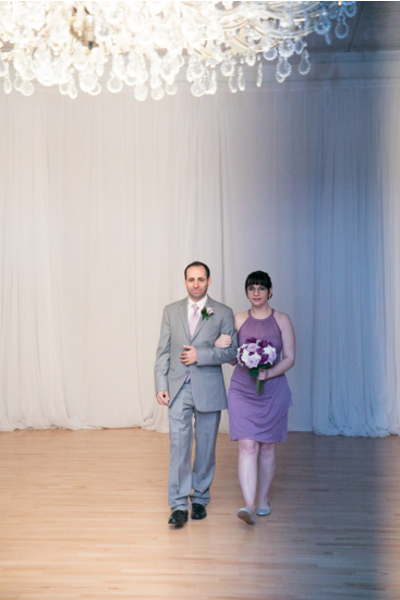 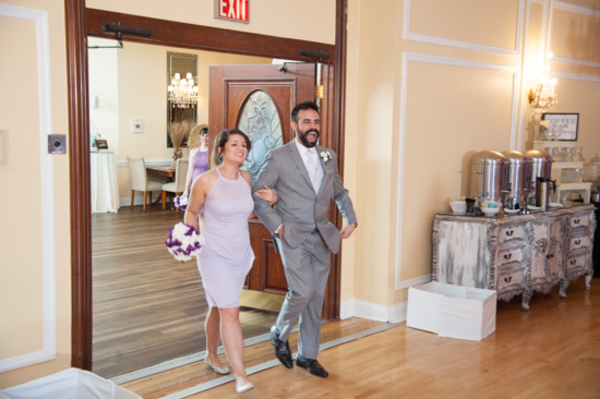 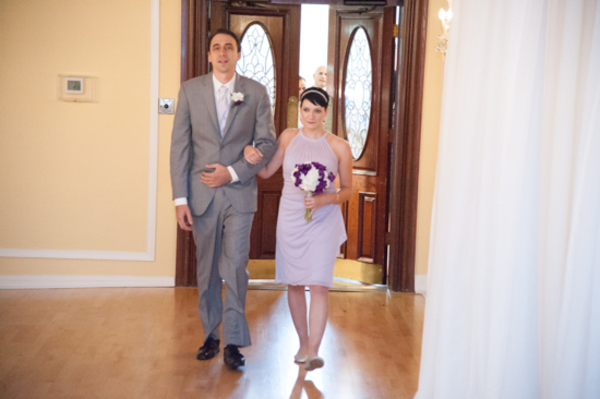 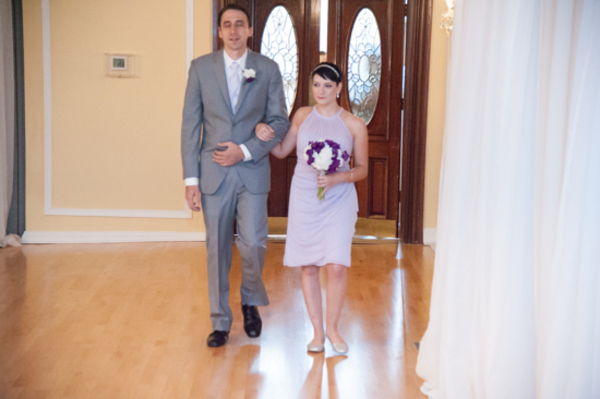 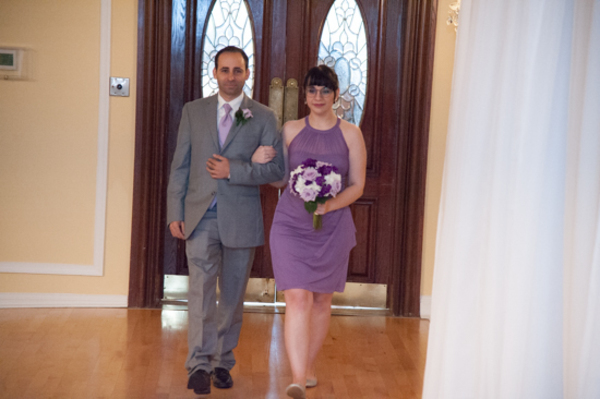 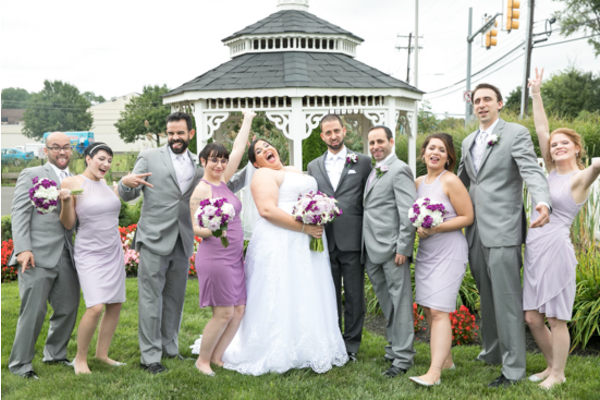 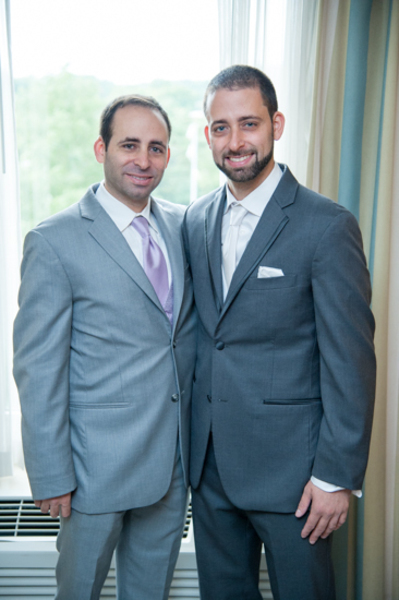 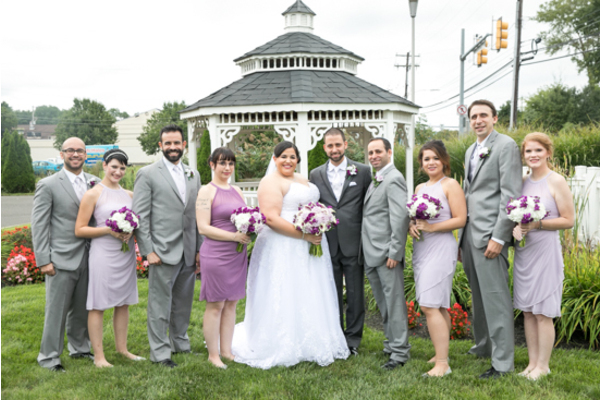 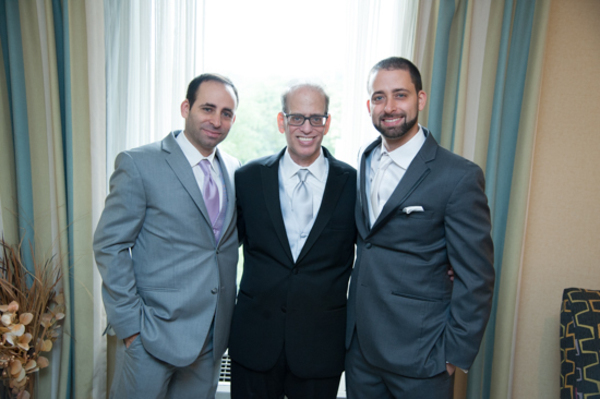 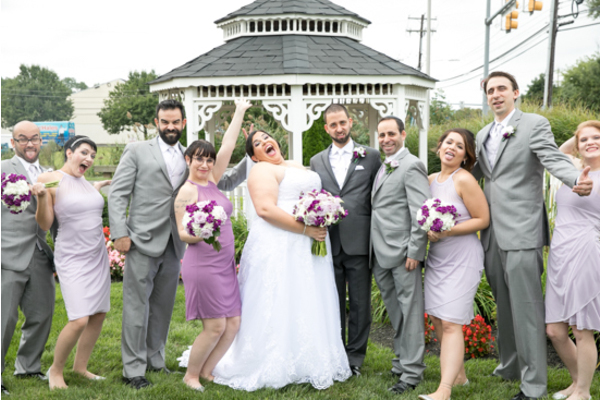 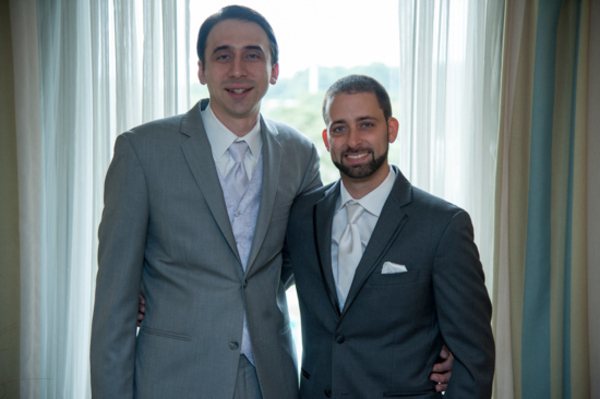 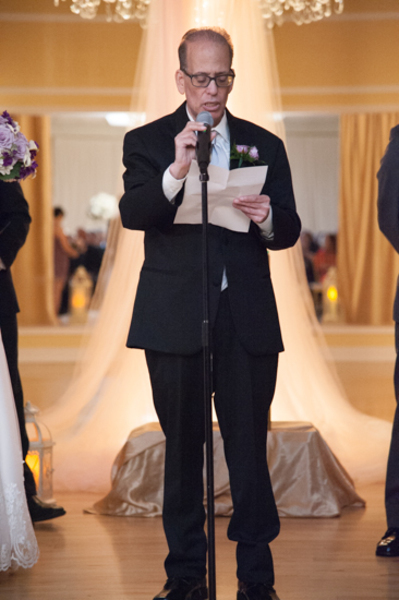 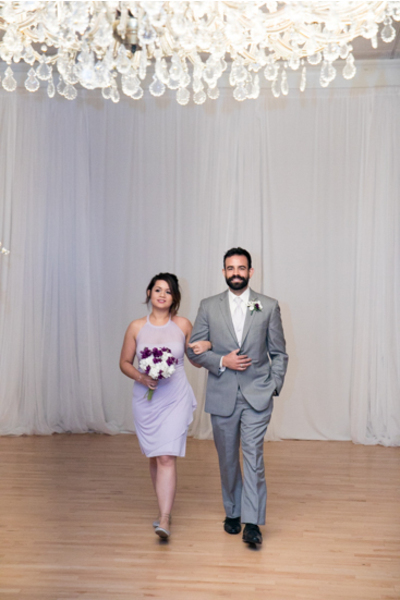 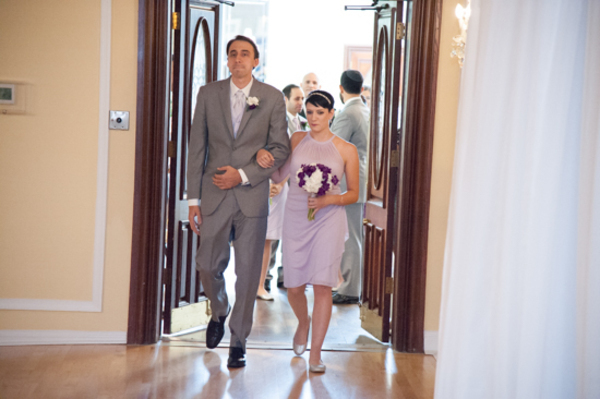 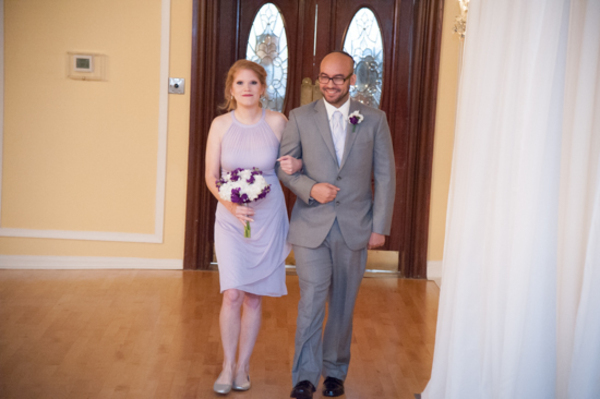 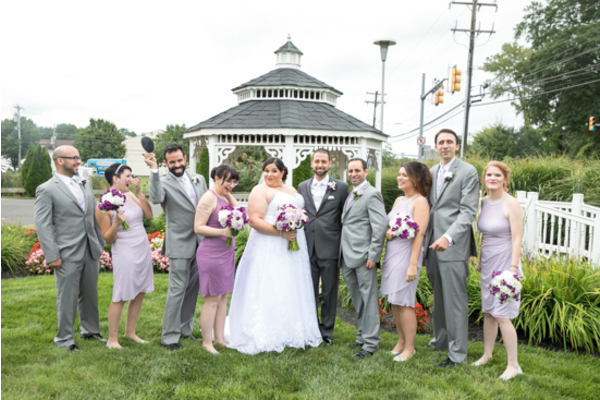 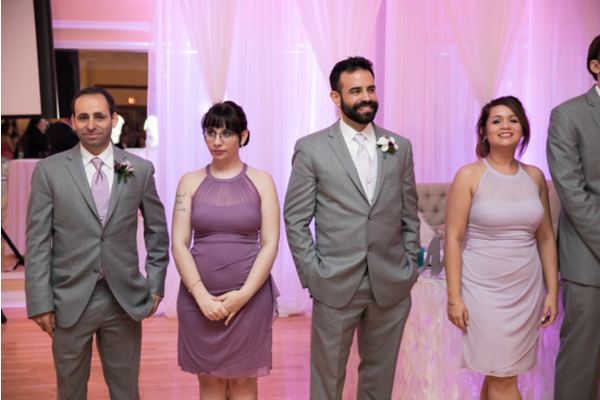 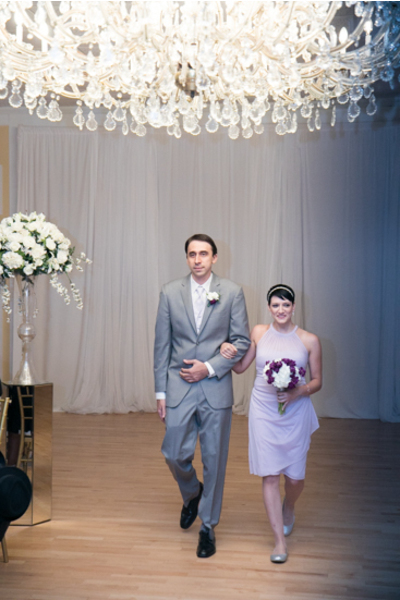 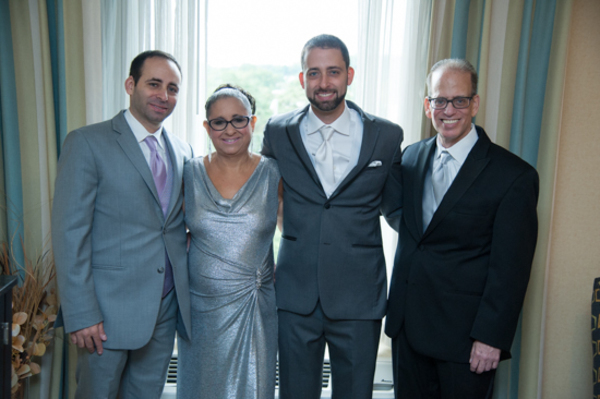 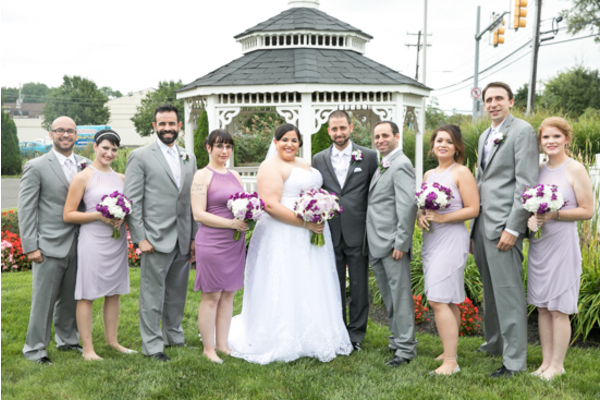 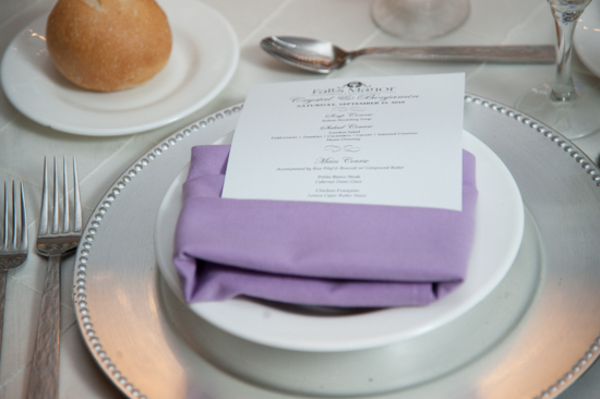 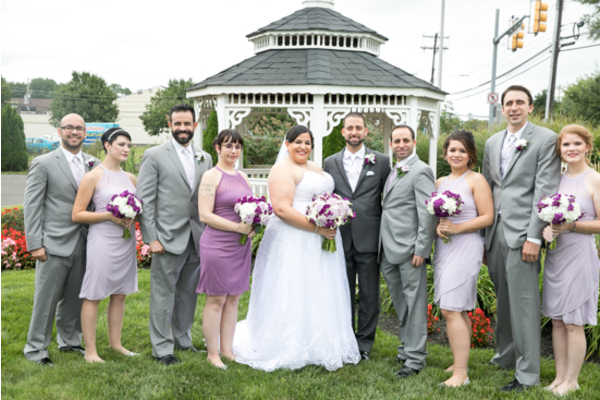 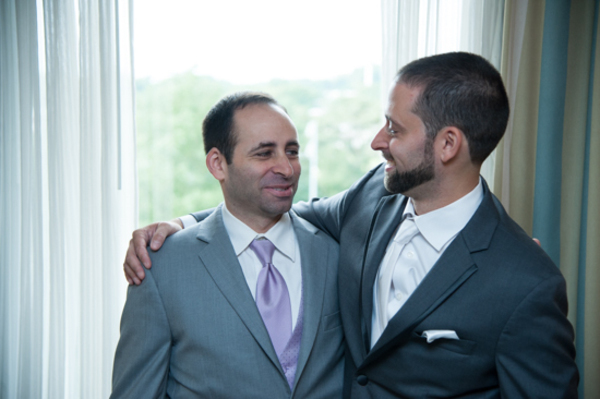 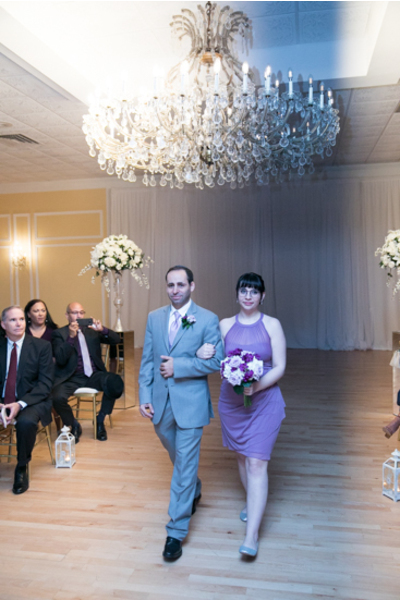 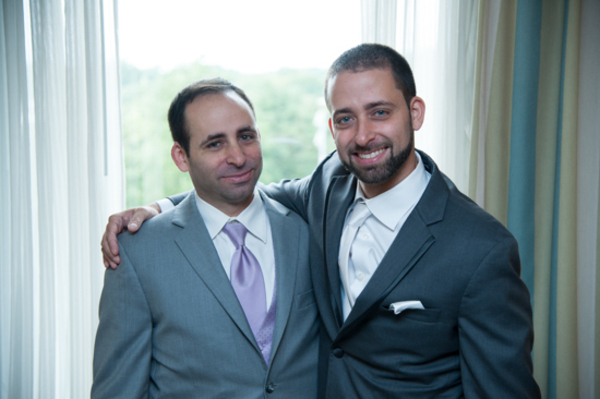 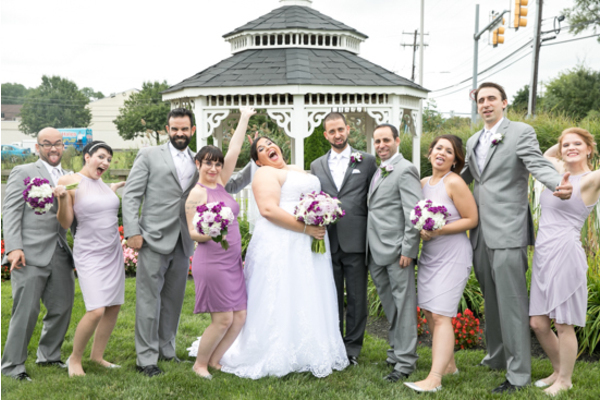 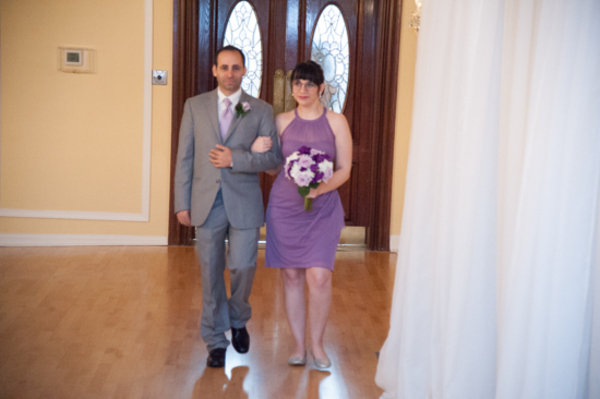 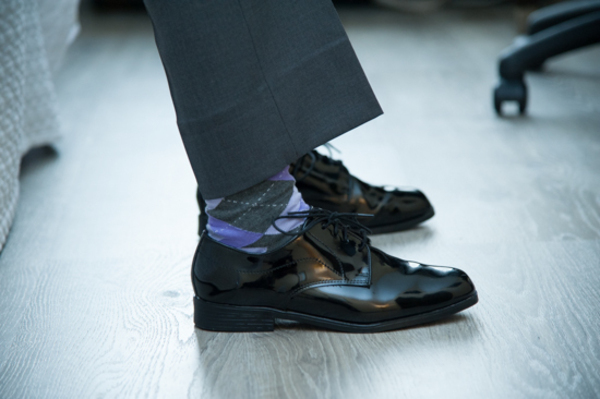 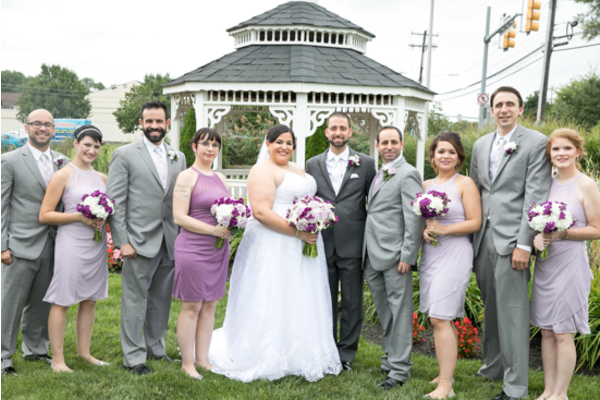 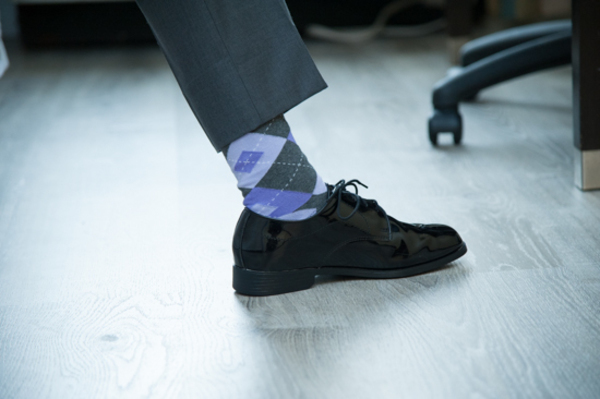 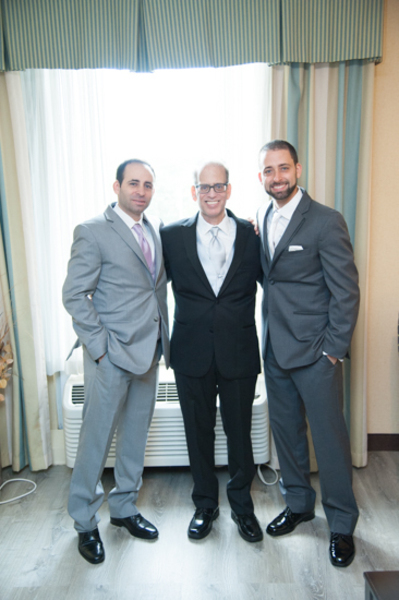 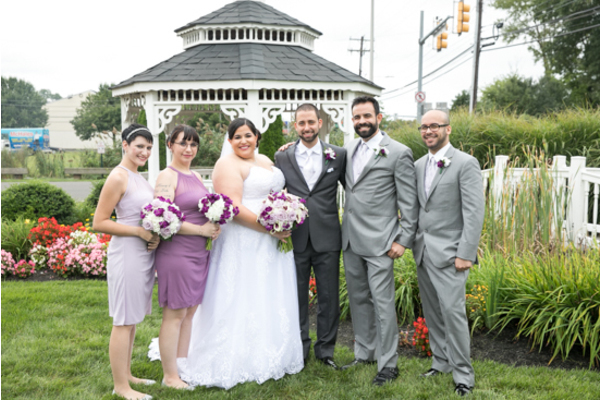 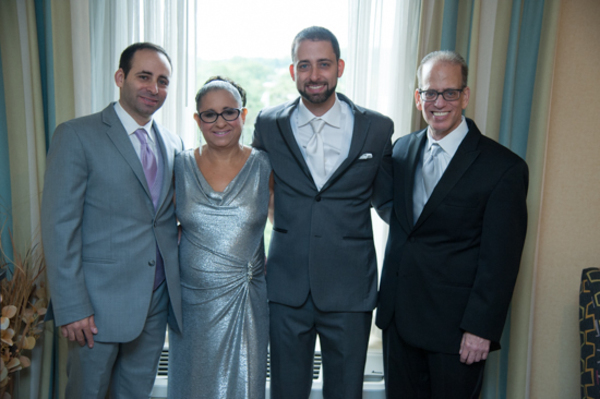 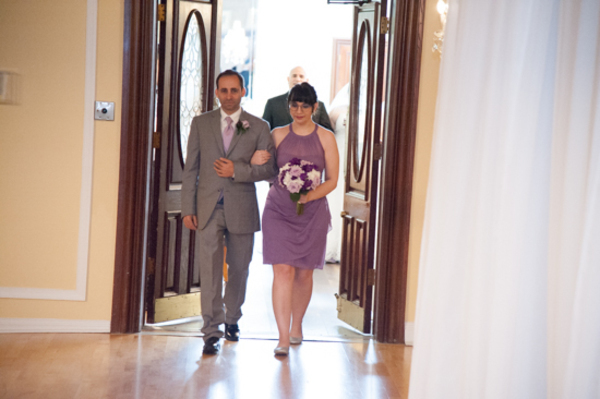 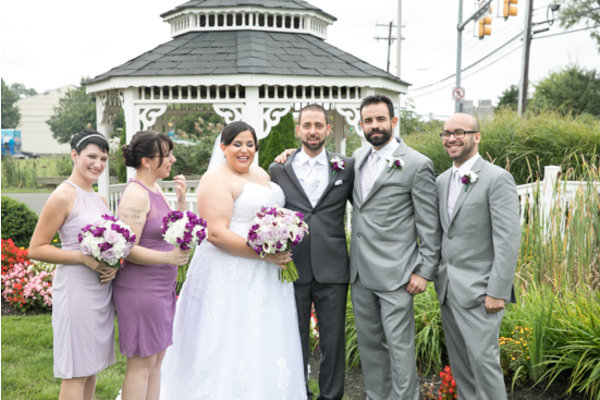 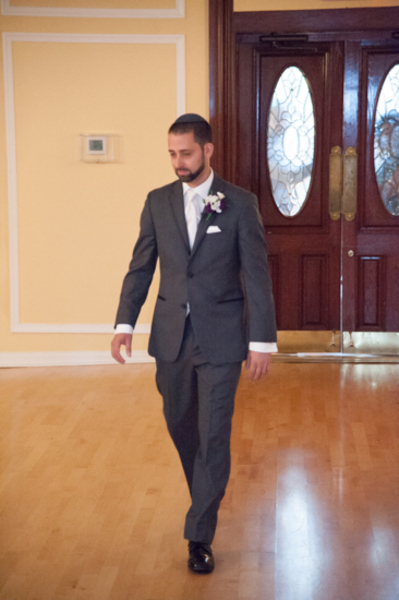 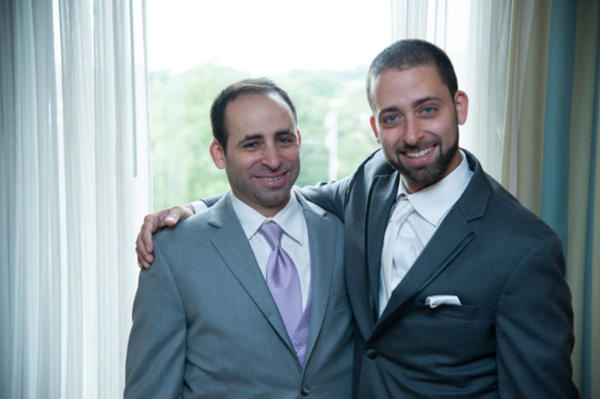 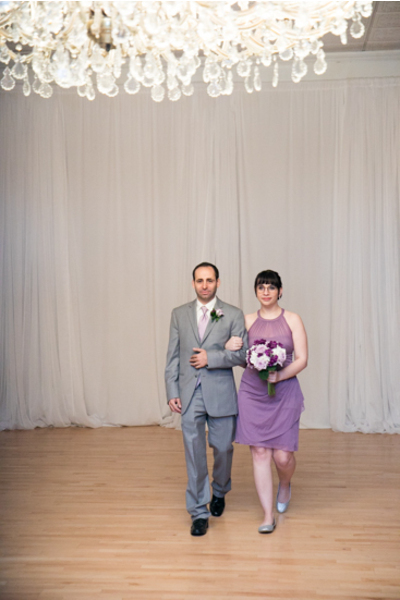 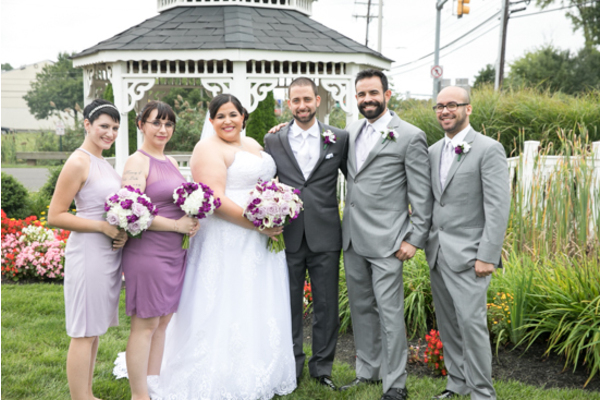 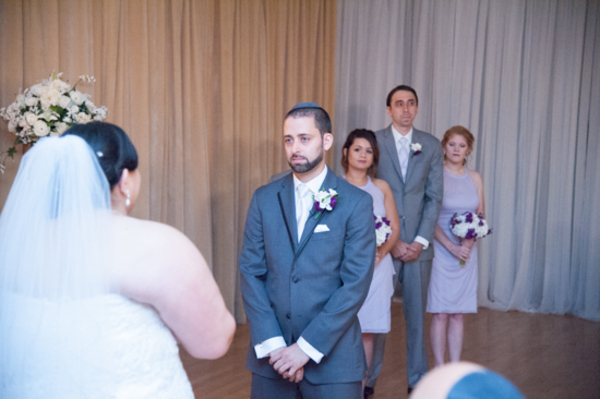 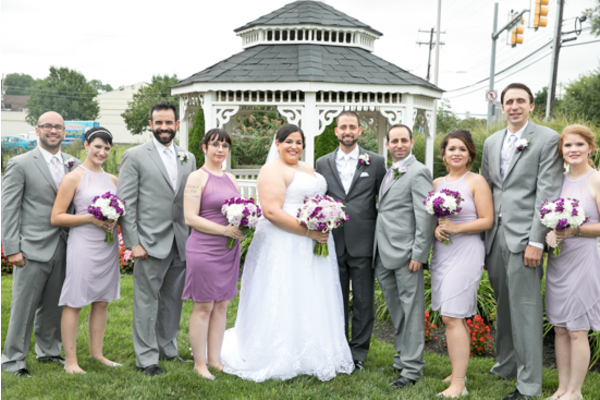 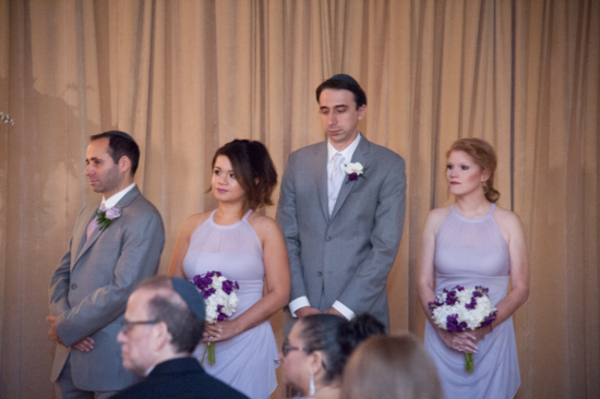 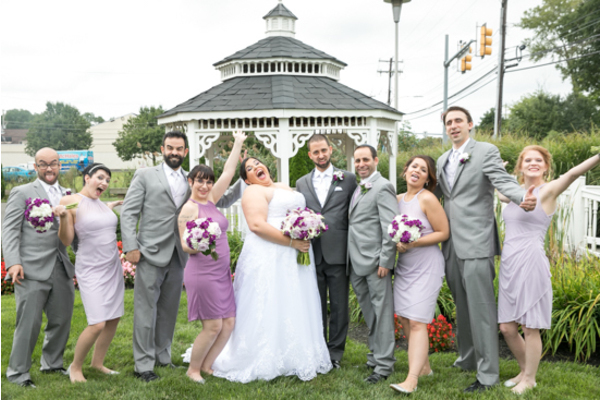 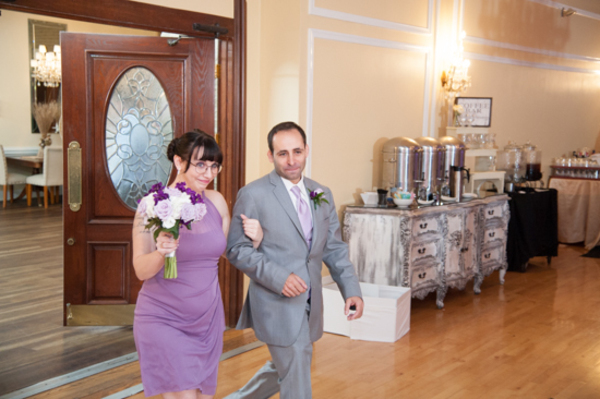 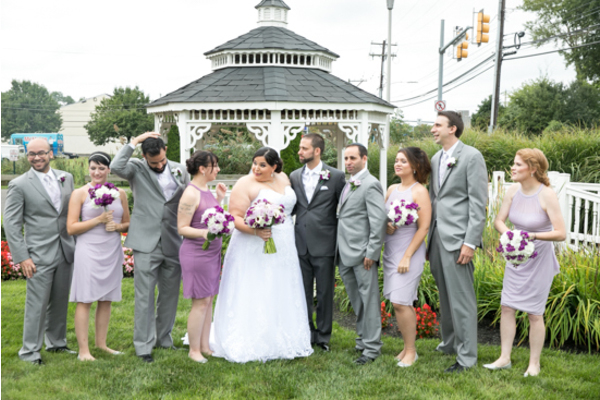 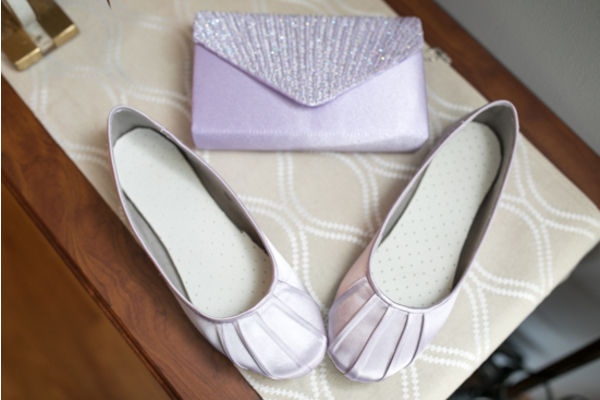 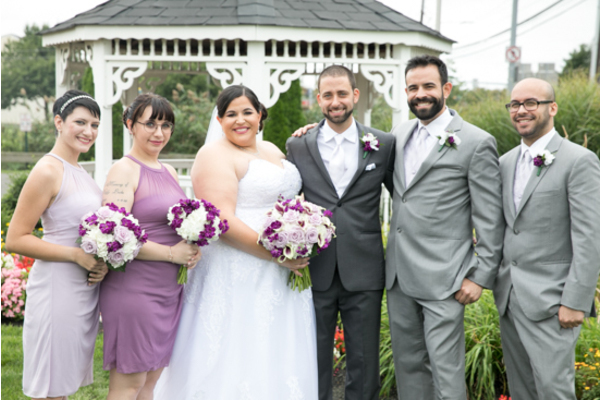 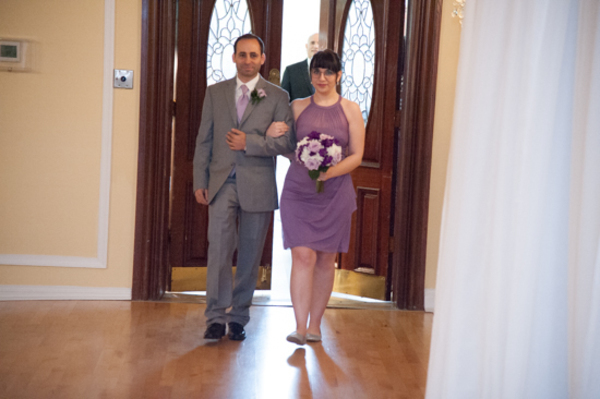 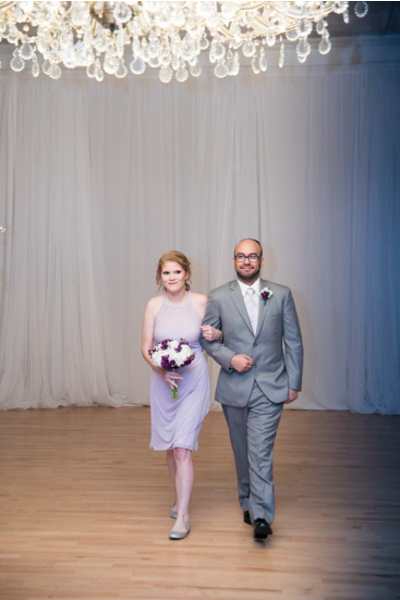 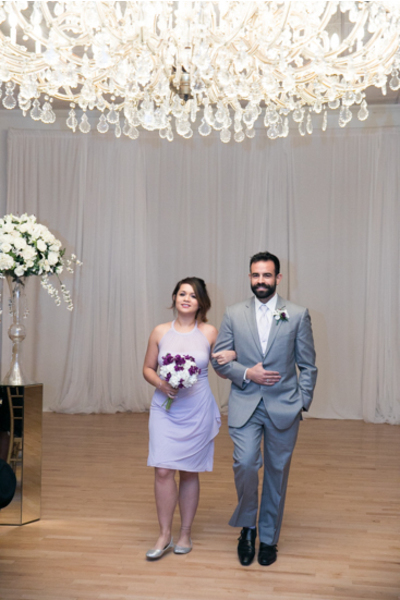 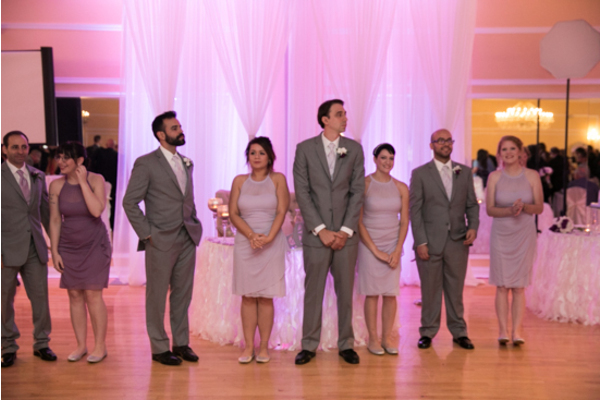 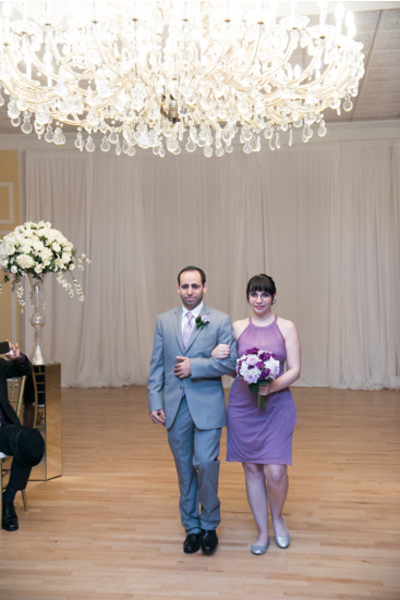 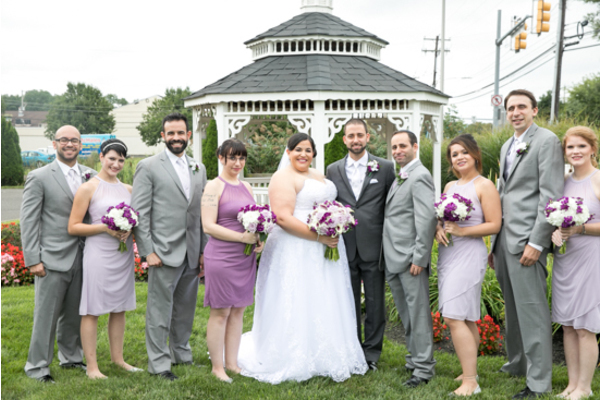 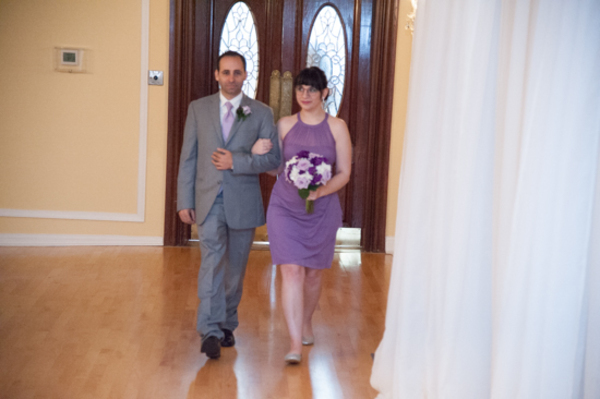 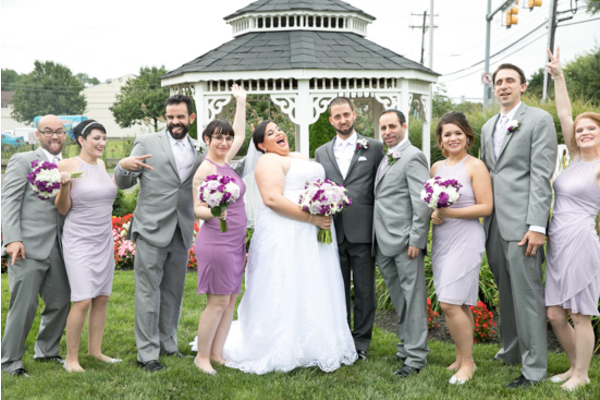 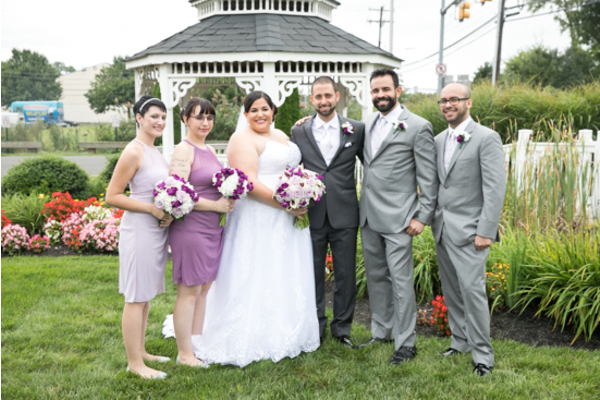 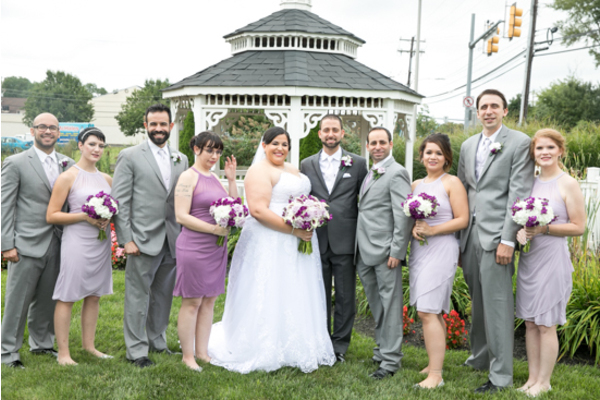 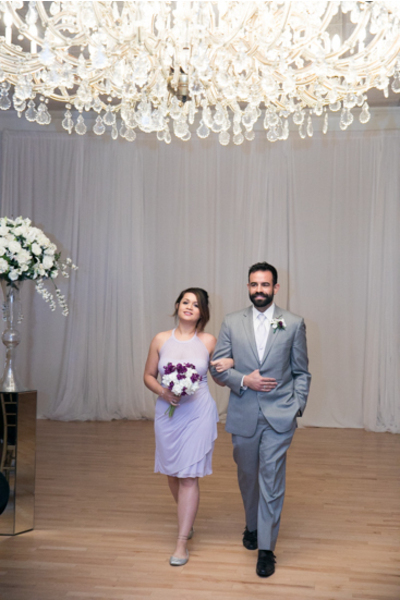 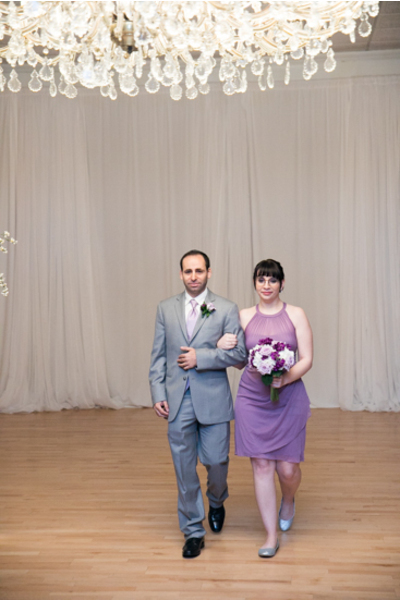 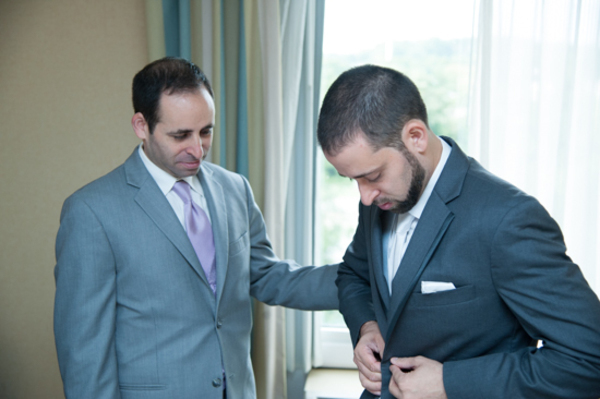 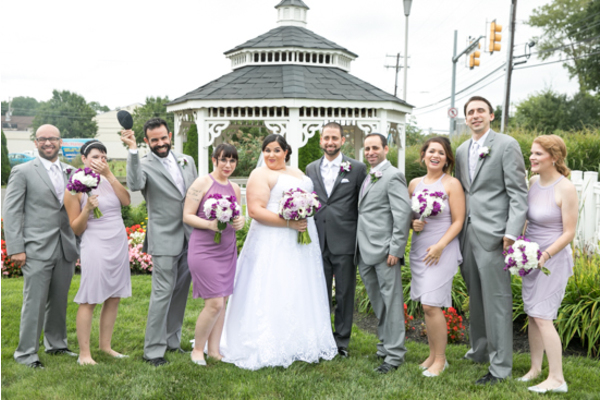 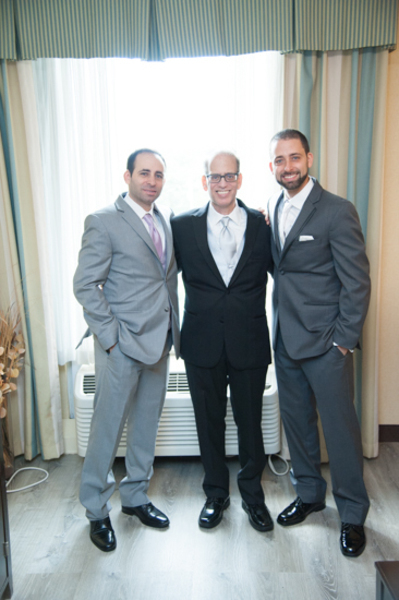 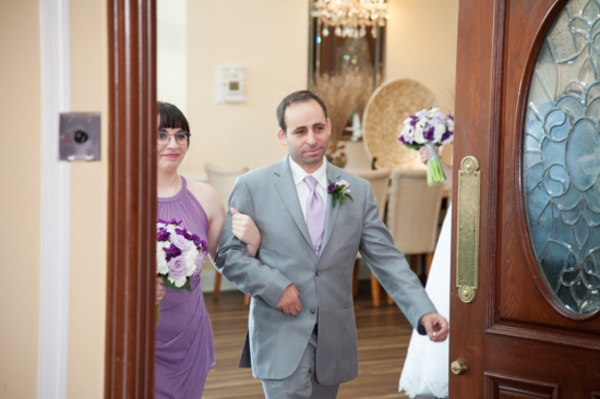 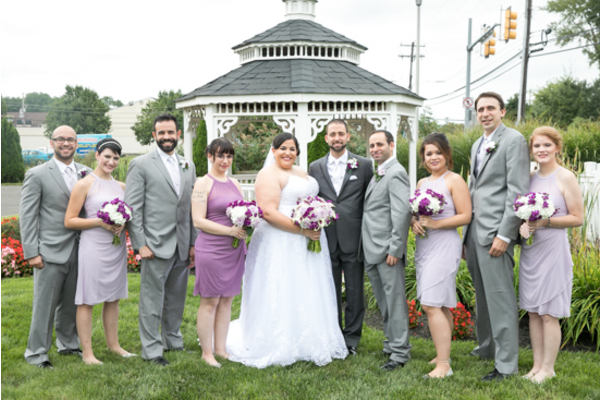 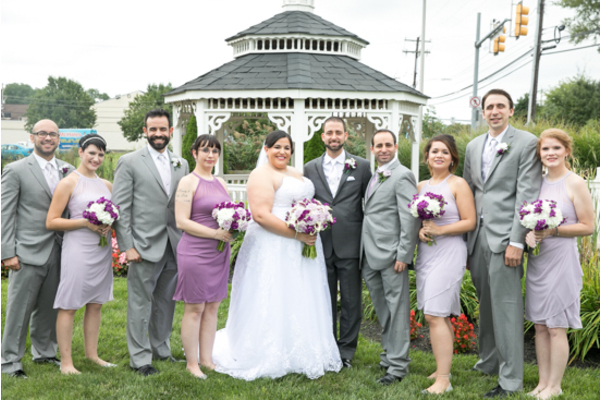 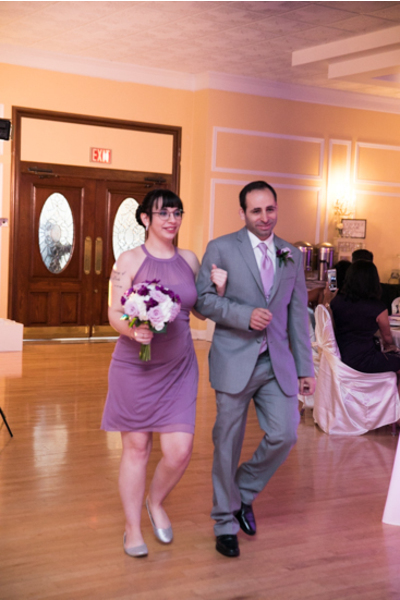 The bridesmaids wore purple and the groomsmen wore grey suits! The couple posed for some cute shots of just the two of them in the gazebo. 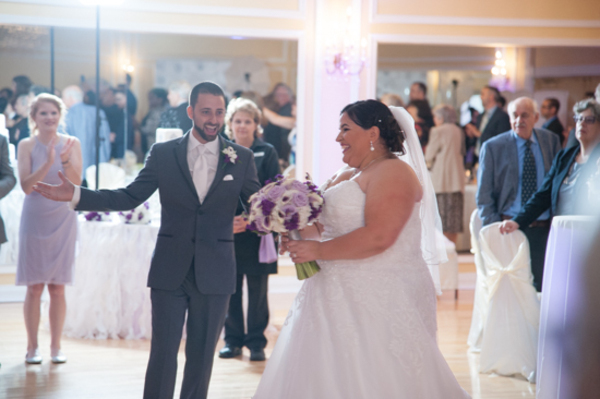 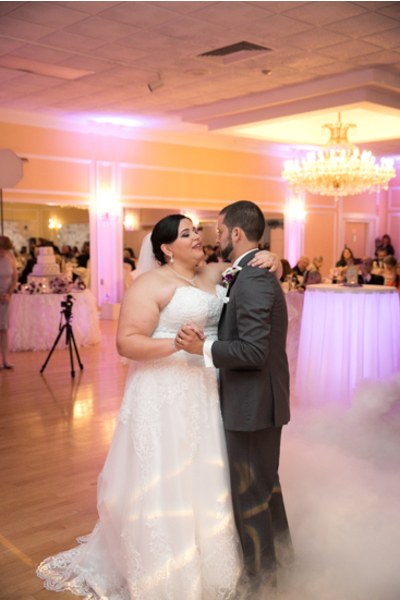 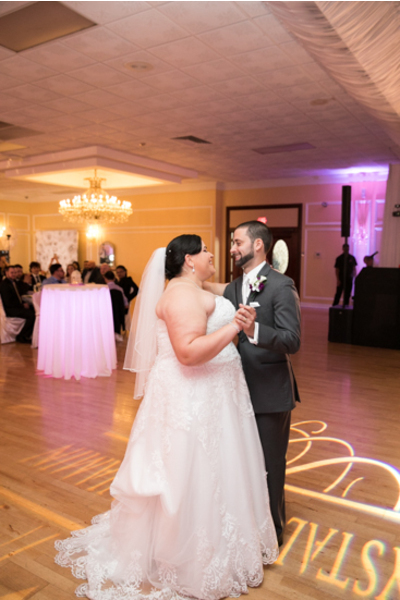 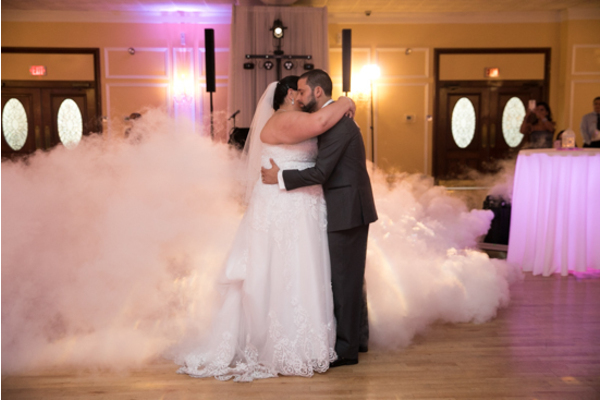 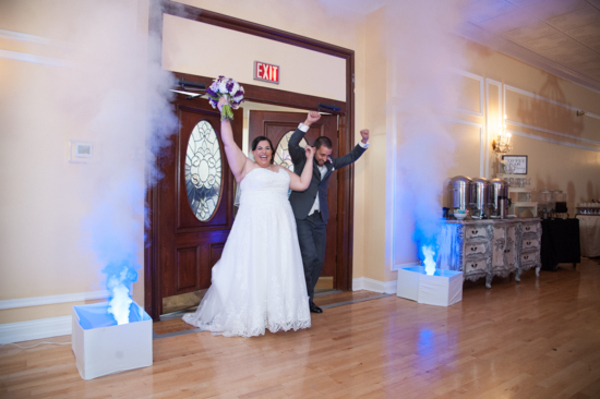 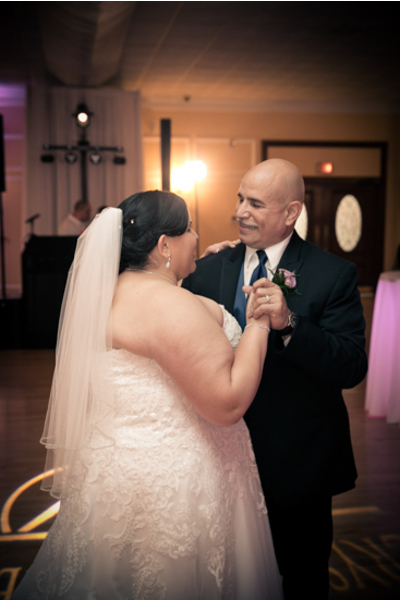 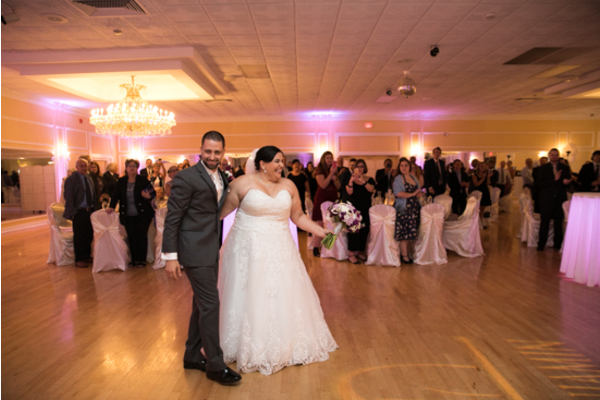 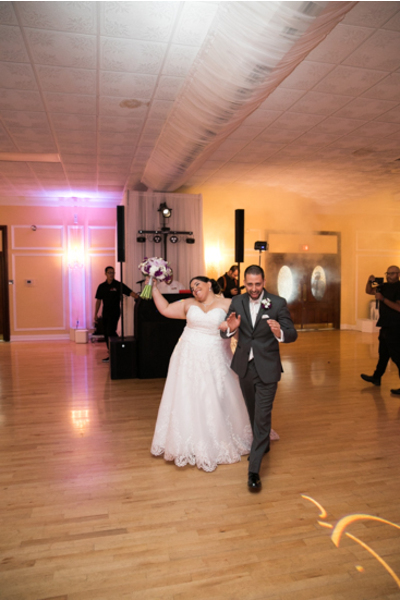 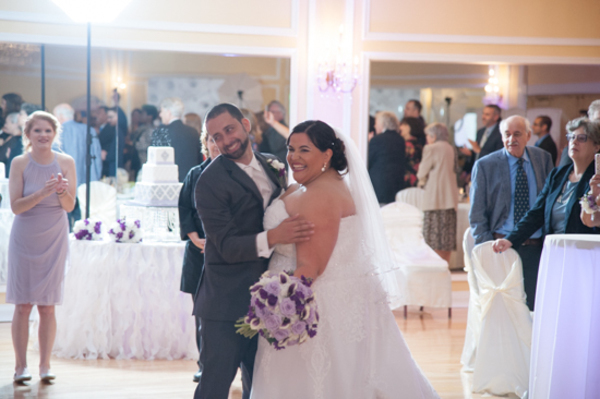 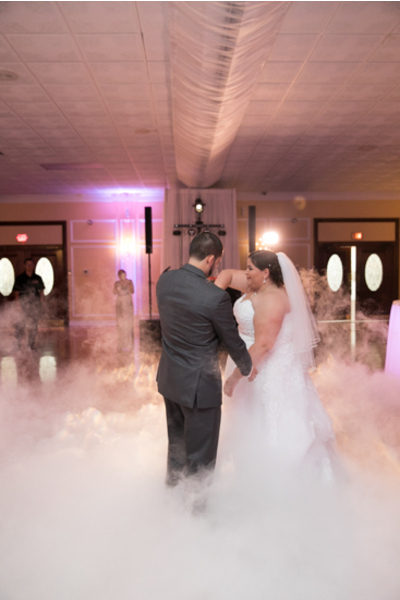 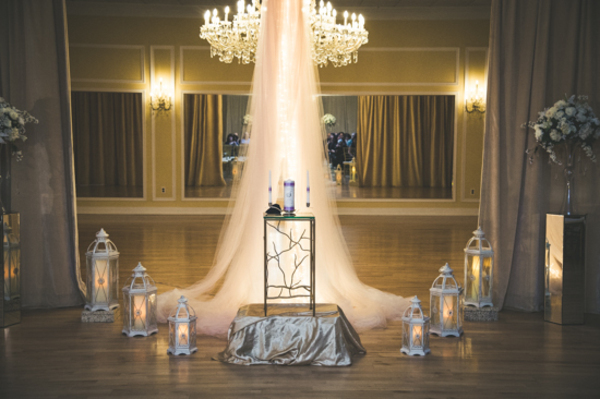 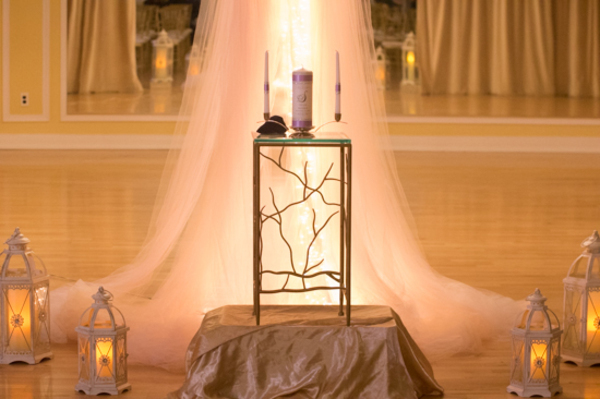 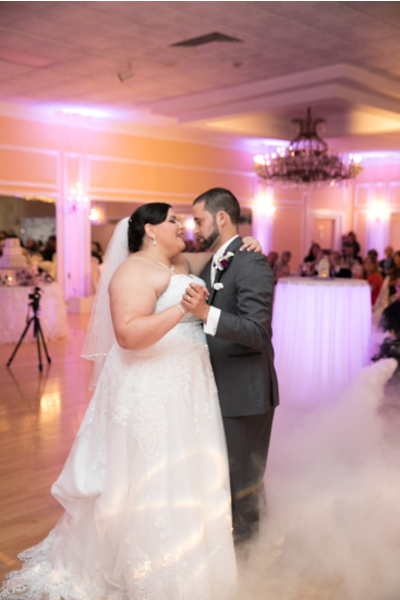 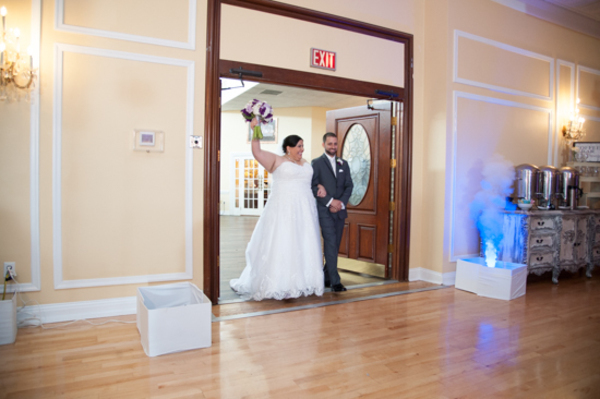 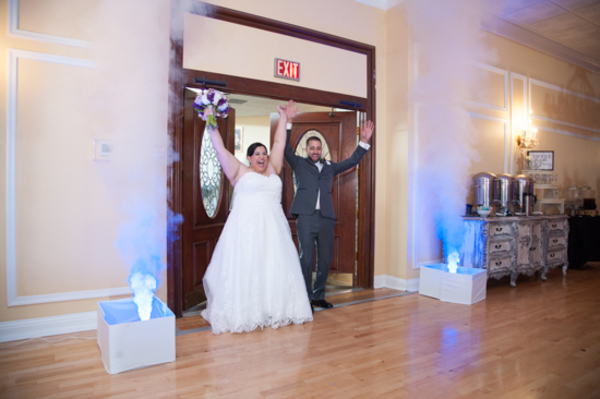 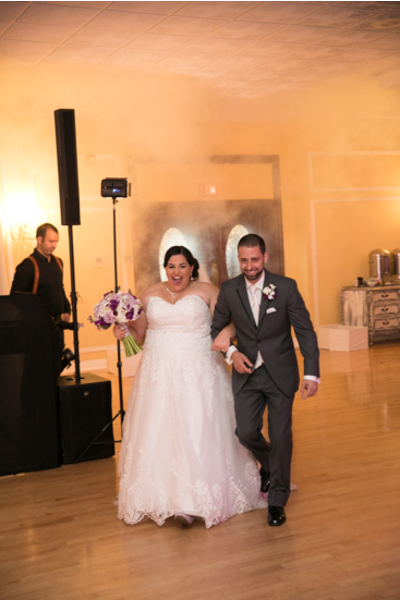 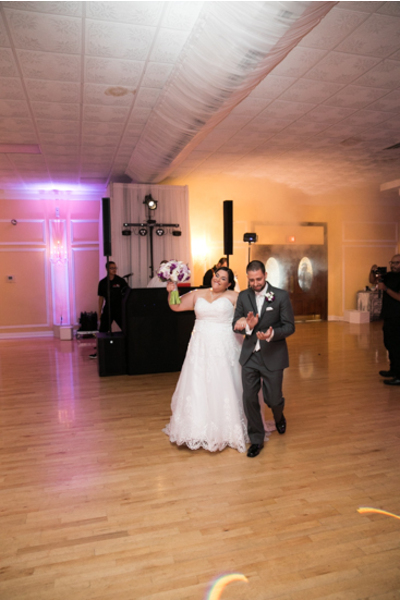 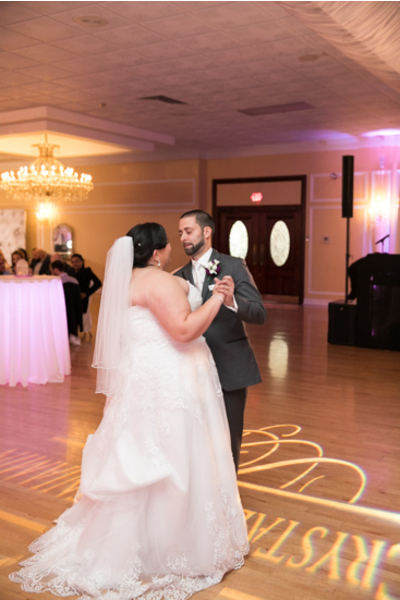 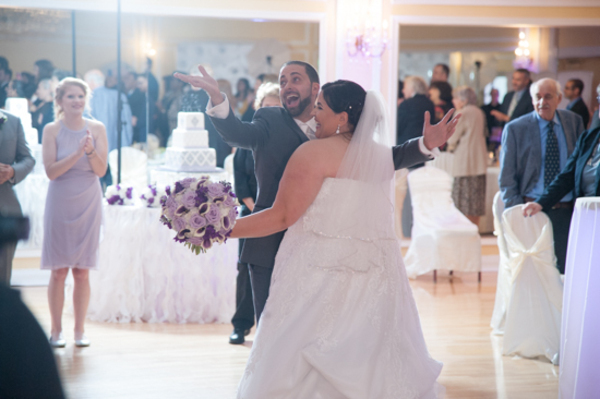 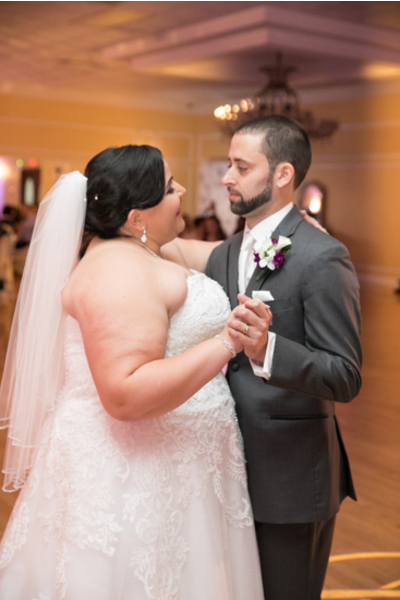 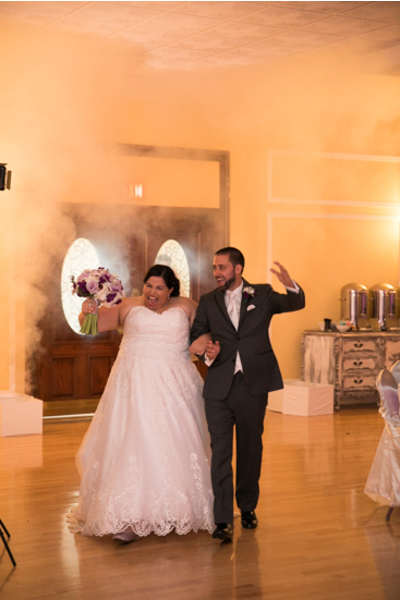 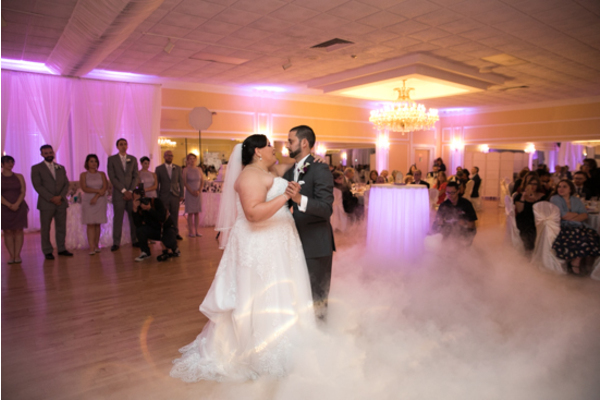 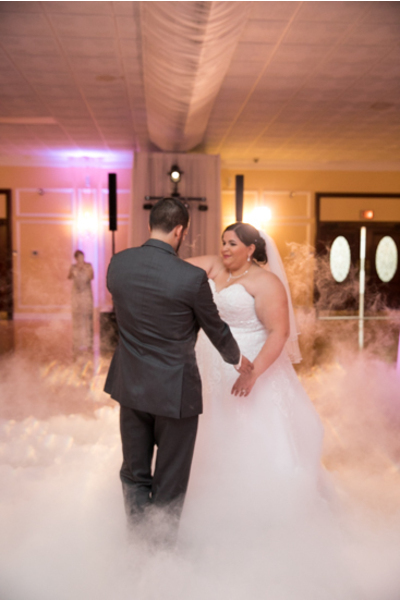 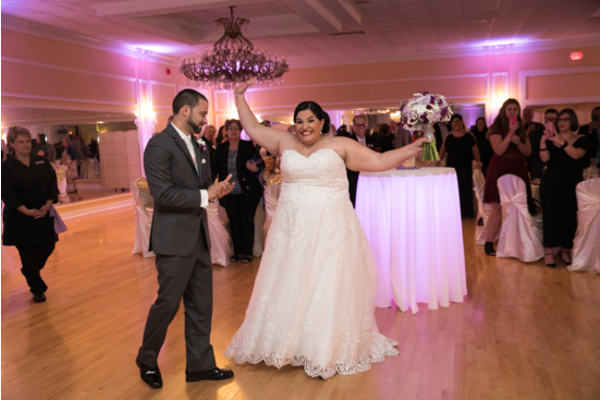 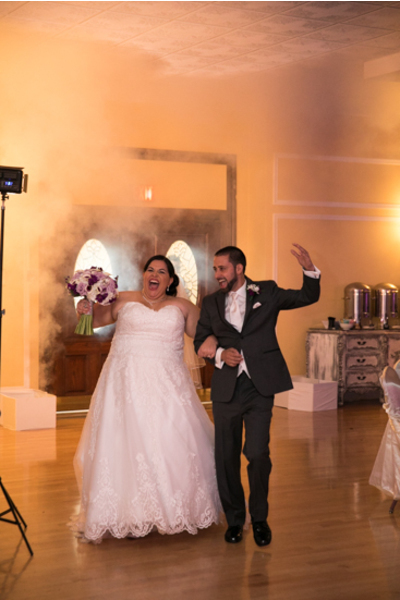 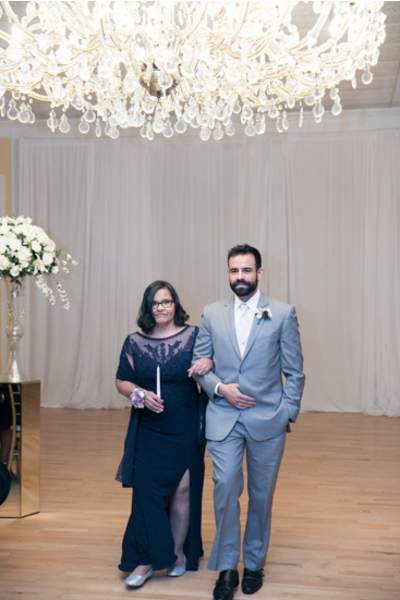 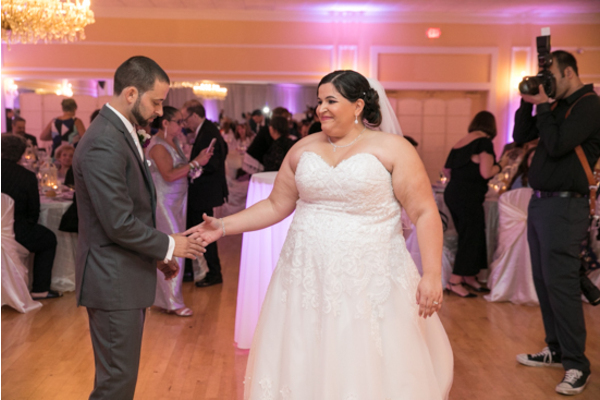 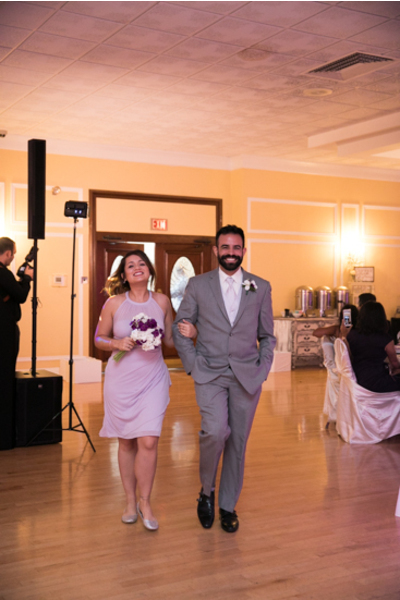 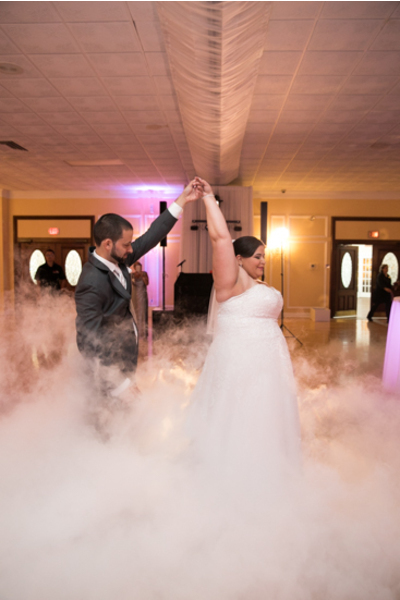 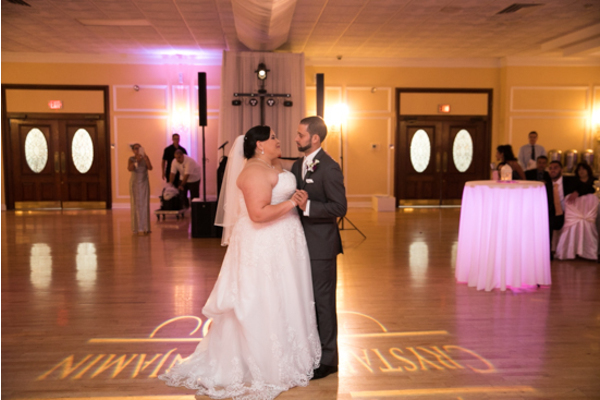 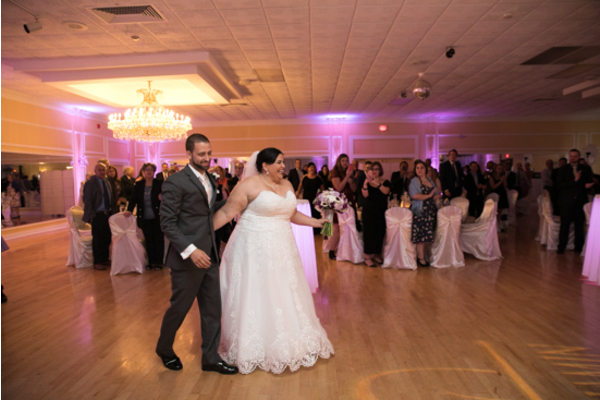 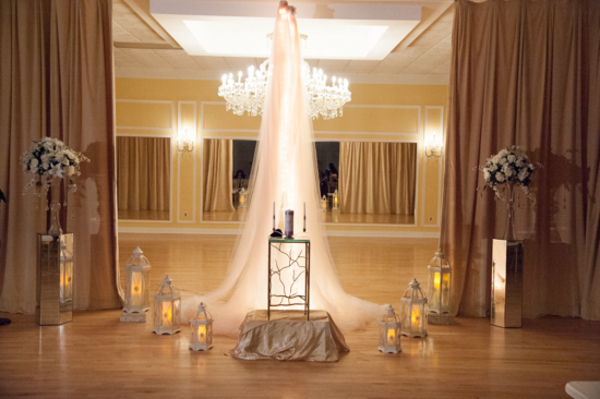 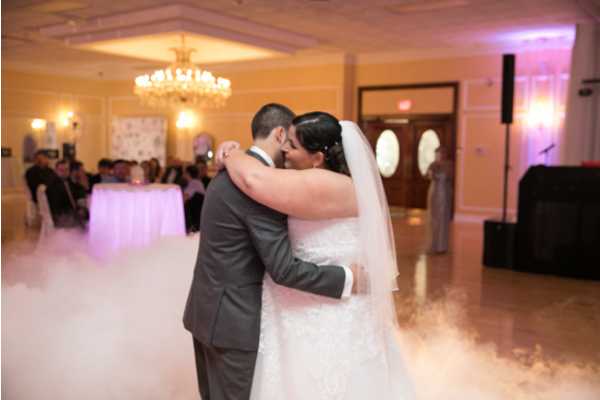 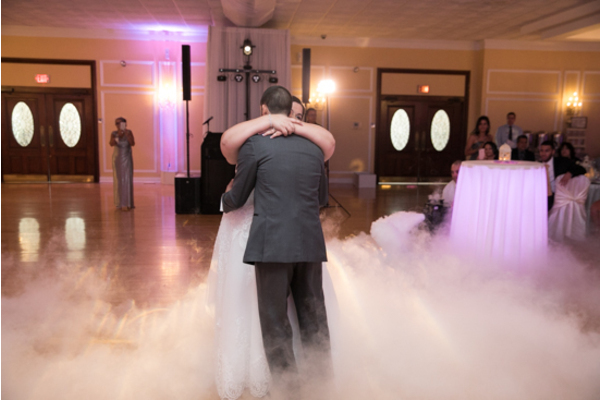 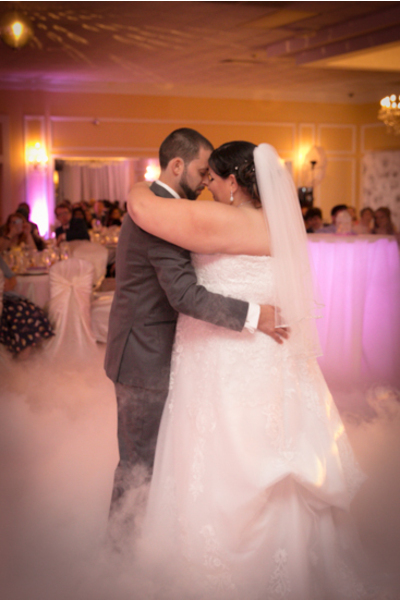 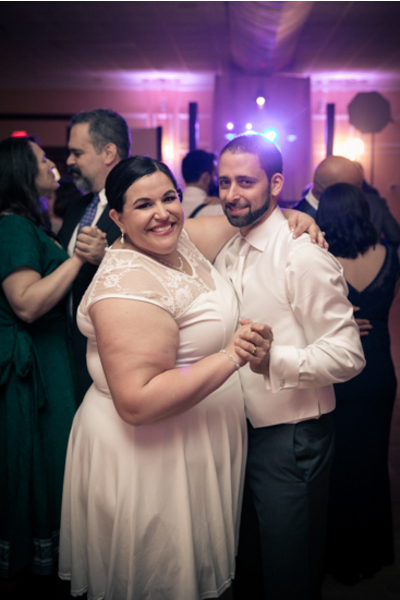 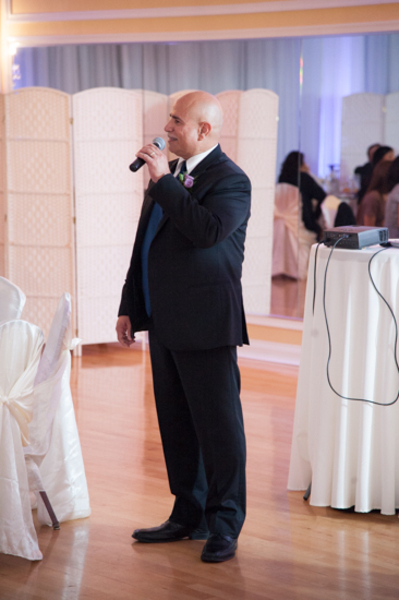 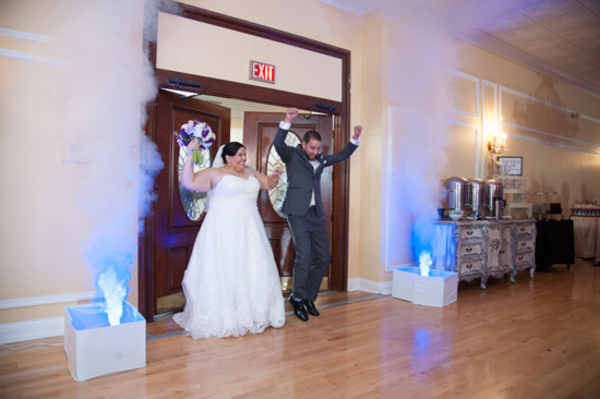 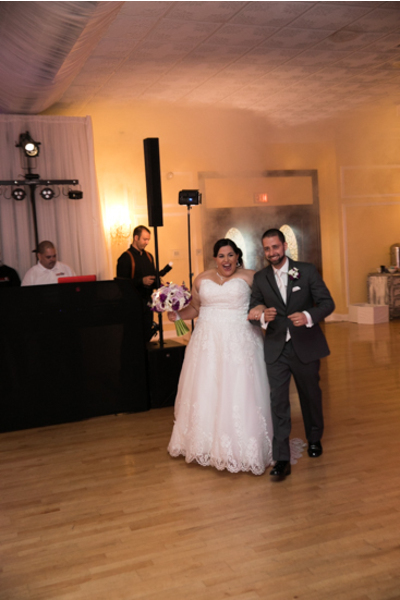 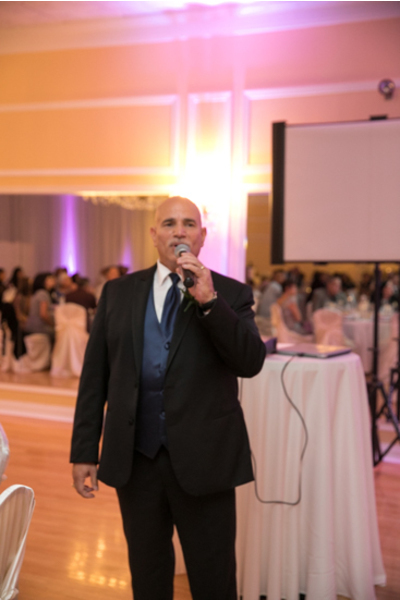 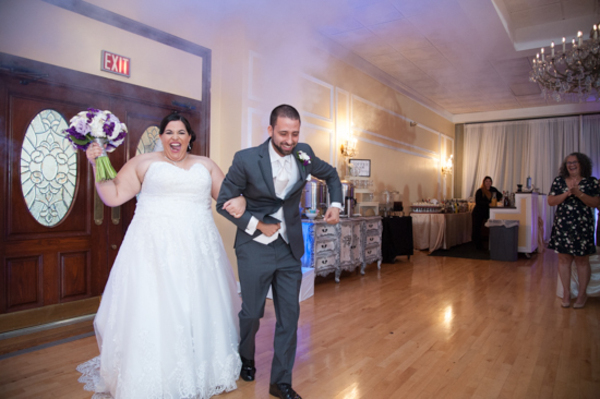 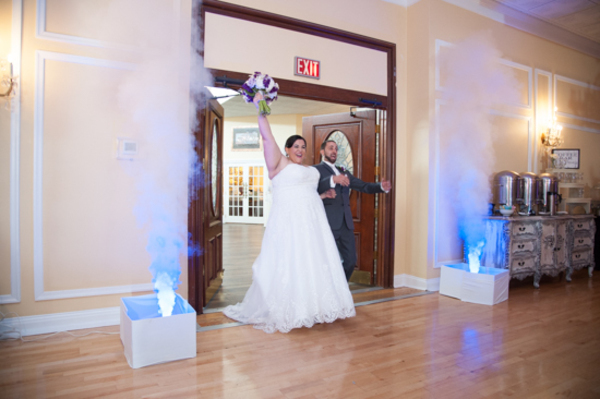 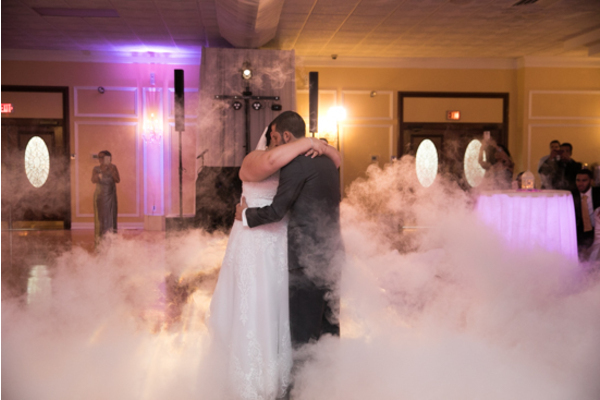 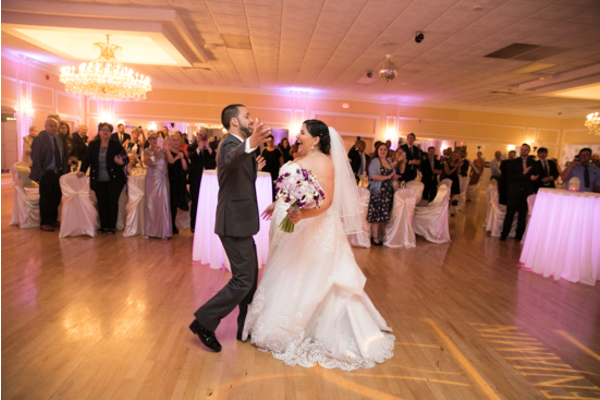 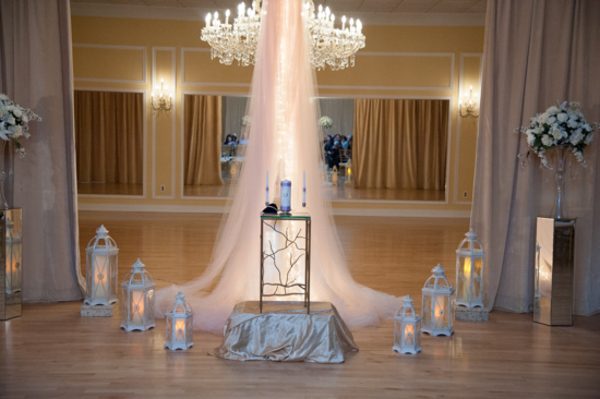 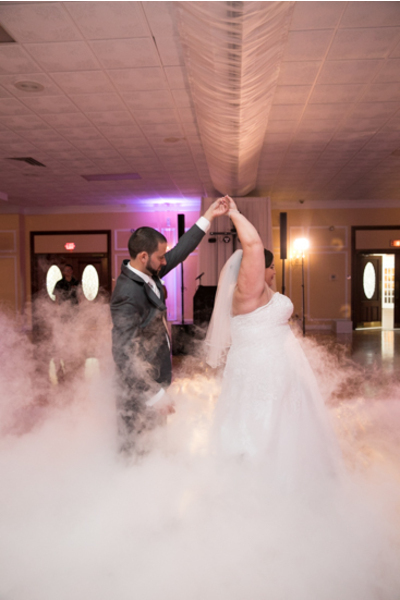 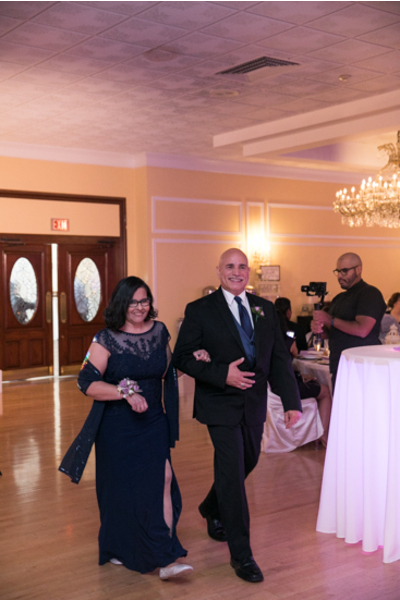 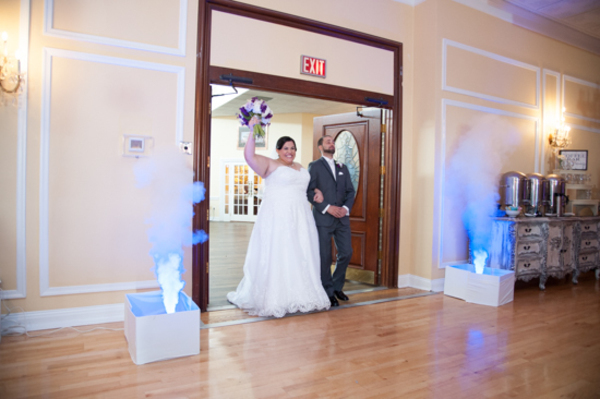 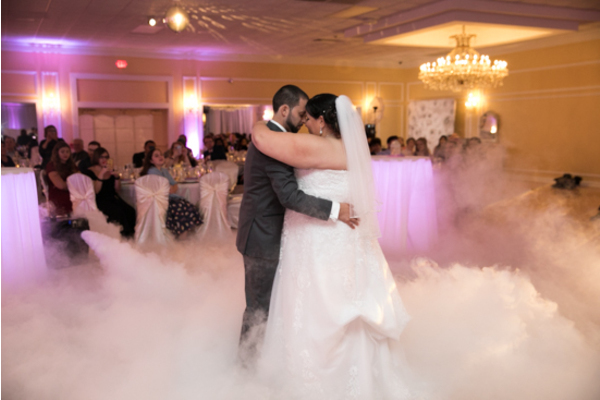 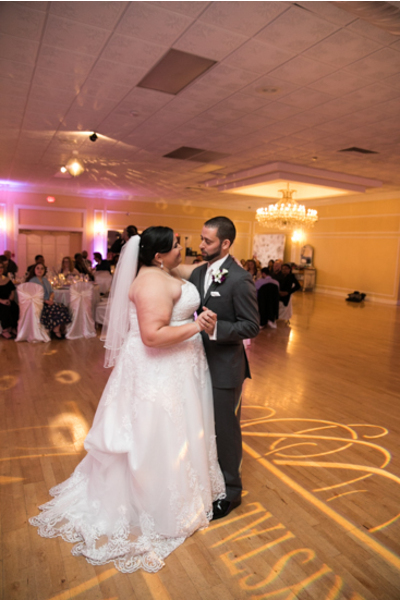 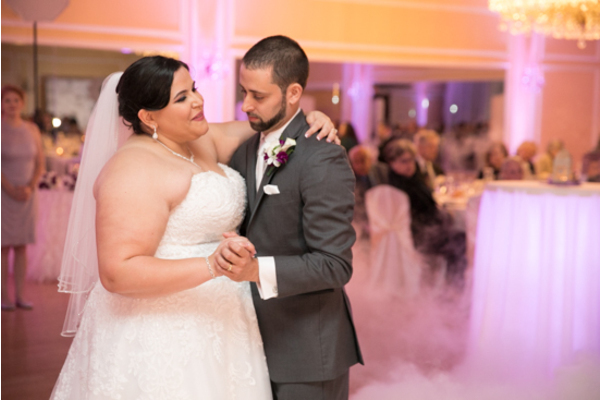 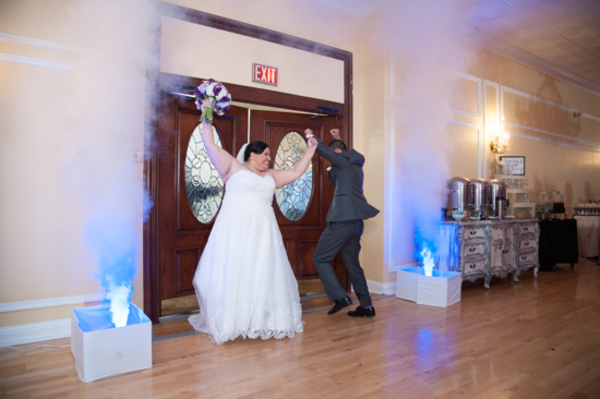 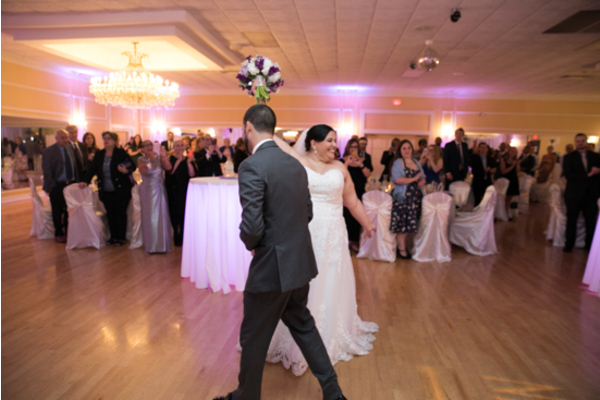 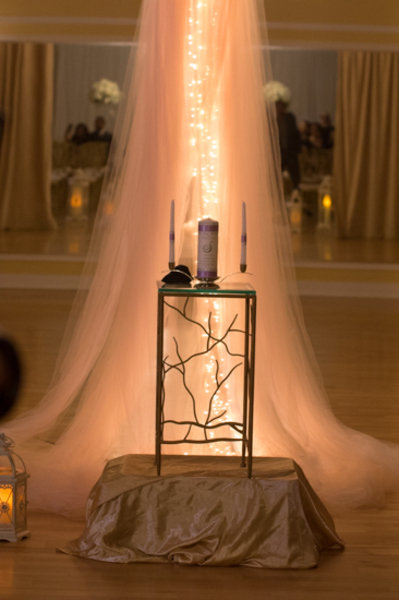 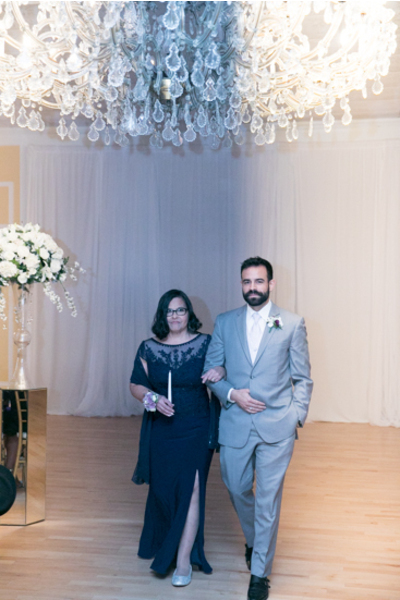 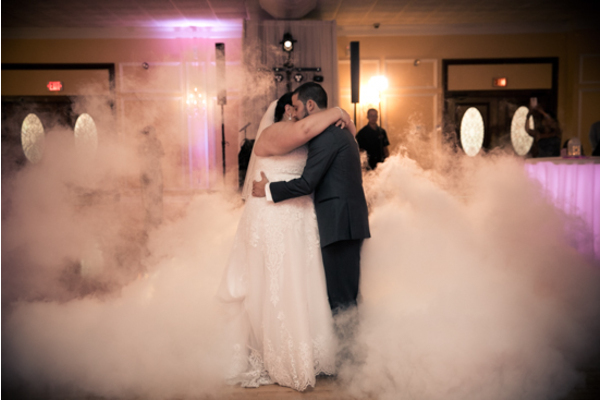 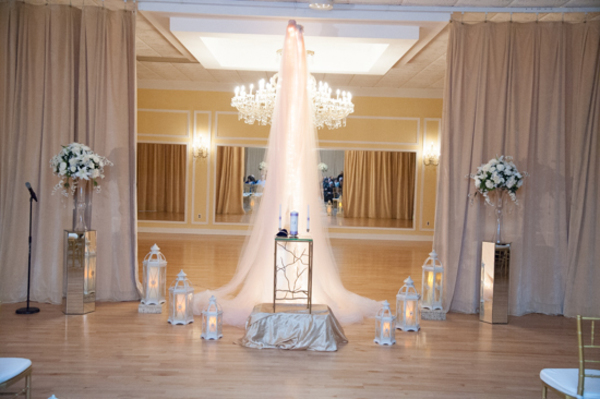 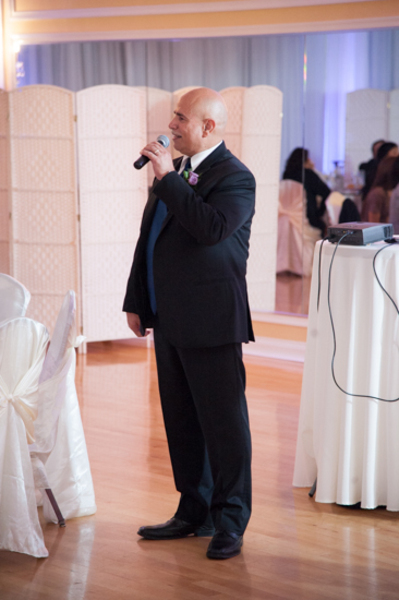 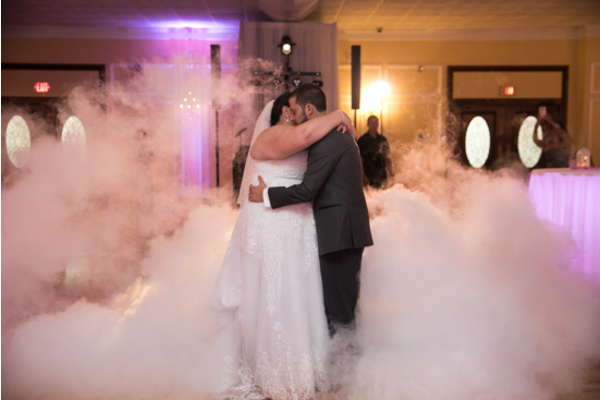 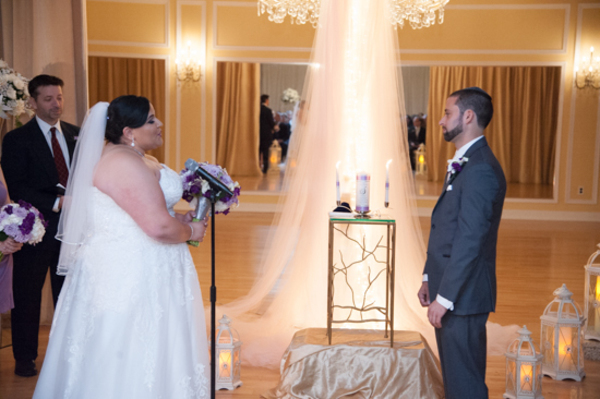 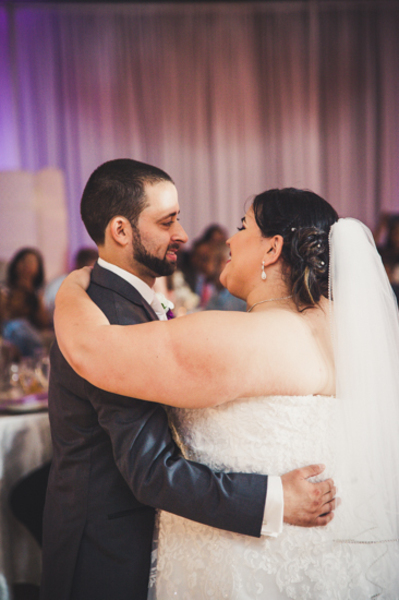 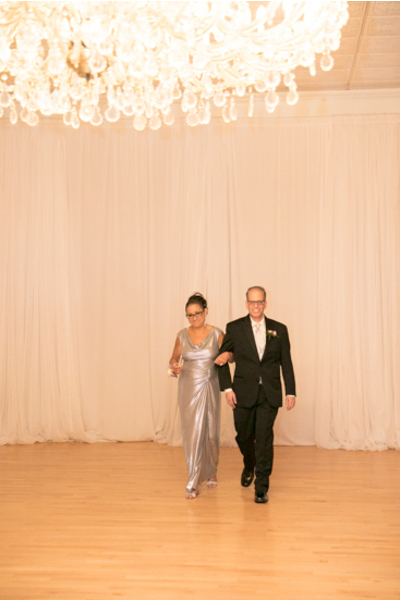 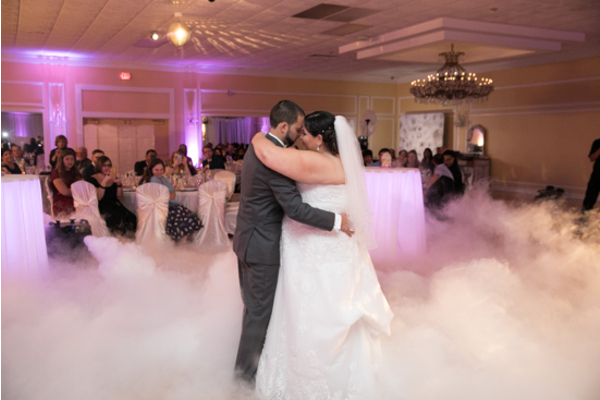 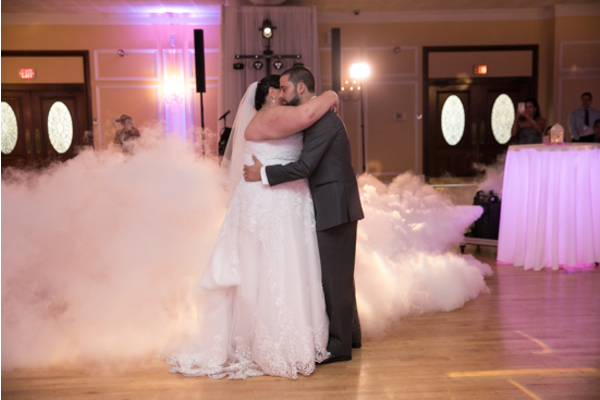 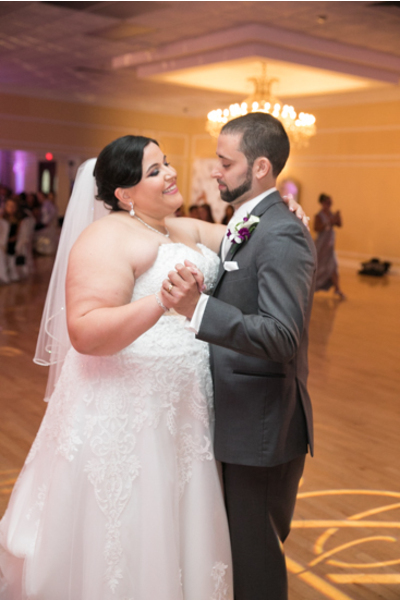 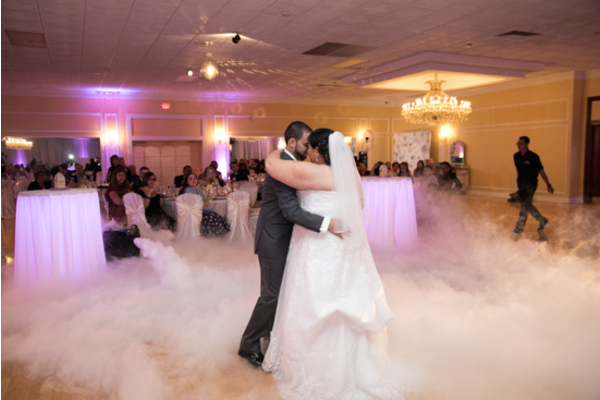 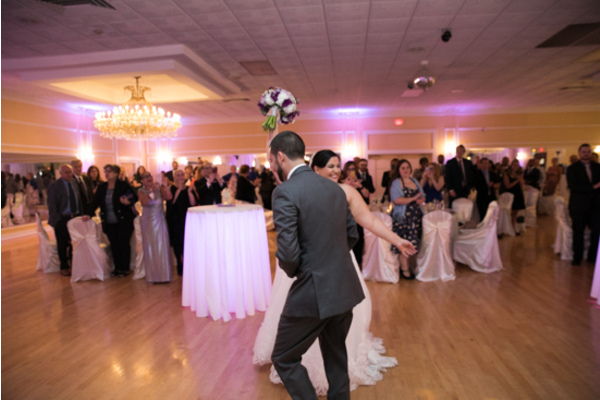 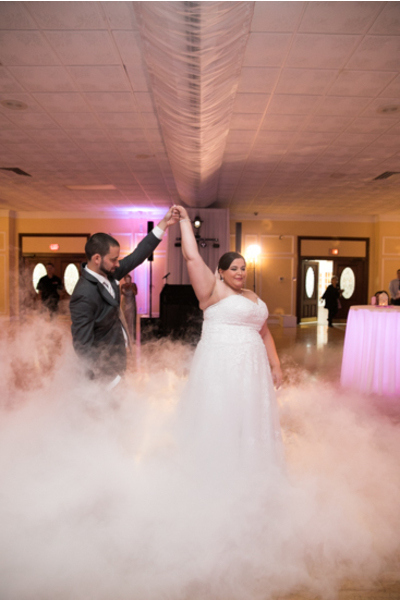 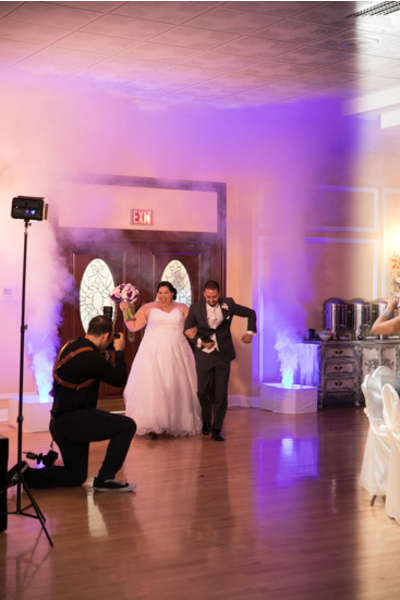 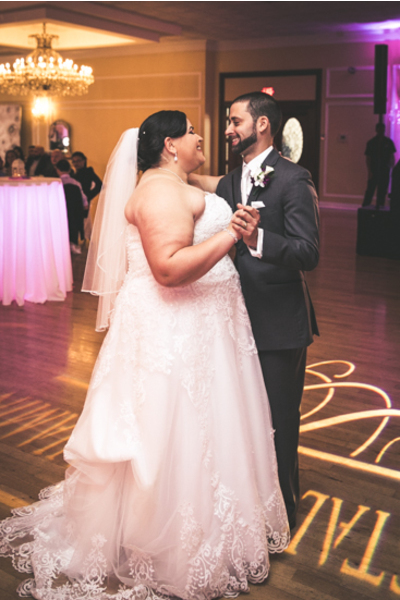 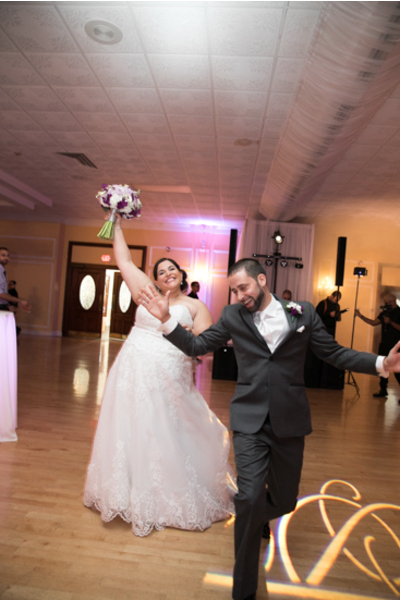 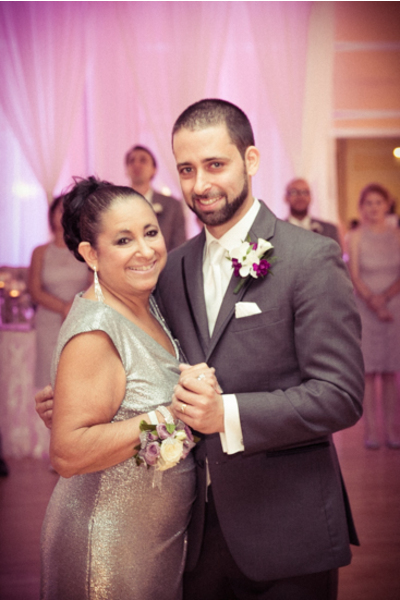 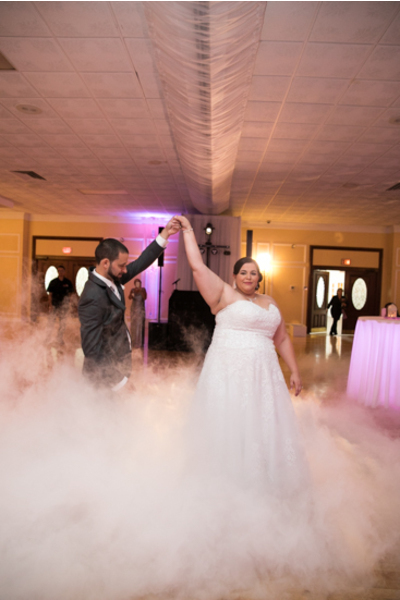 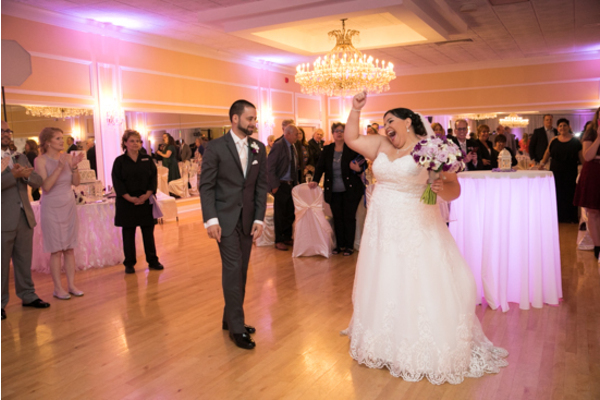 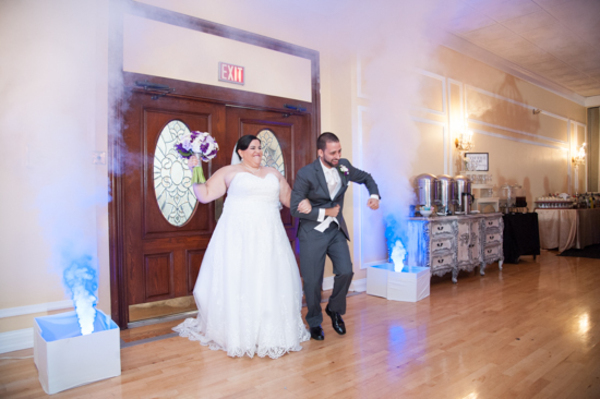 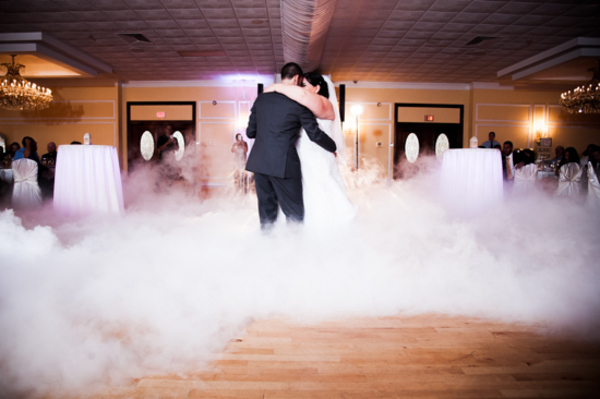 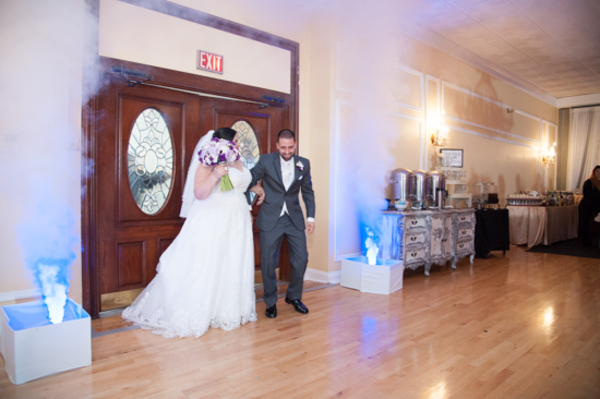 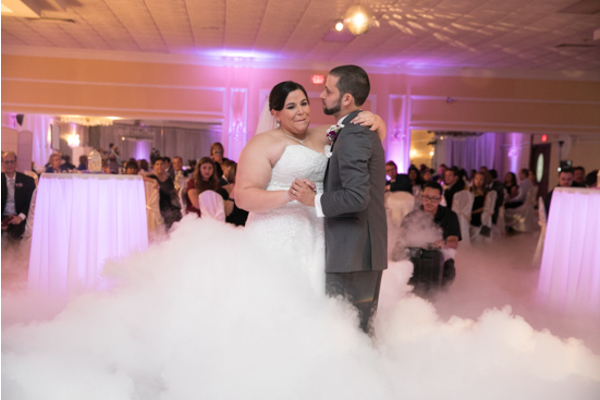 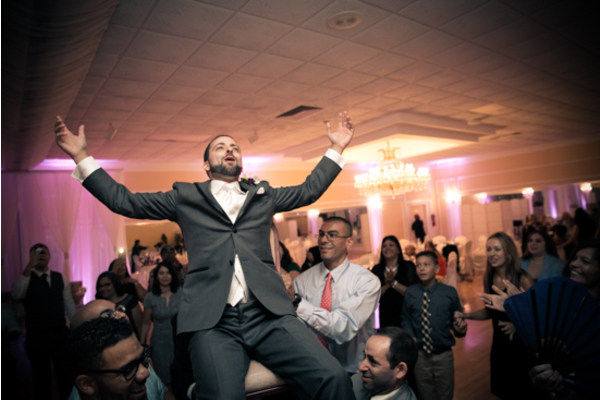 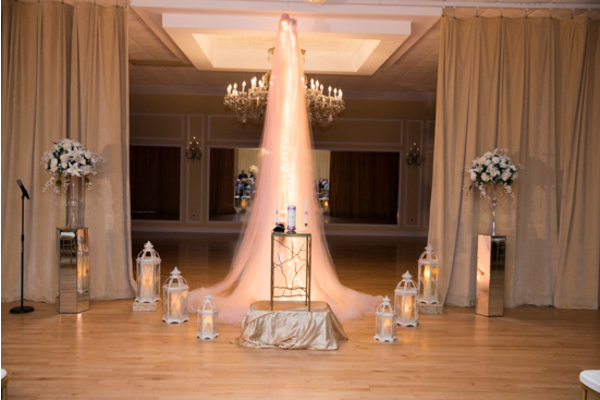 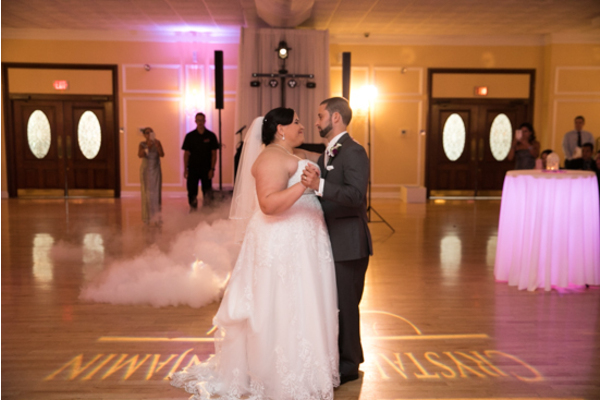 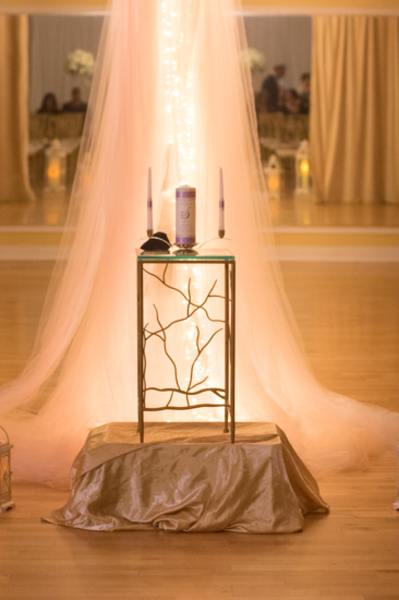 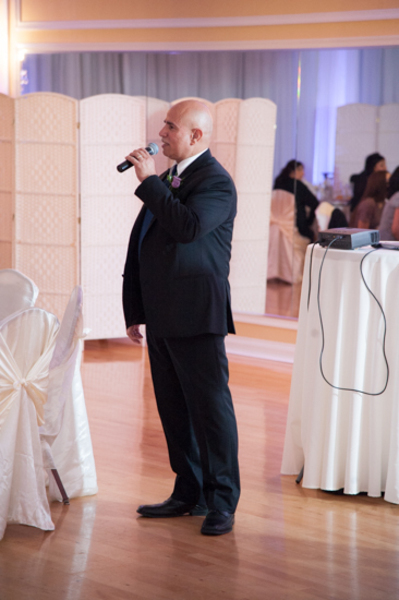 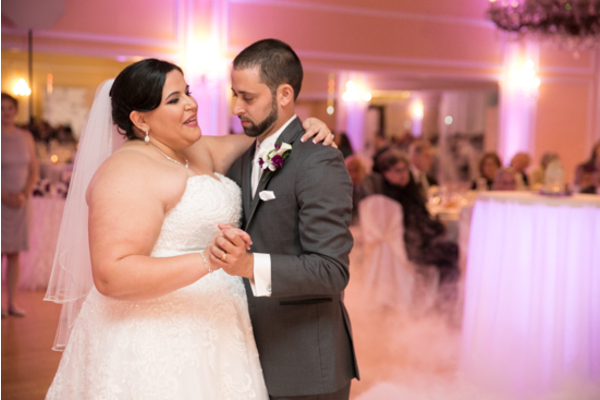 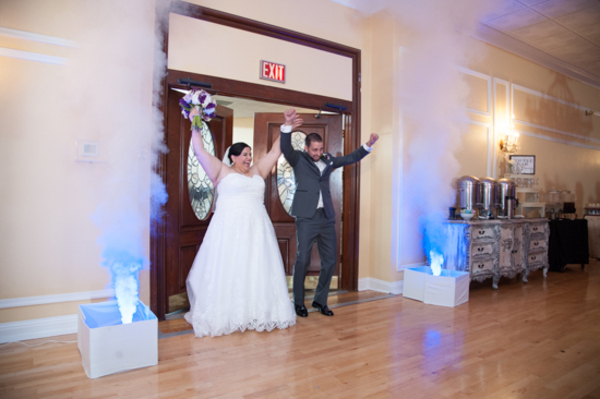 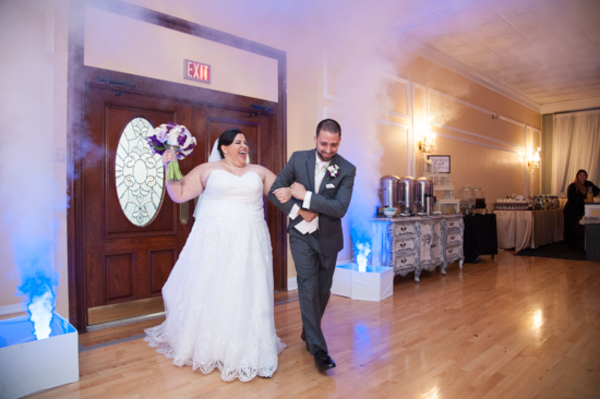 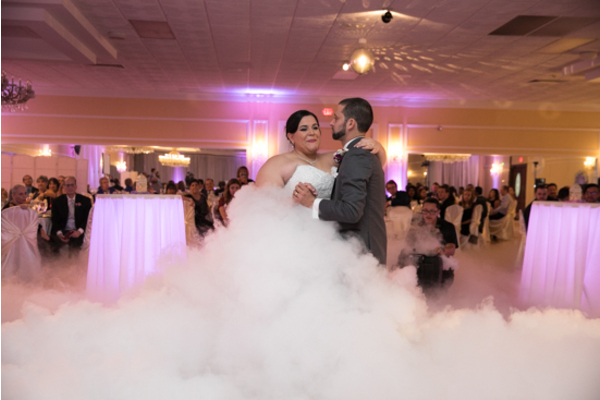 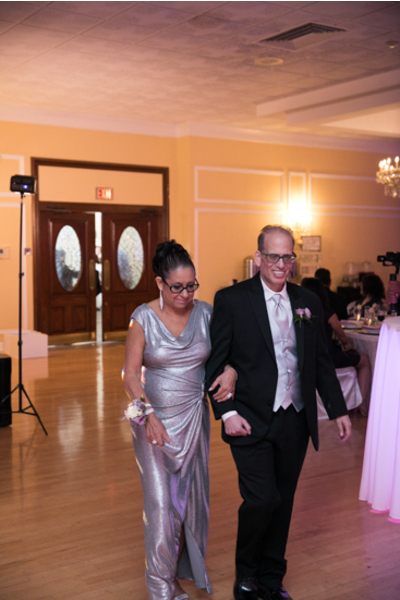 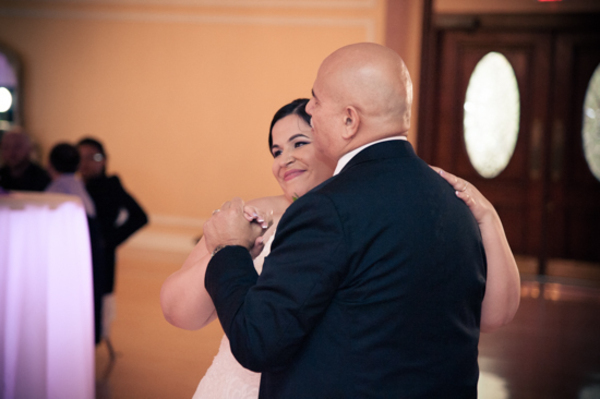 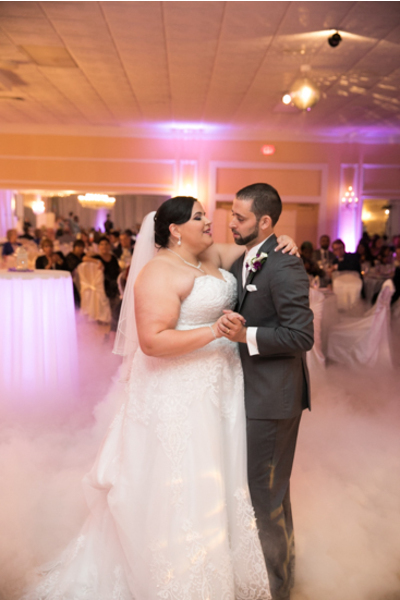 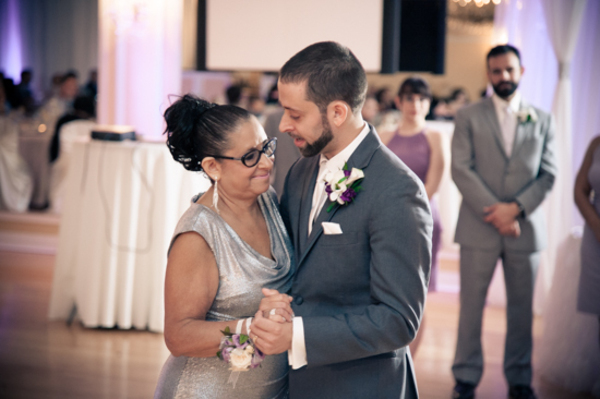 Our NJ Wedding Videographer was there for the couple’s first dance “in the clouds” and it was so magical! 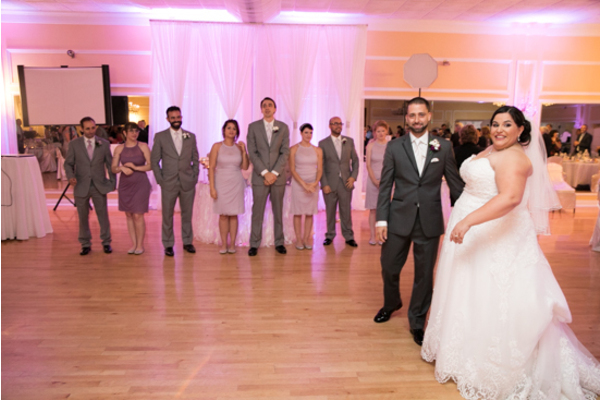 Everyone joined in on the dance floor shortly after and had the best time all night long! 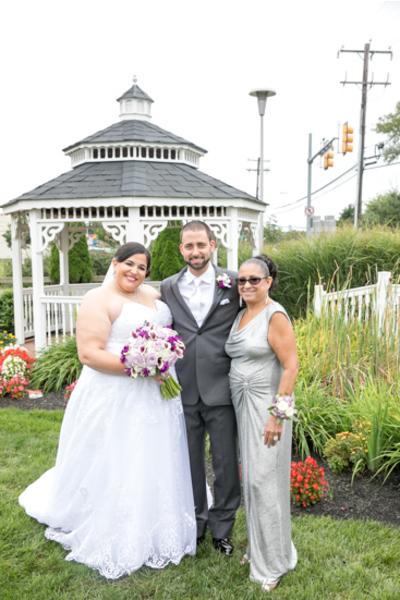 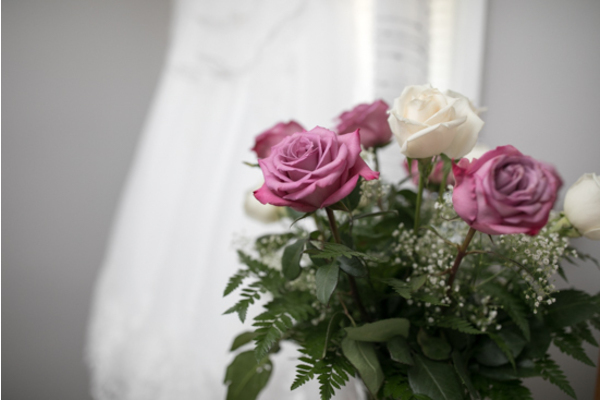 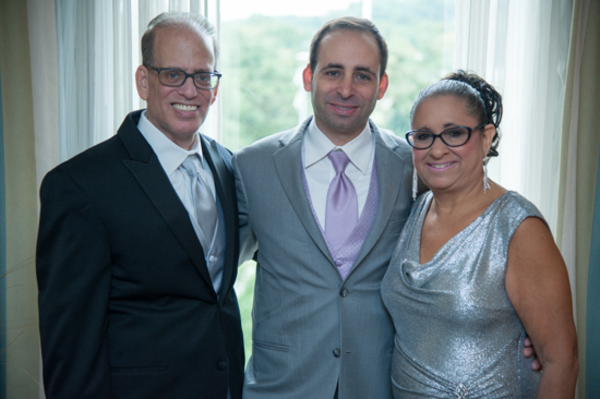 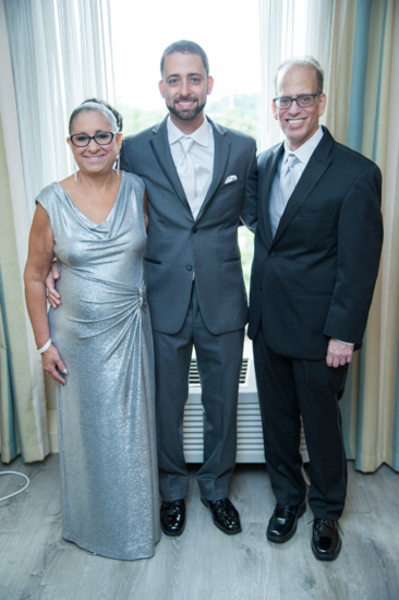 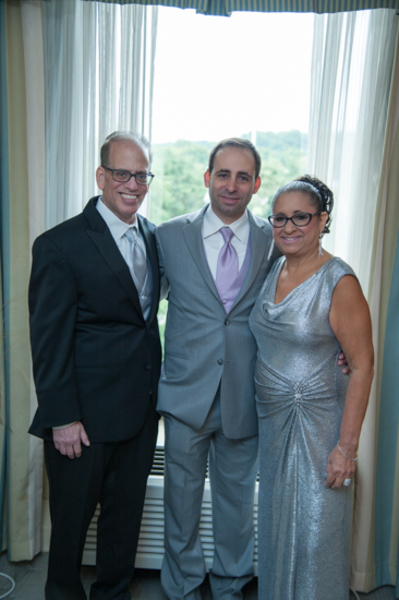 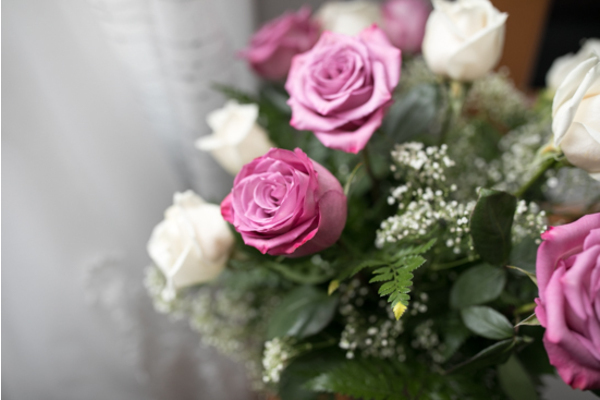 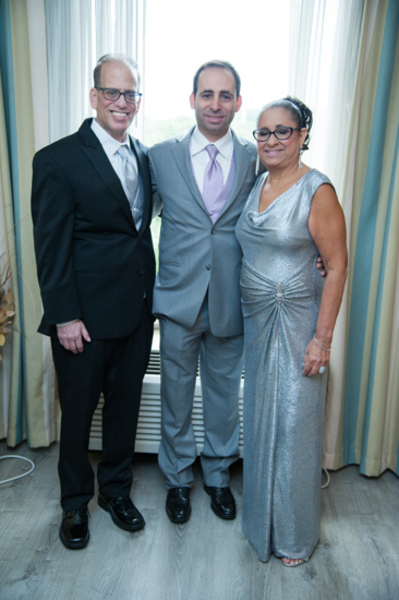 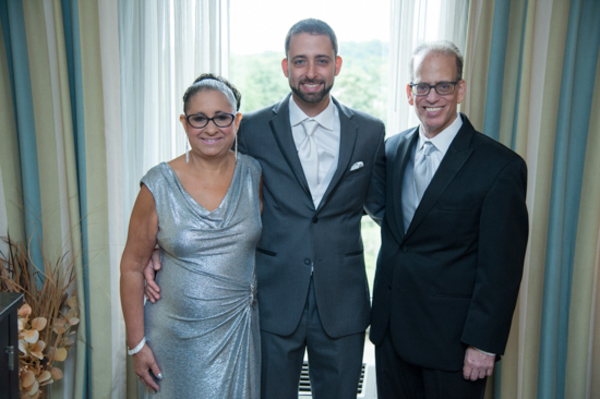 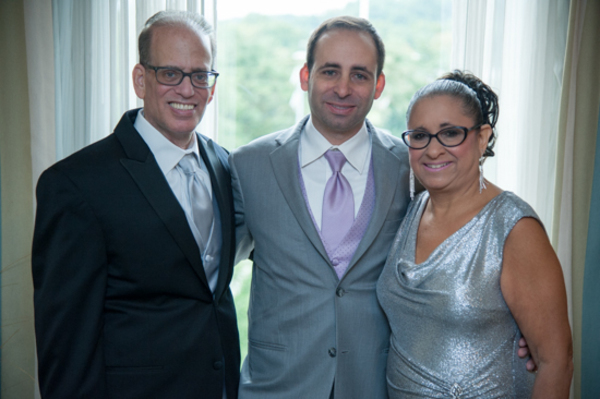 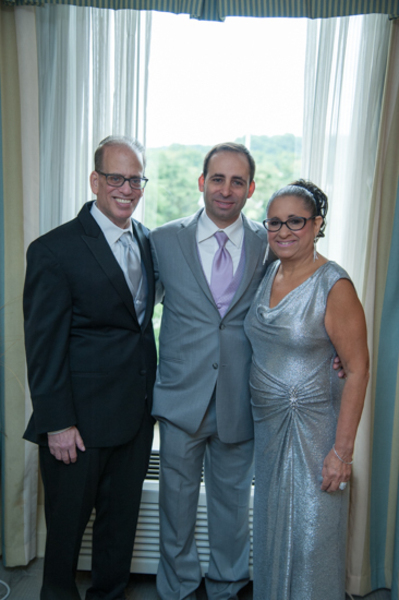 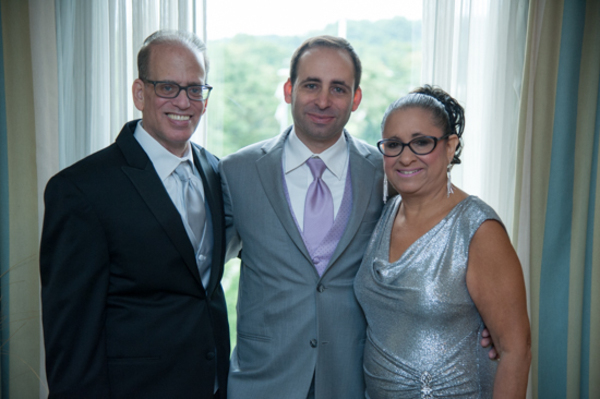 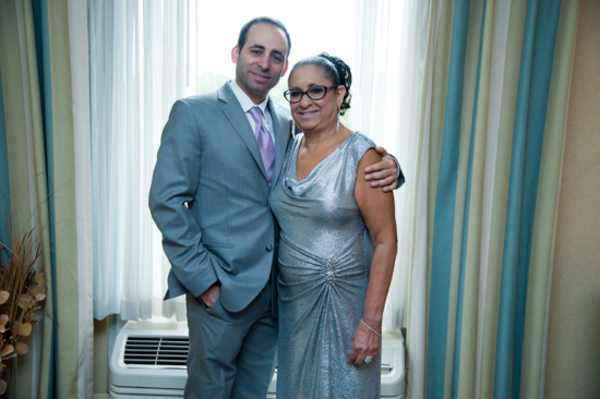 Congratulations again, to the newlyweds on their recent marriage! 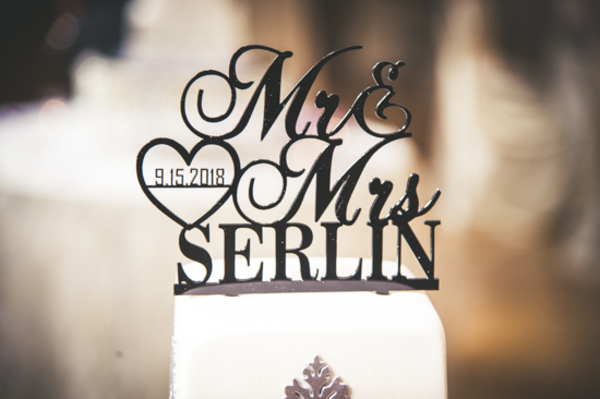 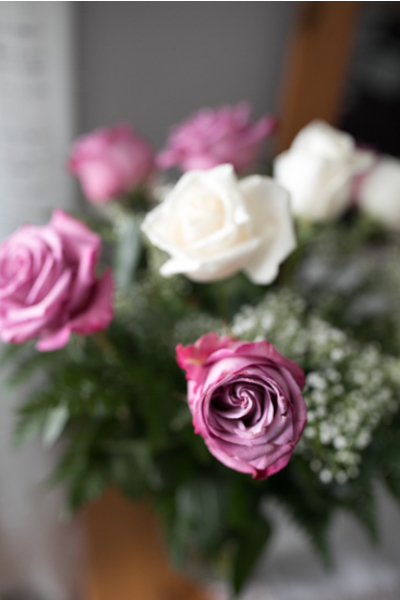 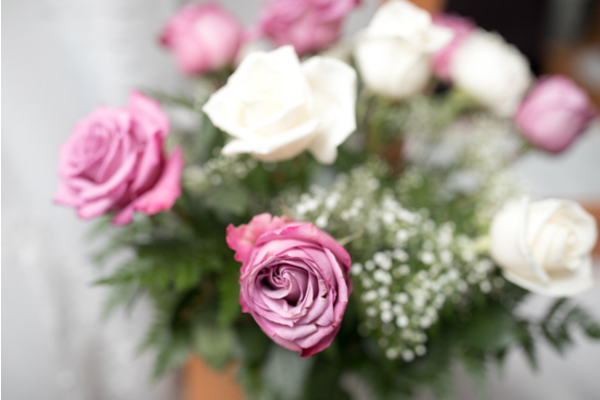 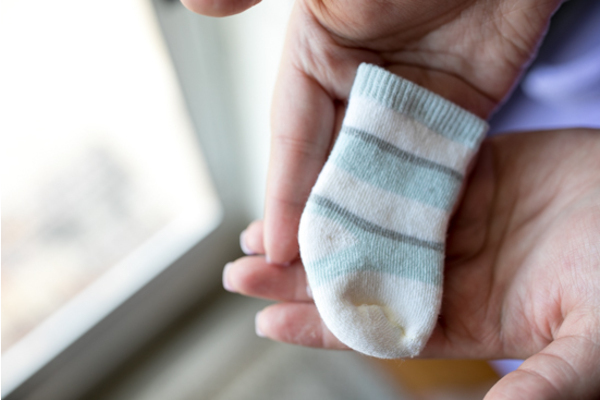 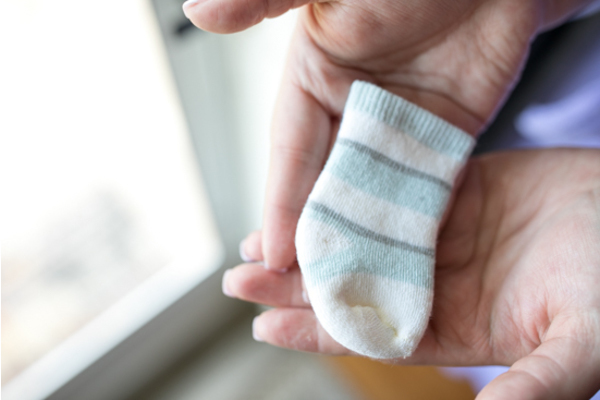 We wish you a lifetime full of happiness and love.